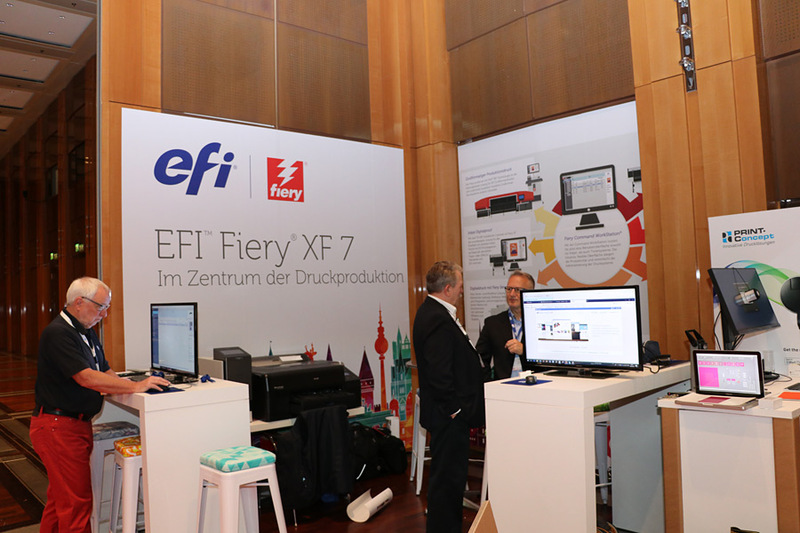 Interview "Printed Electronics / Electronic in Print"
After the successful premiere last year, the f:mp. 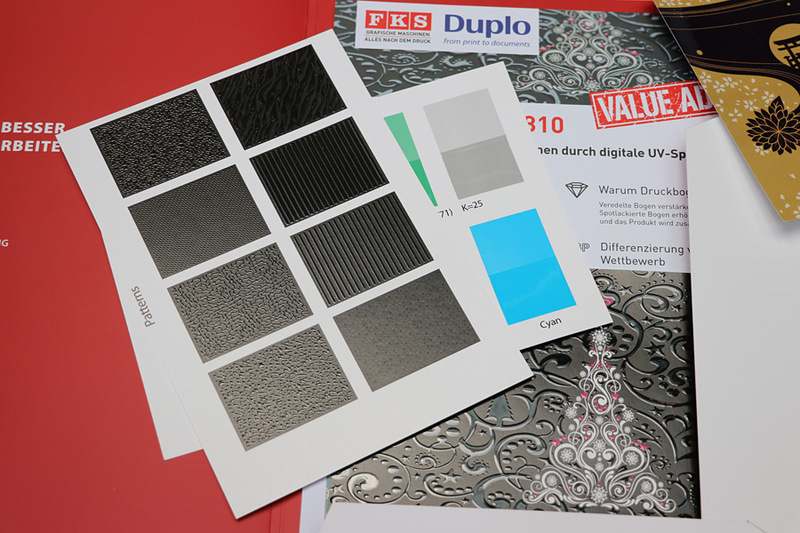 together with drupa - no. 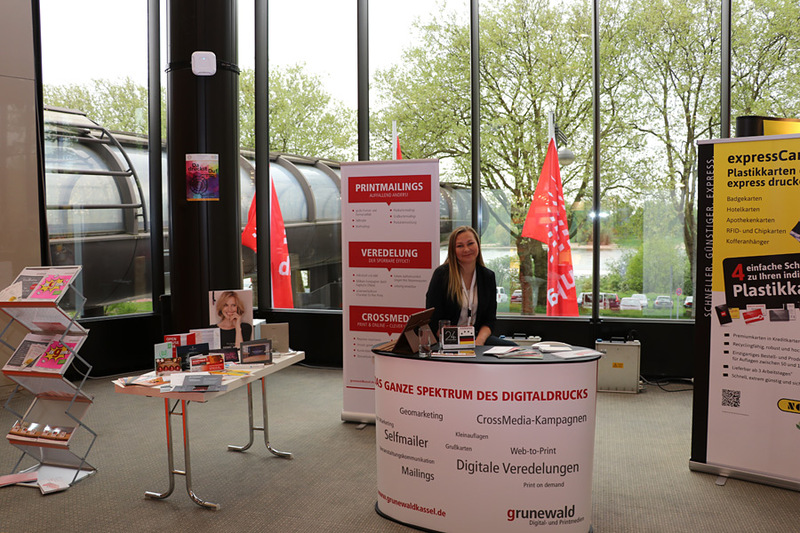 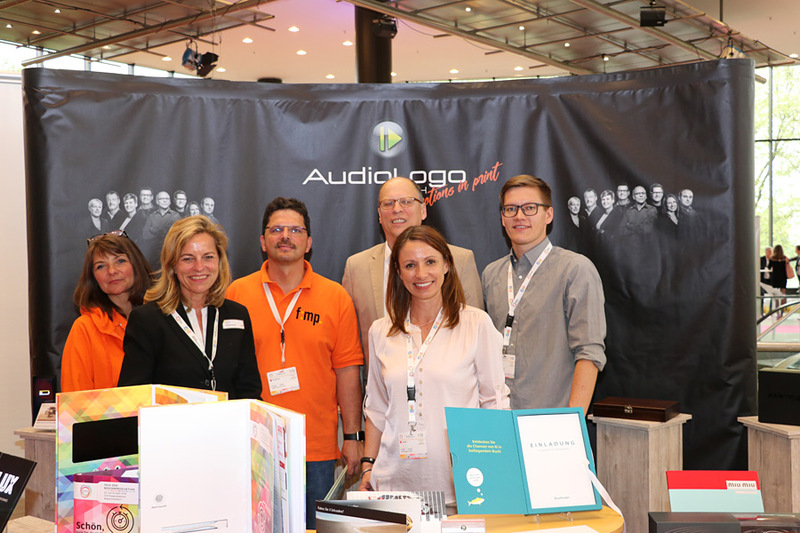 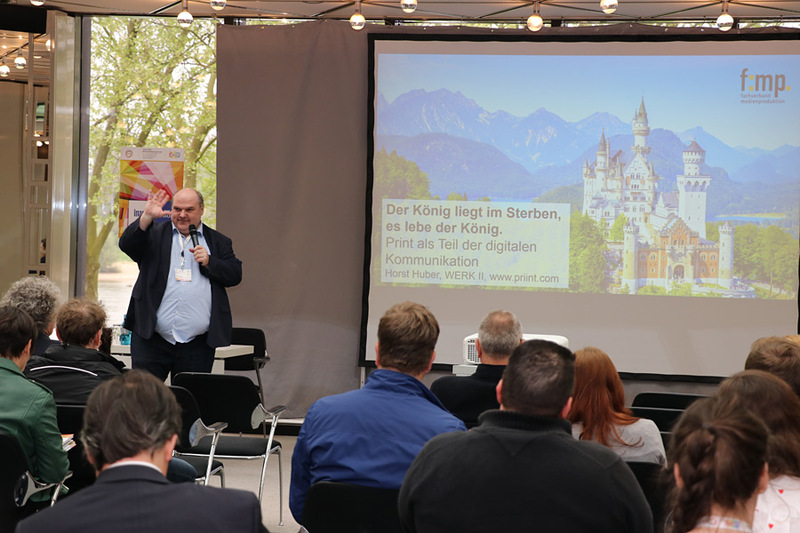 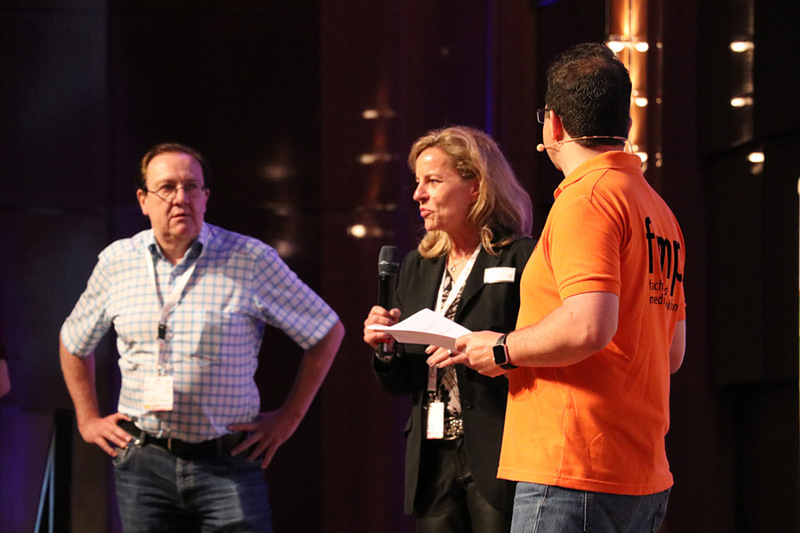 1 for printing technologies hosted the second edition of the Days of Media Production on April 24 and 25, flanked by PRINT digital! 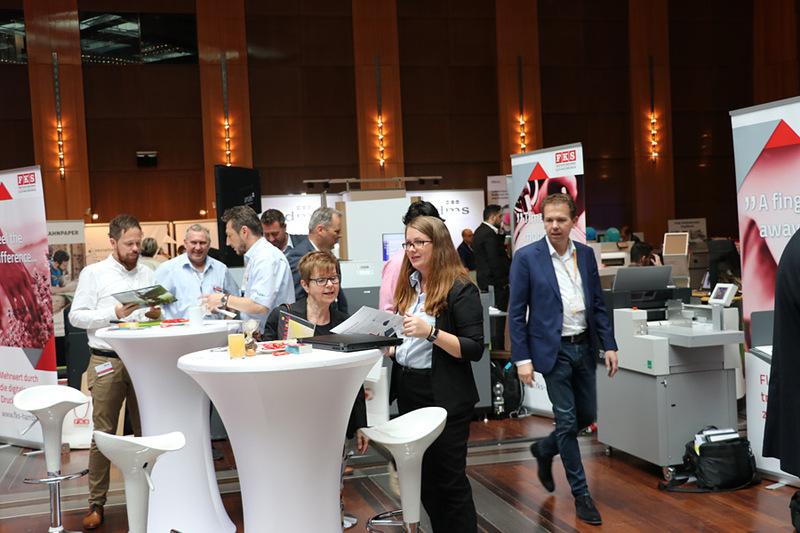 CONVENTION and the Düsseldorfer Print Cocktail, at the Düsseldorf Exhibition Centre. 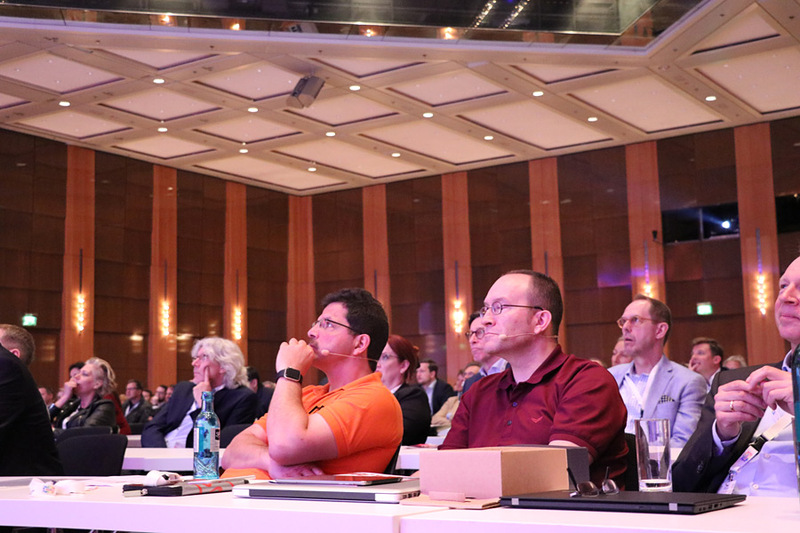 Once again, the unique mix of convention and expert symposium has hit the industry’s nerve. 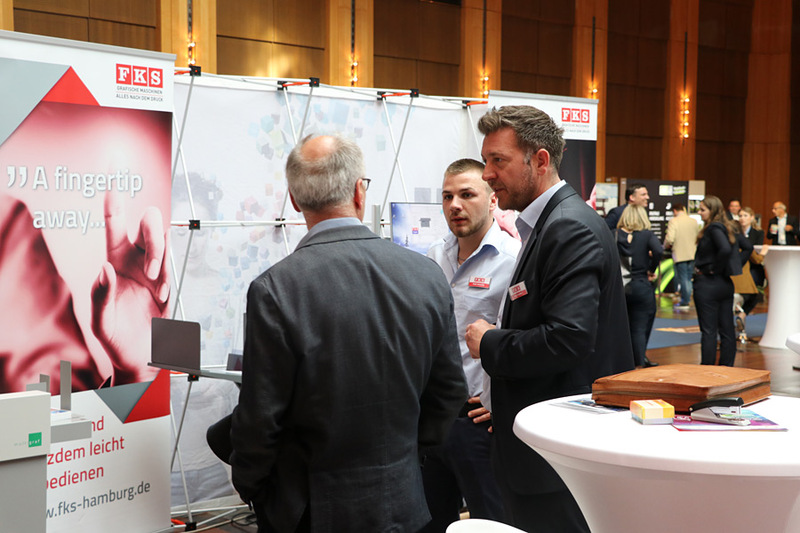 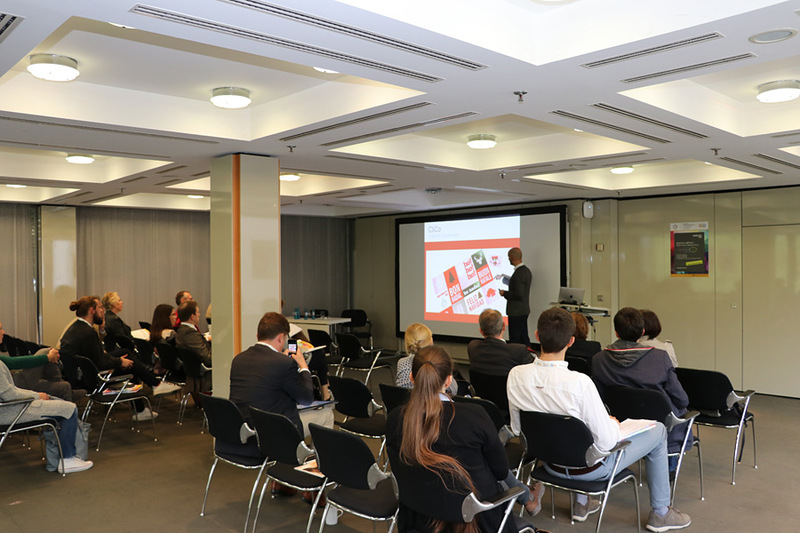 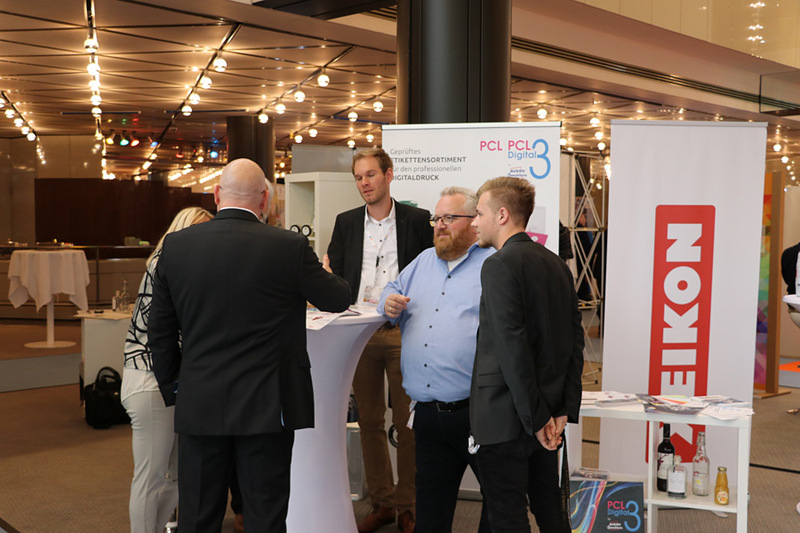 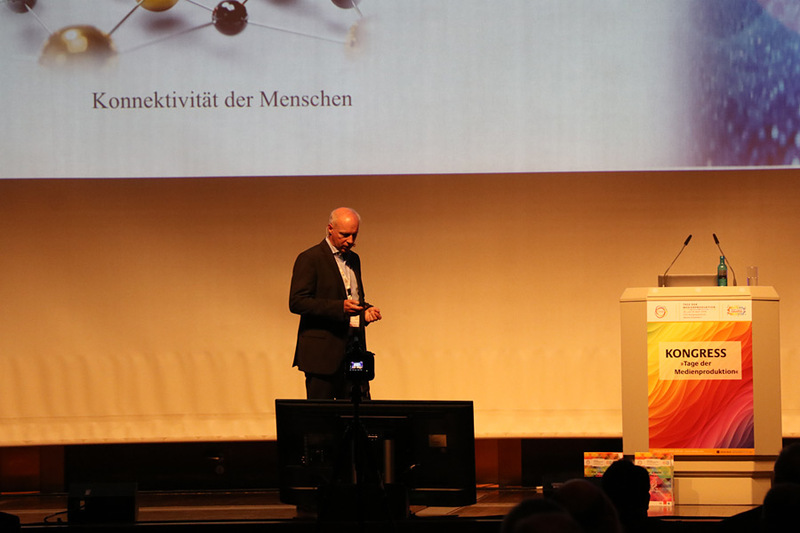 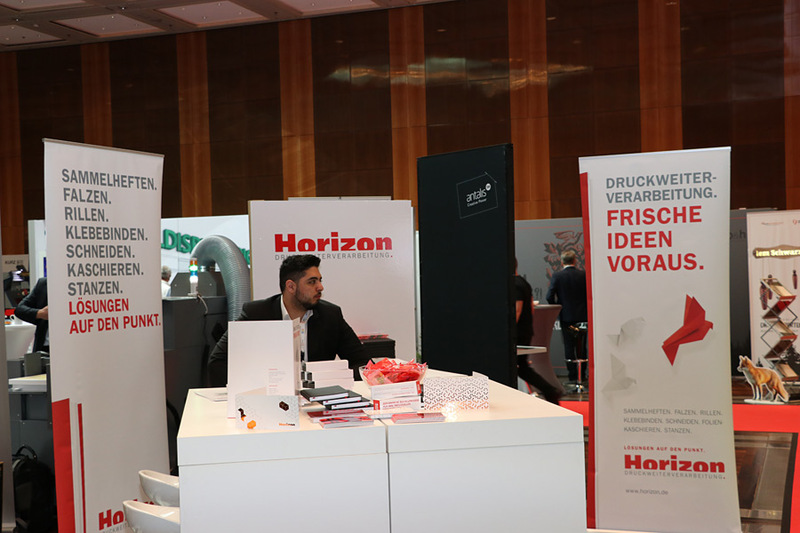 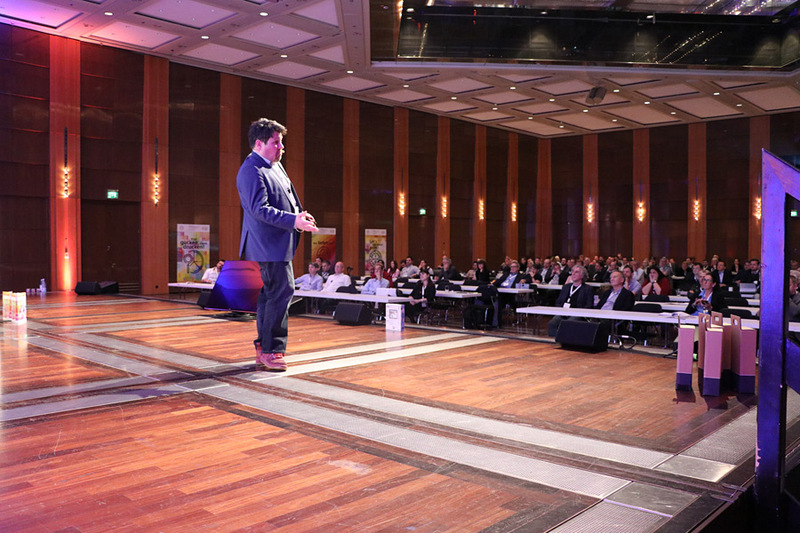 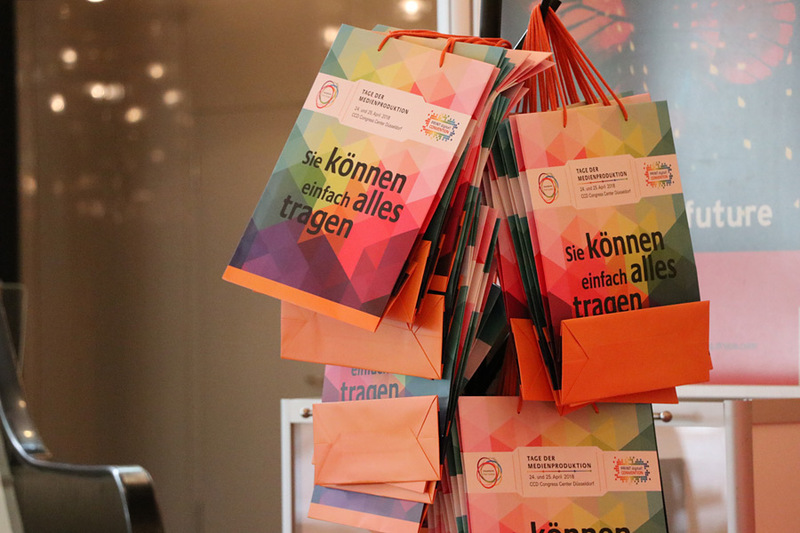 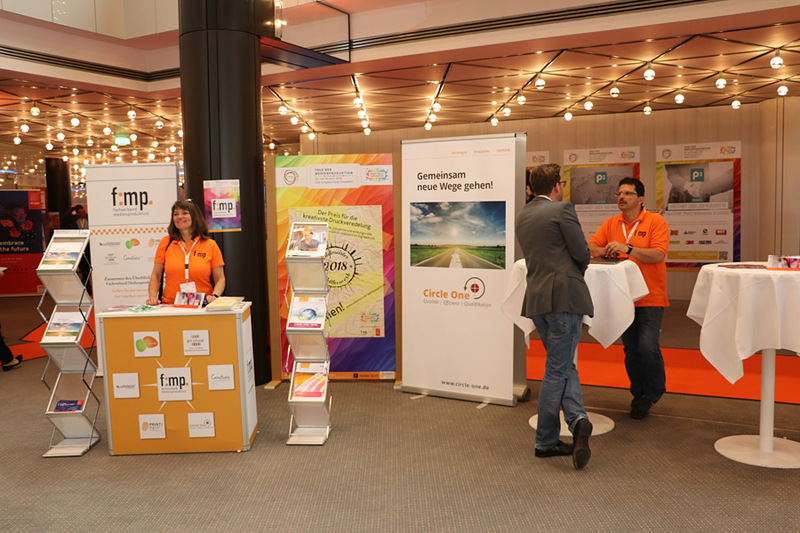 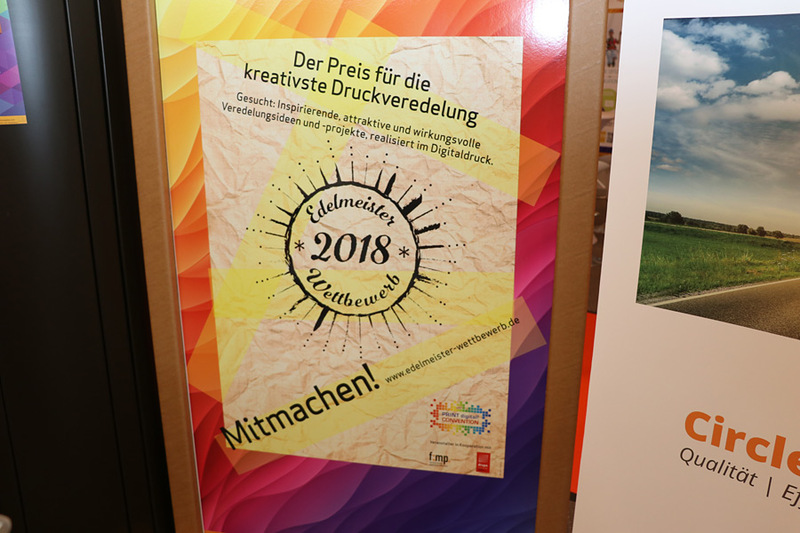 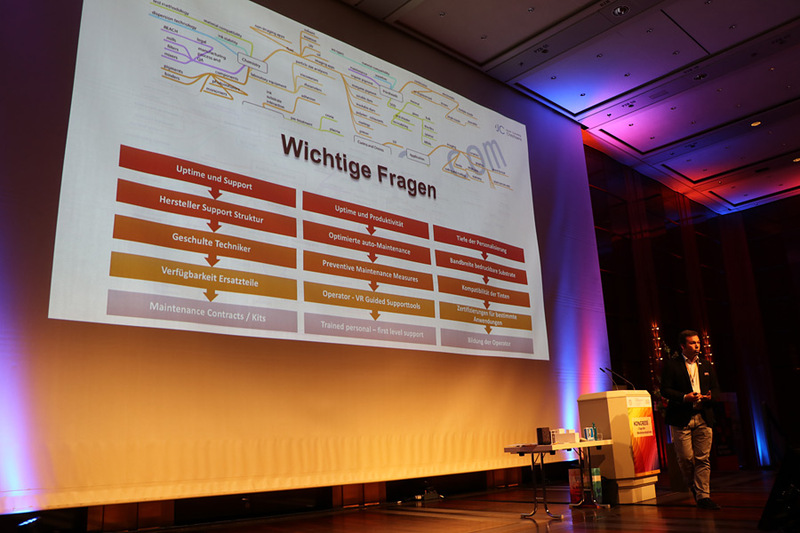 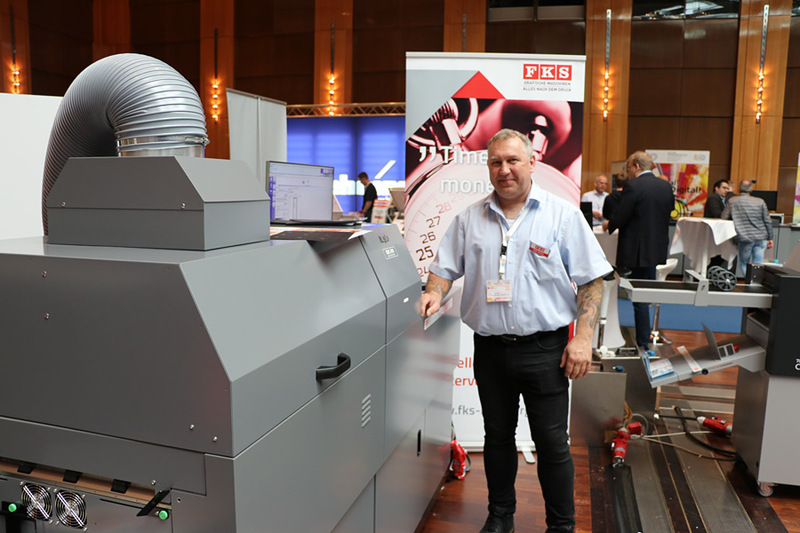 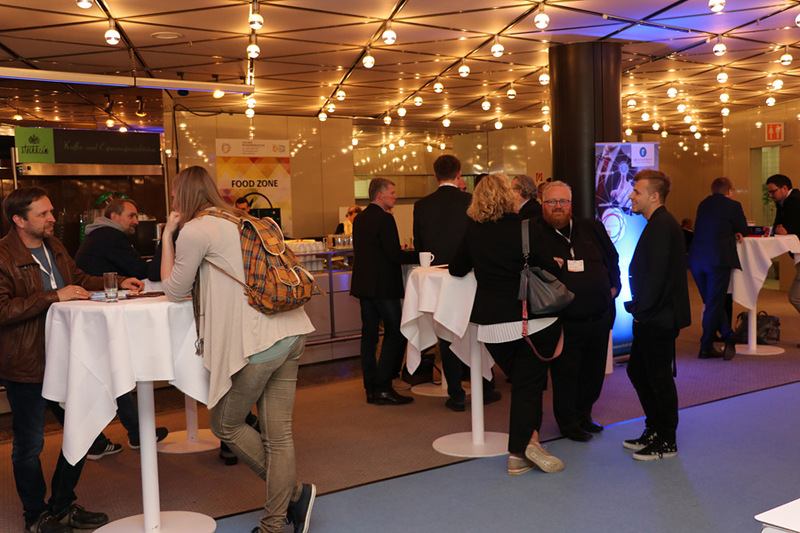 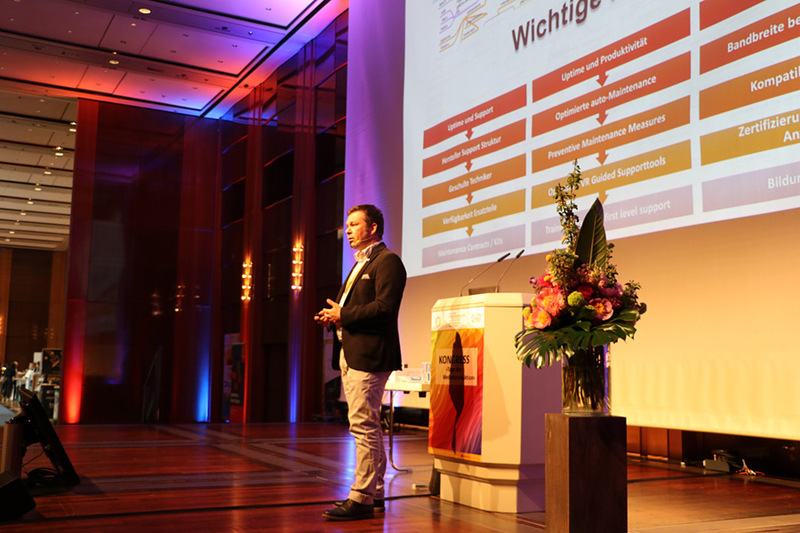 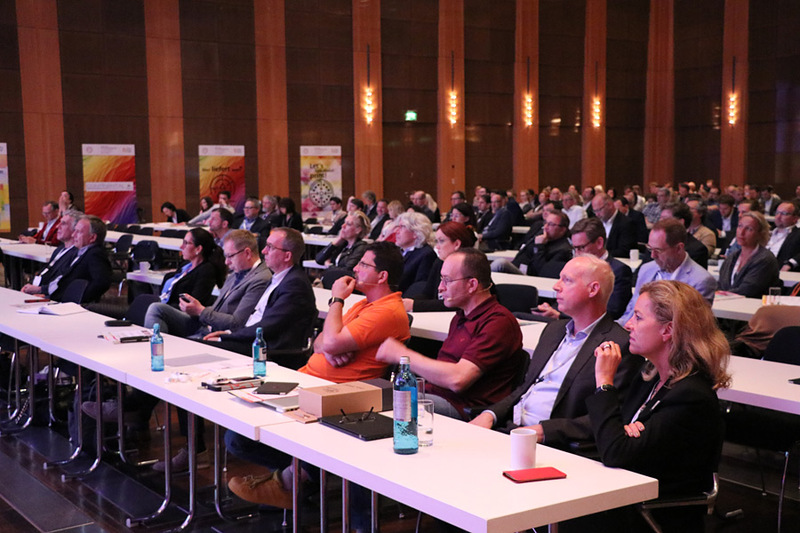 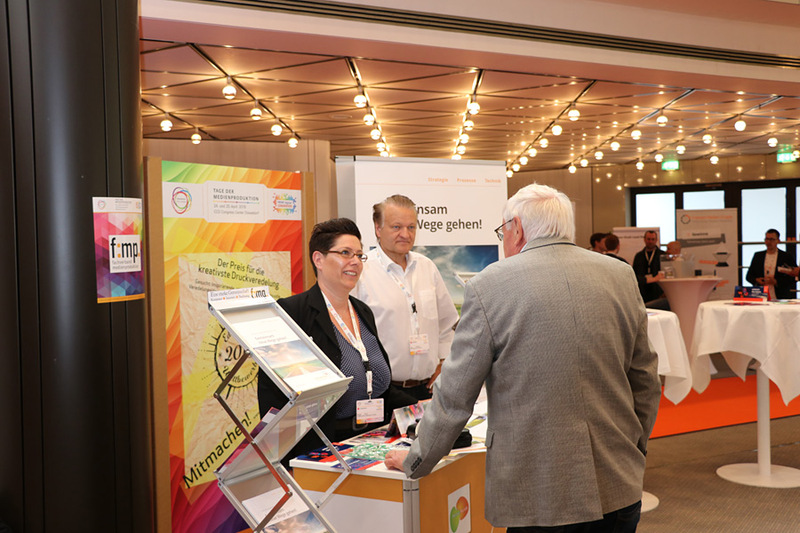 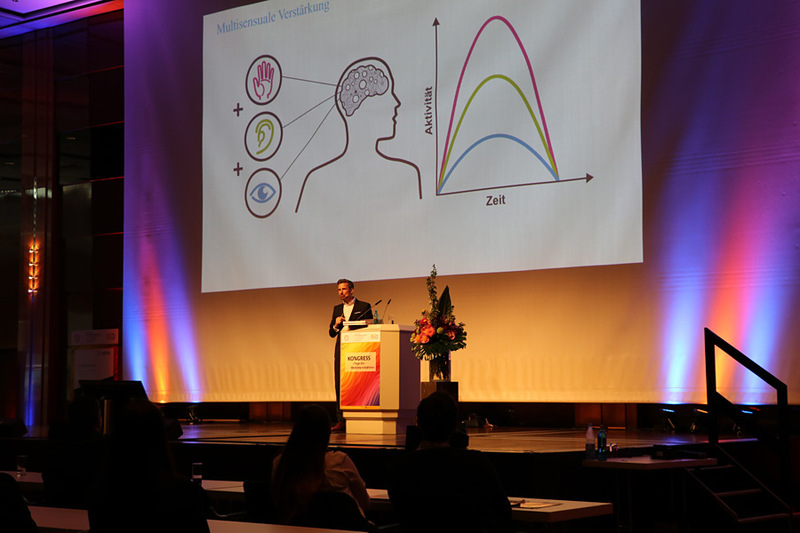 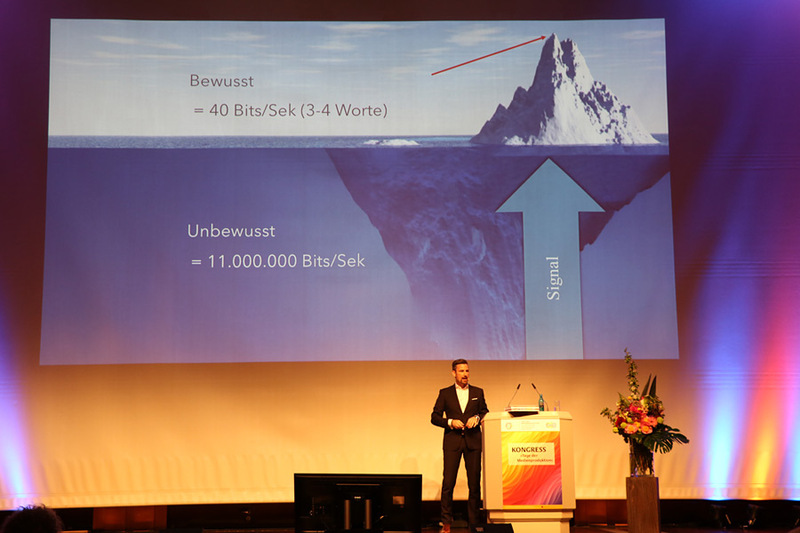 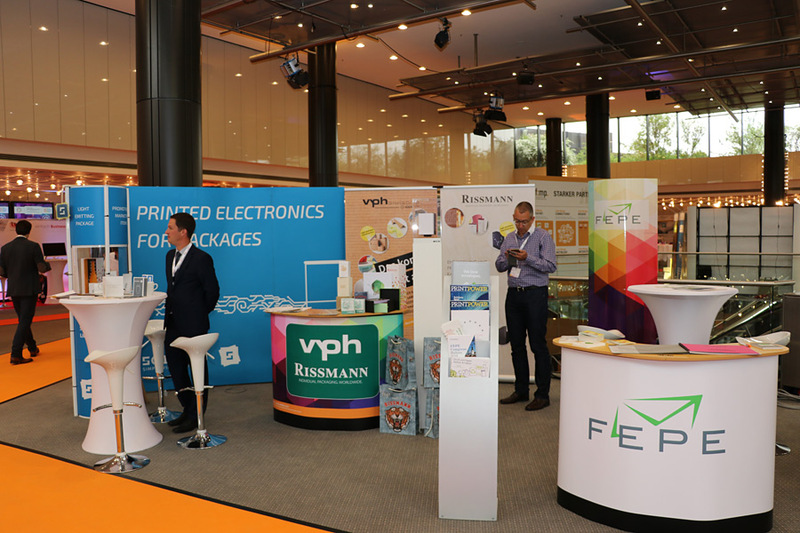 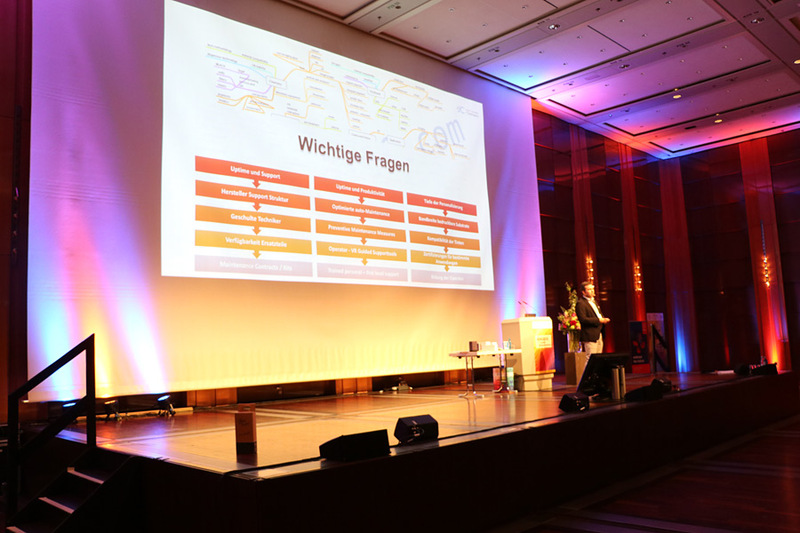 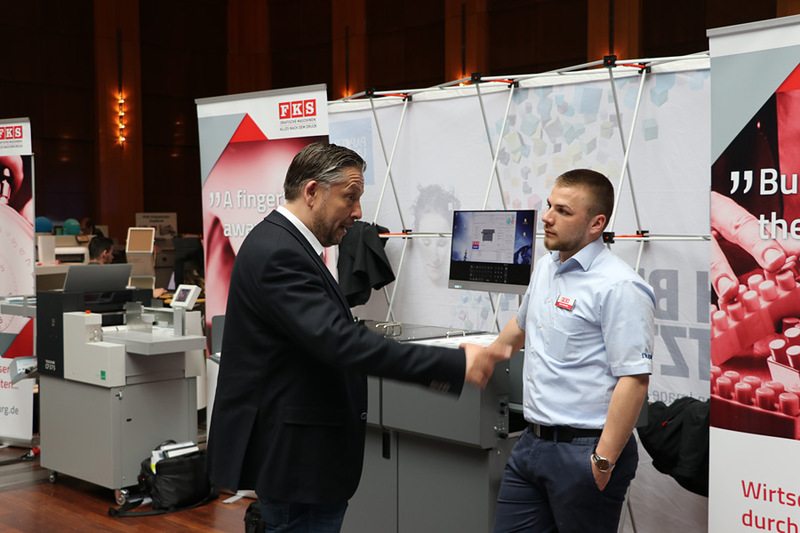 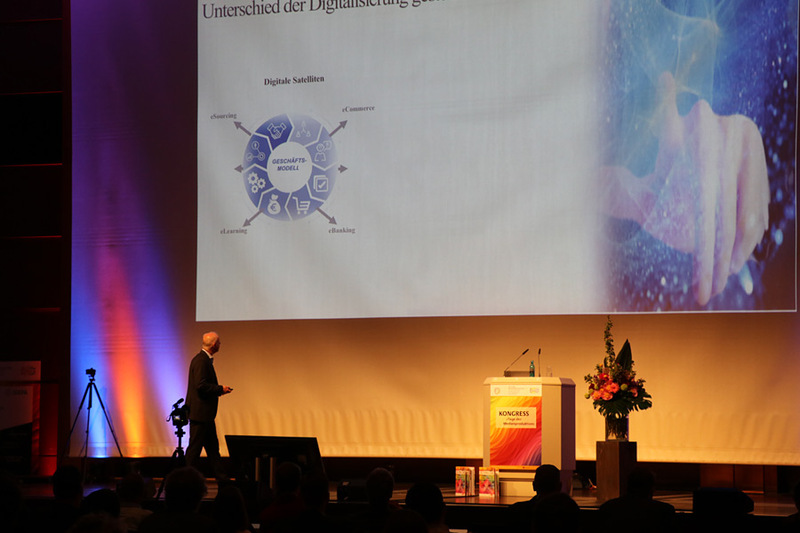 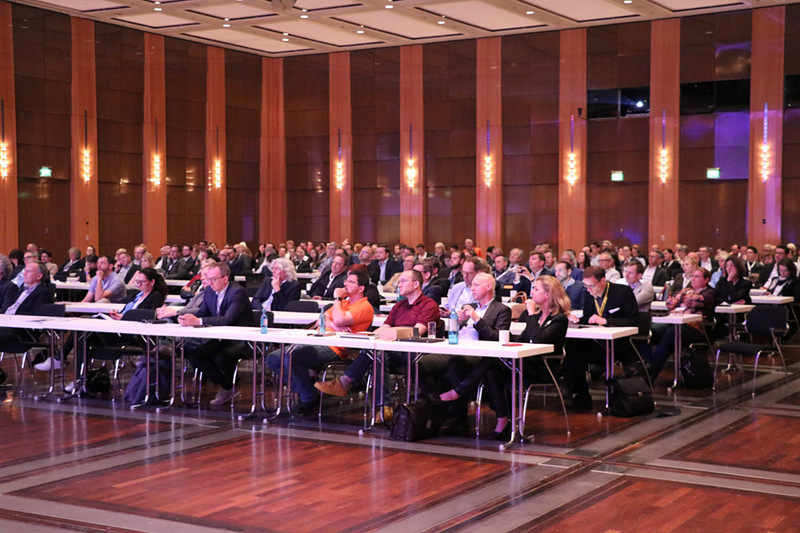 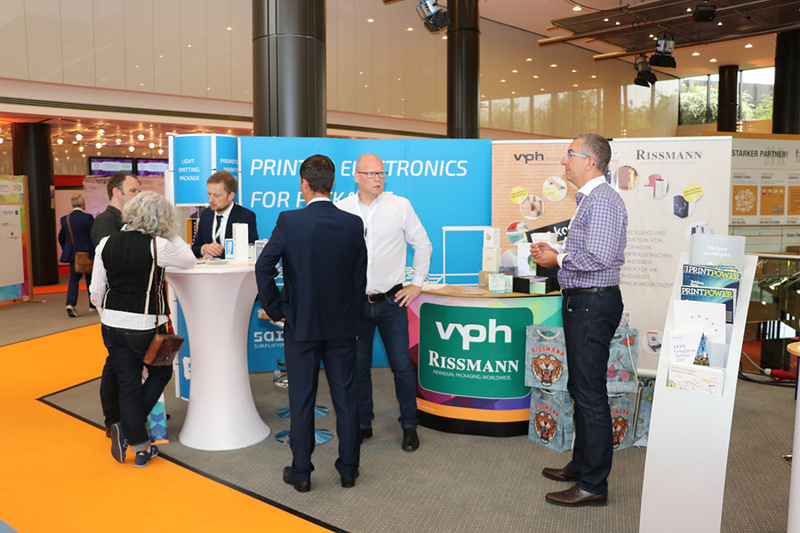 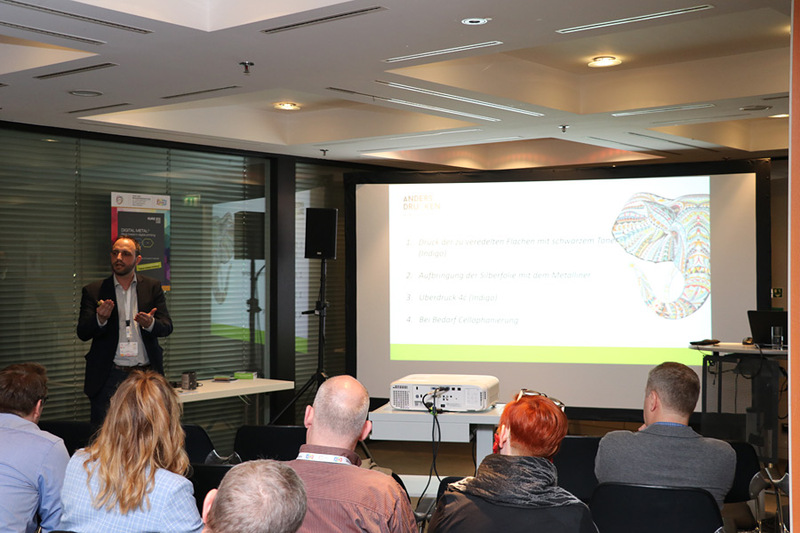 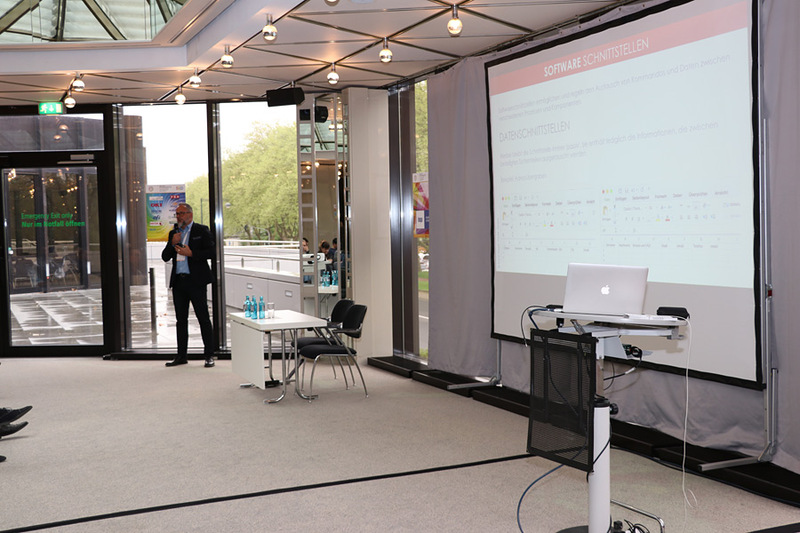 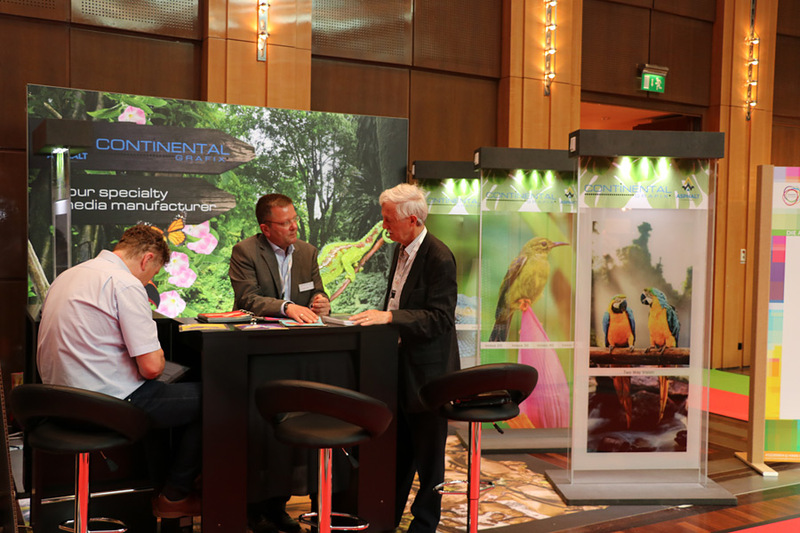 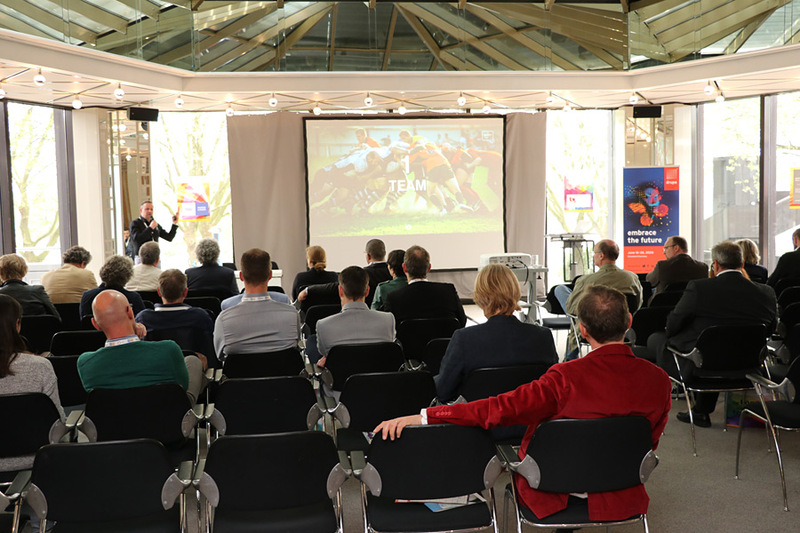 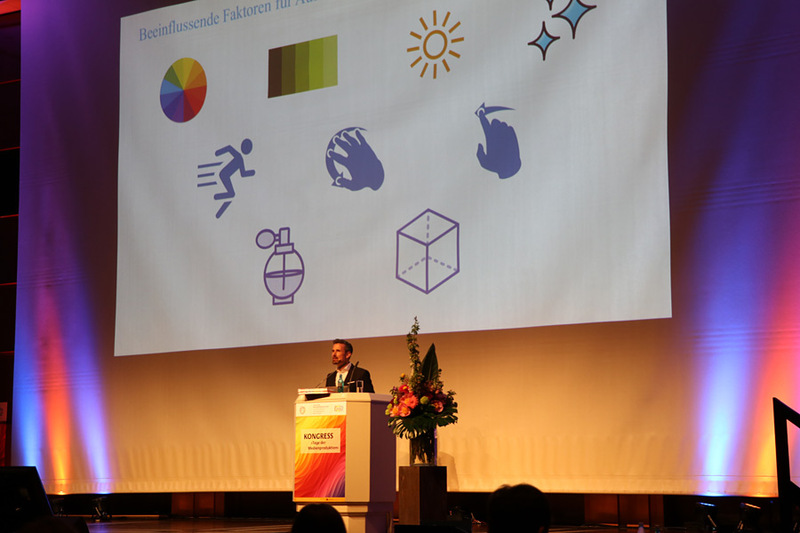 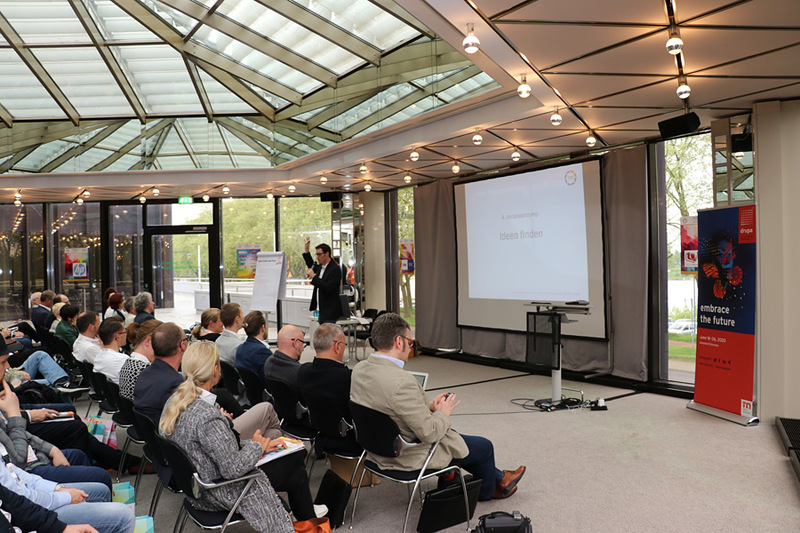 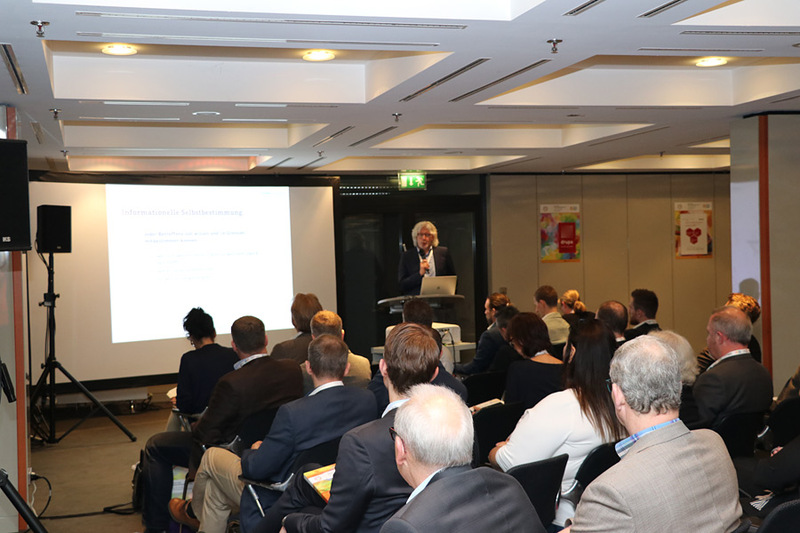 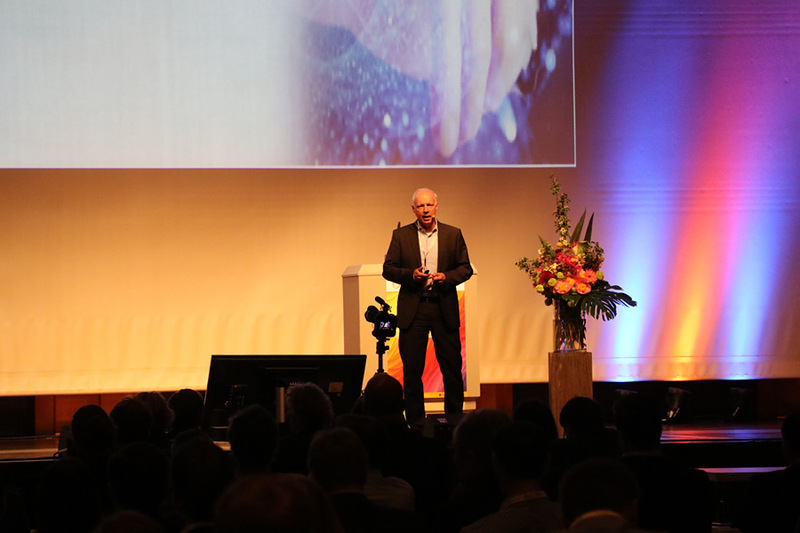 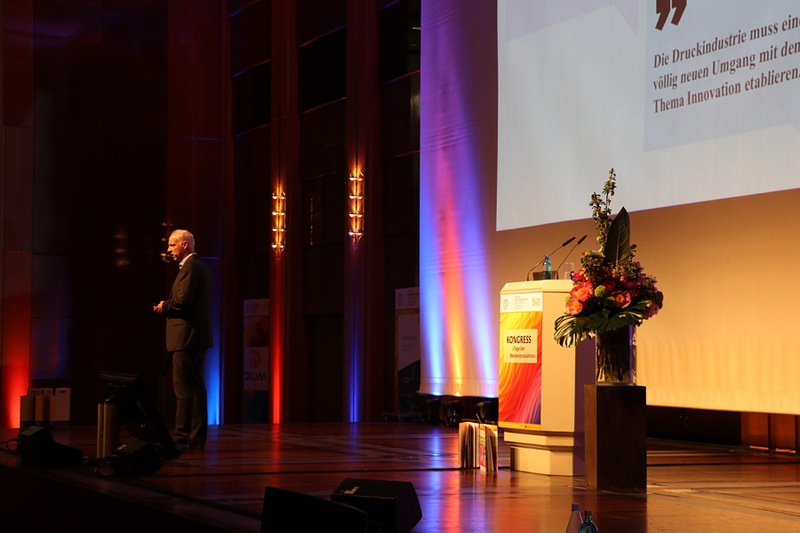 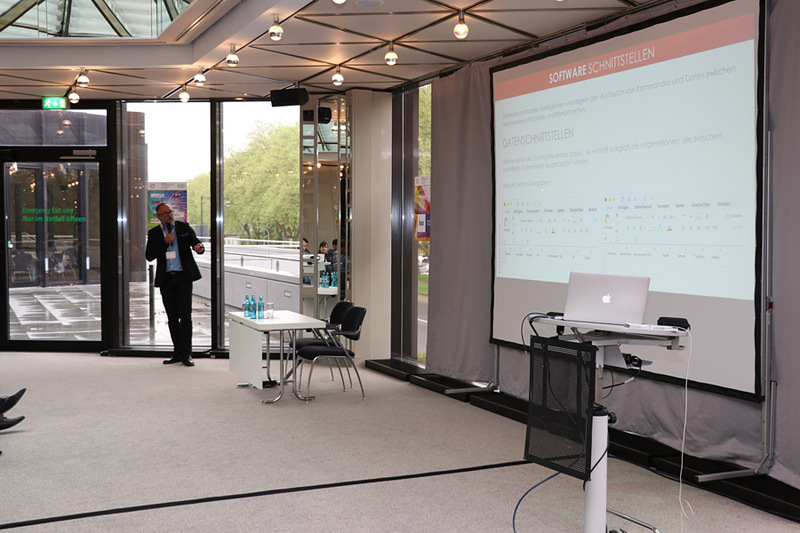 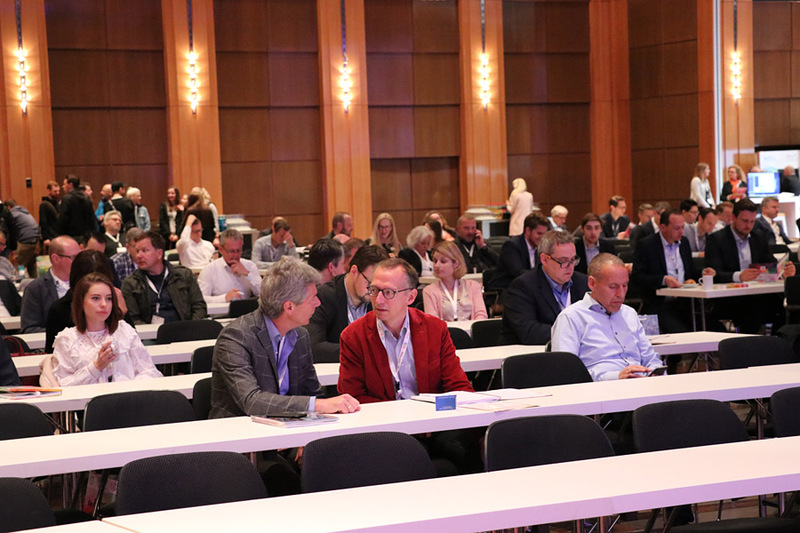 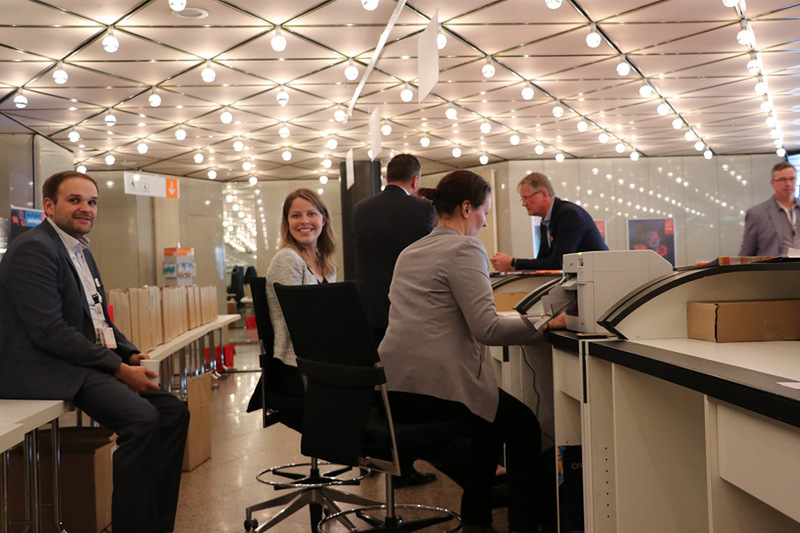 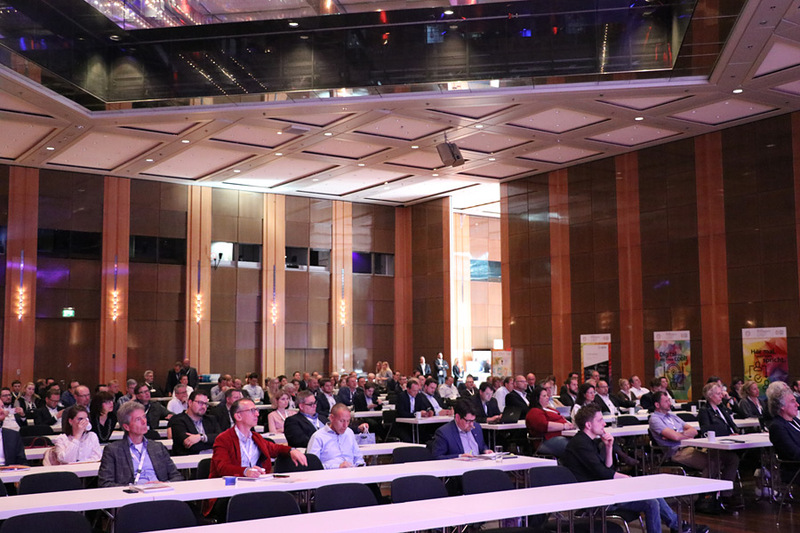 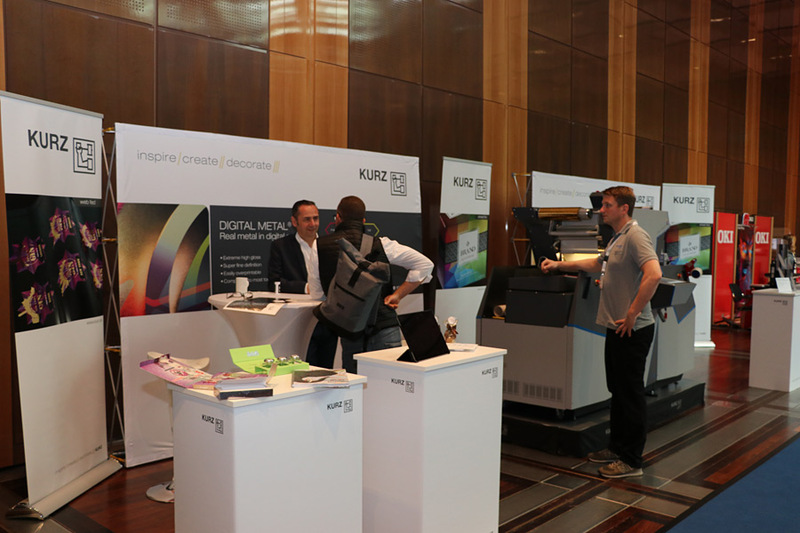 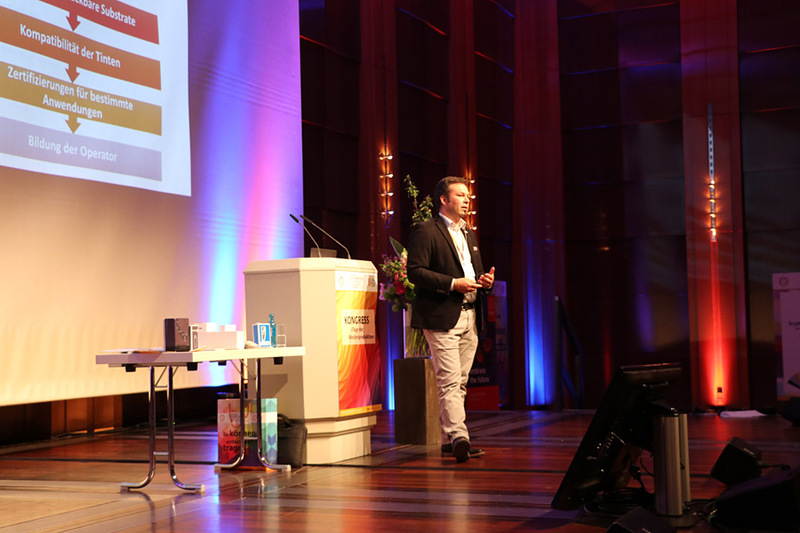 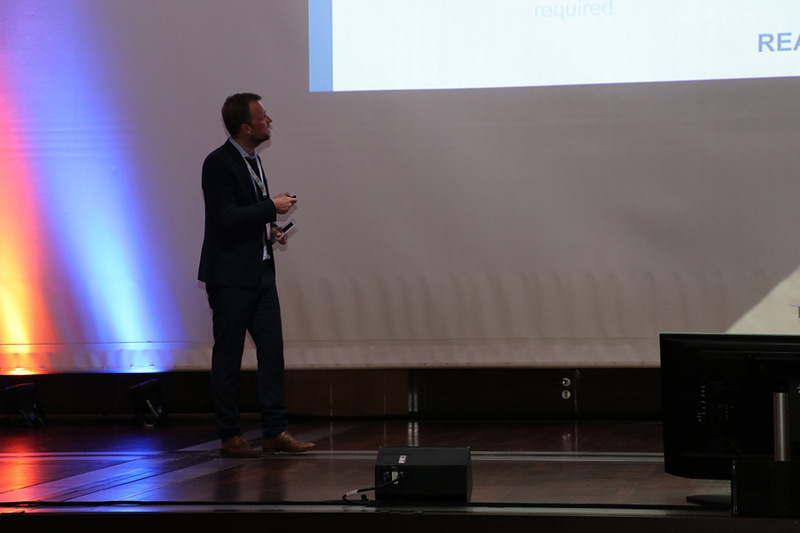 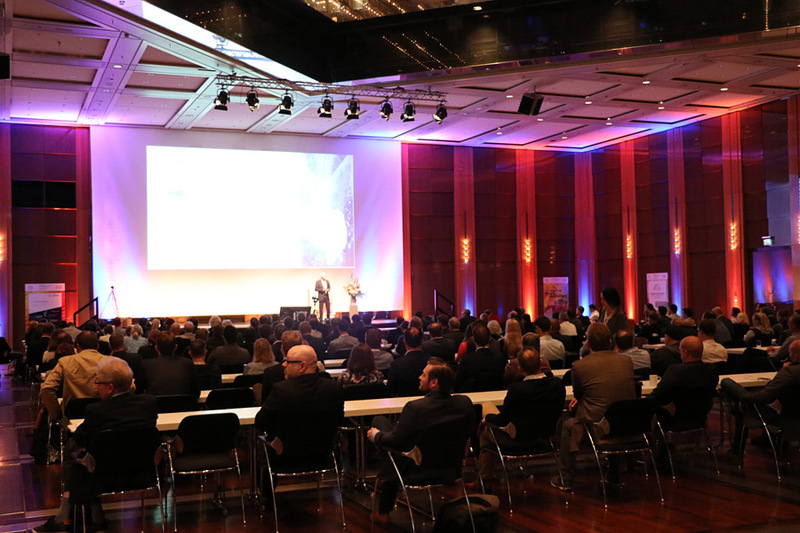 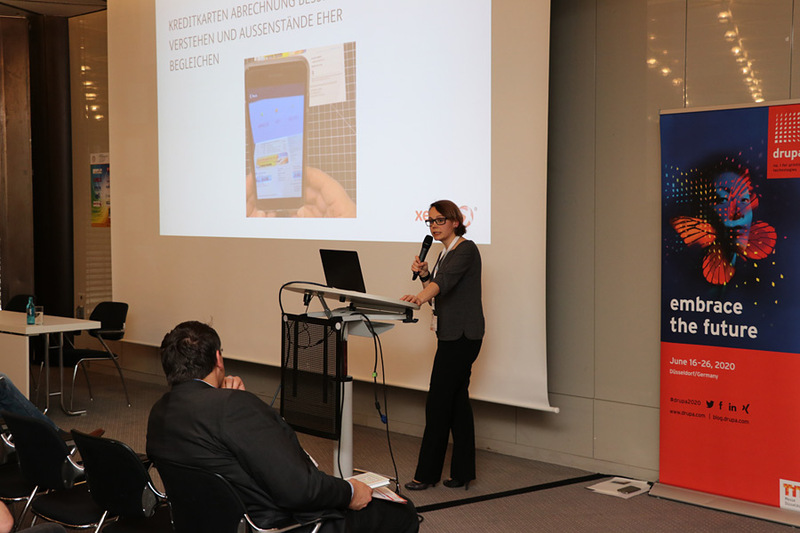 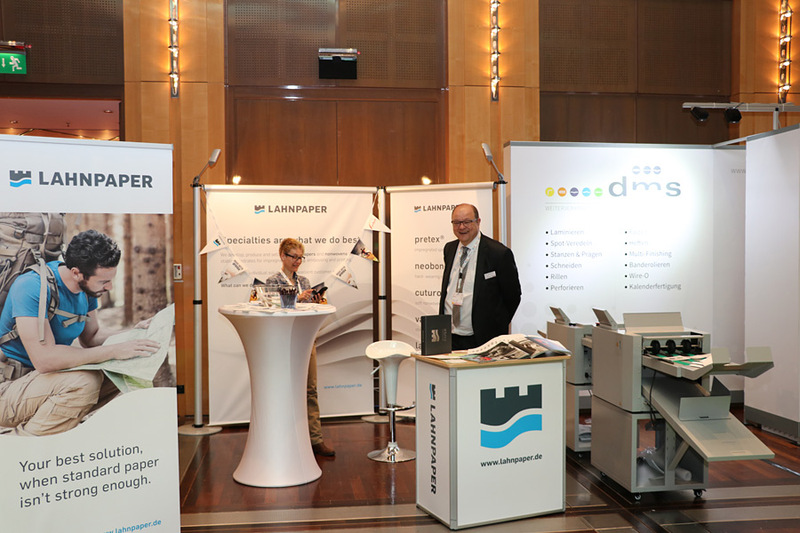 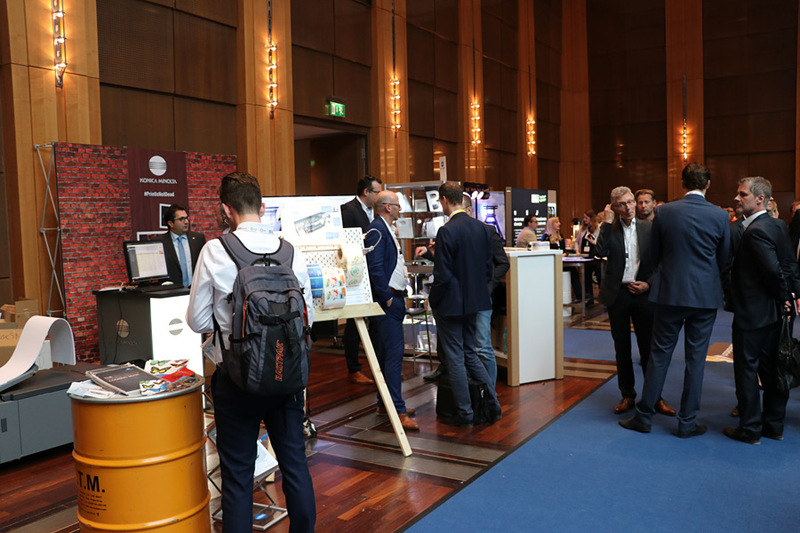 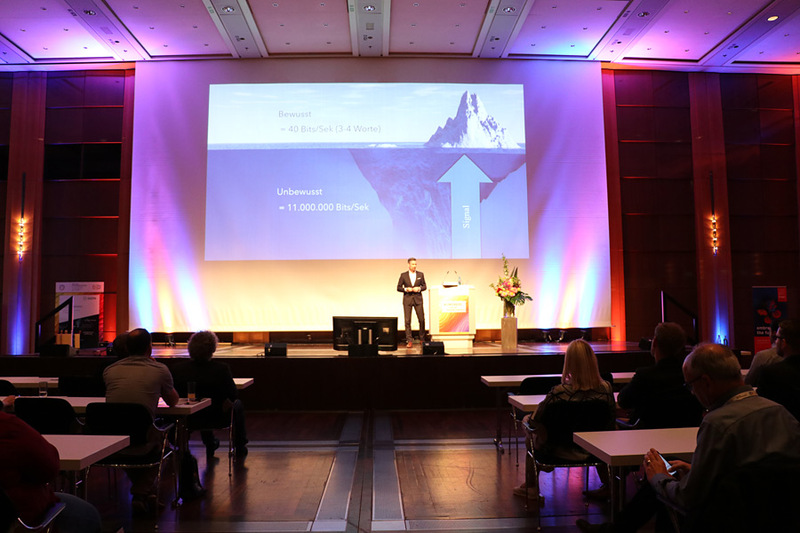 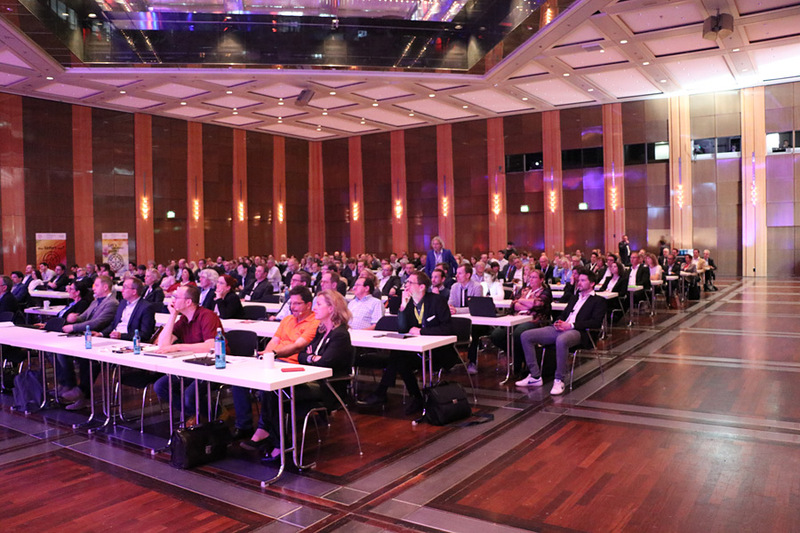 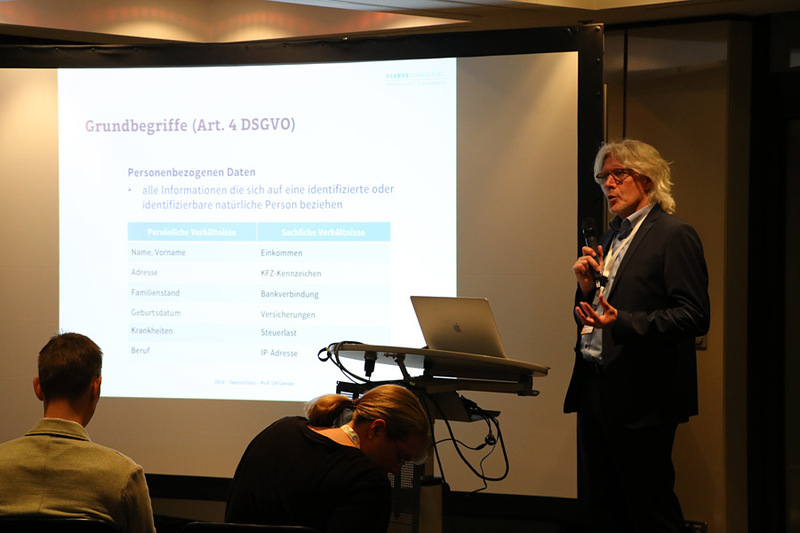 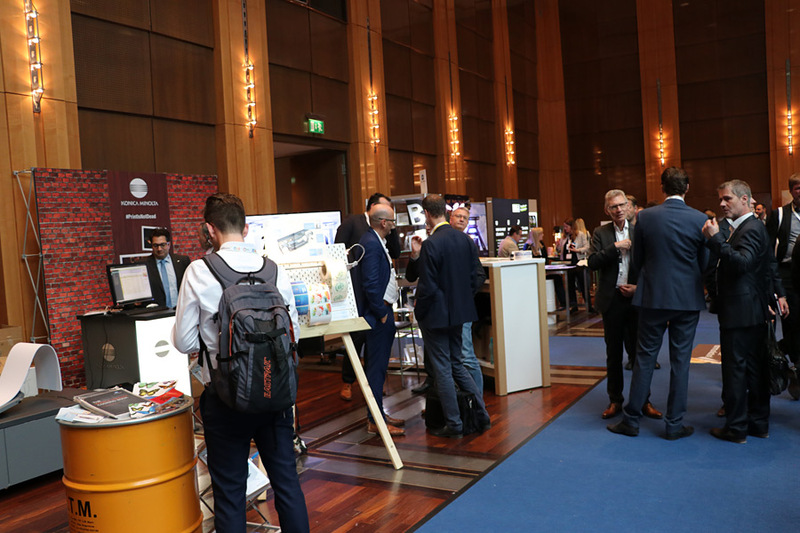 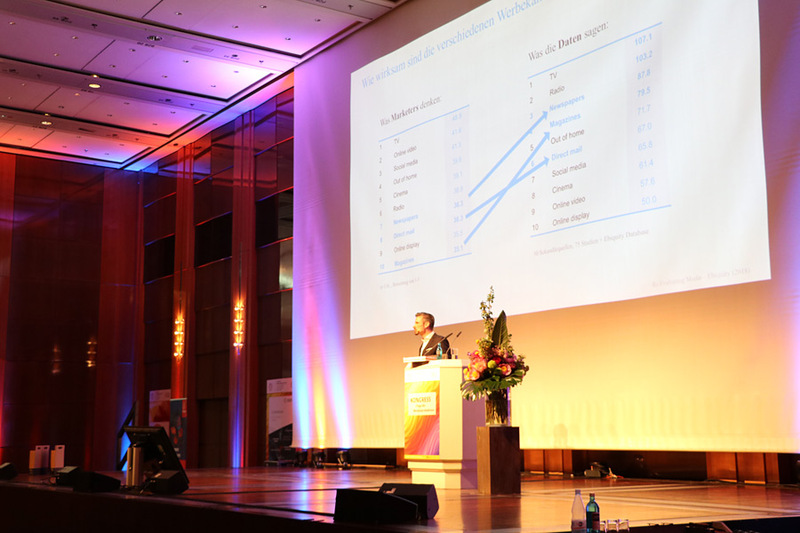 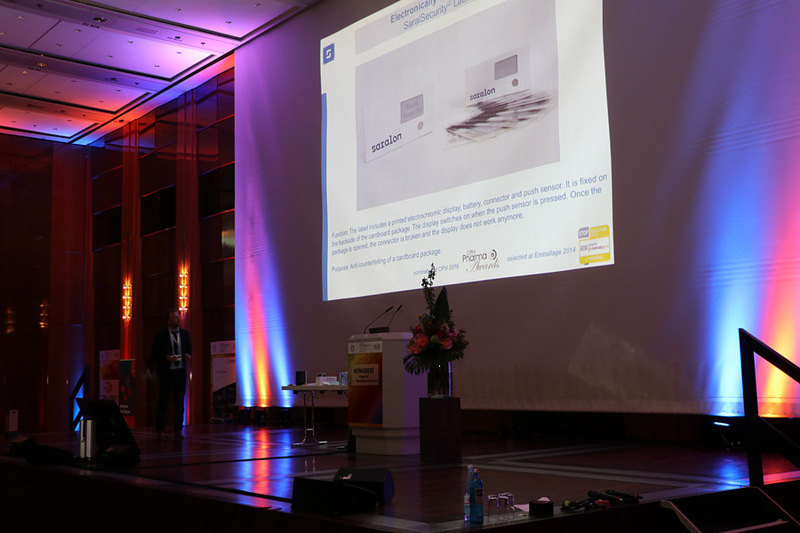 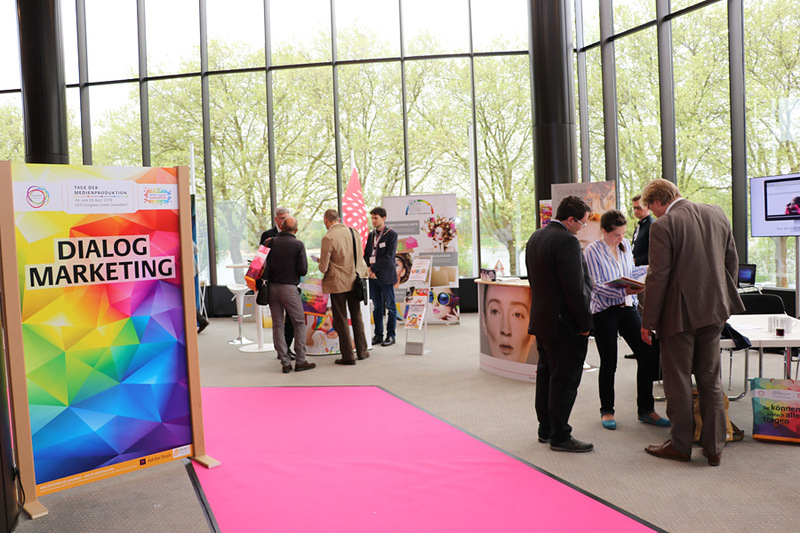 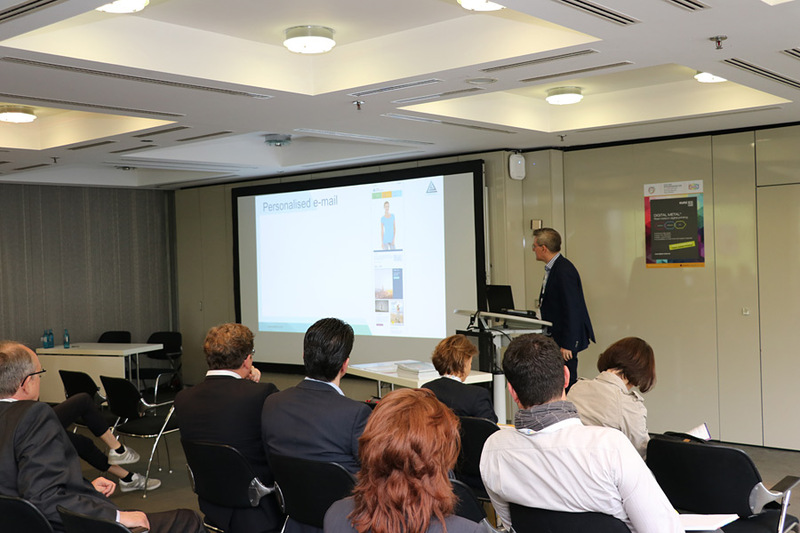 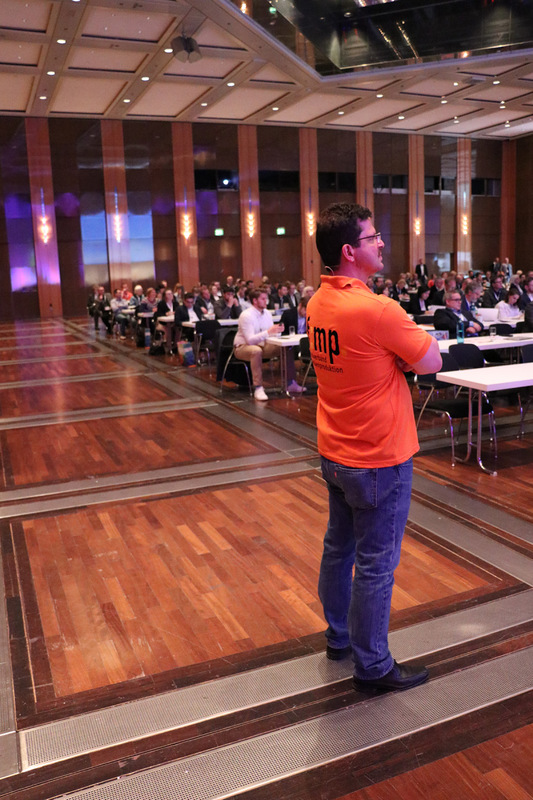 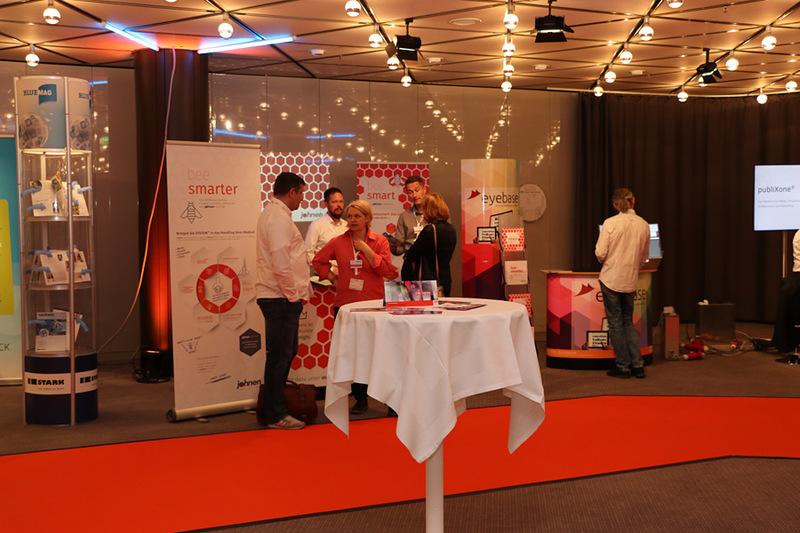 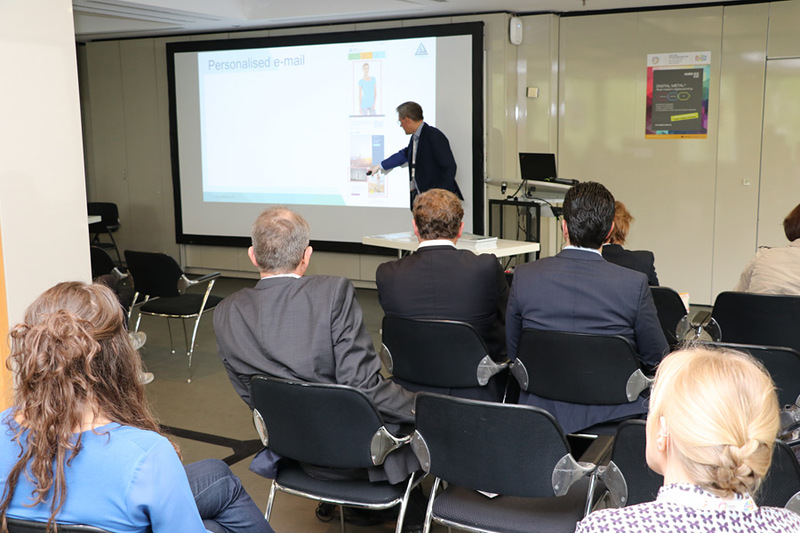 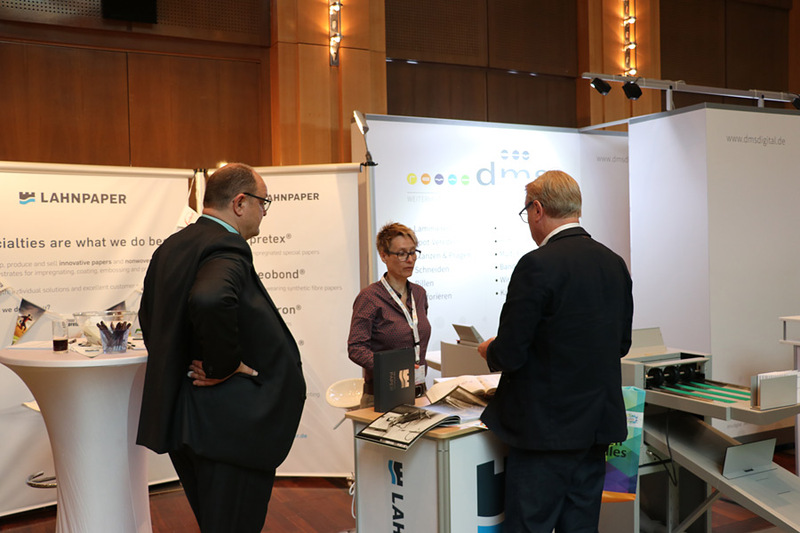 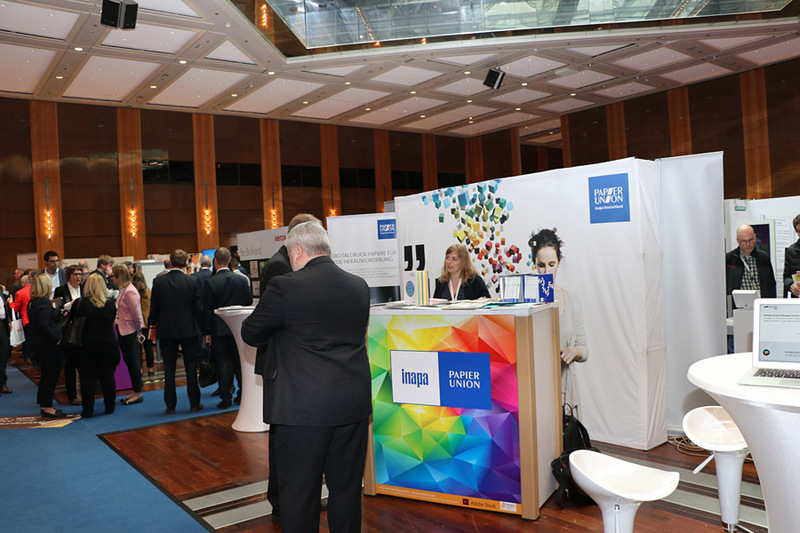 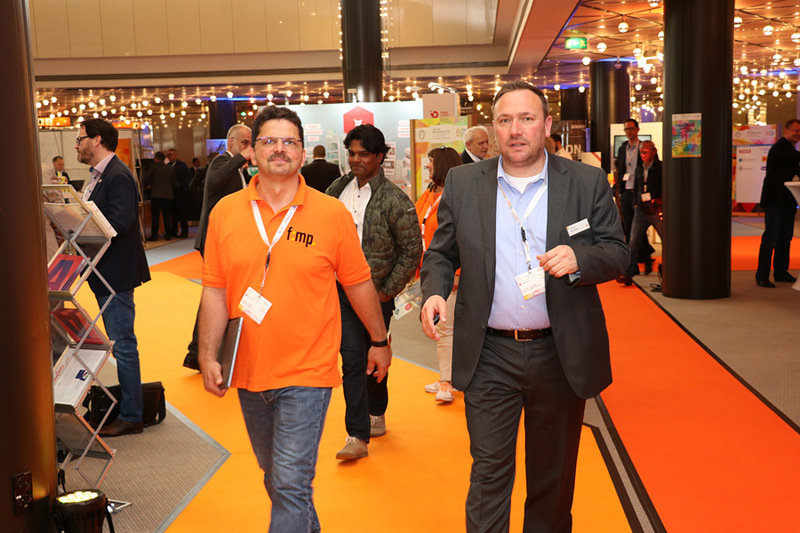 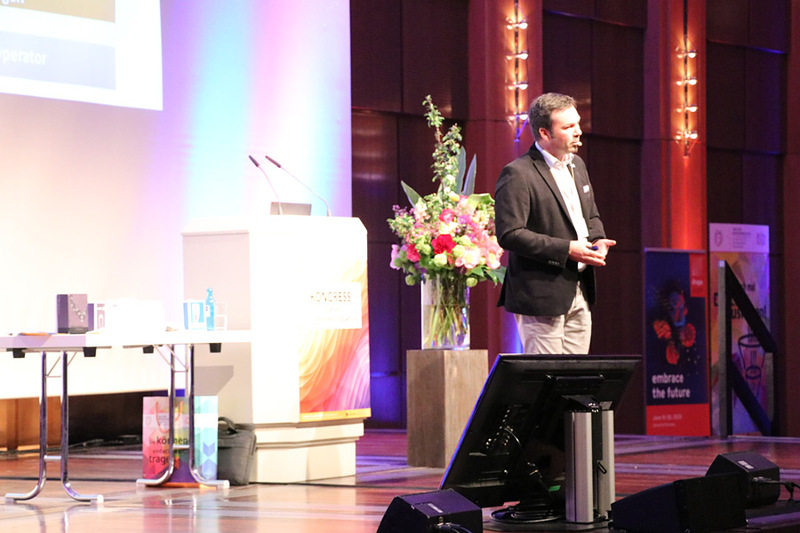 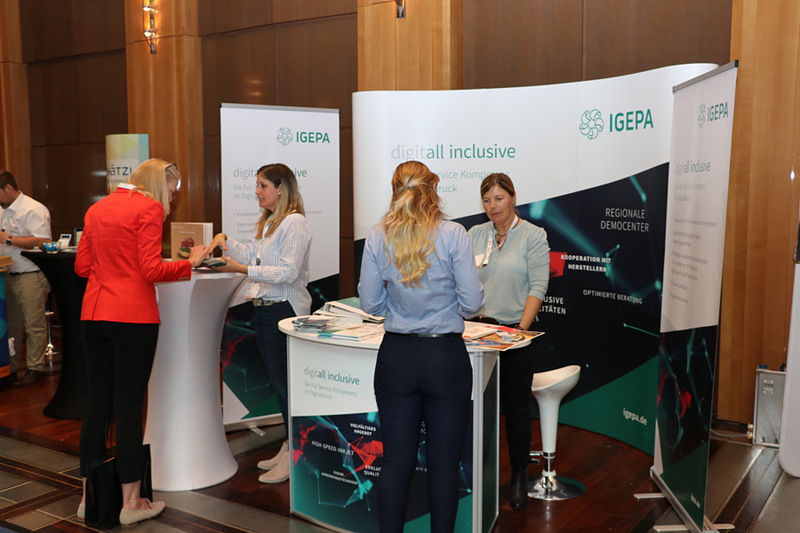 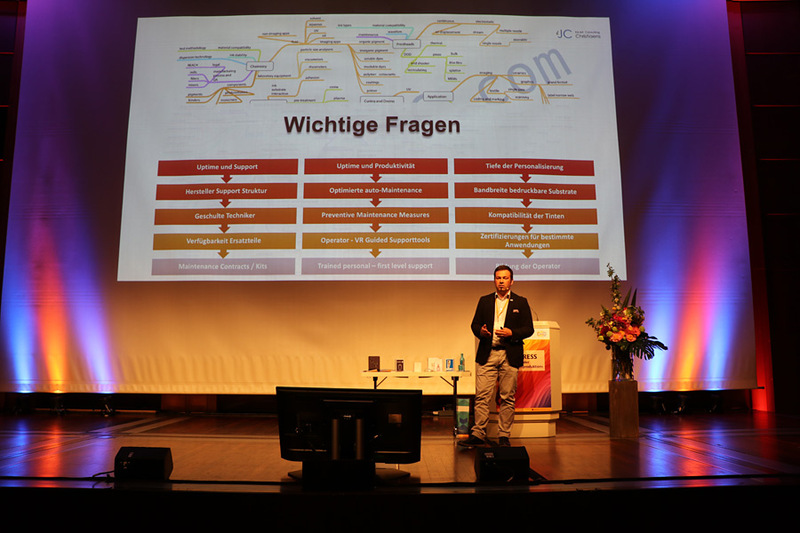 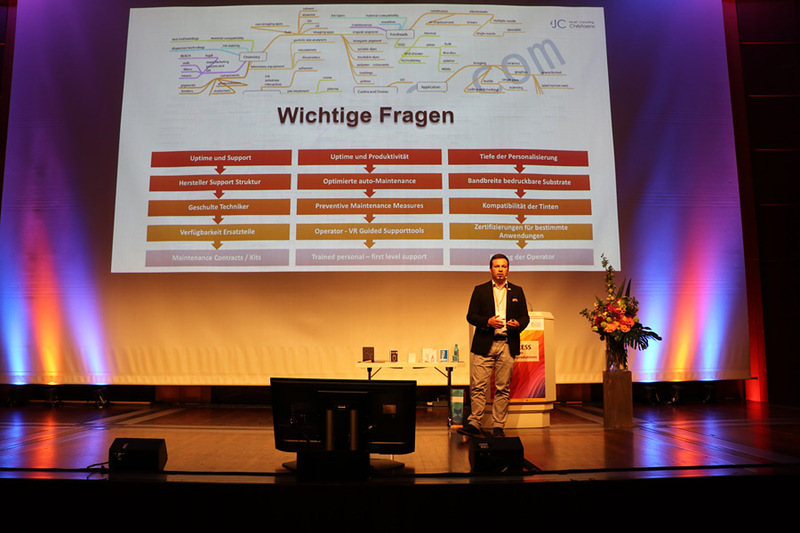 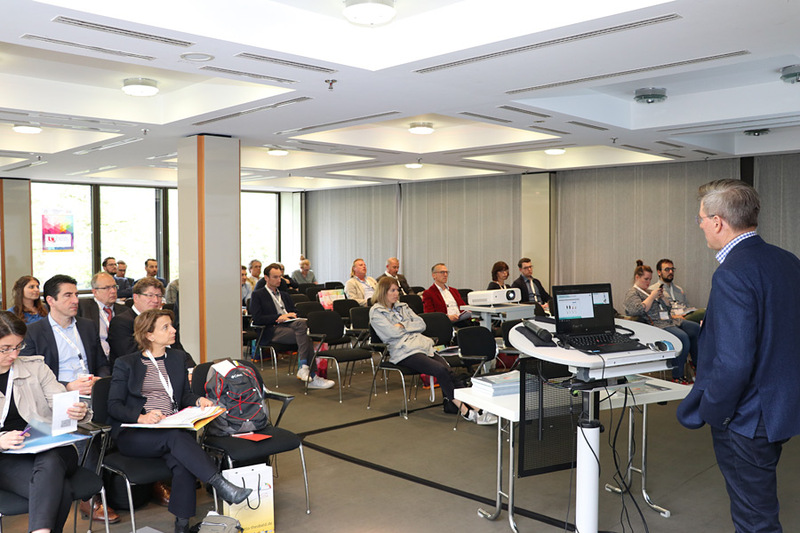 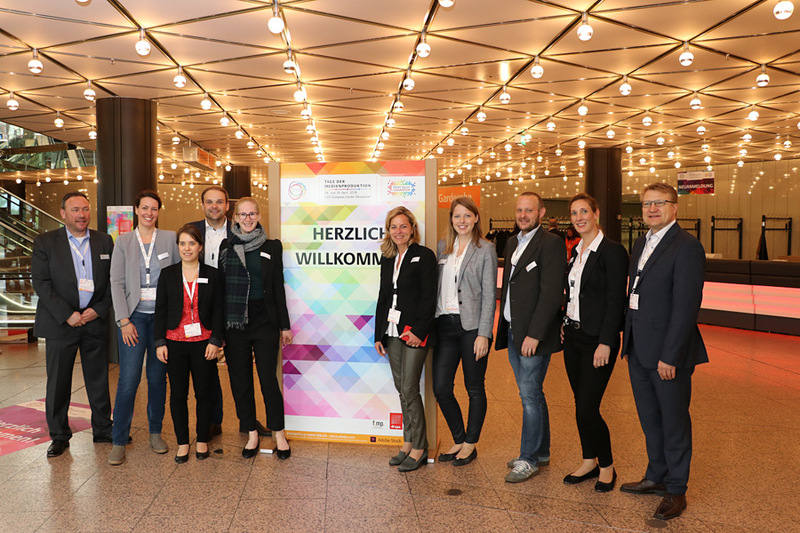 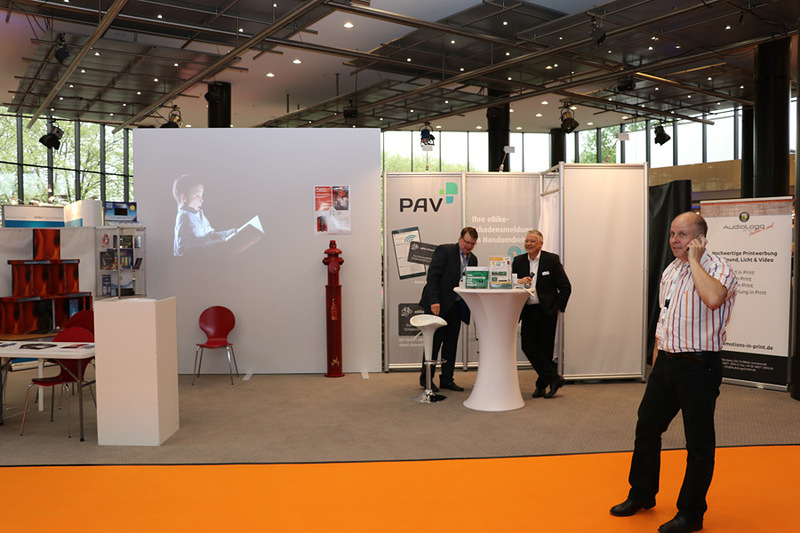 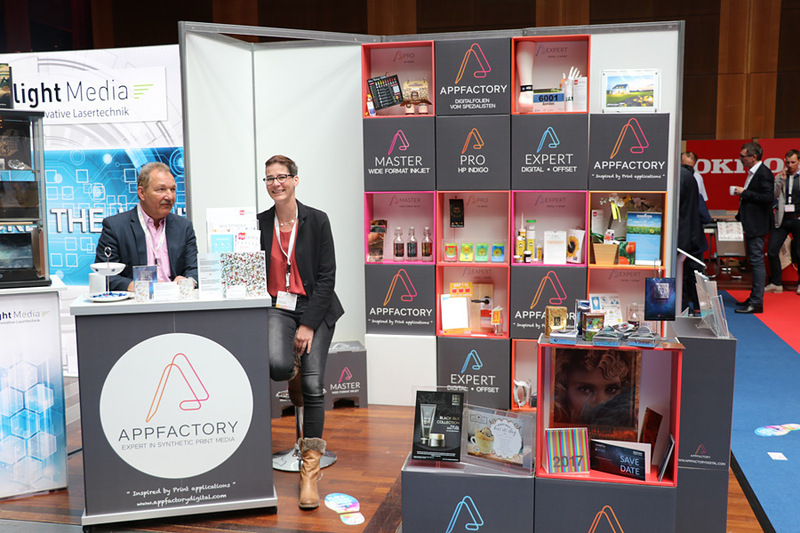 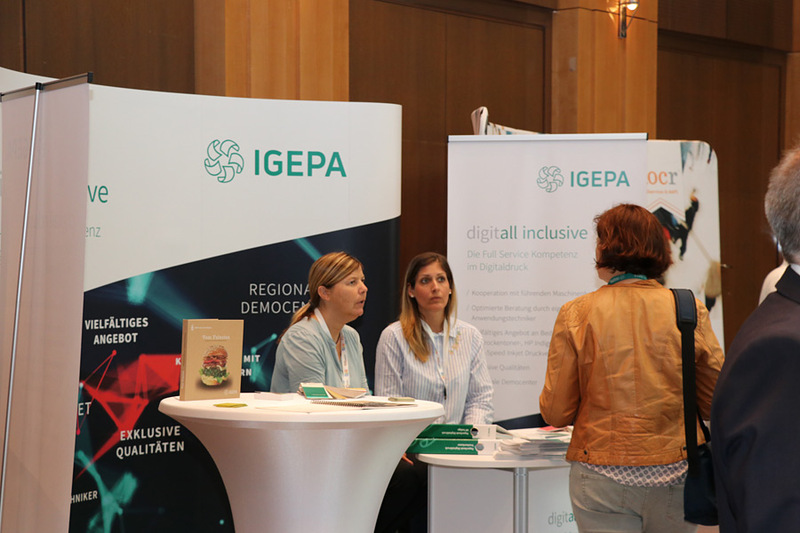 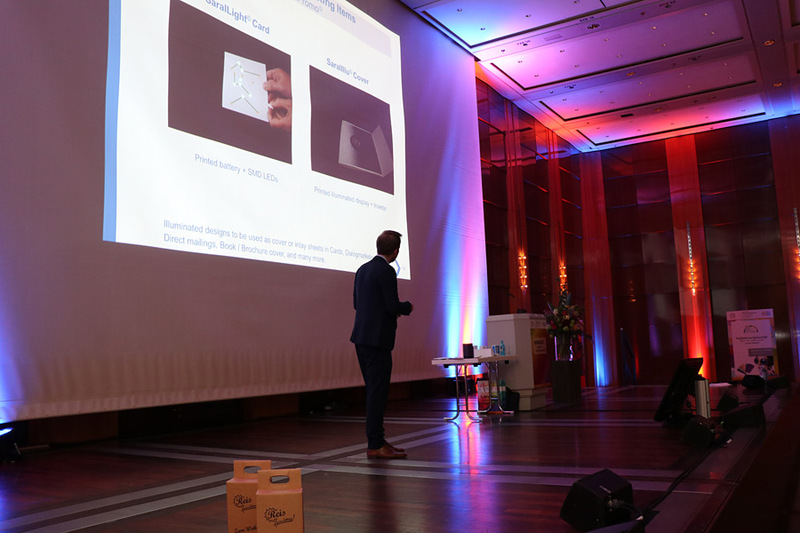 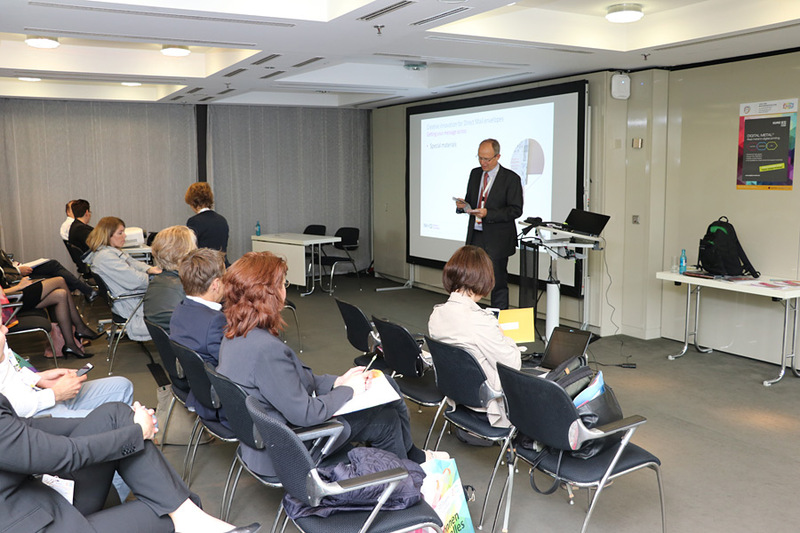 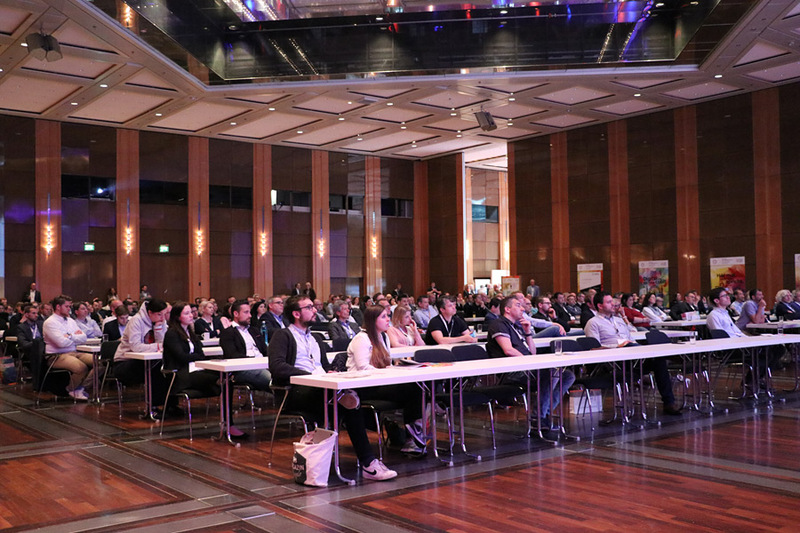 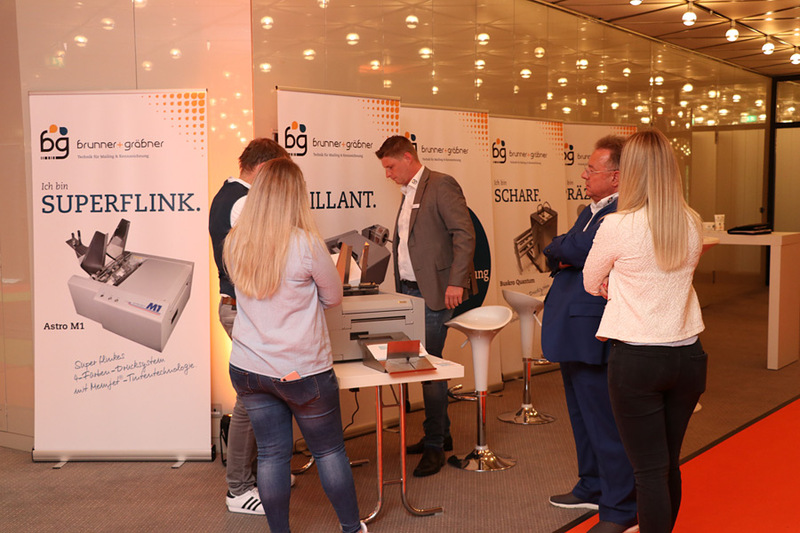 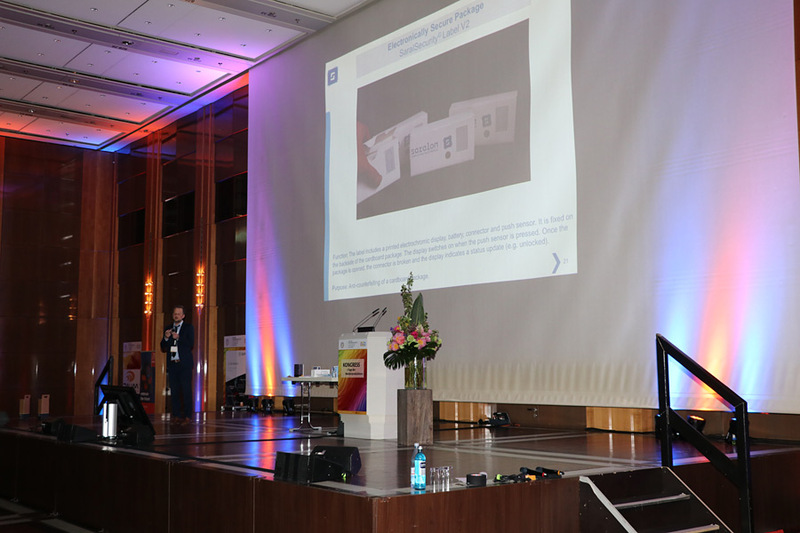 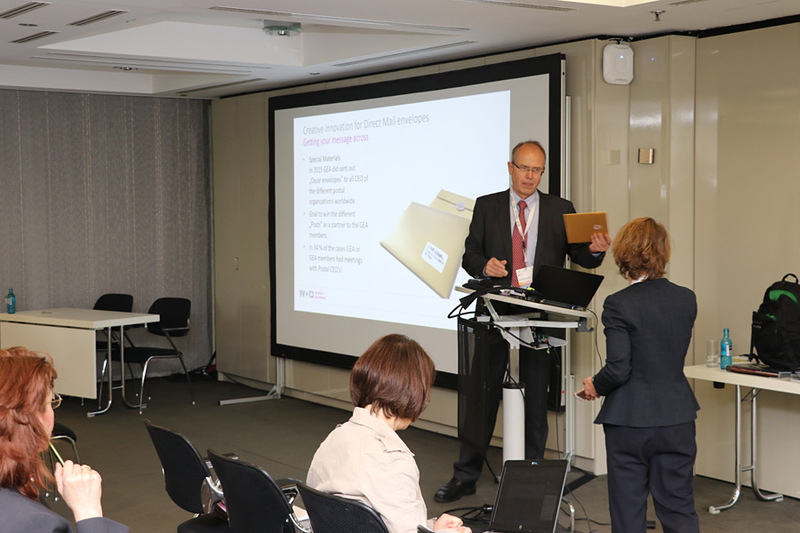 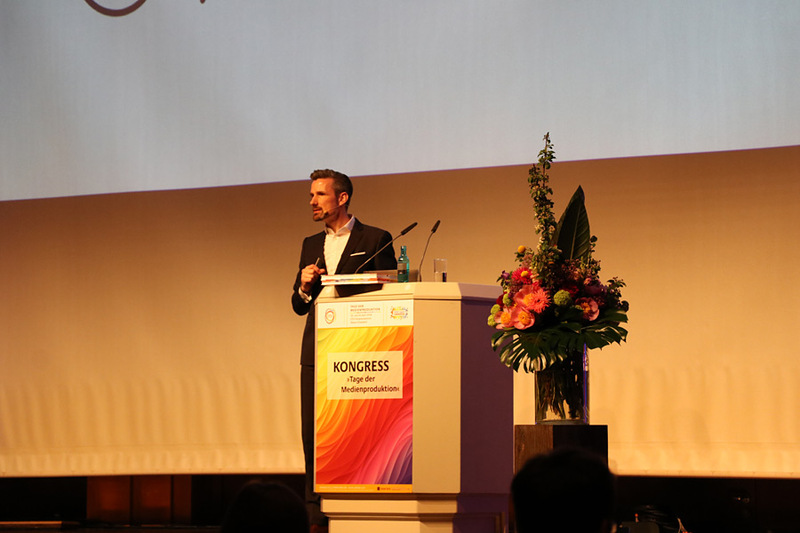 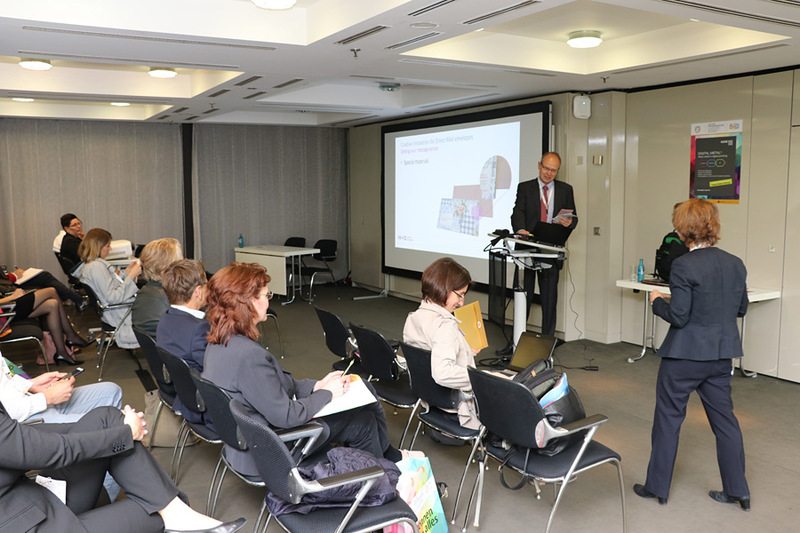 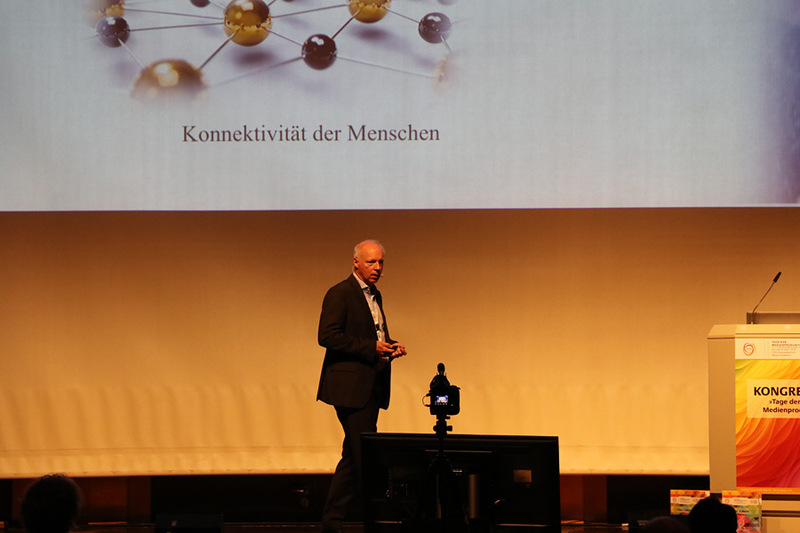 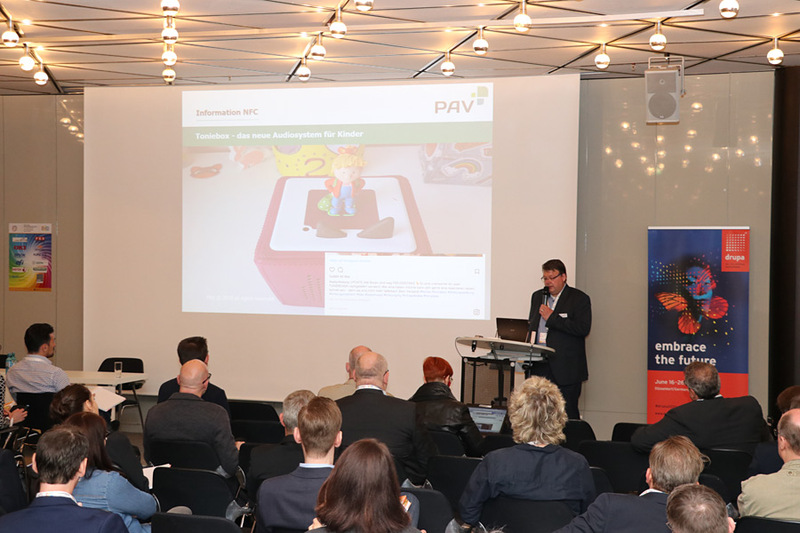 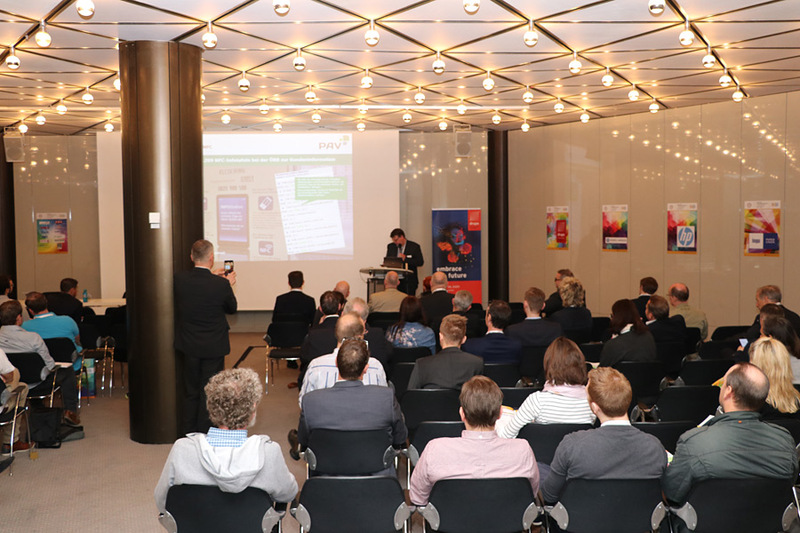 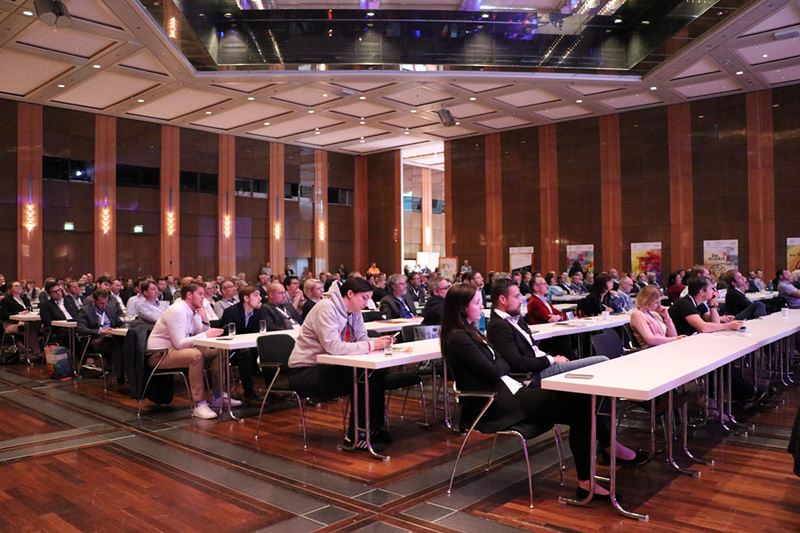 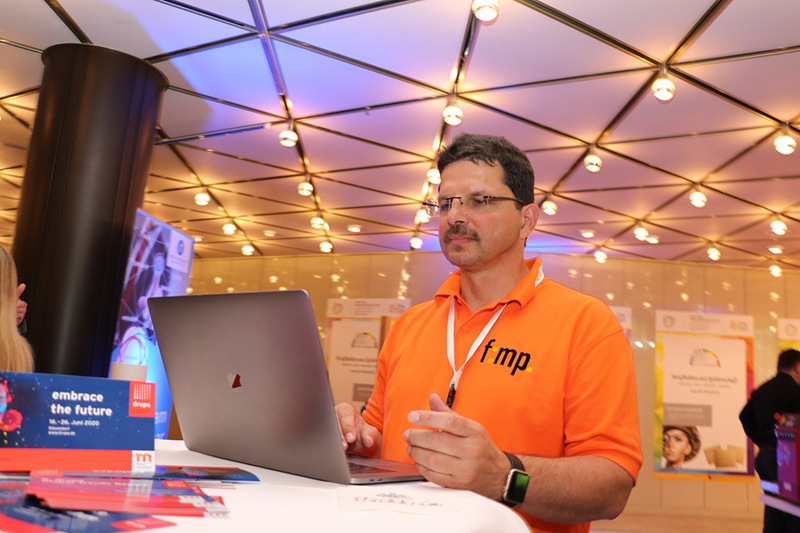 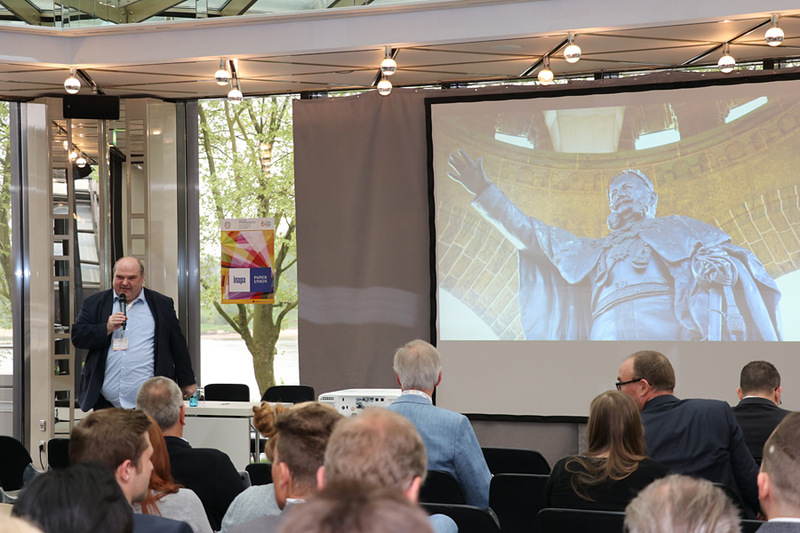 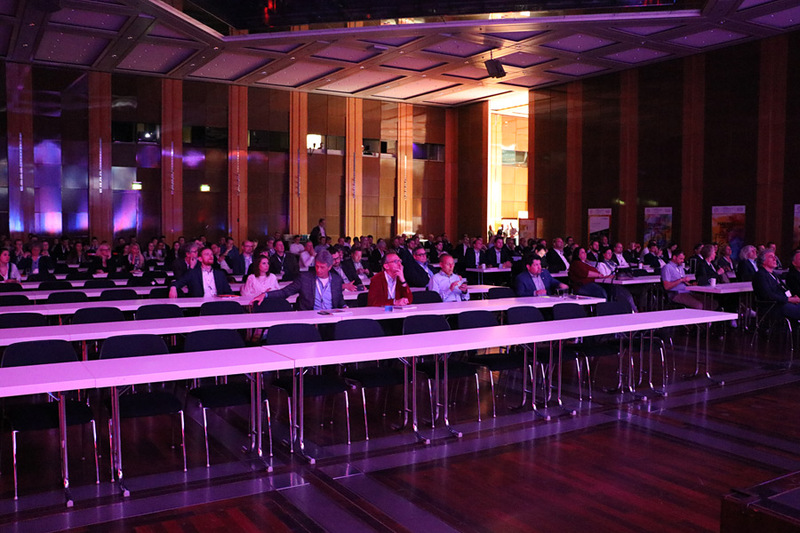 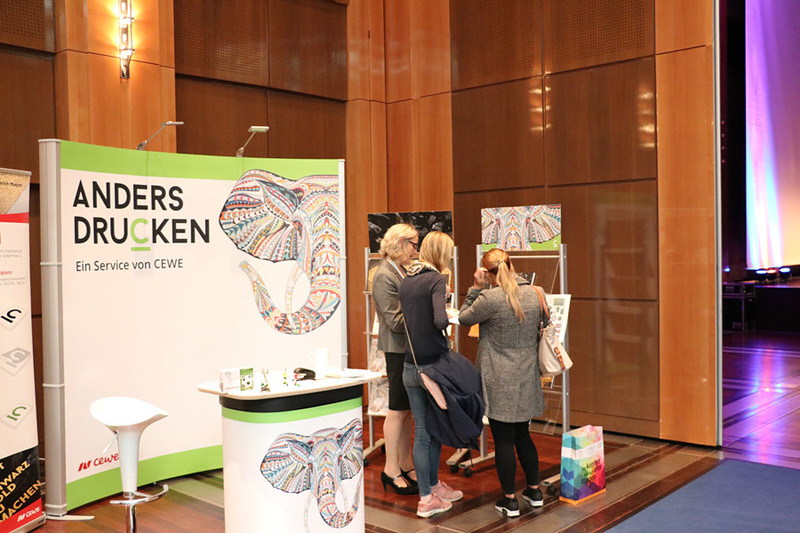 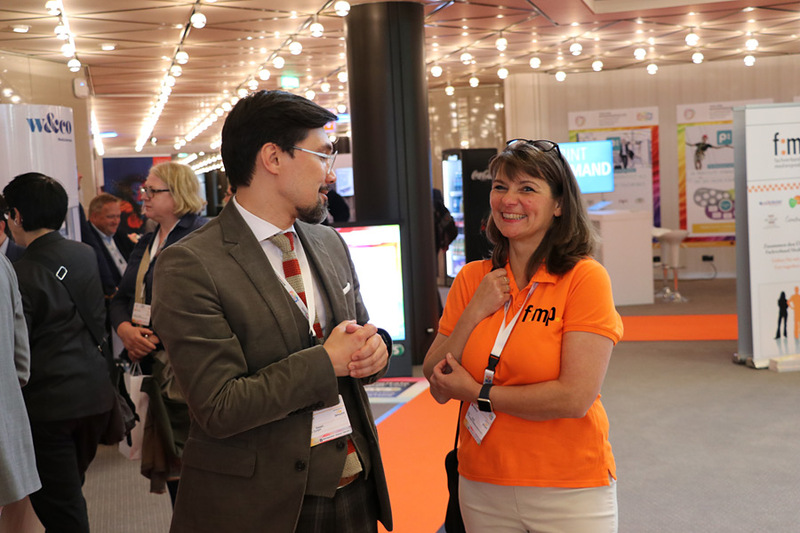 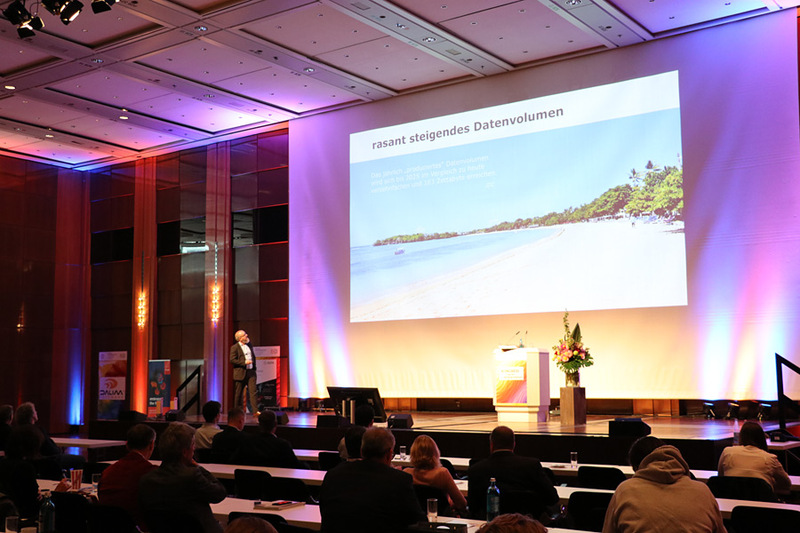 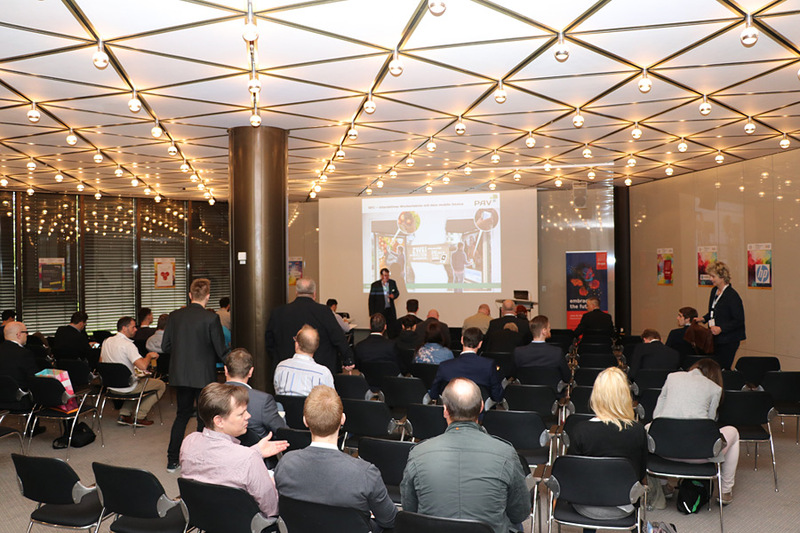 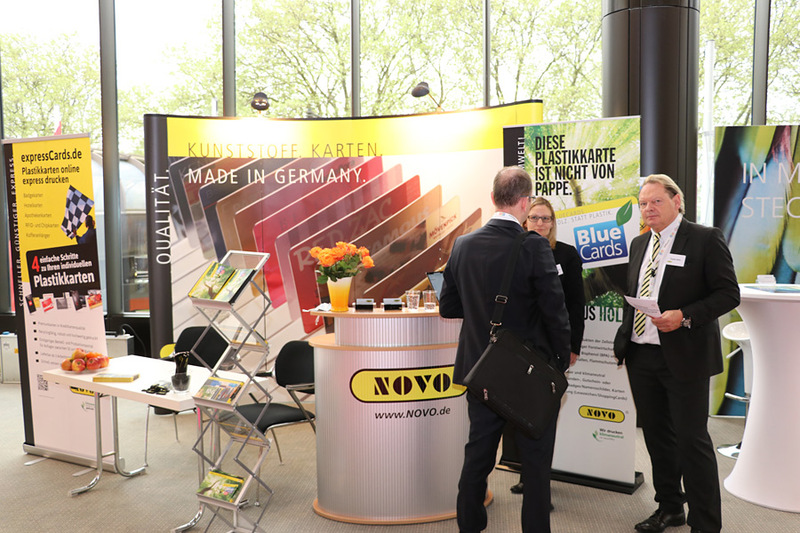 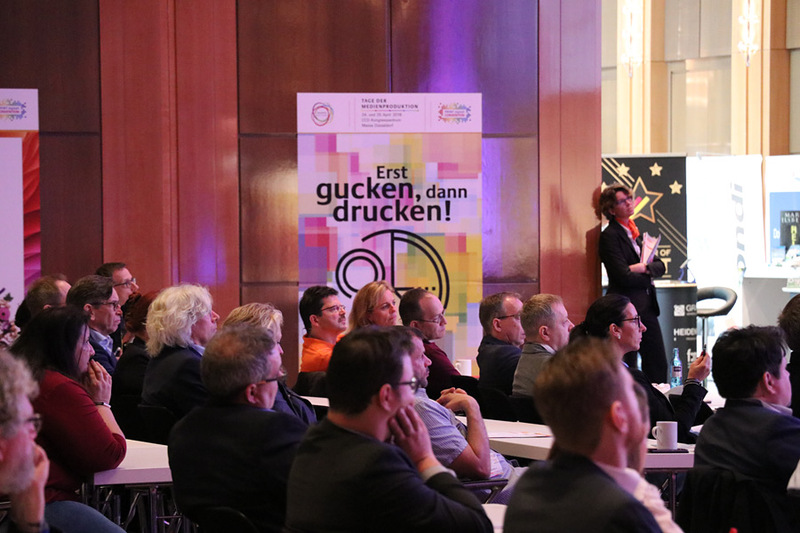 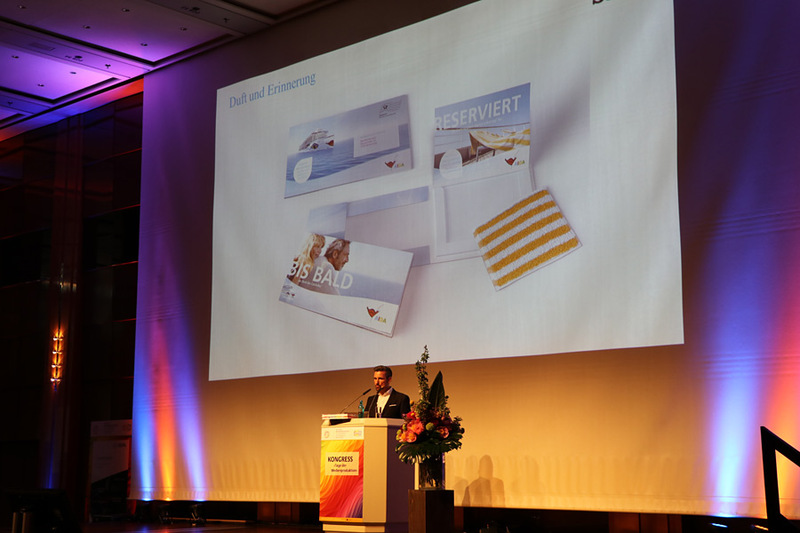 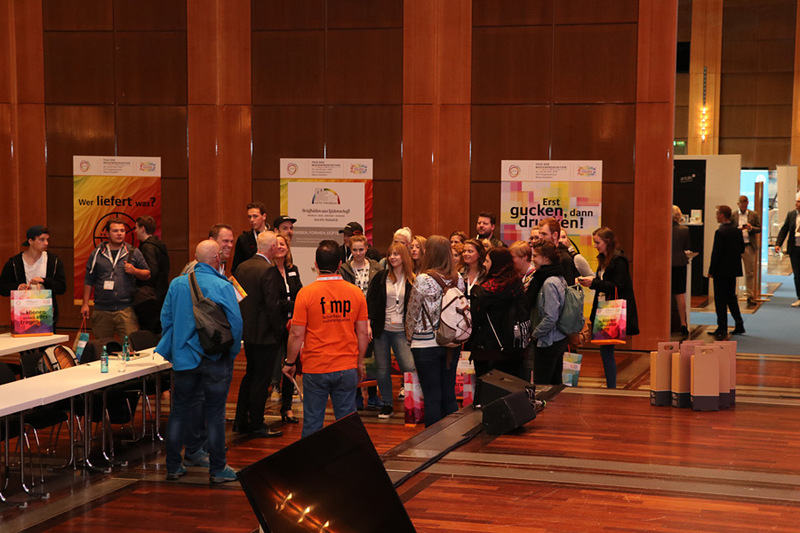 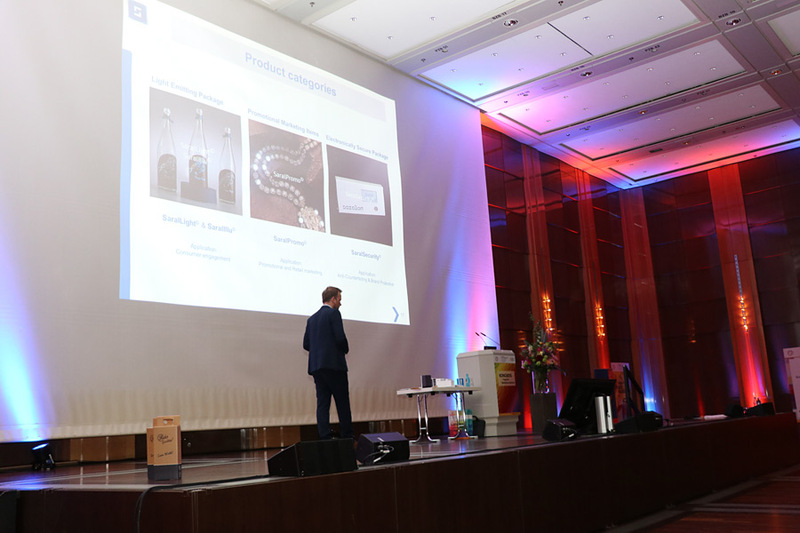 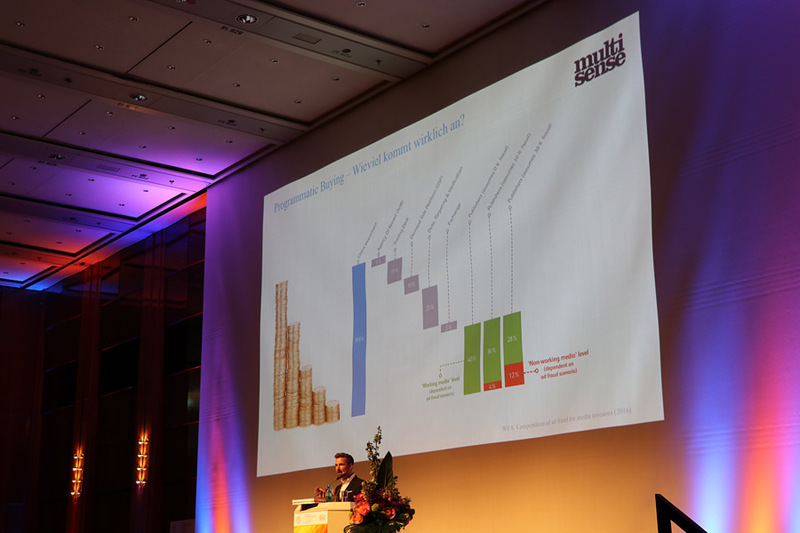 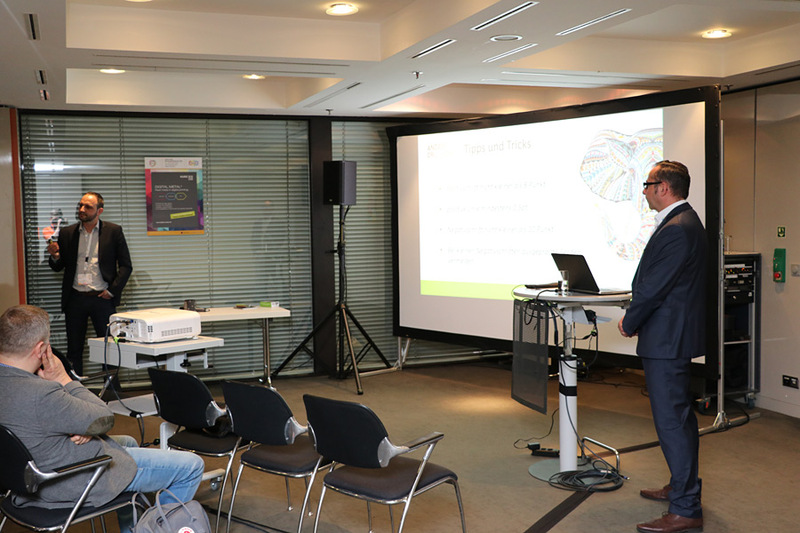 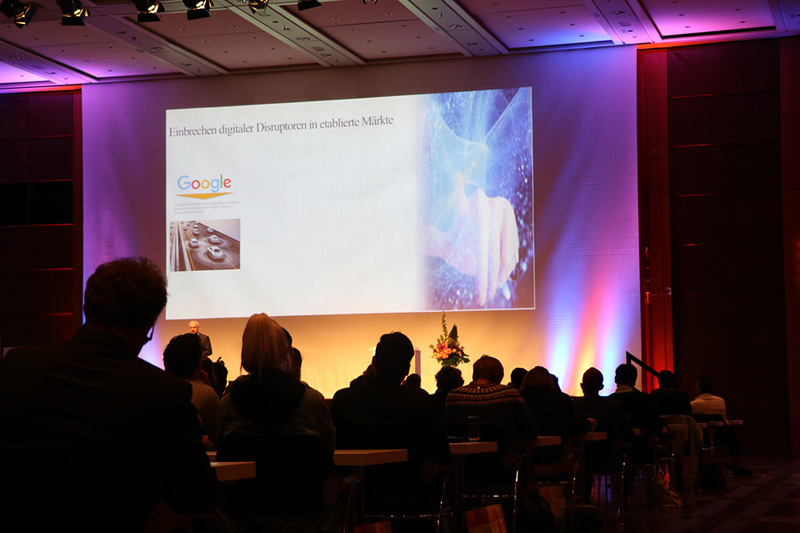 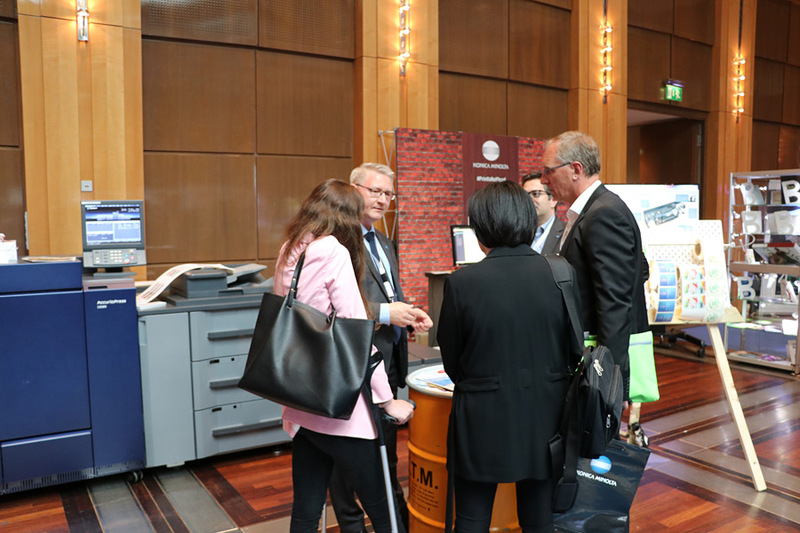 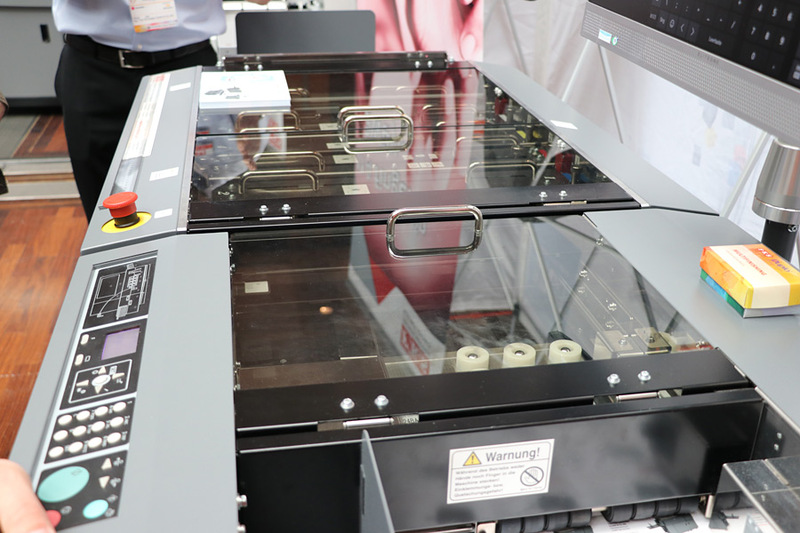 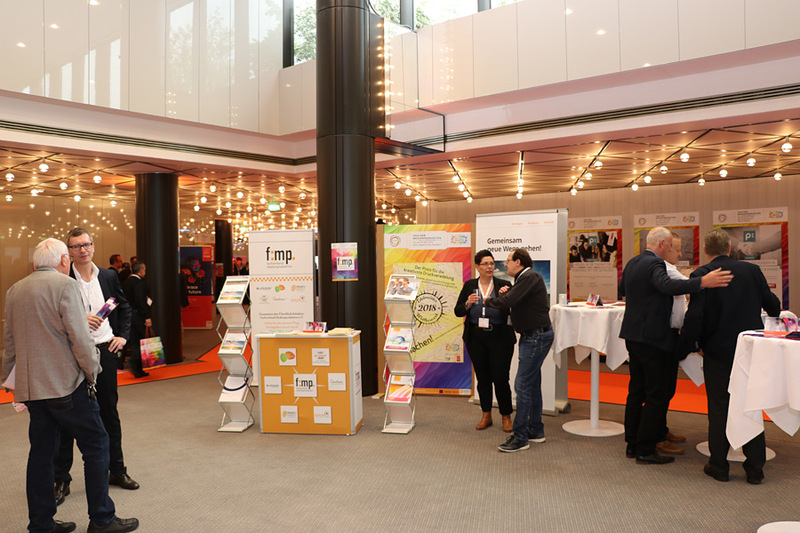 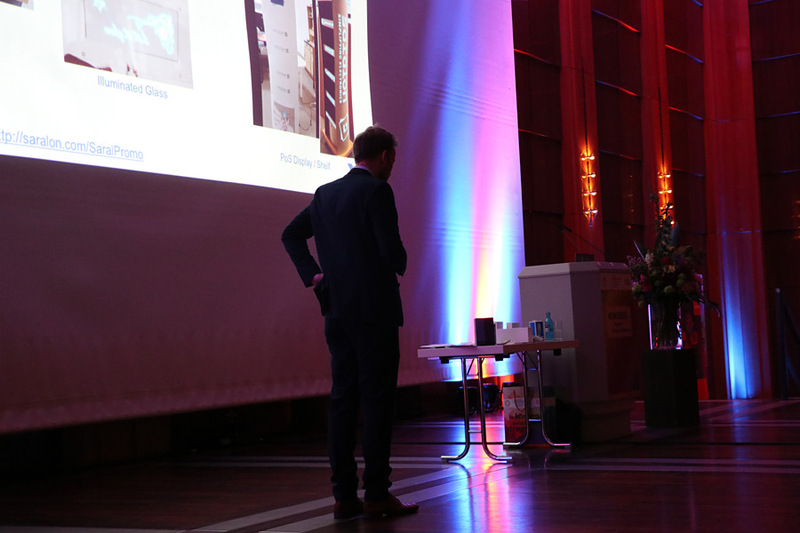 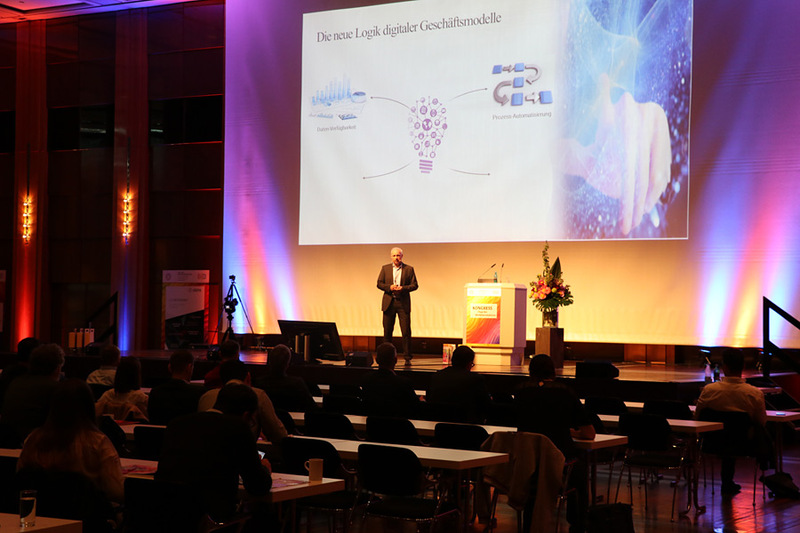 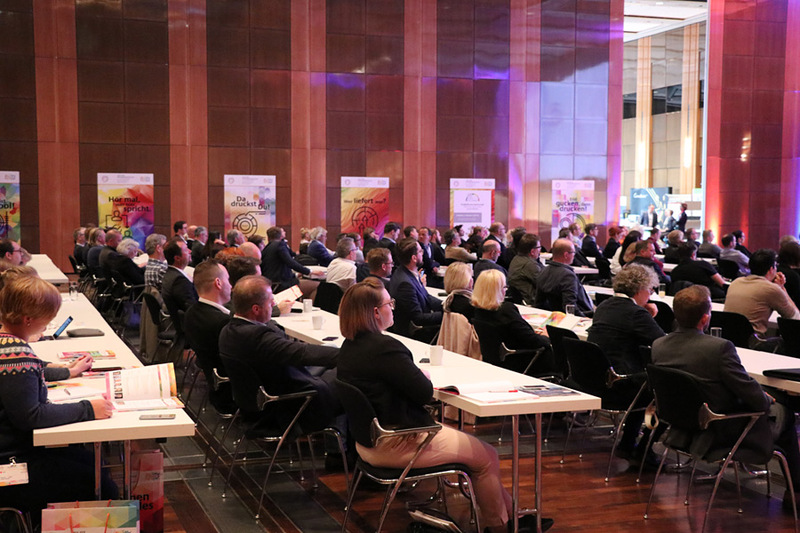 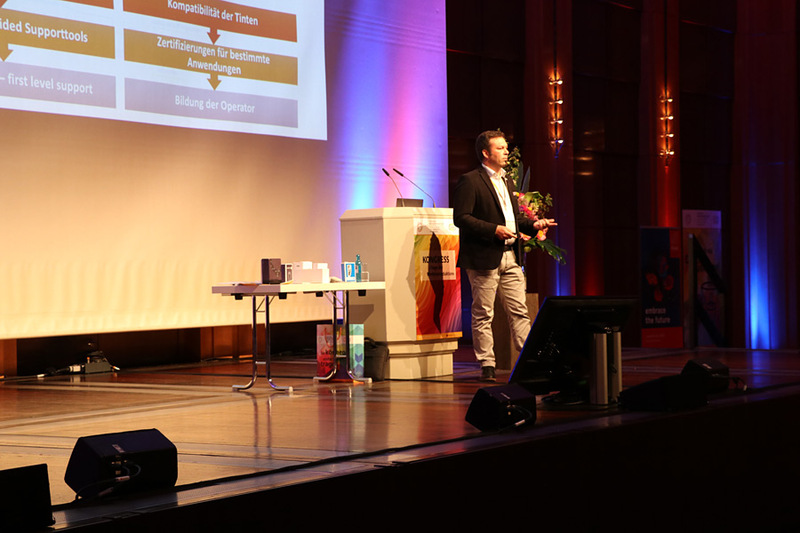 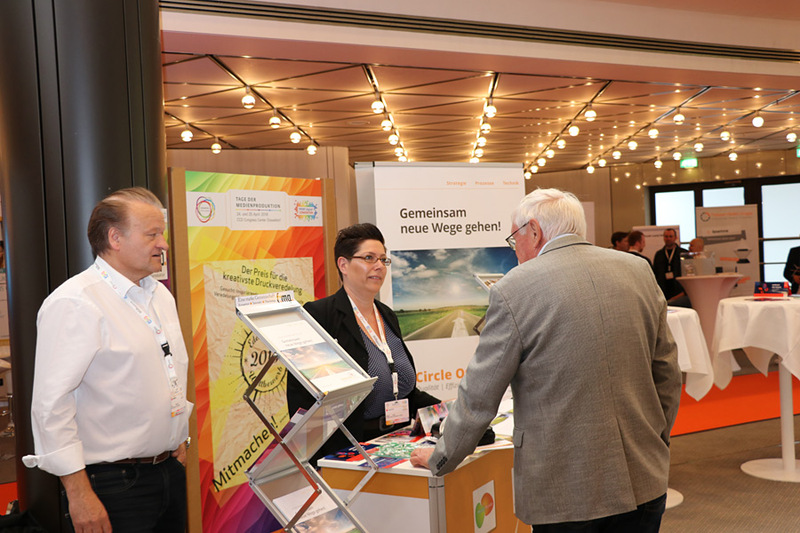 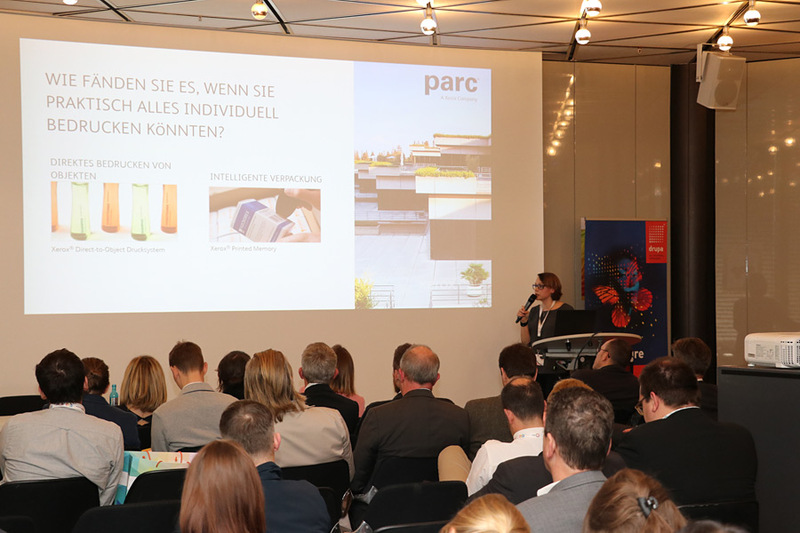 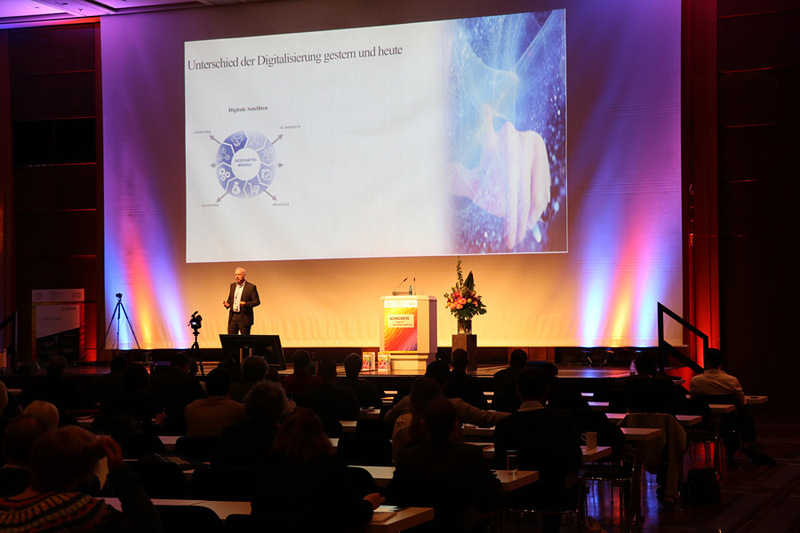 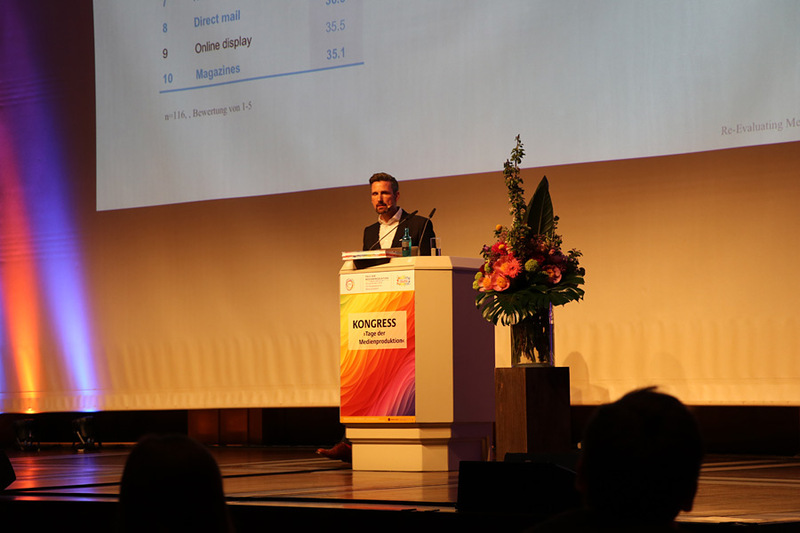 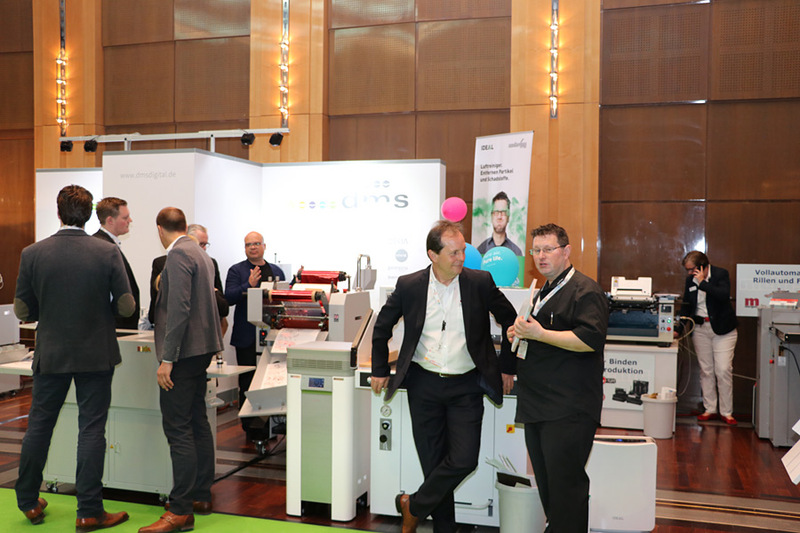 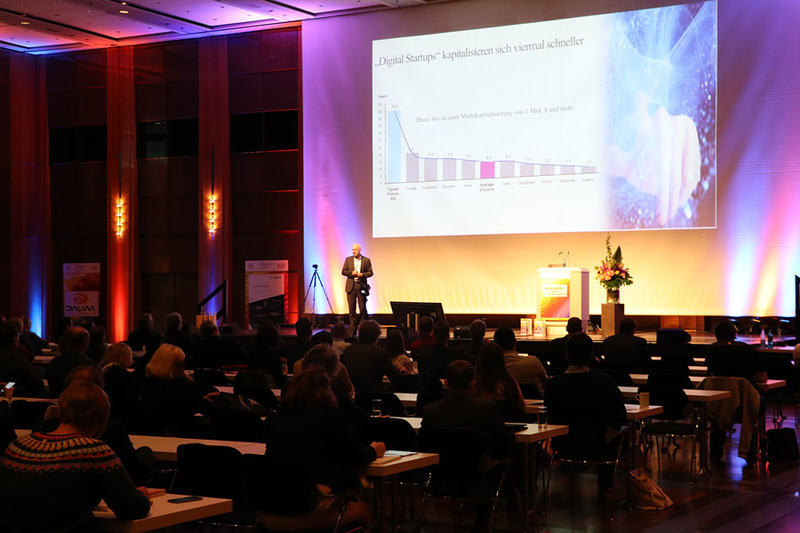 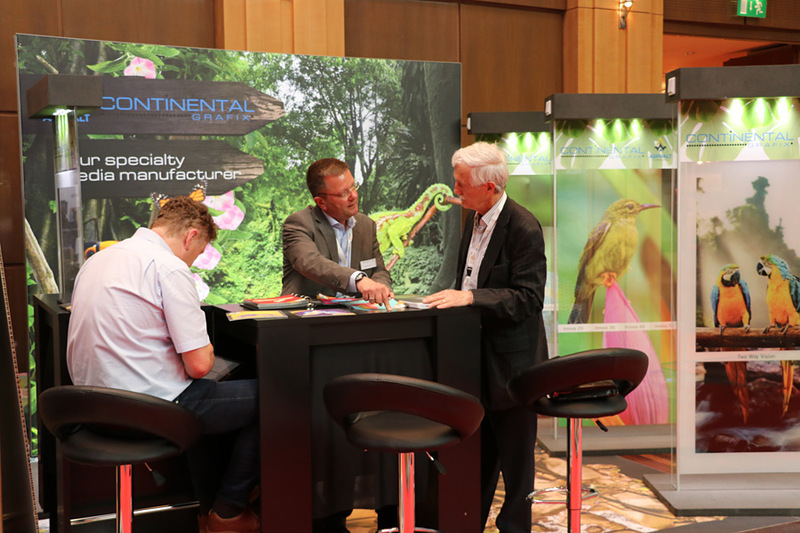 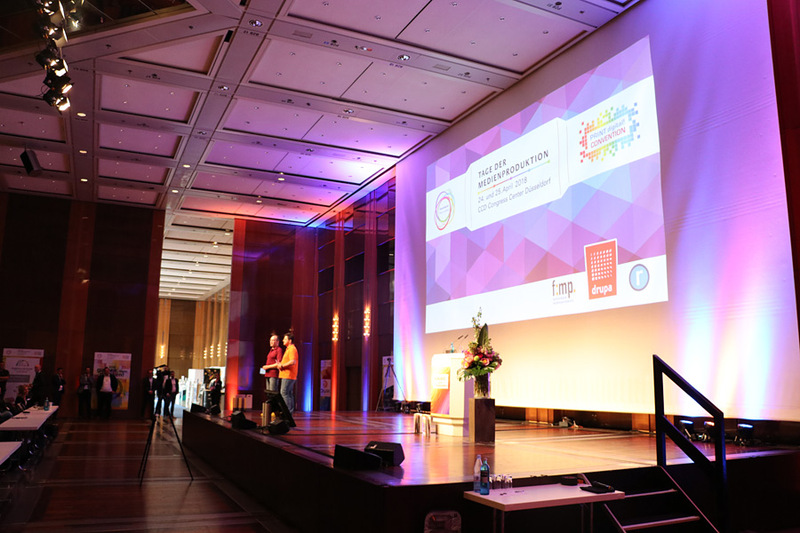 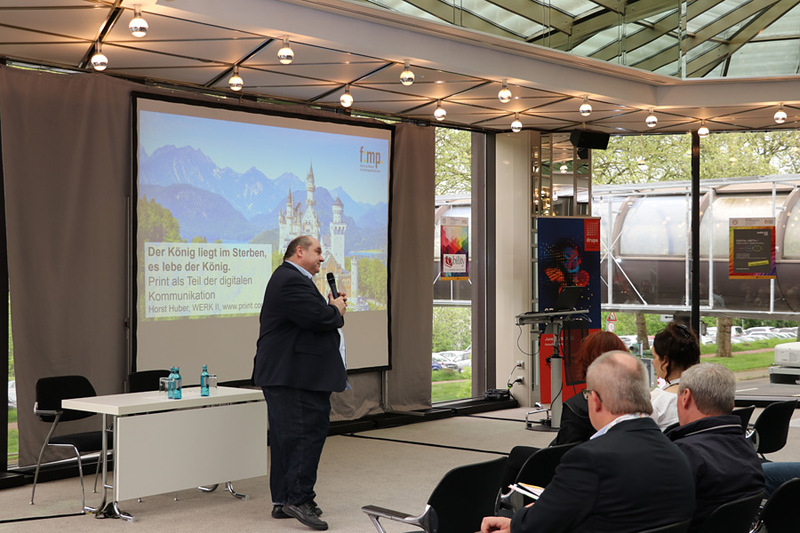 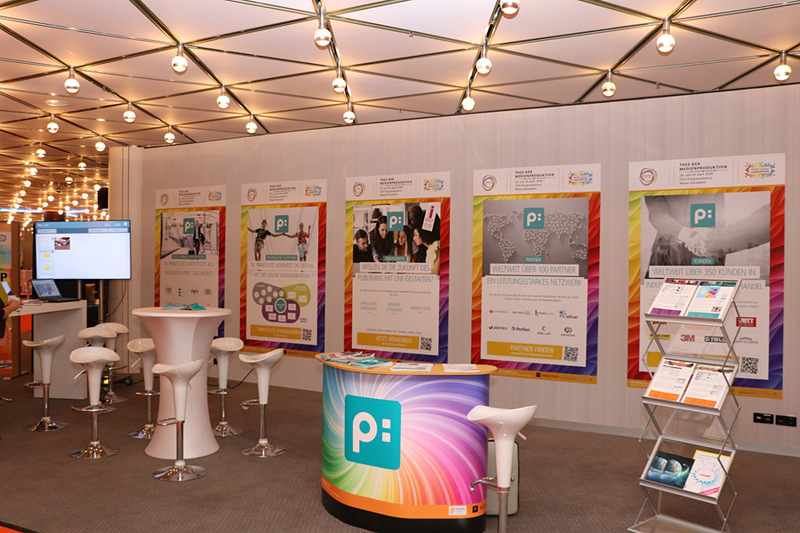 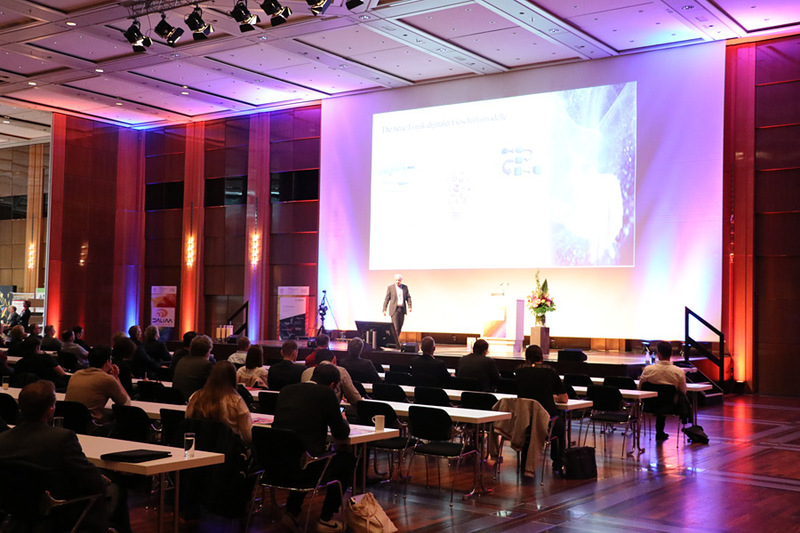 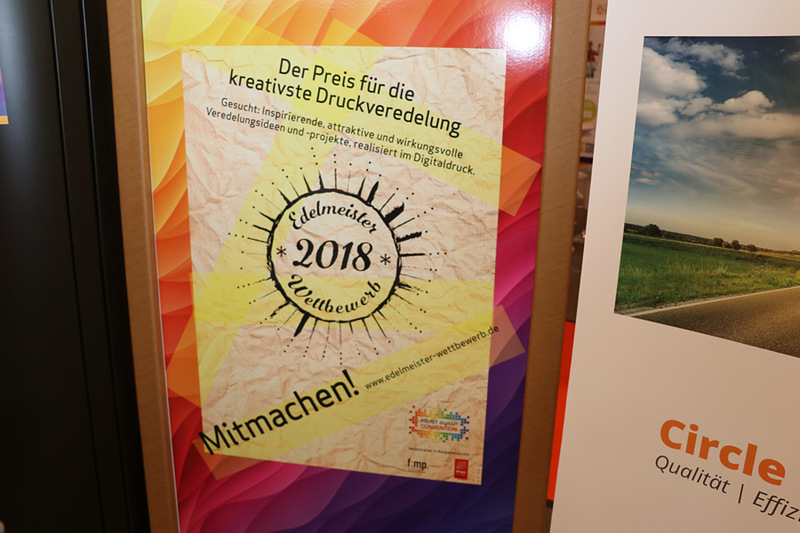 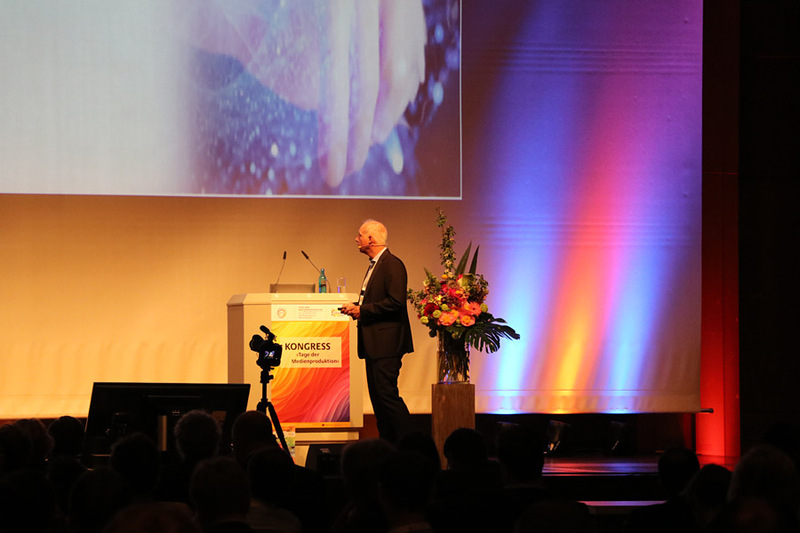 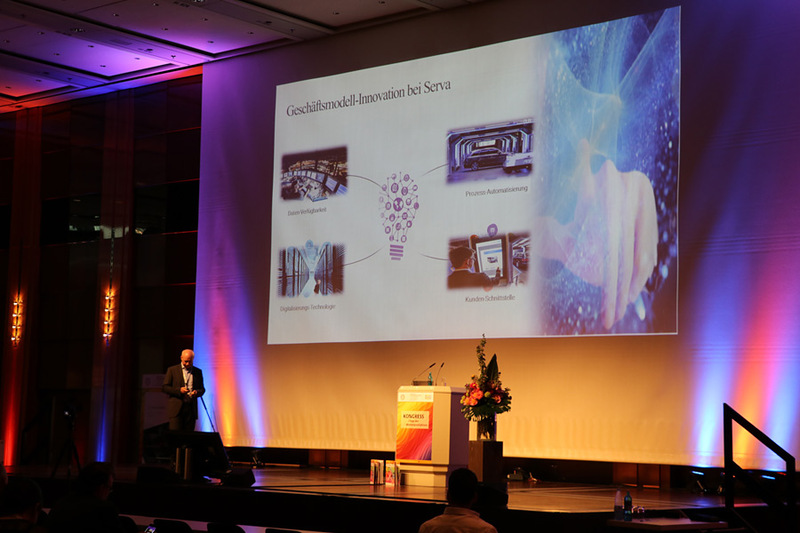 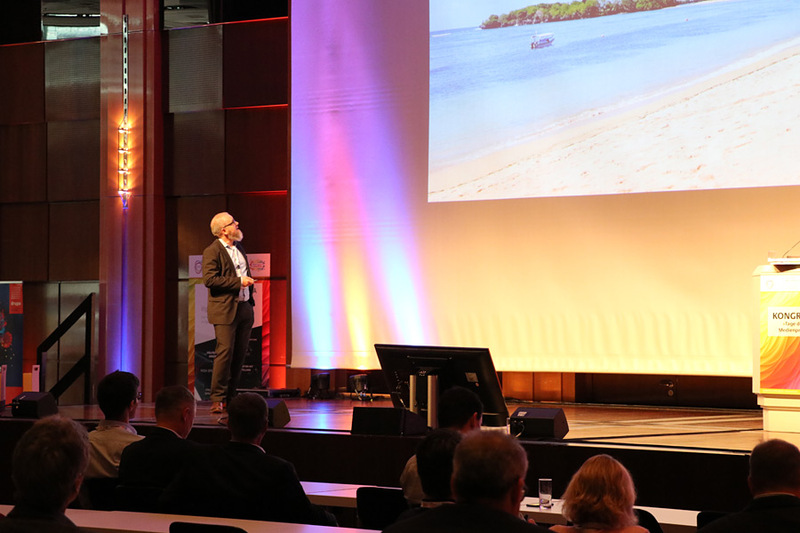 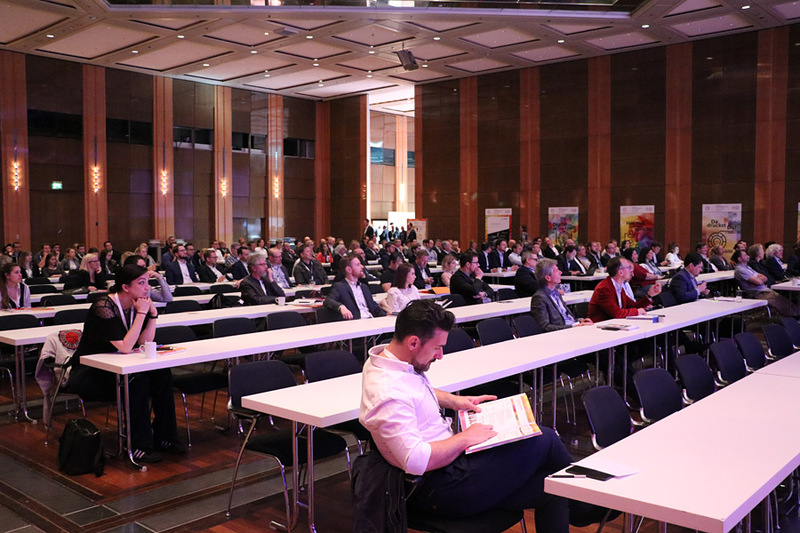 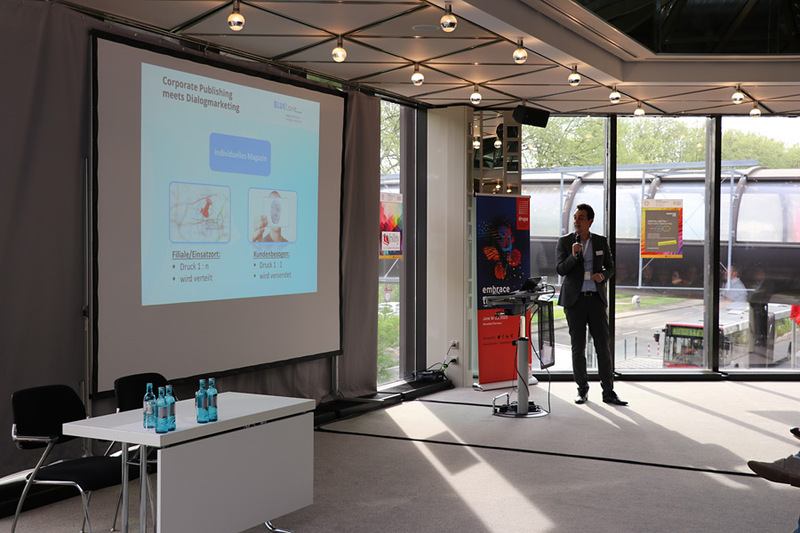 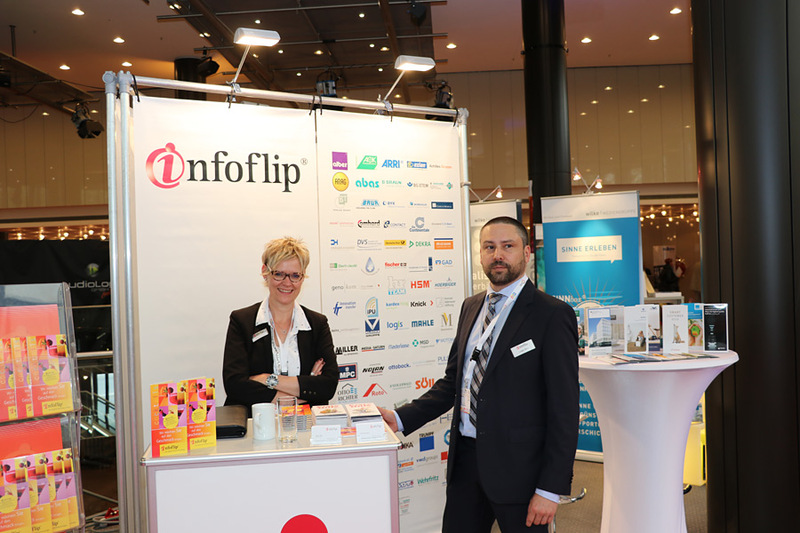 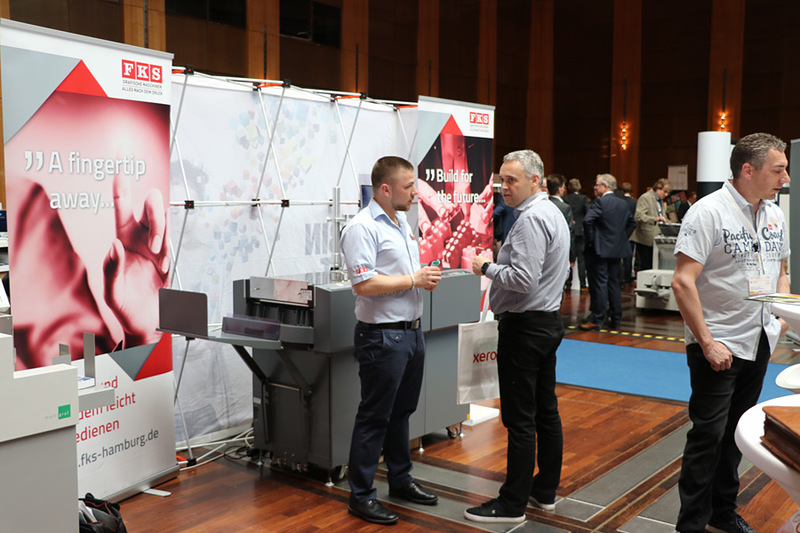 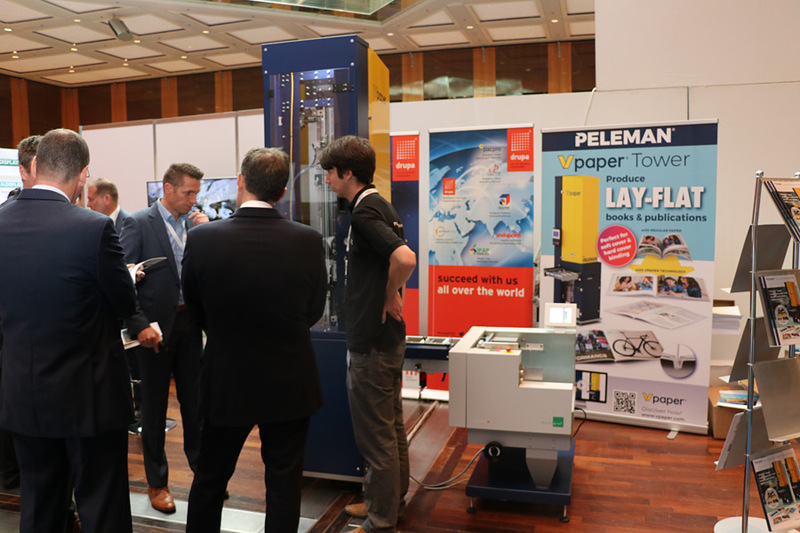 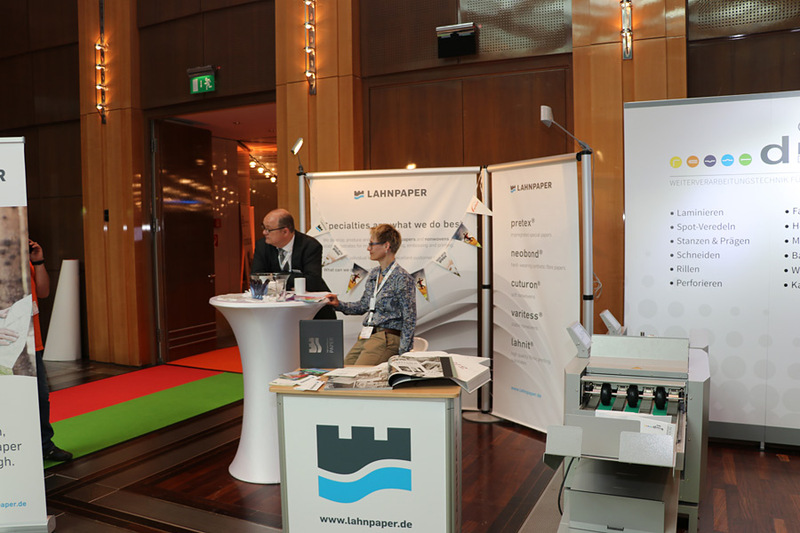 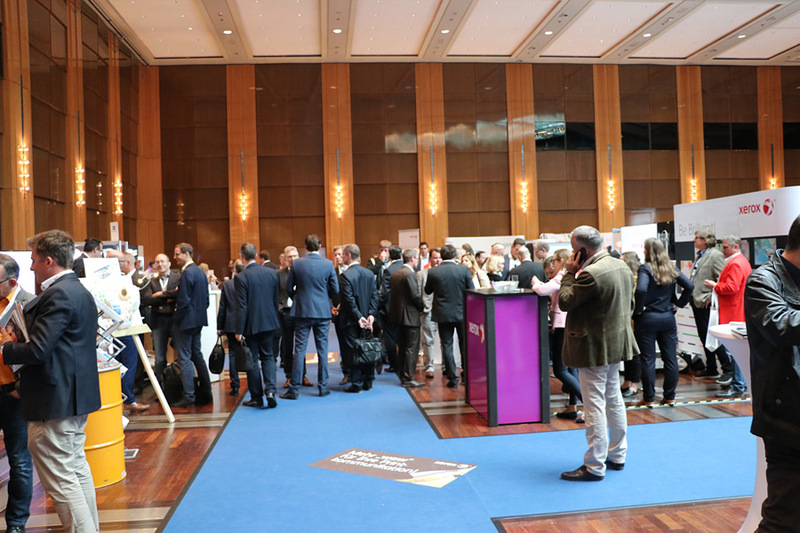 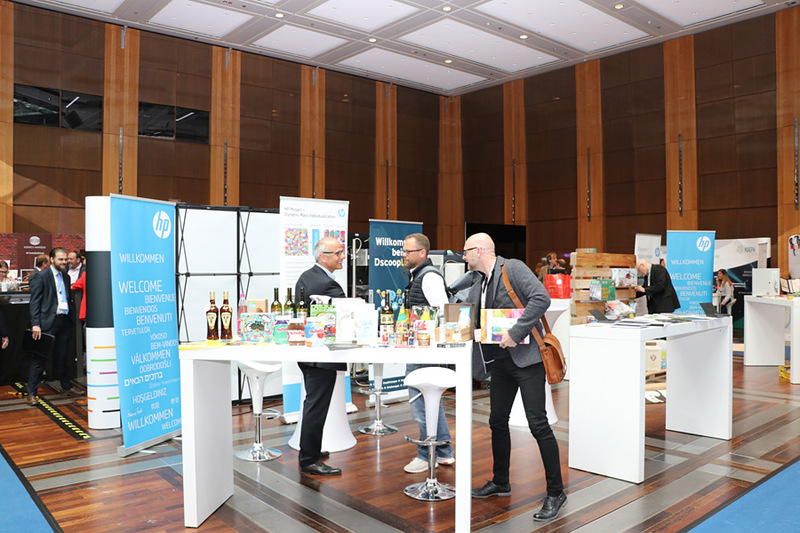 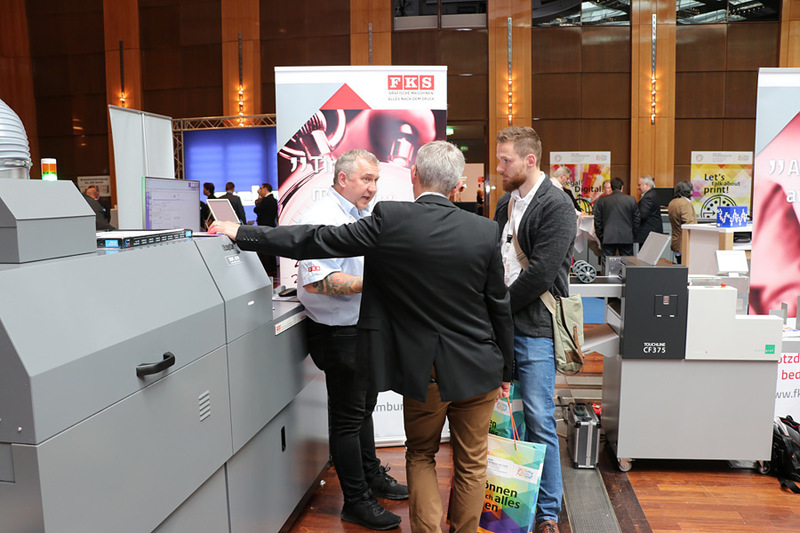 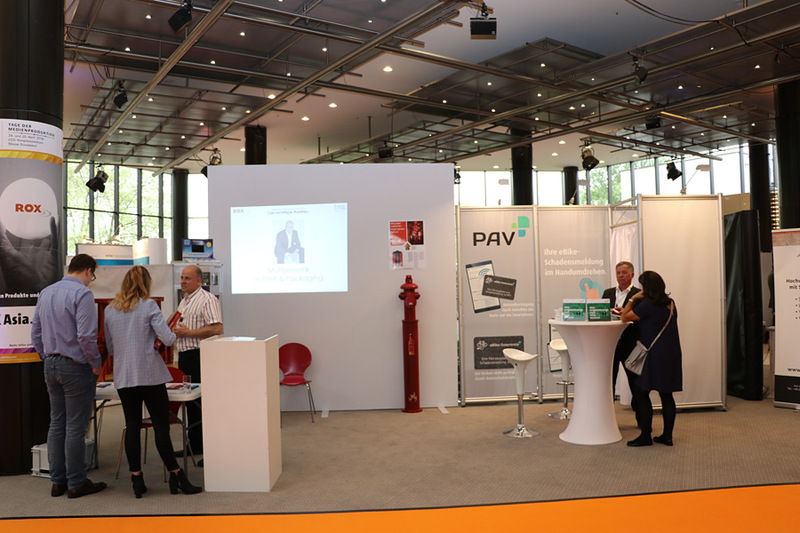 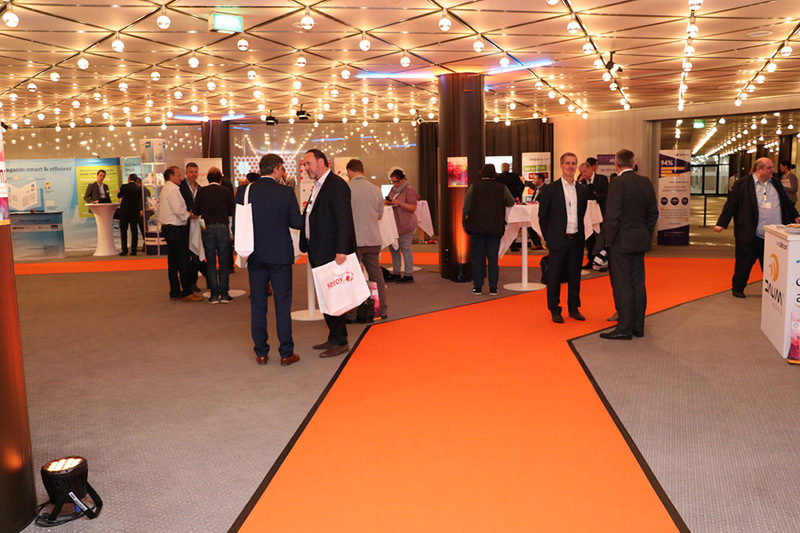 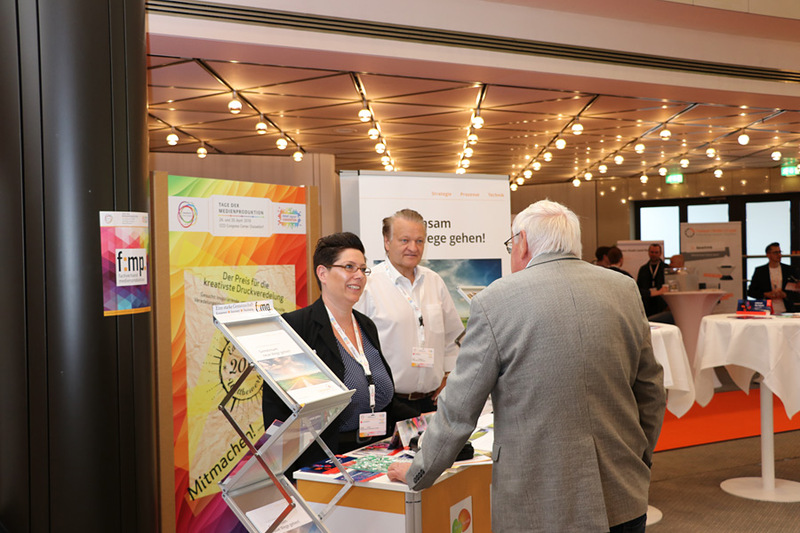 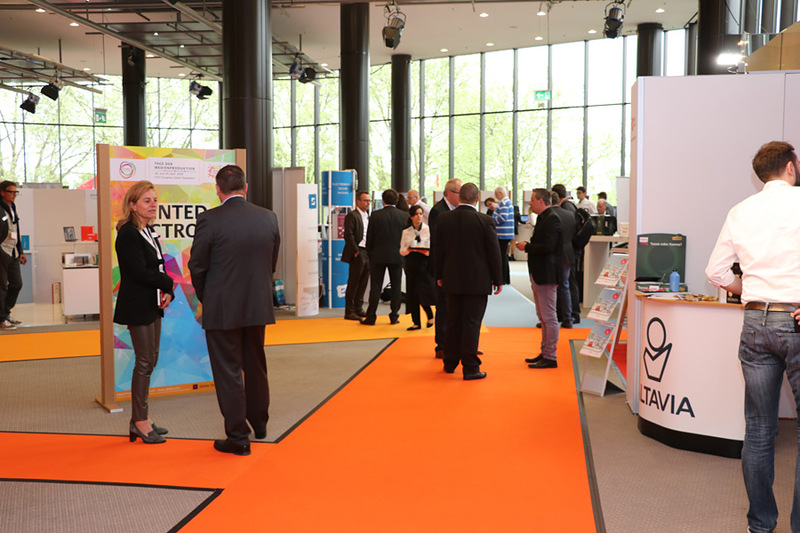 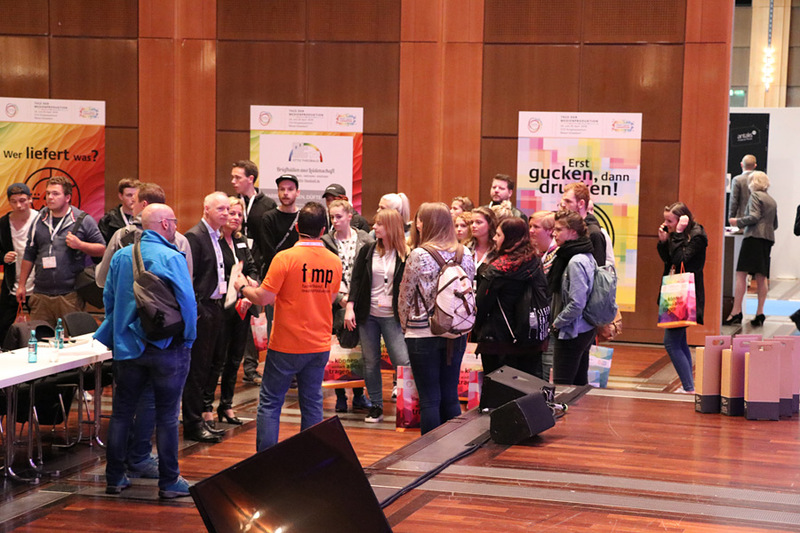 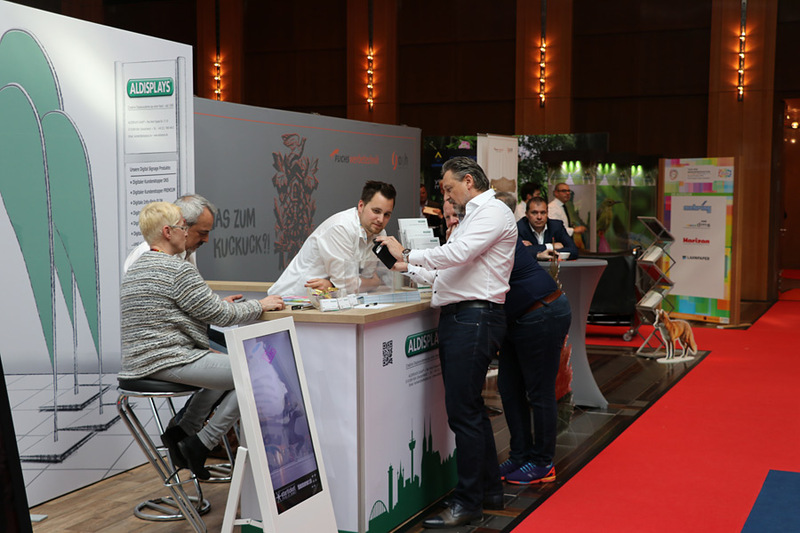 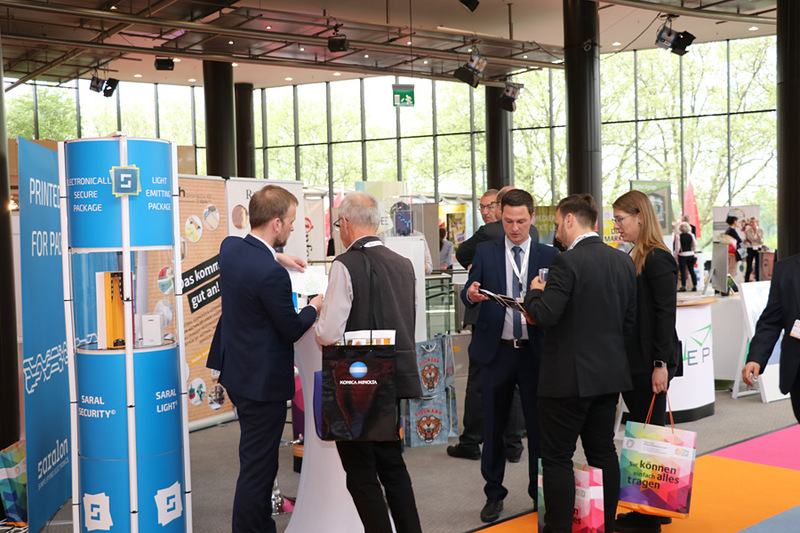 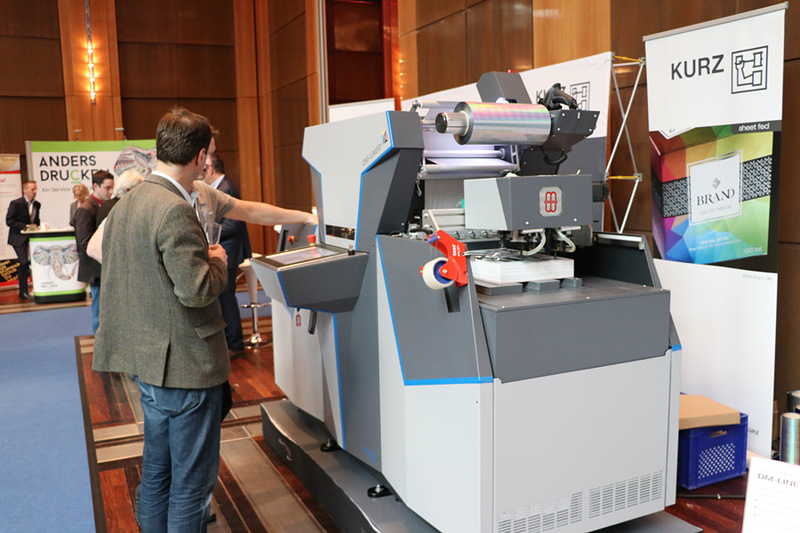 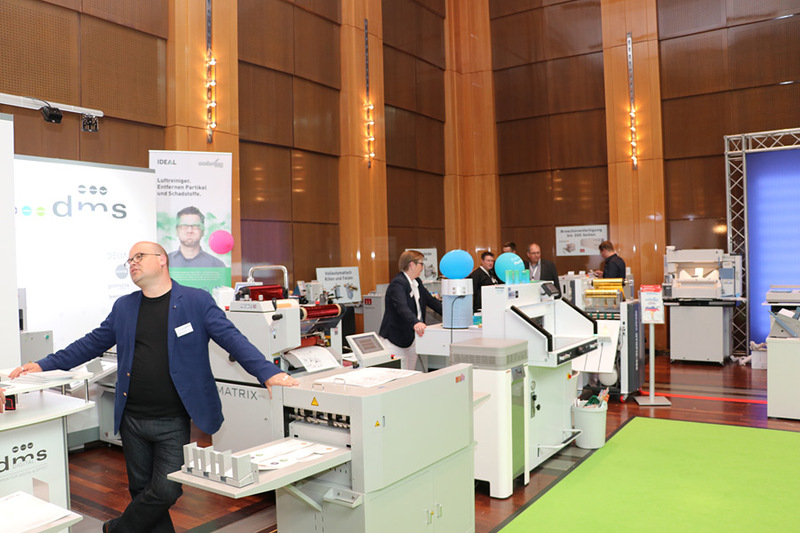 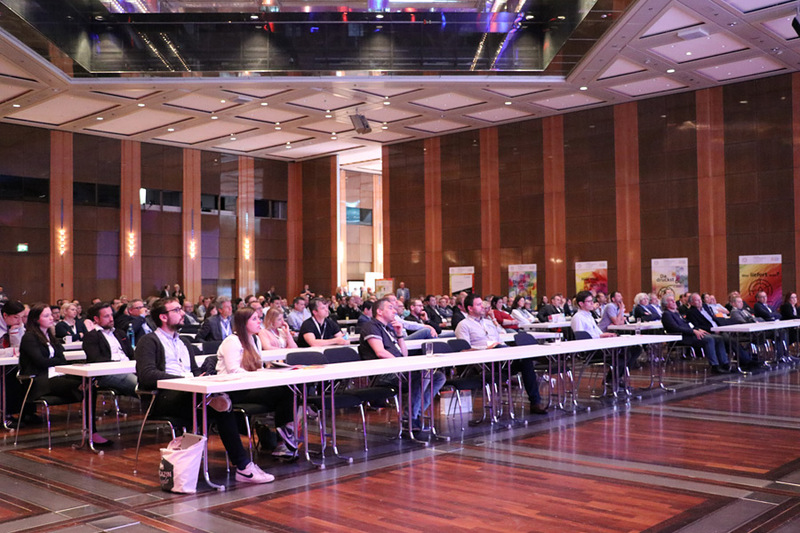 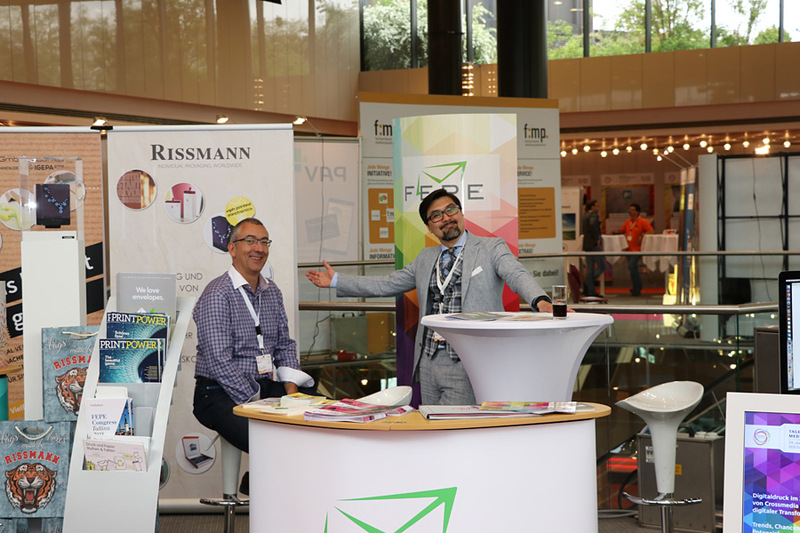 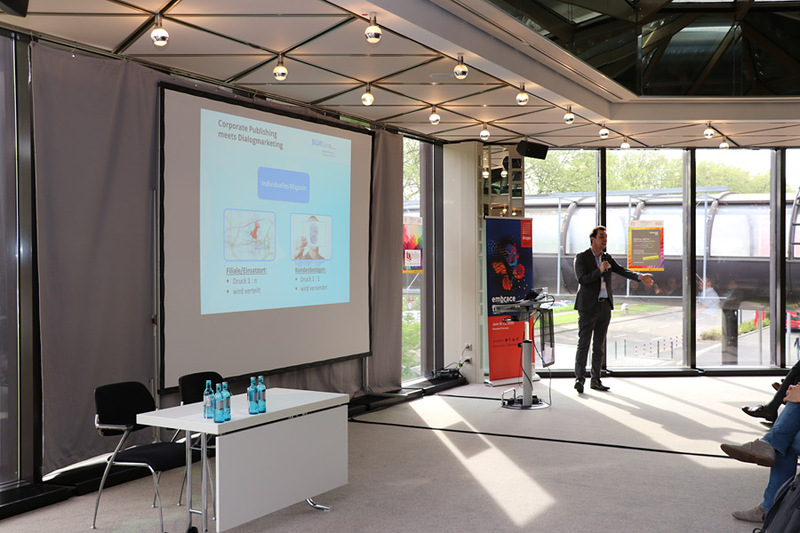 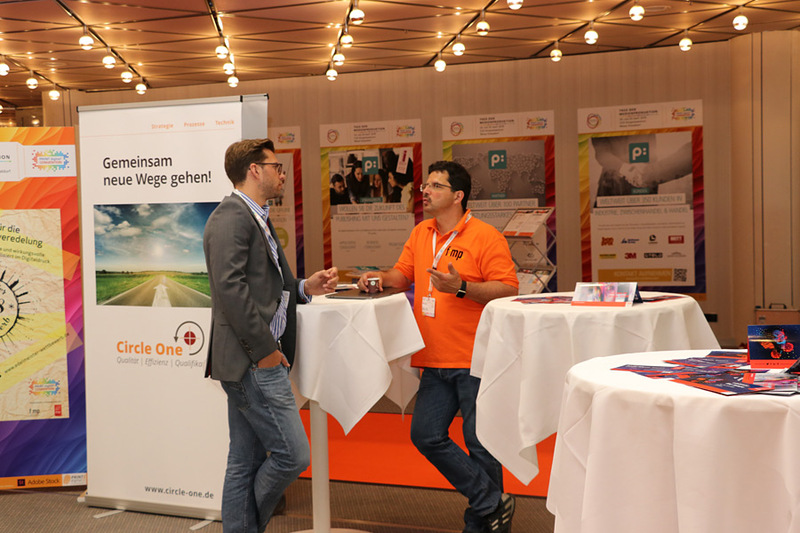 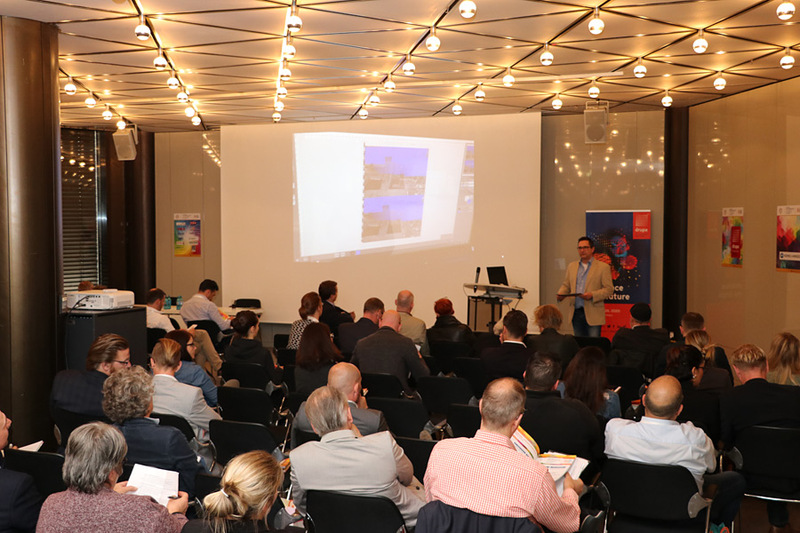 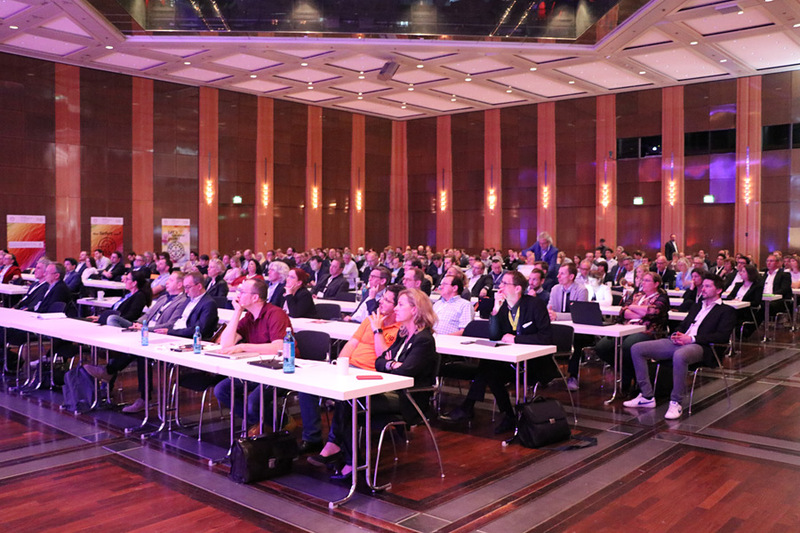 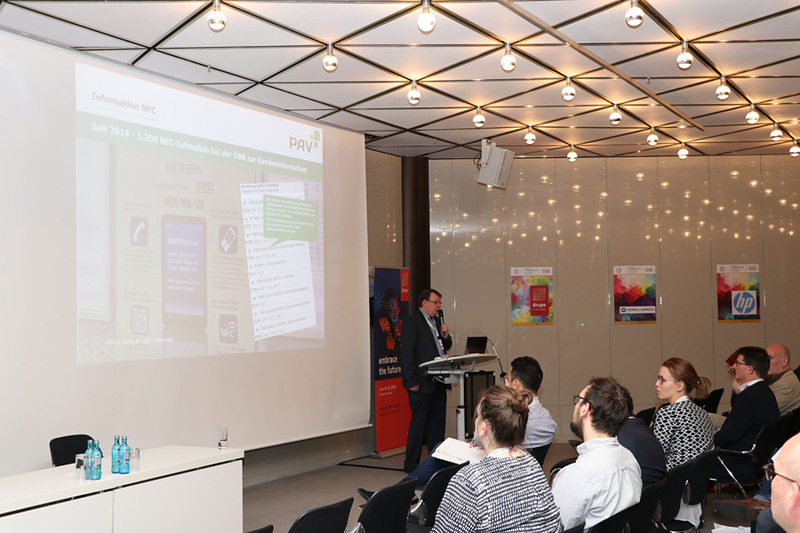 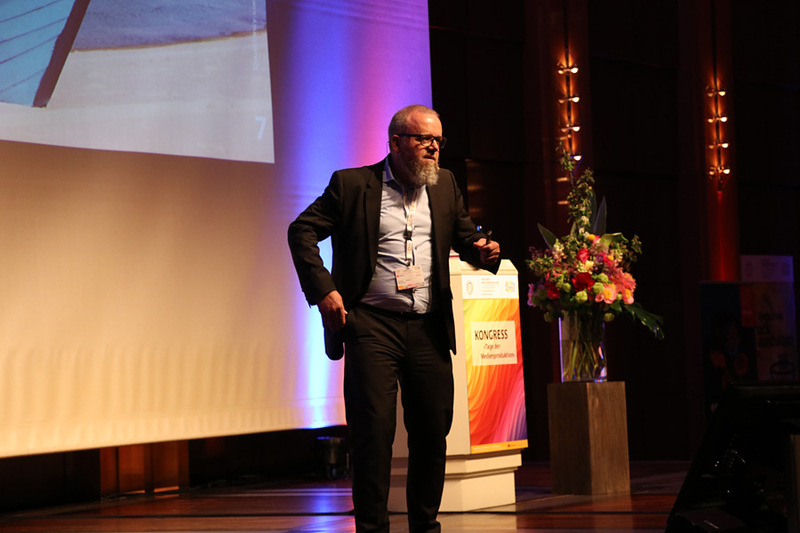 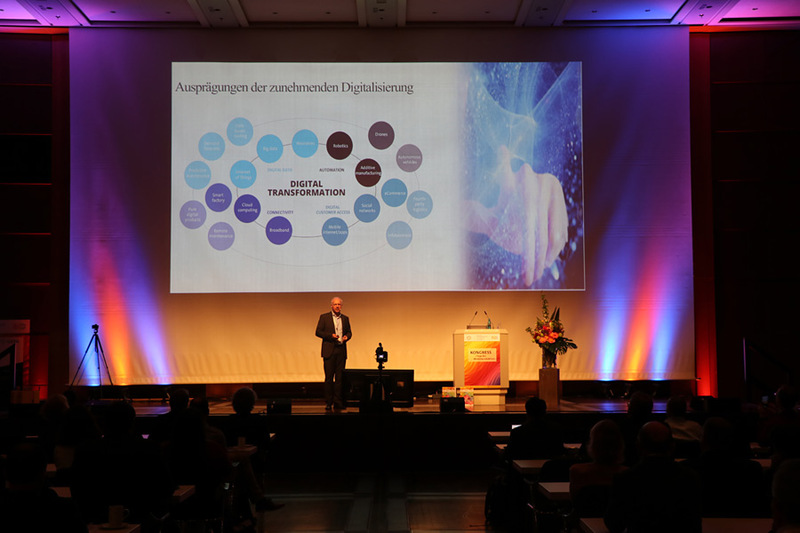 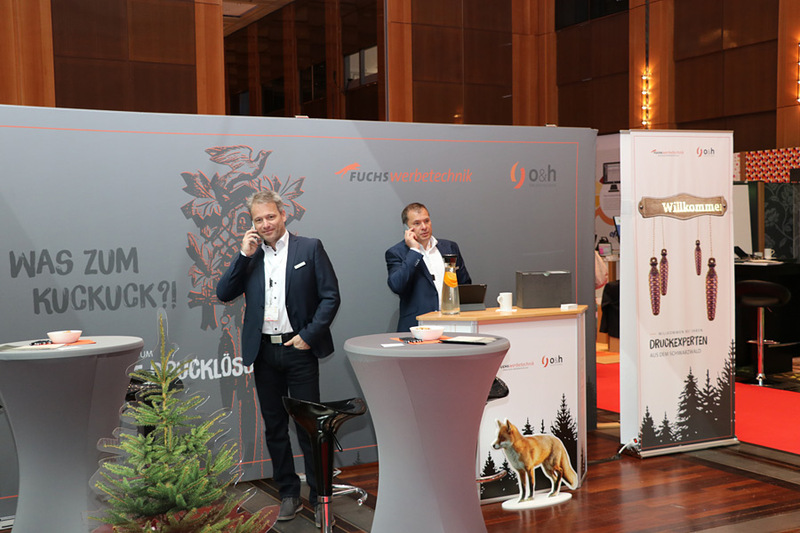 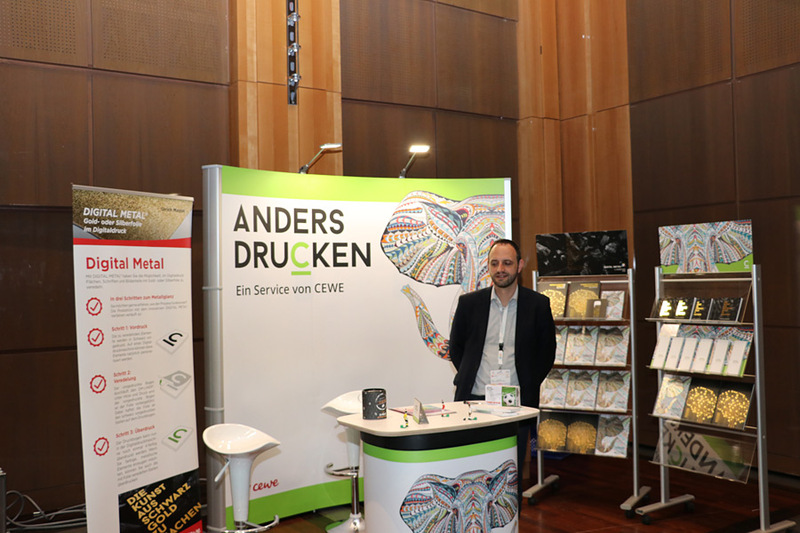 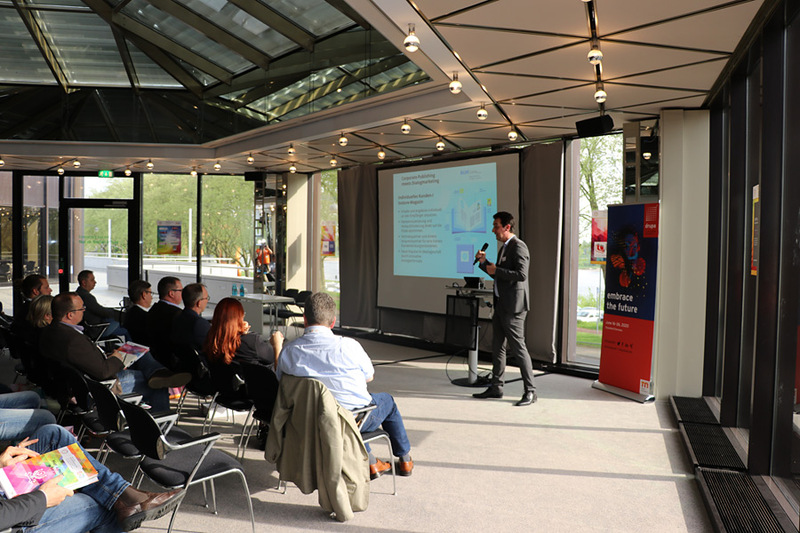 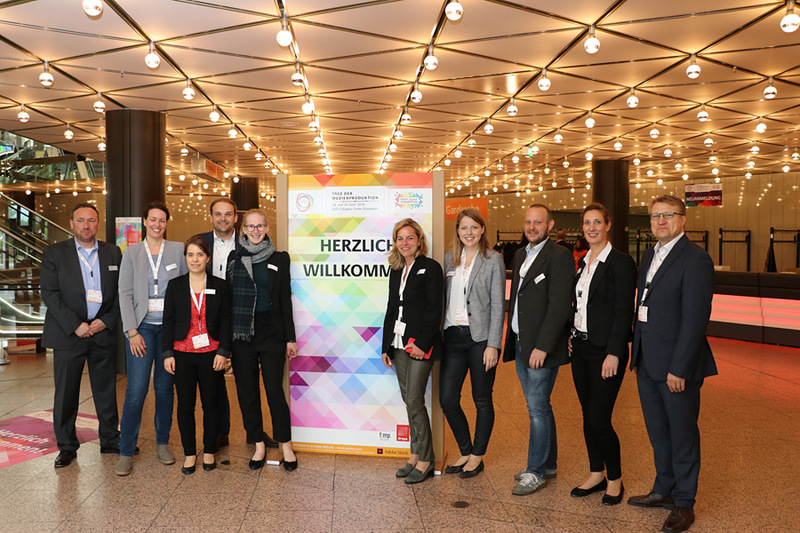 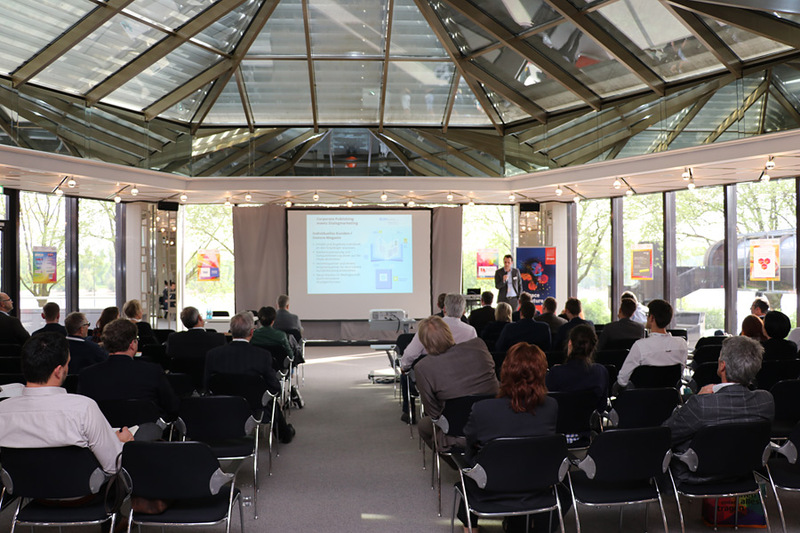 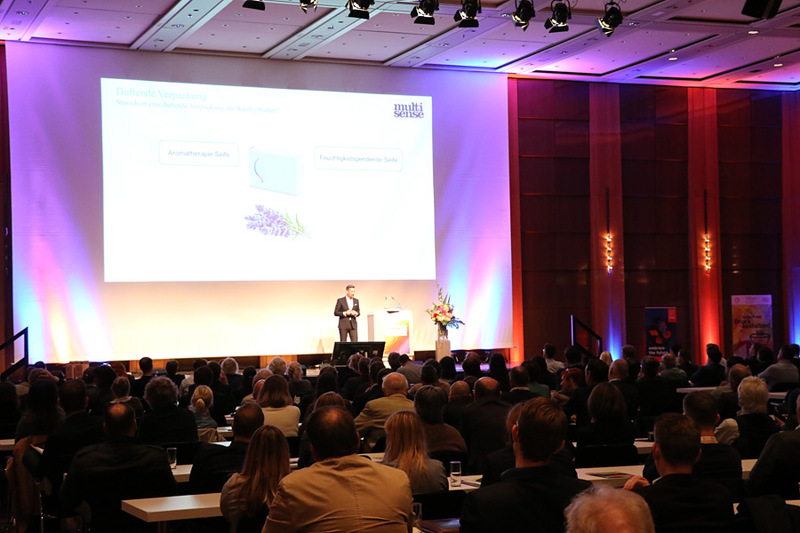 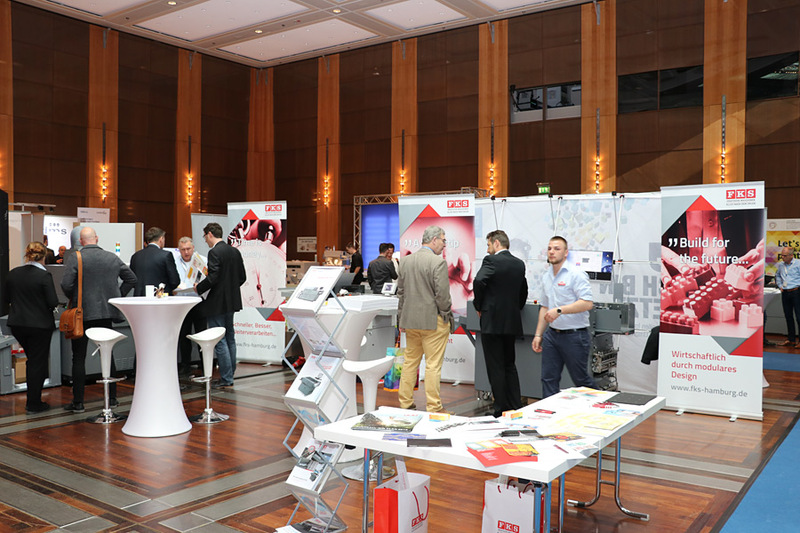 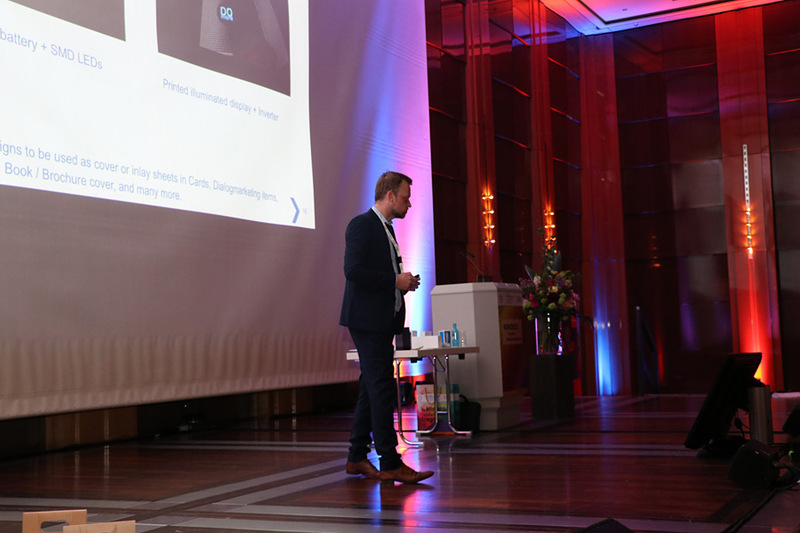 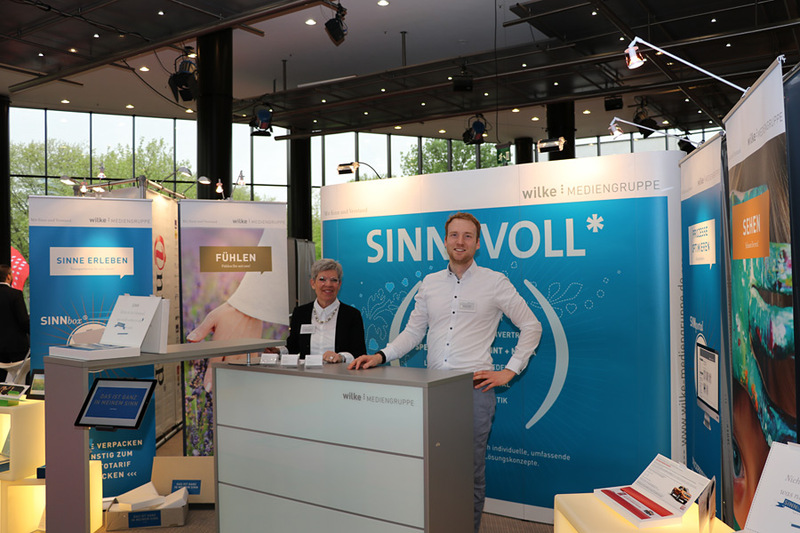 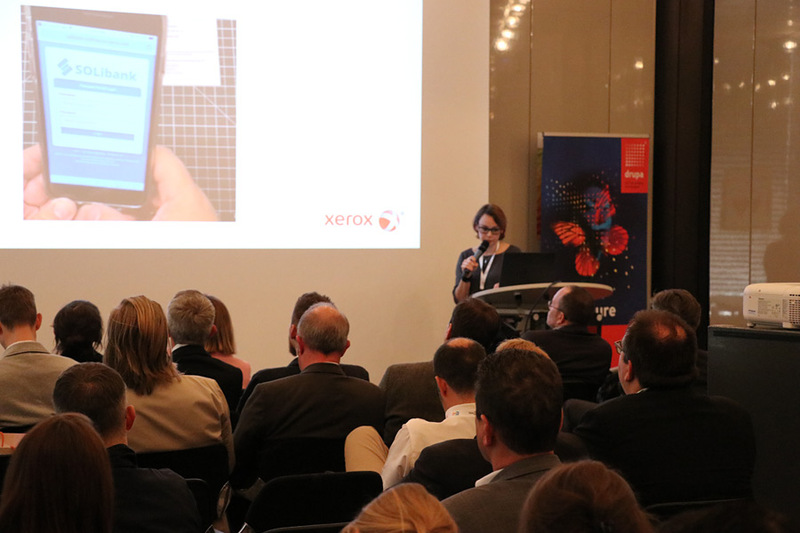 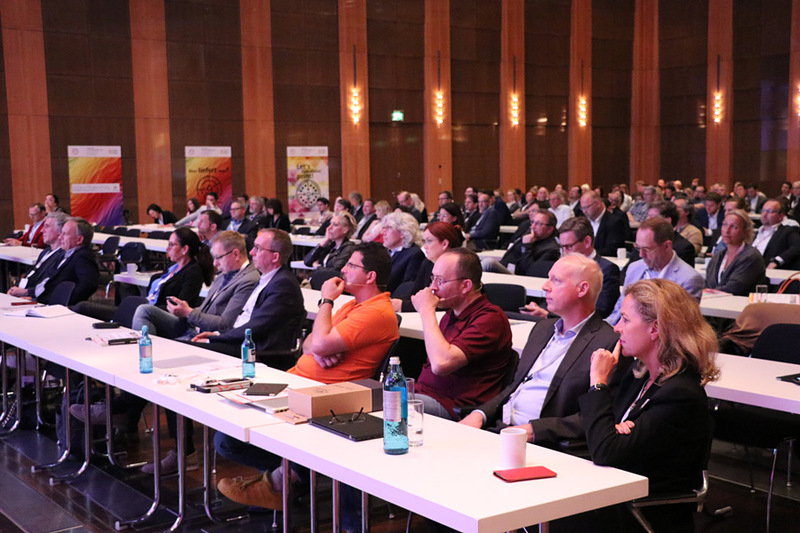 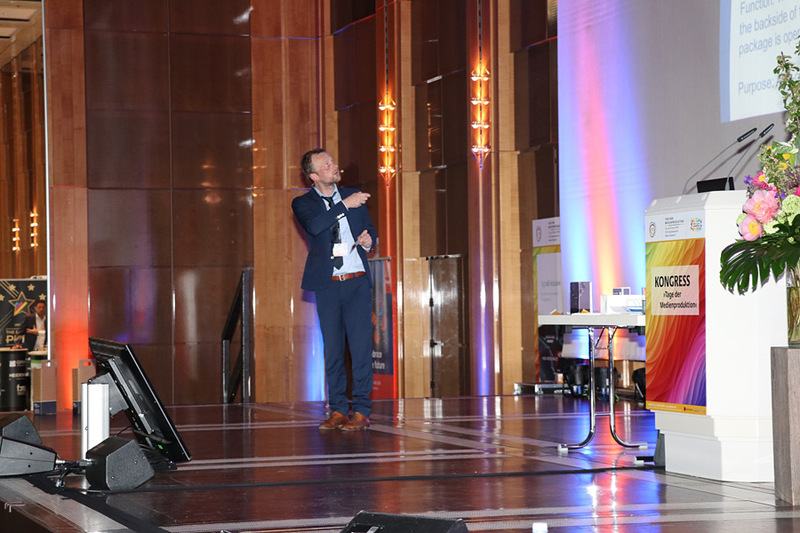 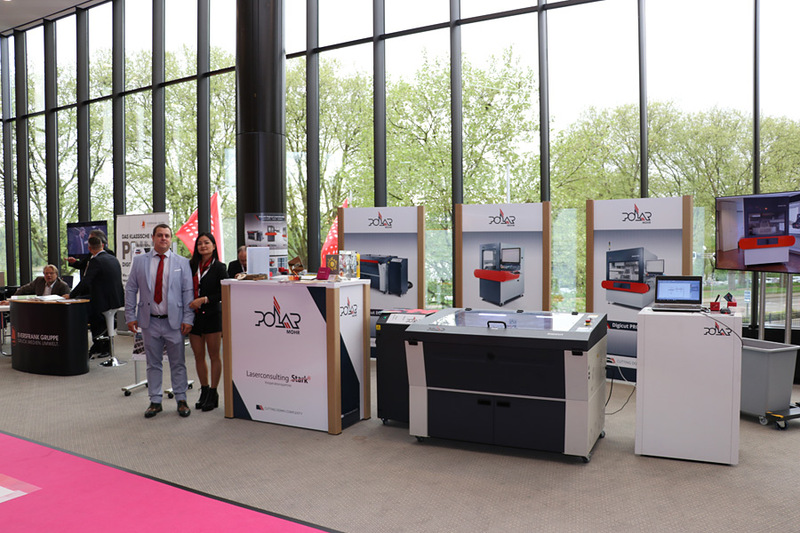 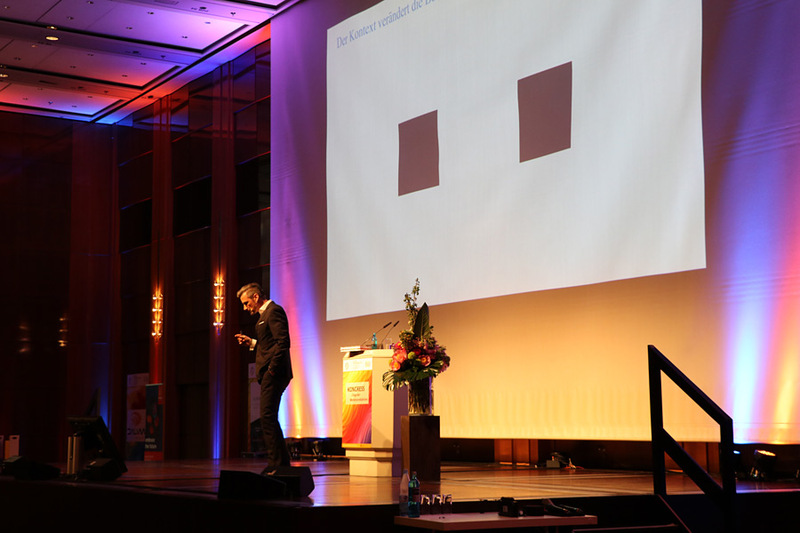 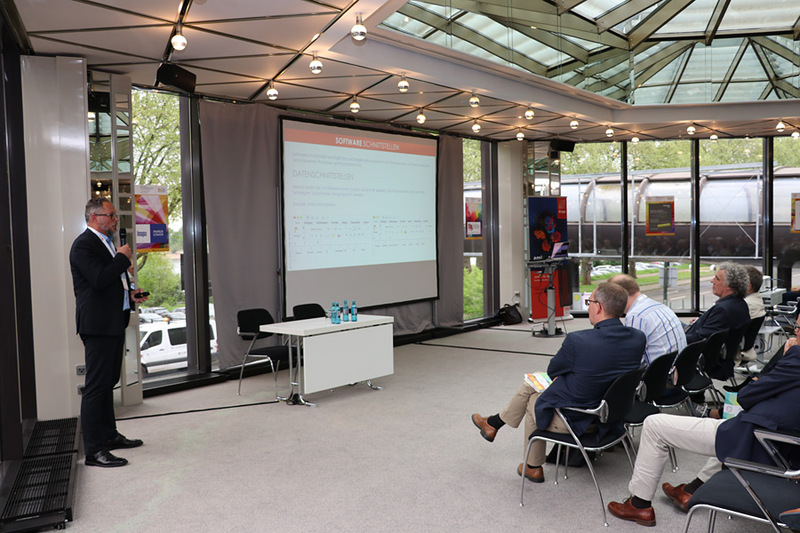 With doubling of exhibitors and trade visitors, the event has continued to gain in traction in German-speaking countries and will be implemented as an annual forum on digital printing and finishing as well as materials and software. 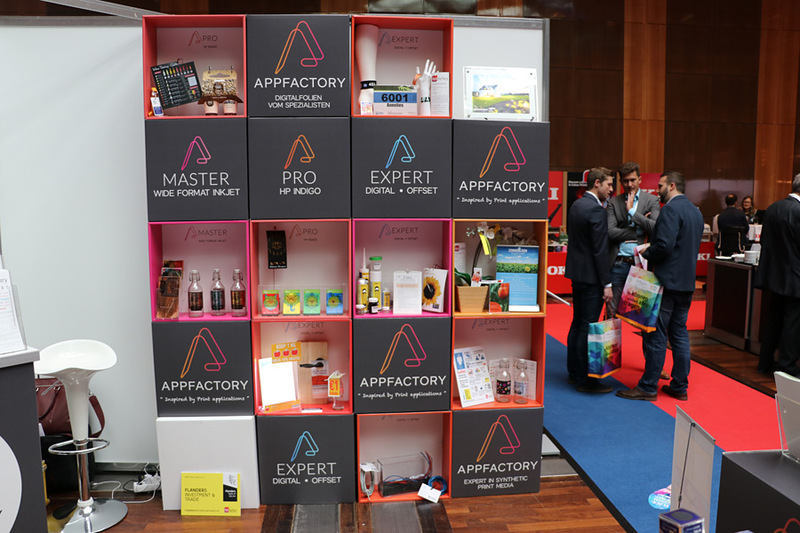 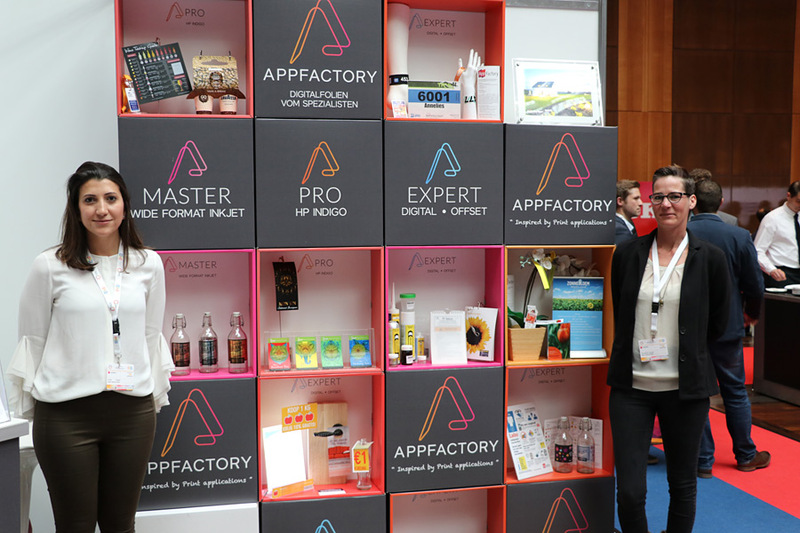 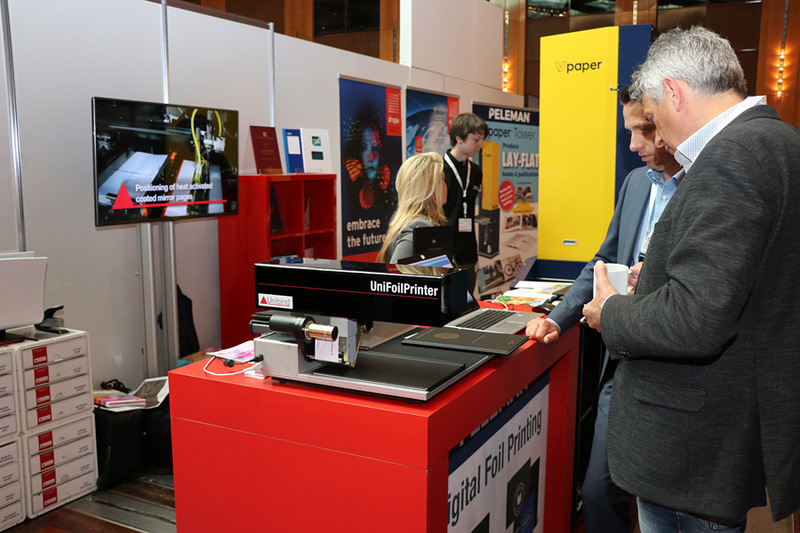 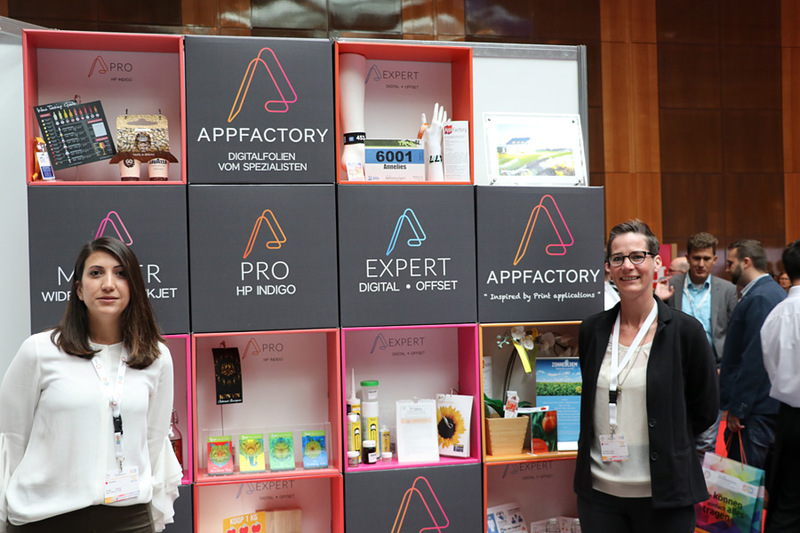 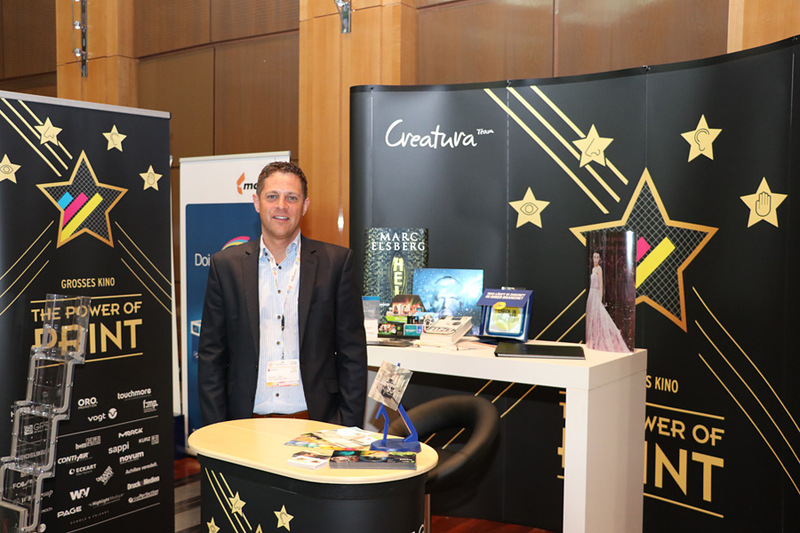 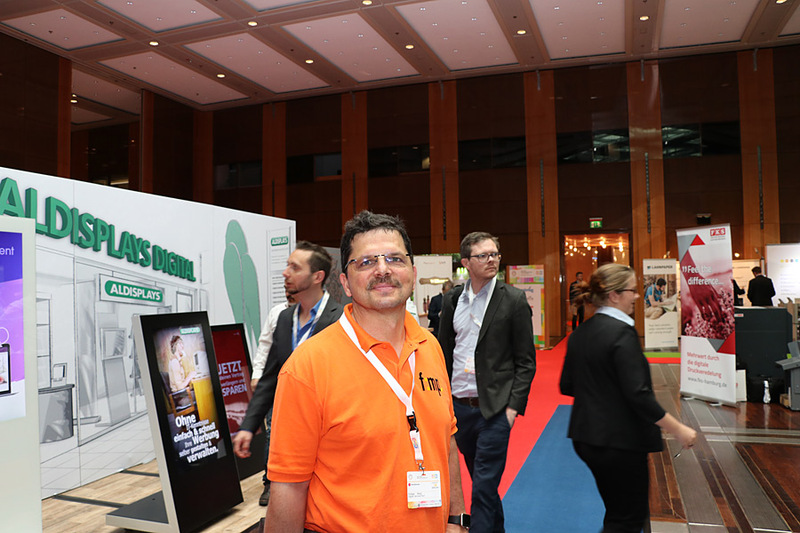 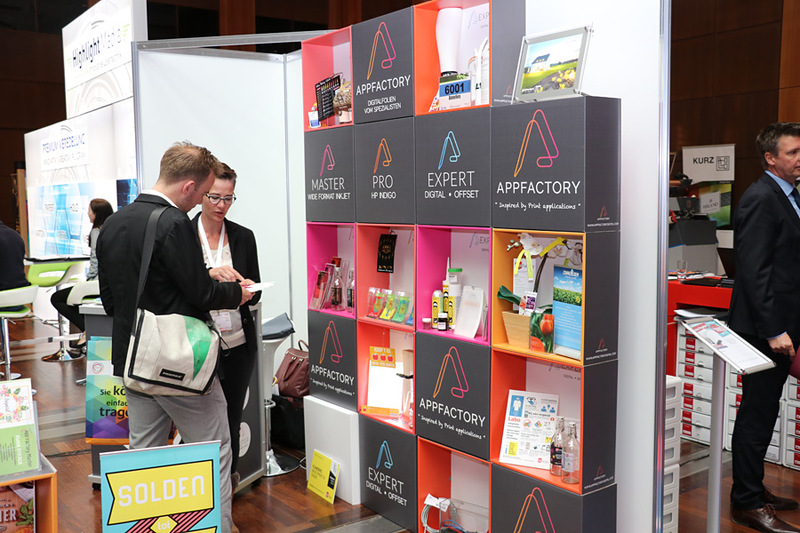 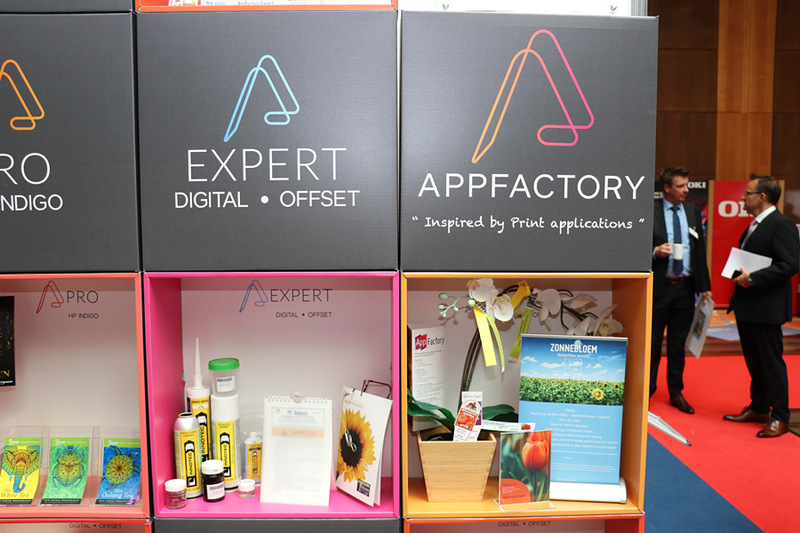 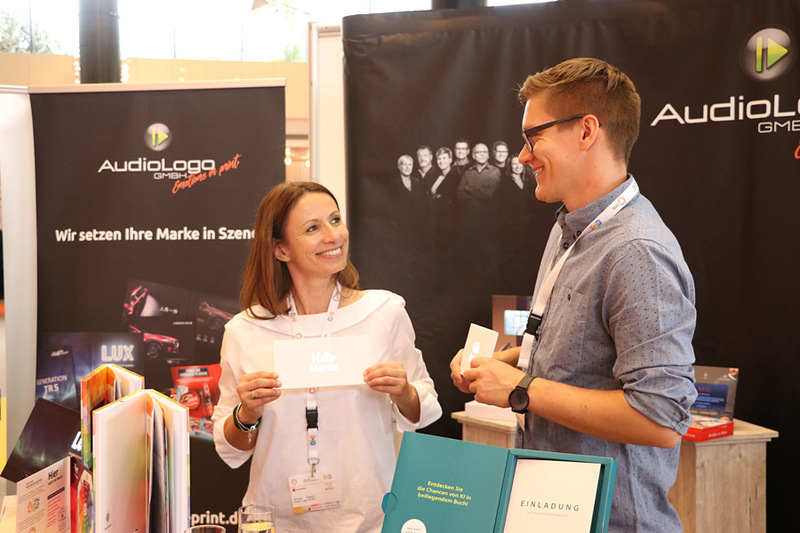 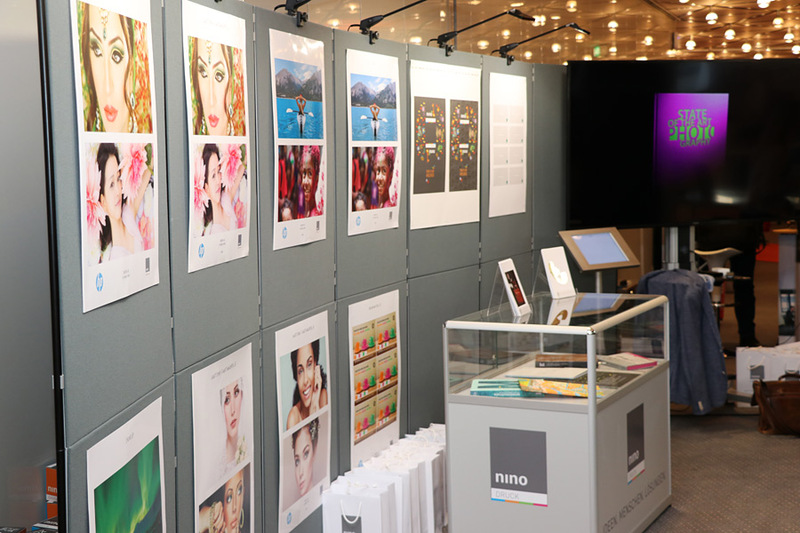 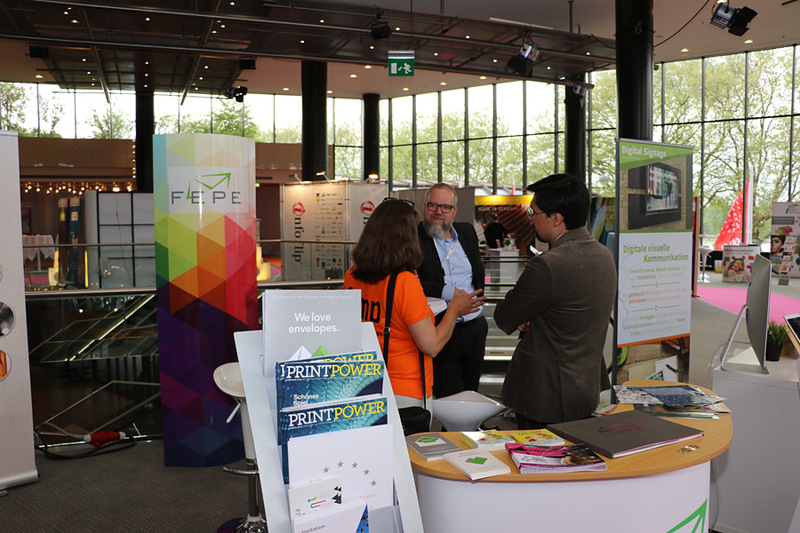 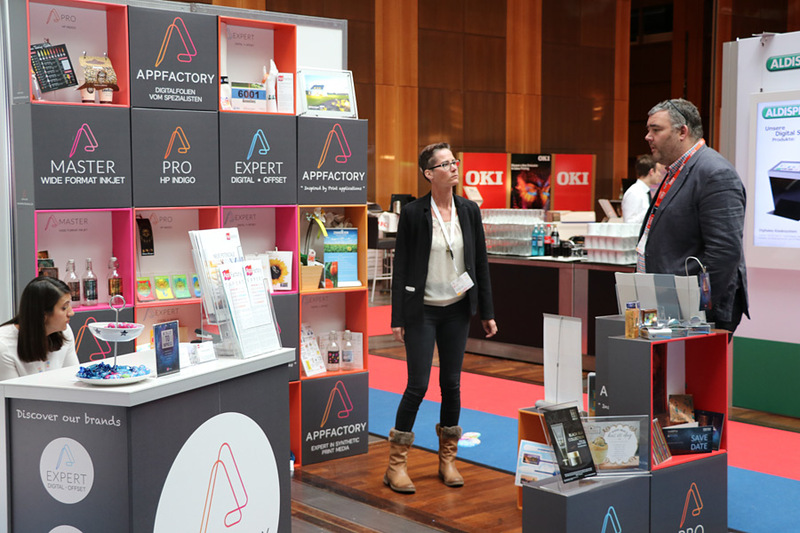 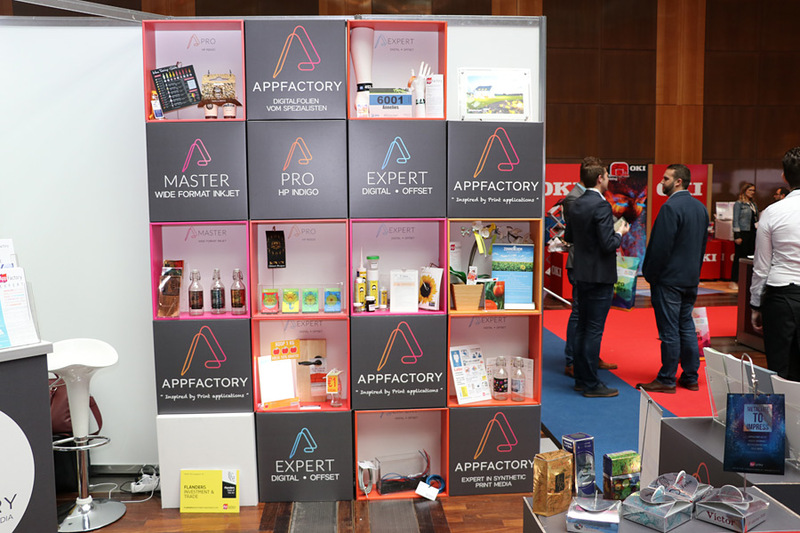 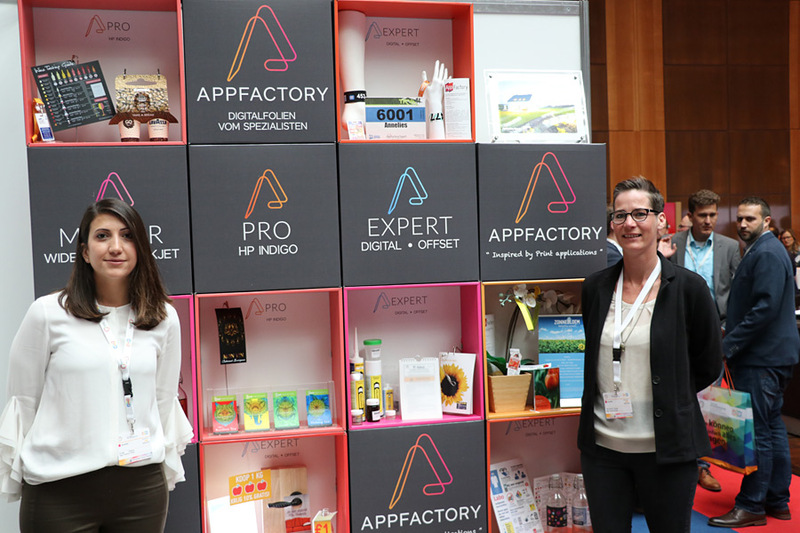 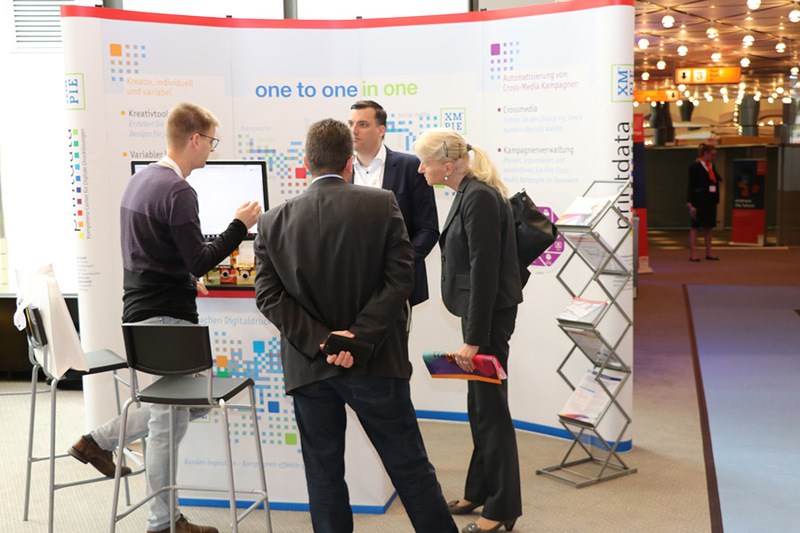 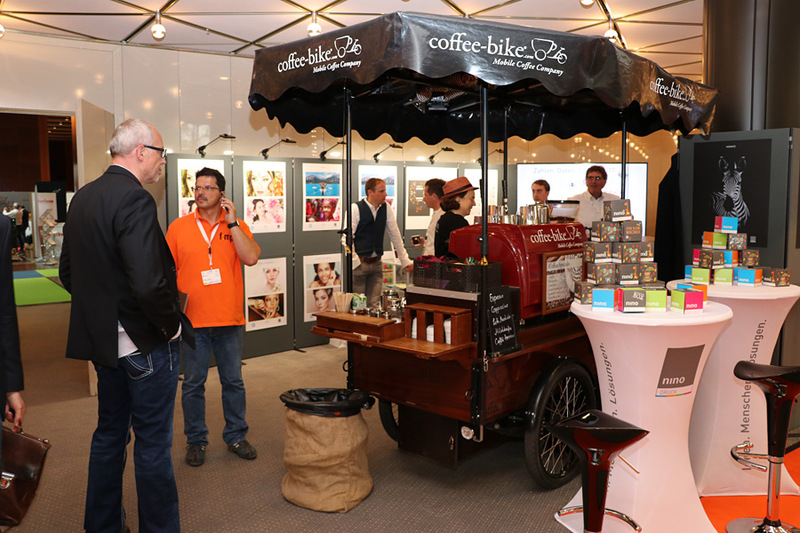 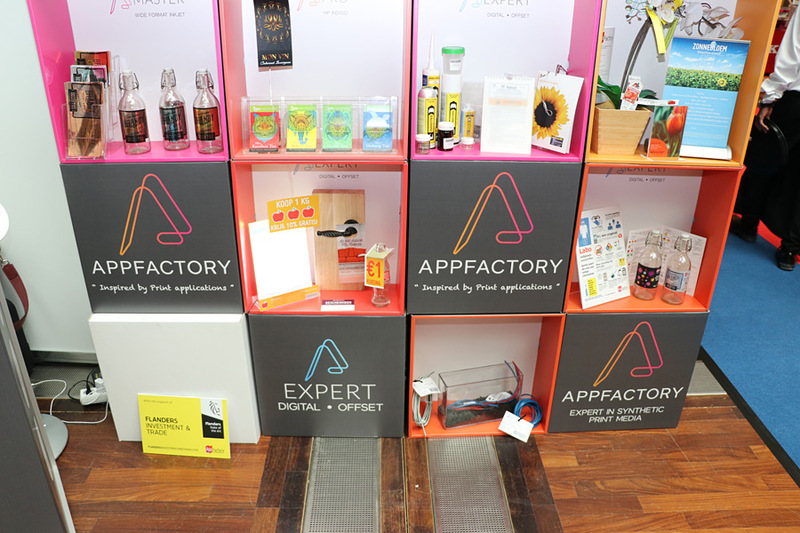 After winning 35 well-known exhibitors for the first event in 2017, more than 70 companies exhibited this year at PRINT digital! 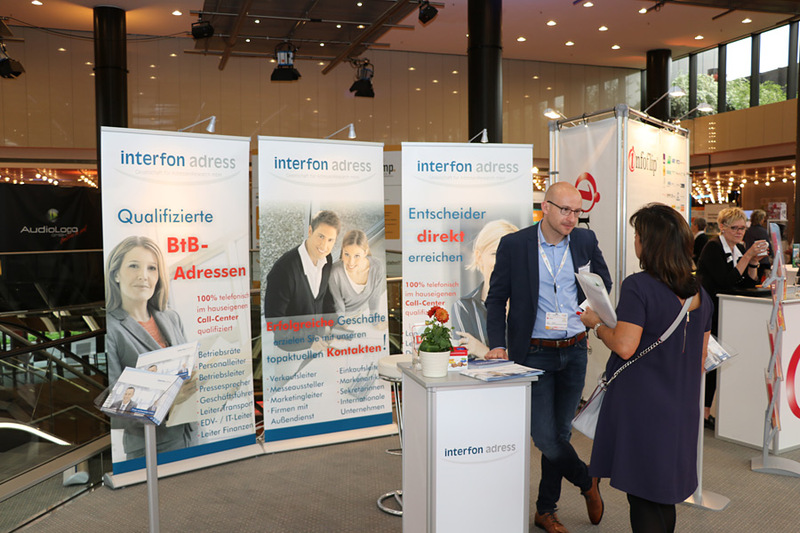 CONVENTION in the Stadthalle of the Düsseldorf Congress Centre. 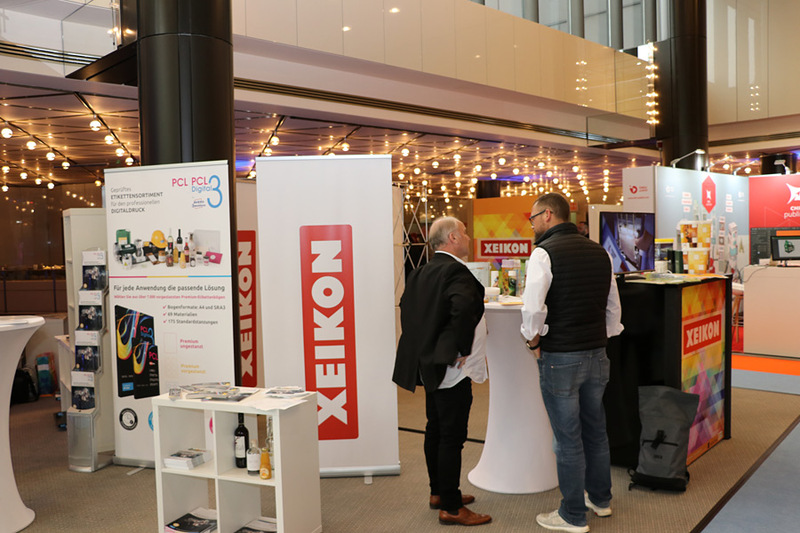 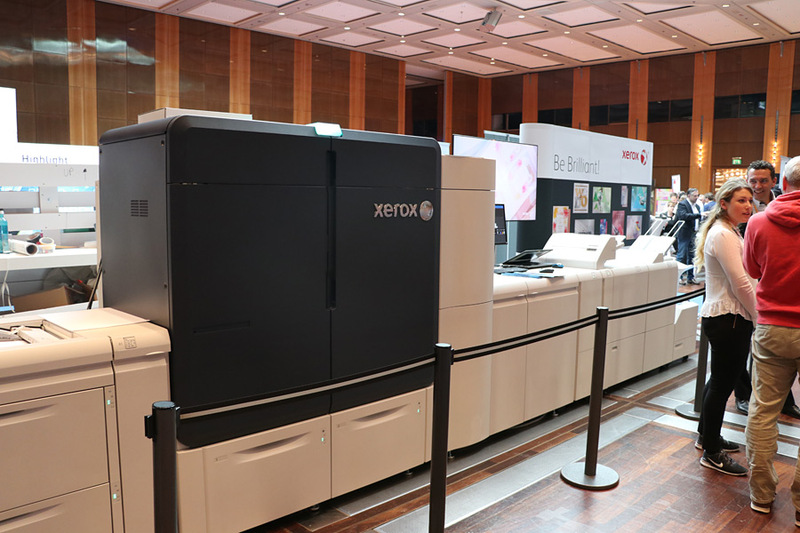 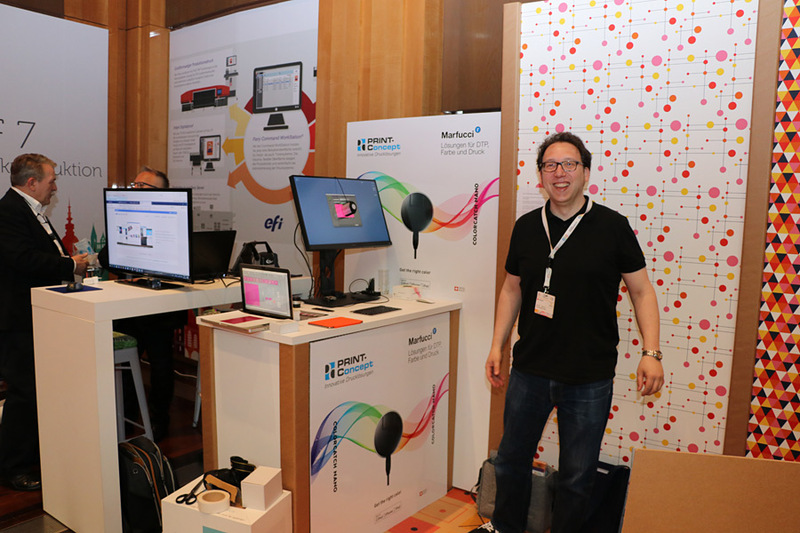 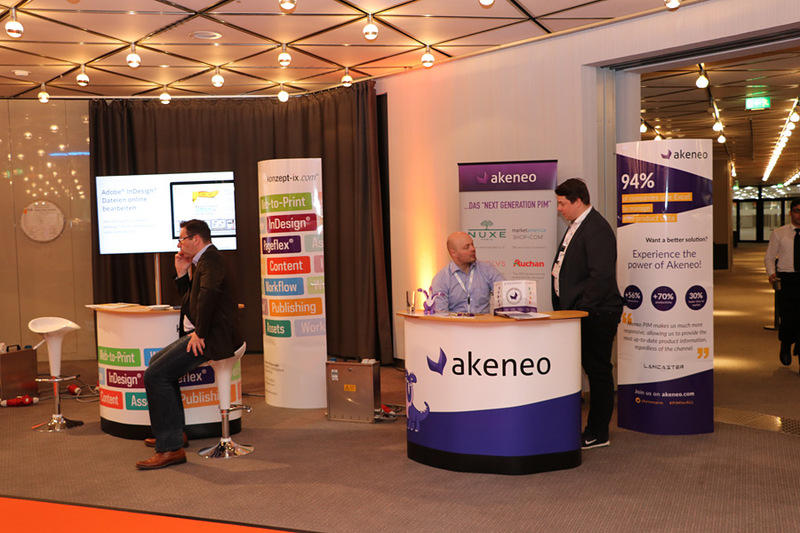 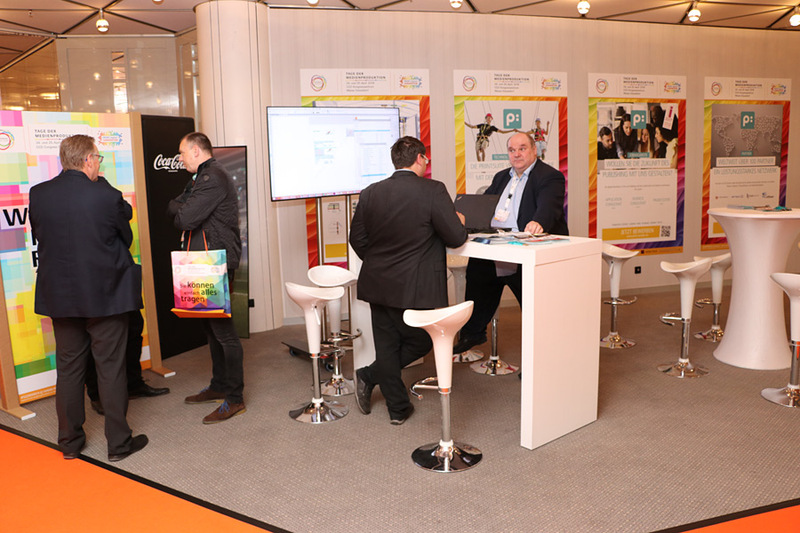 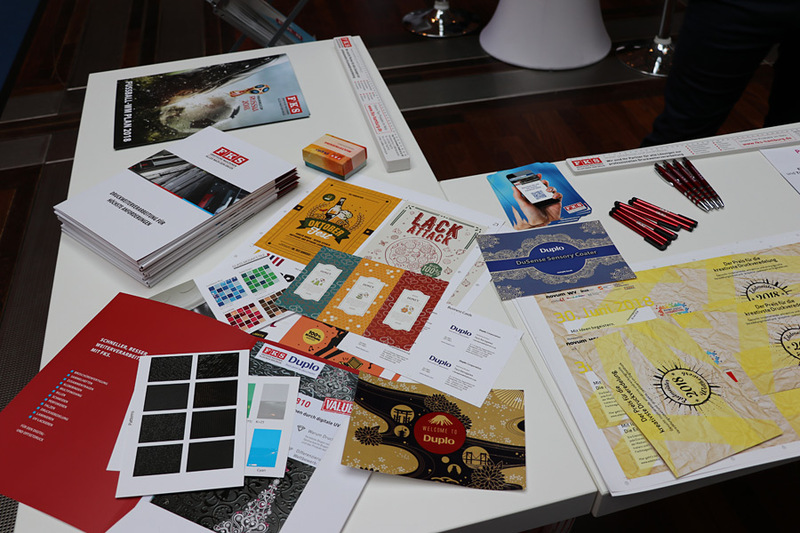 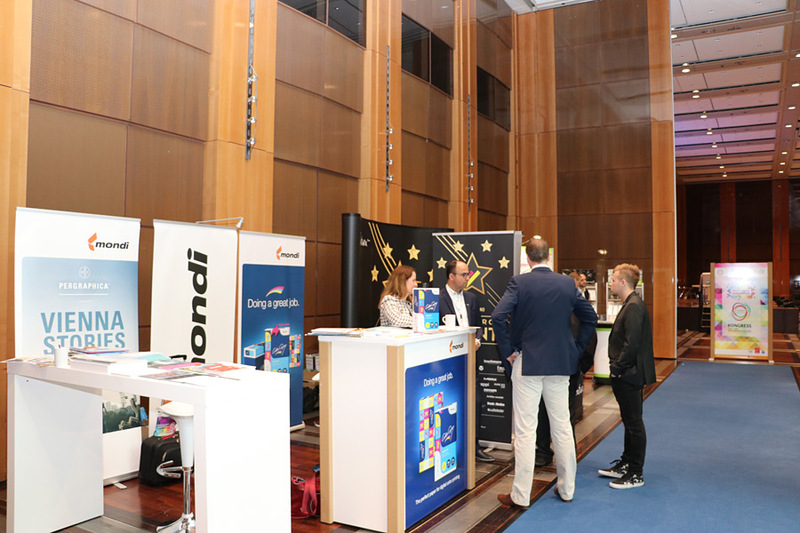 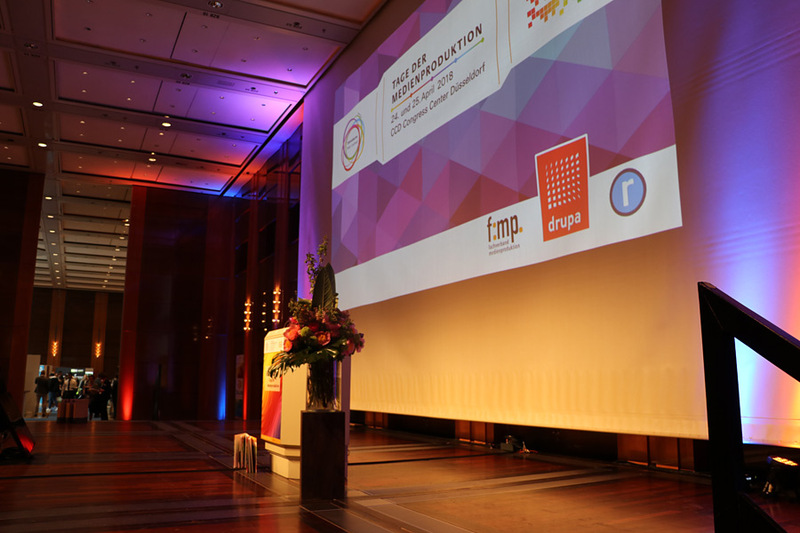 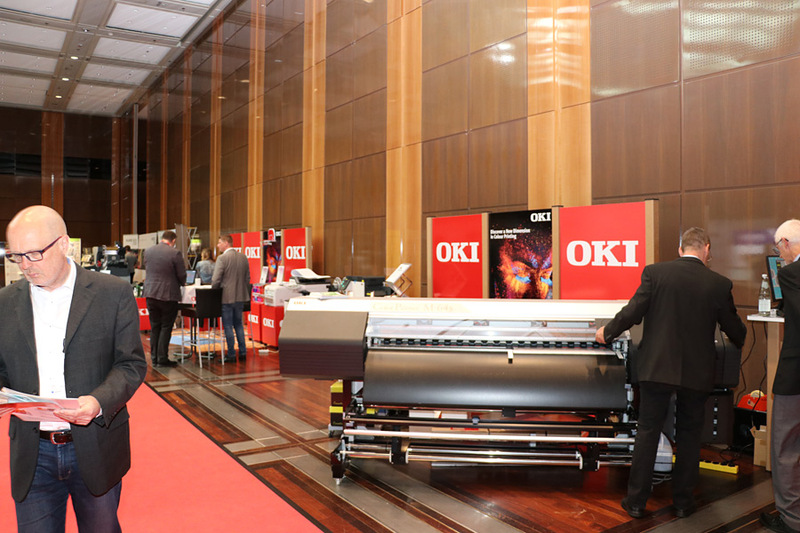 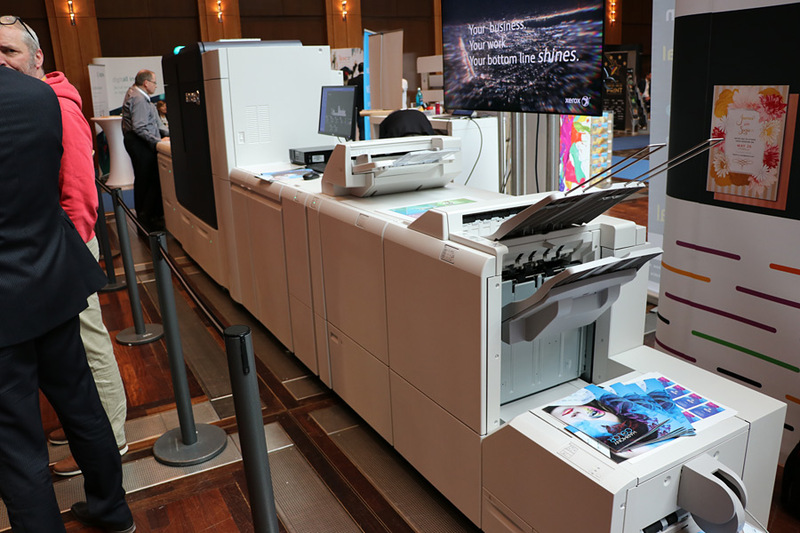 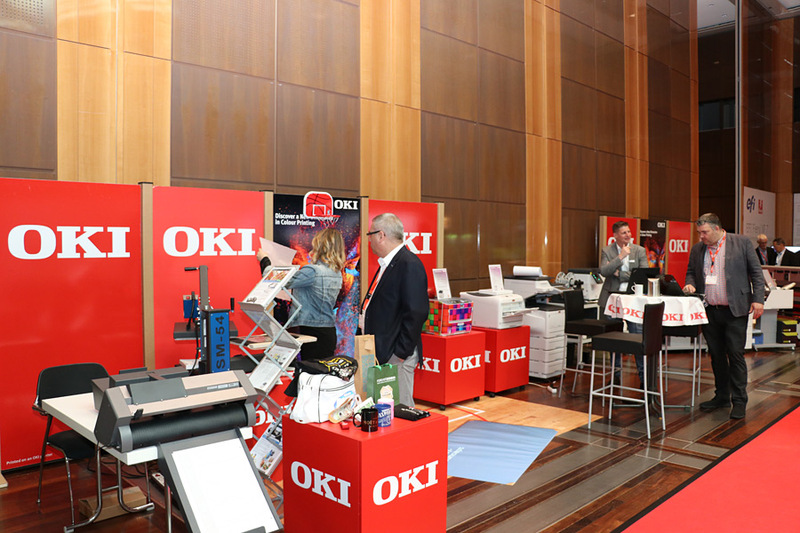 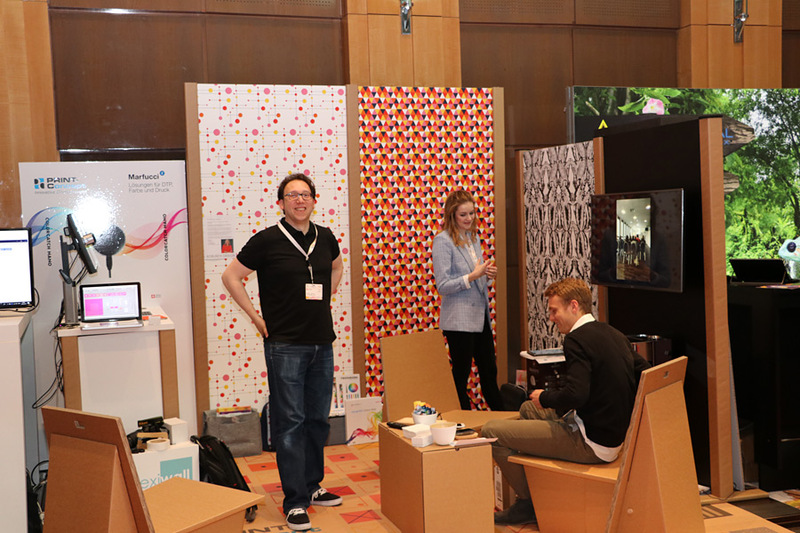 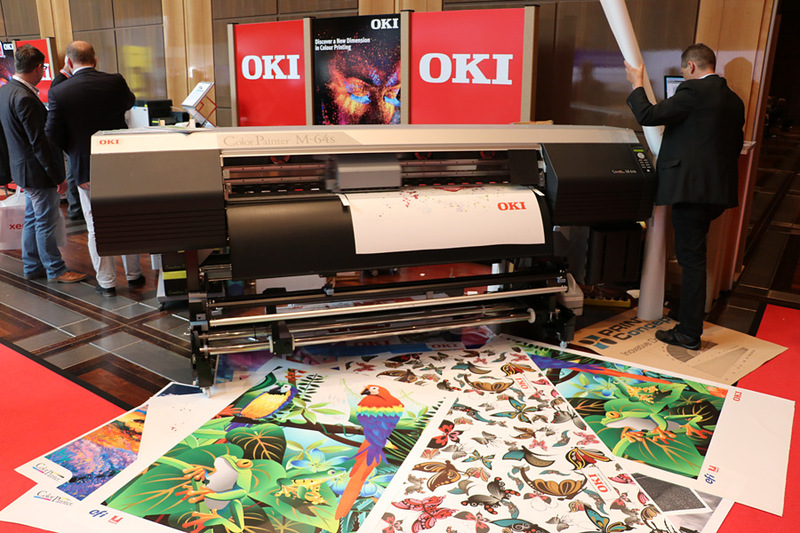 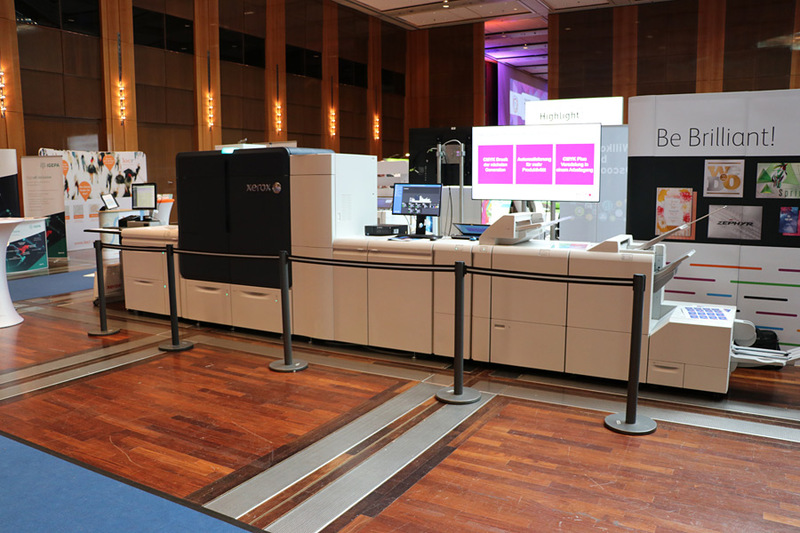 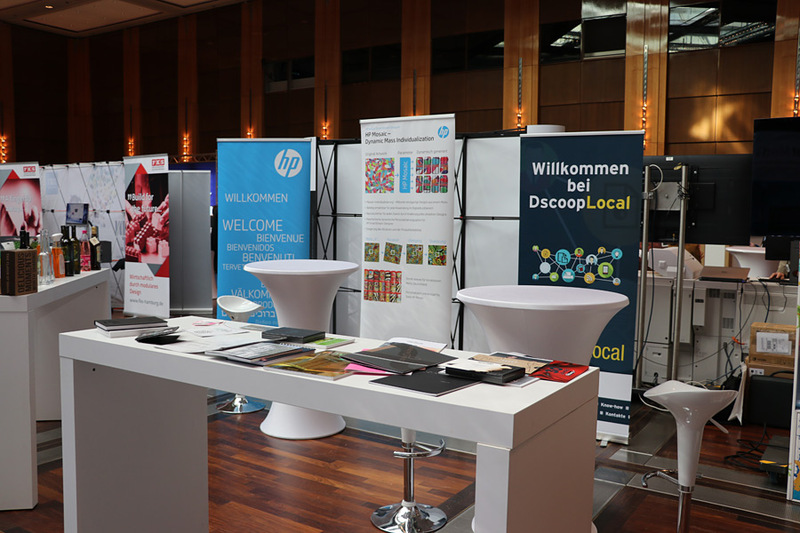 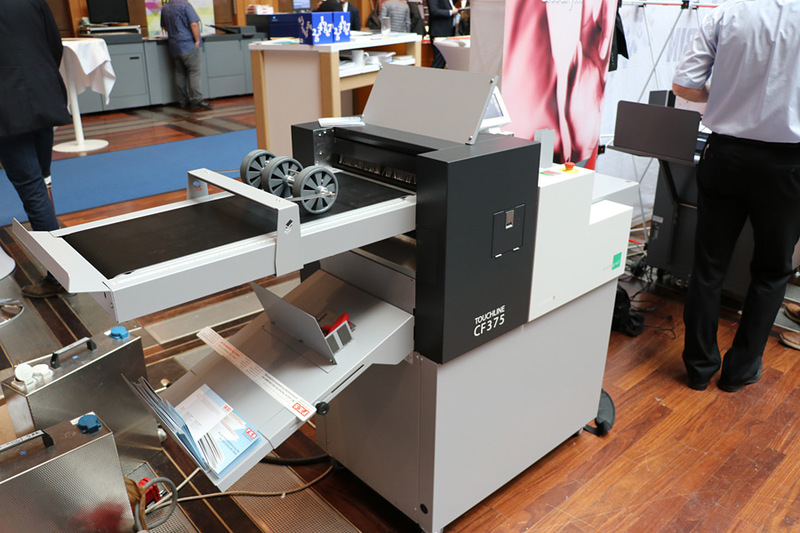 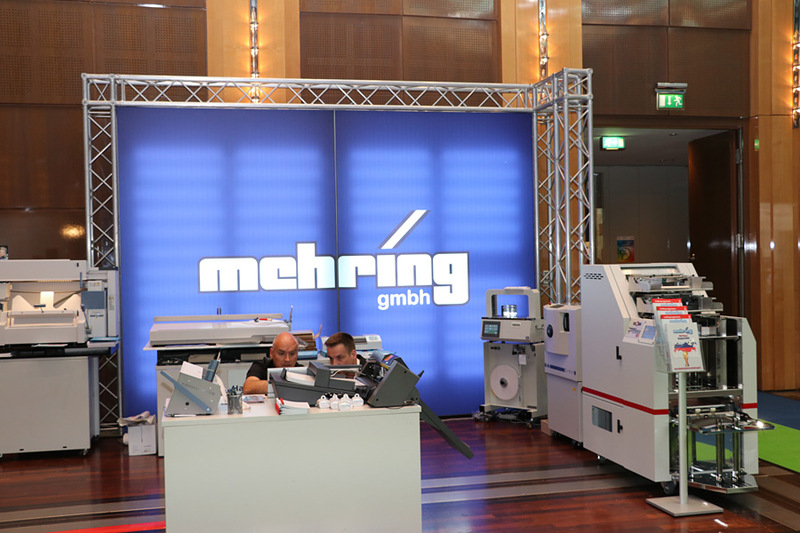 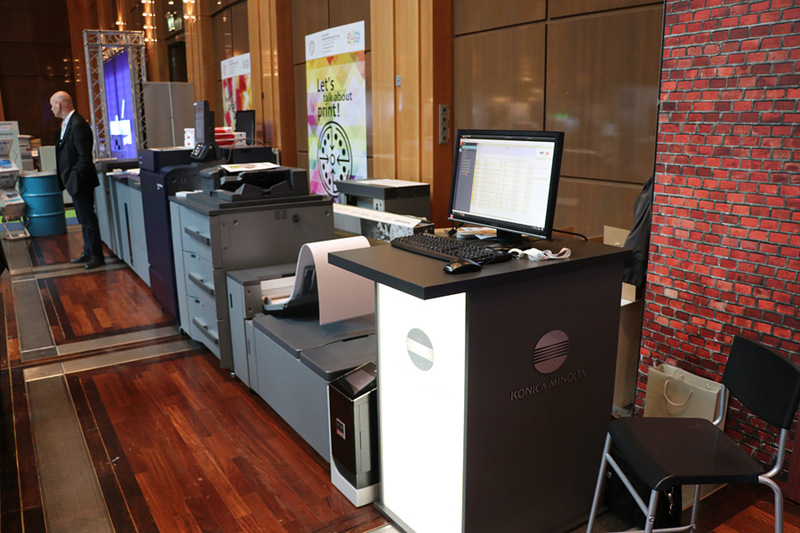 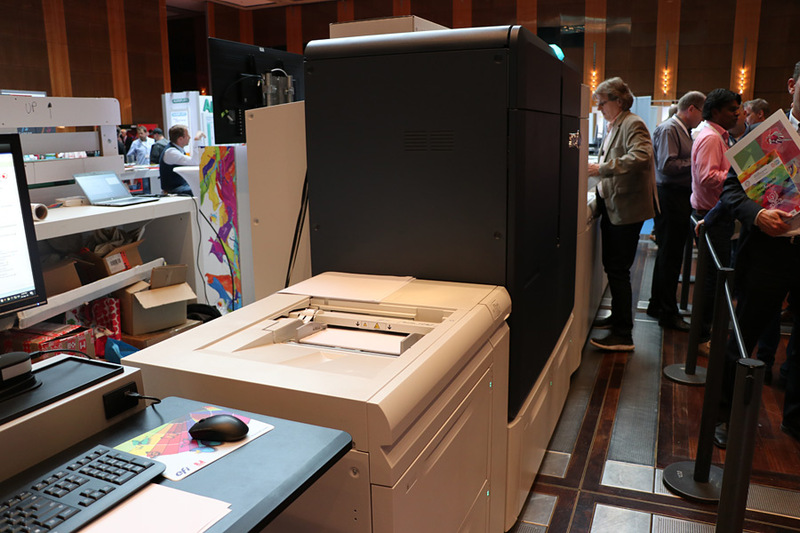 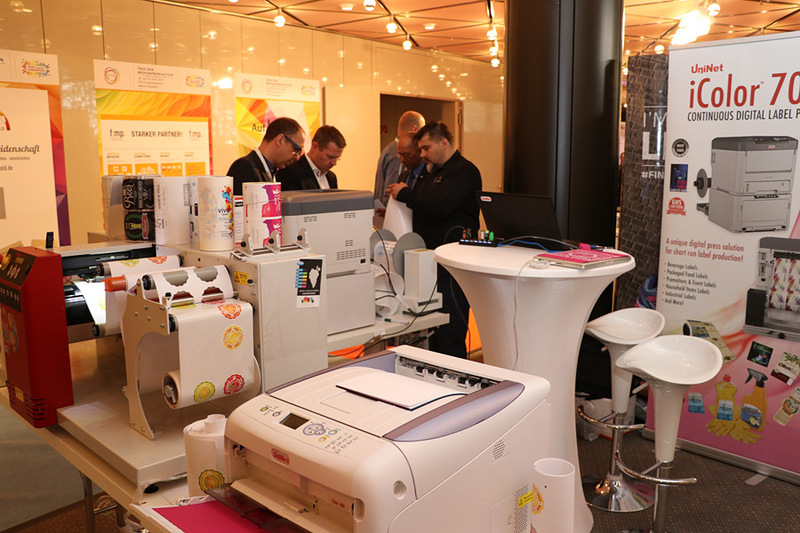 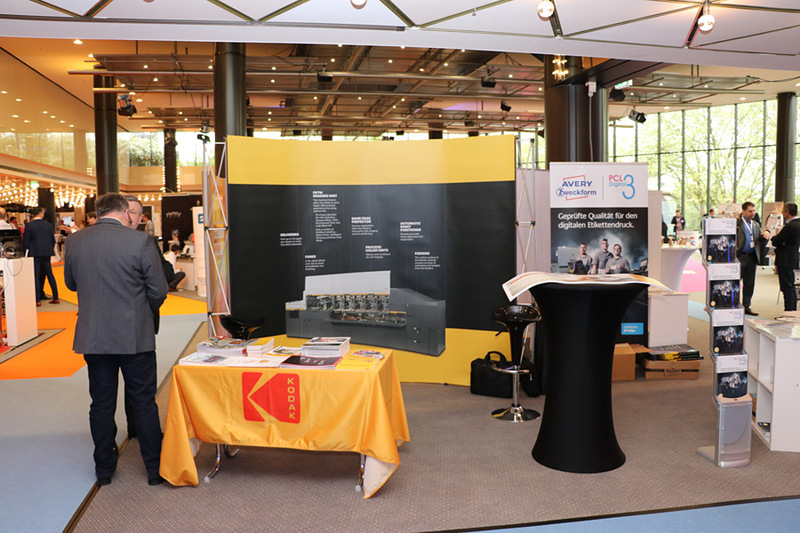 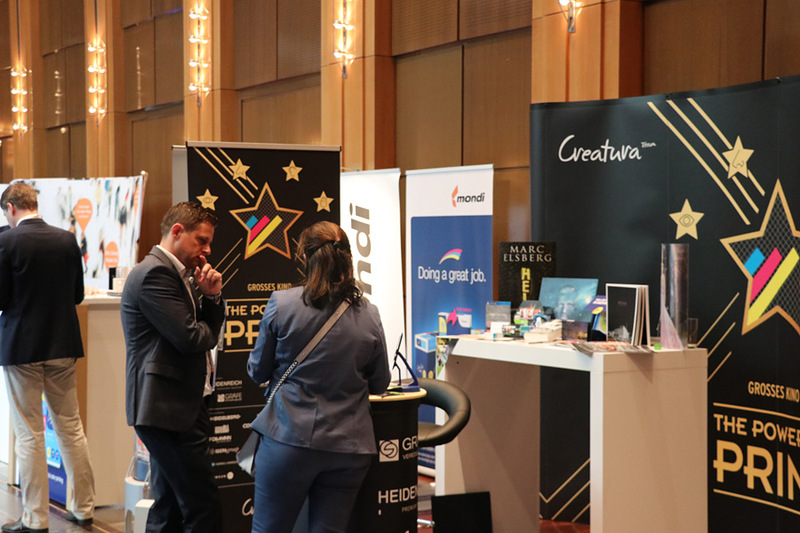 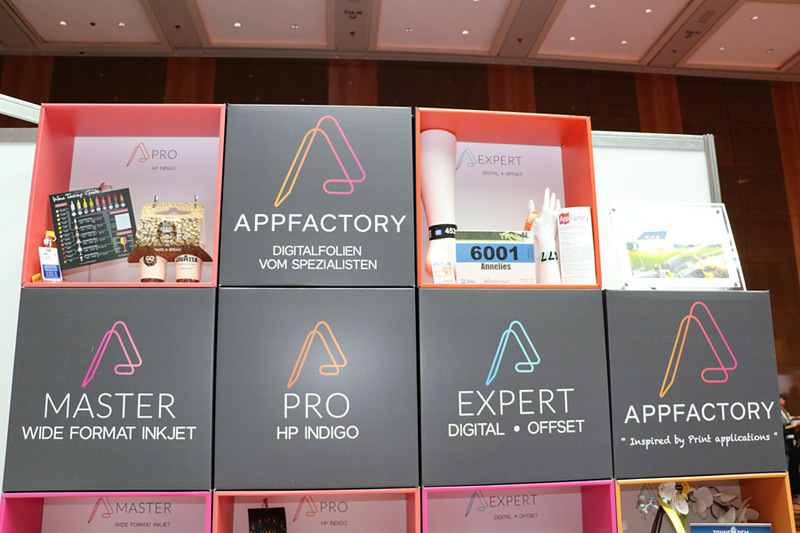 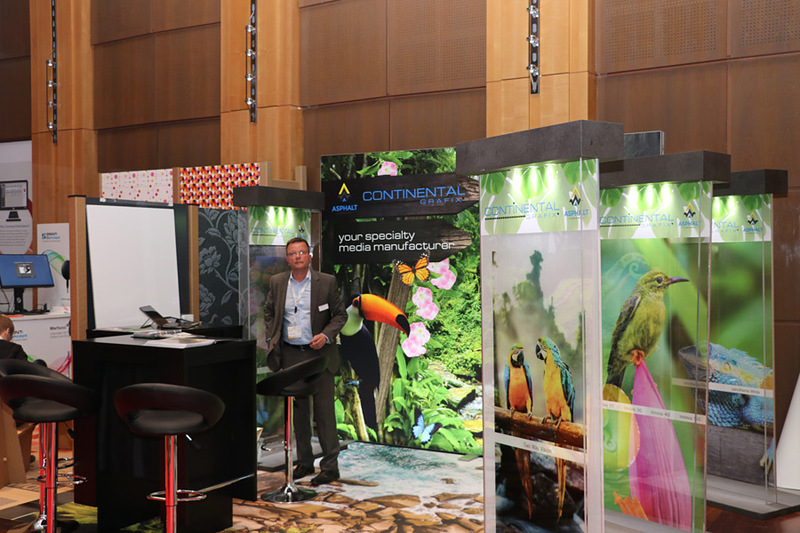 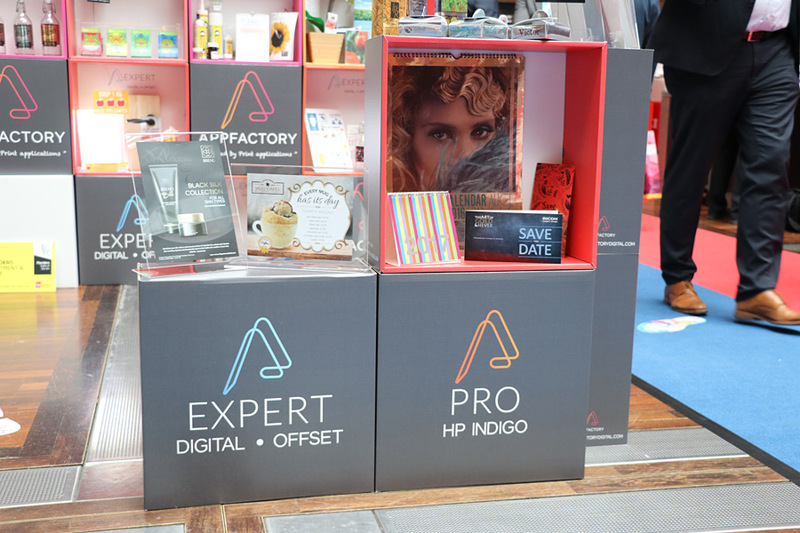 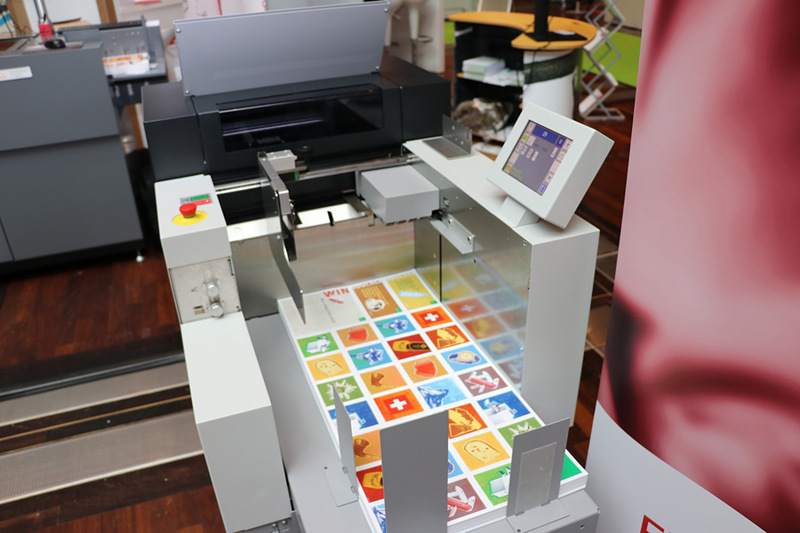 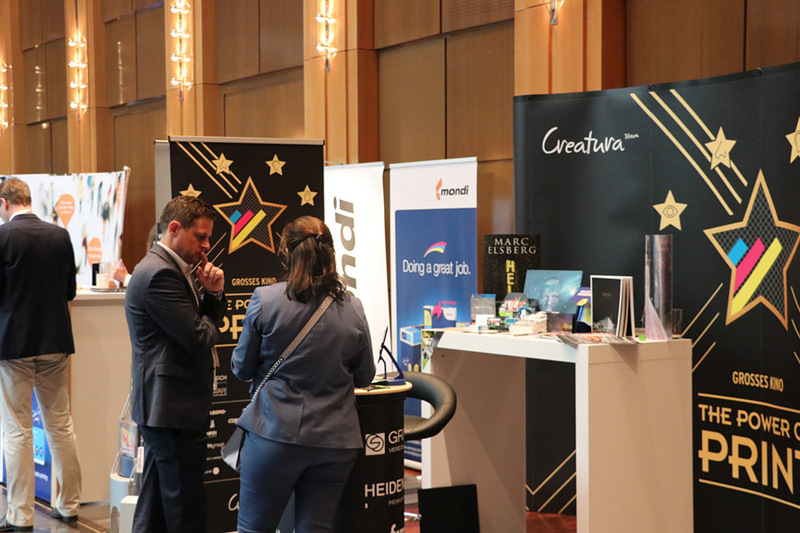 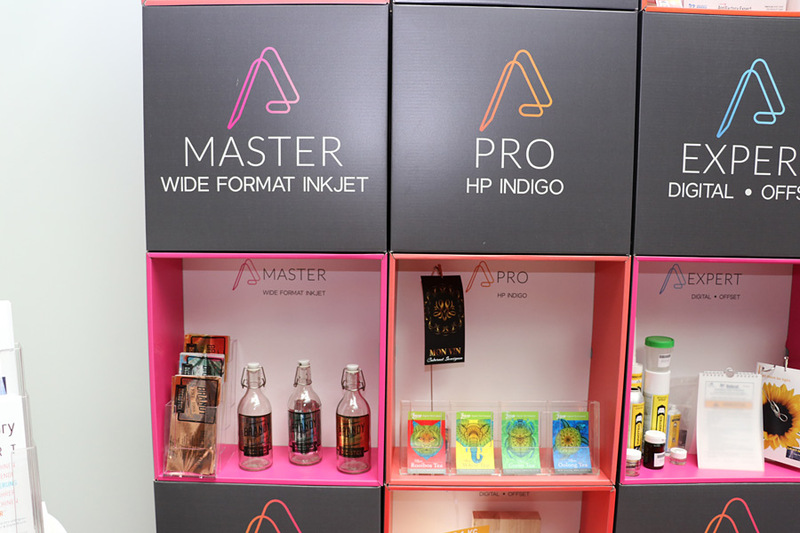 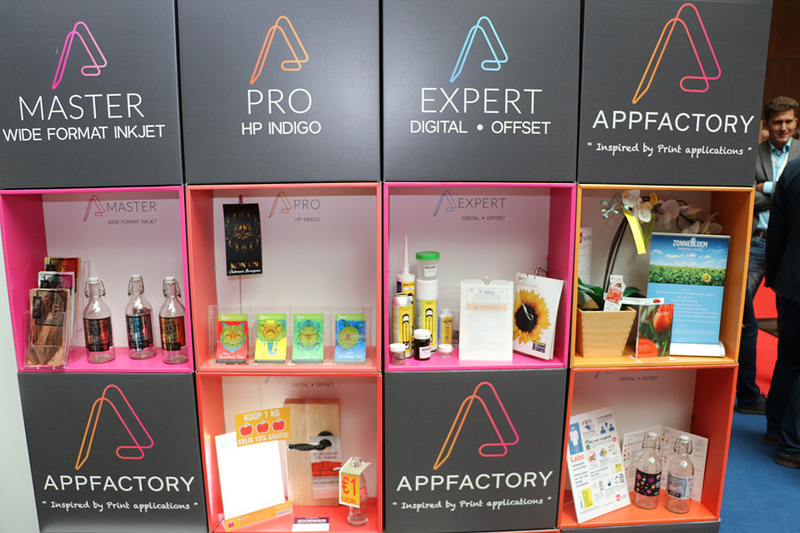 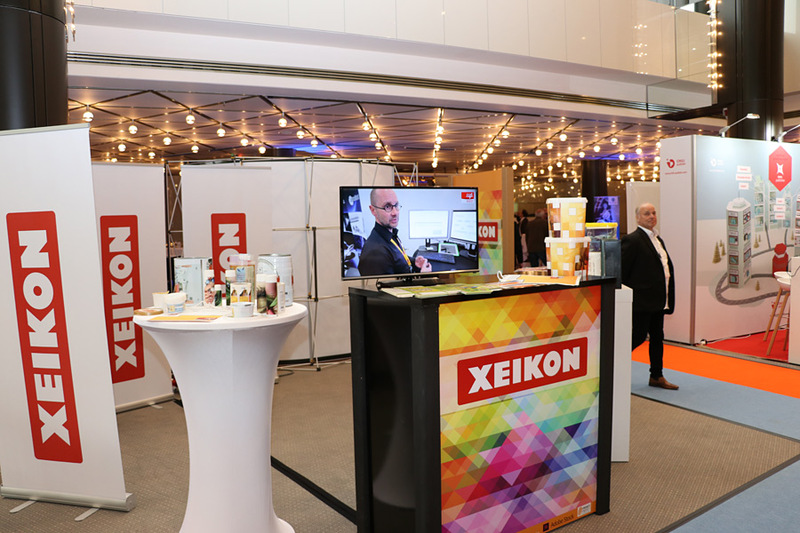 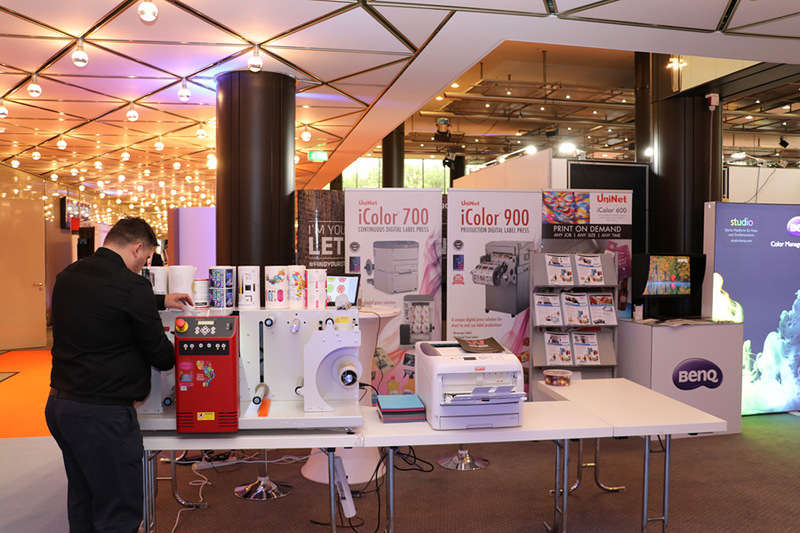 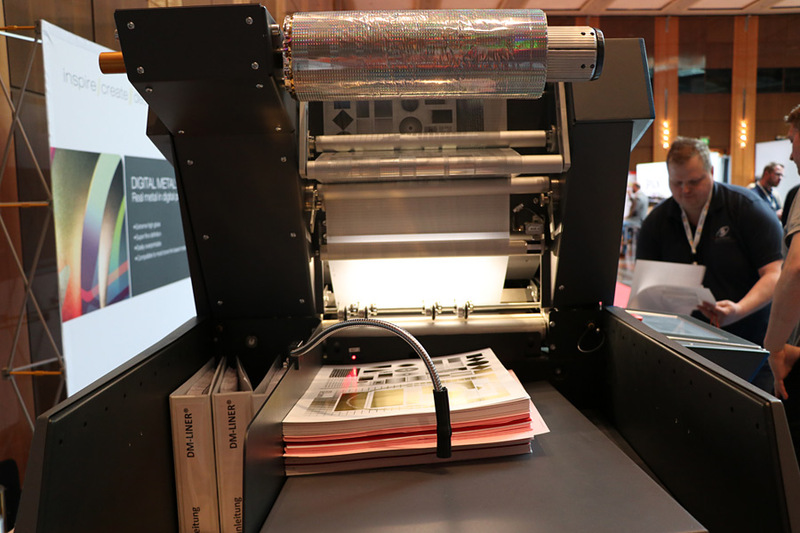 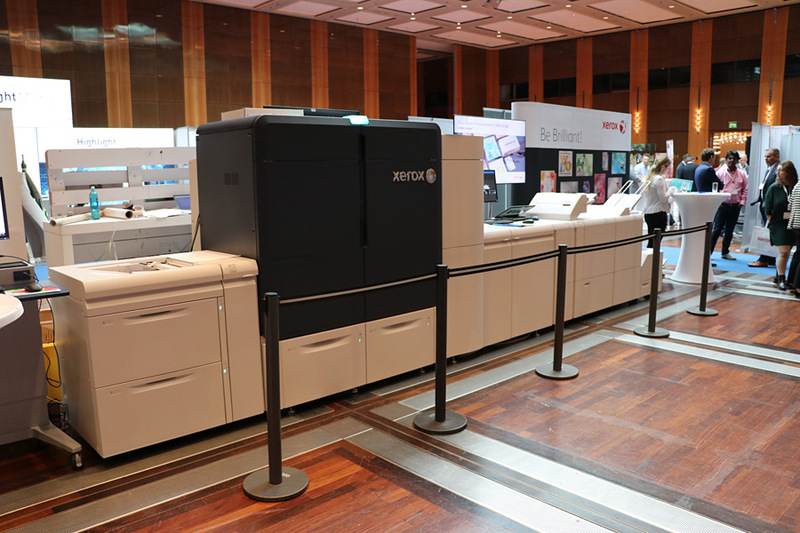 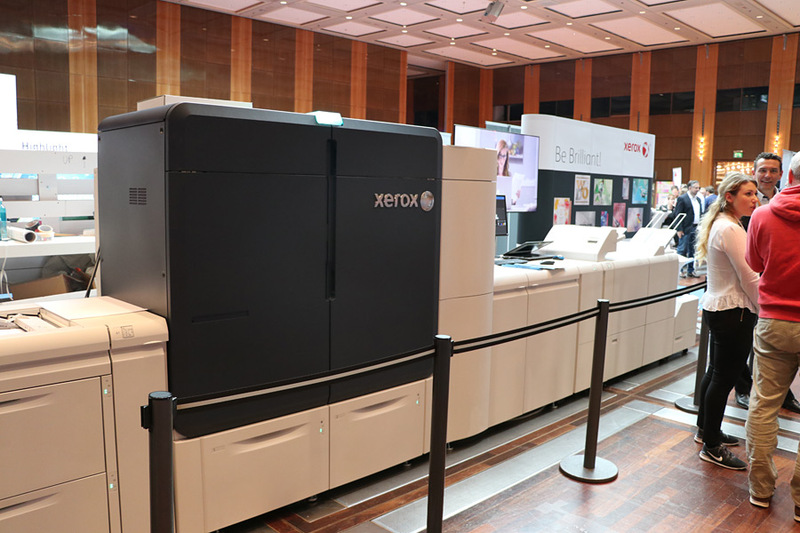 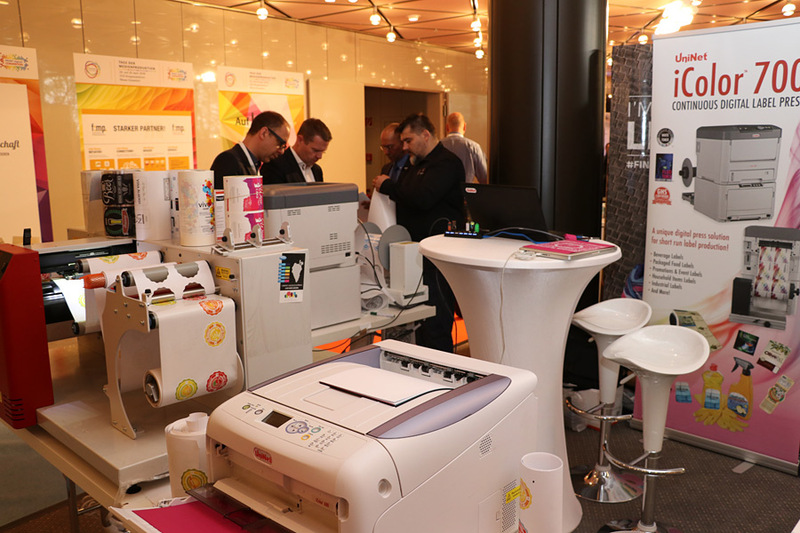 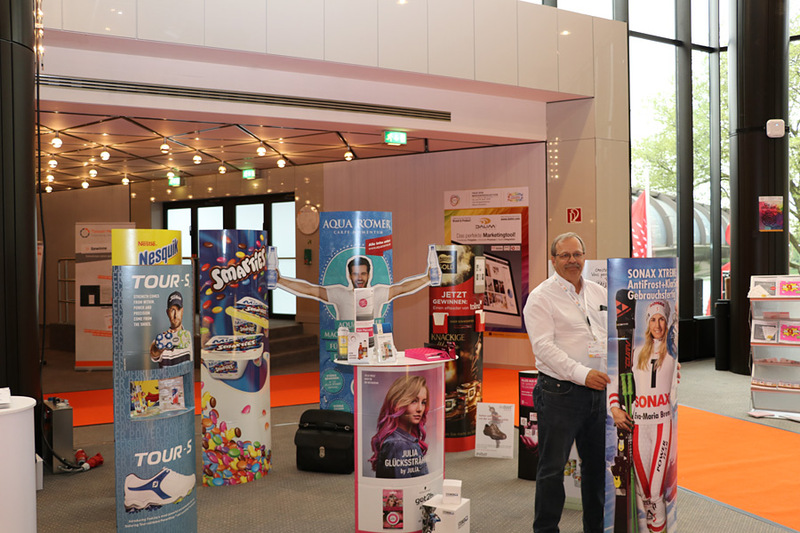 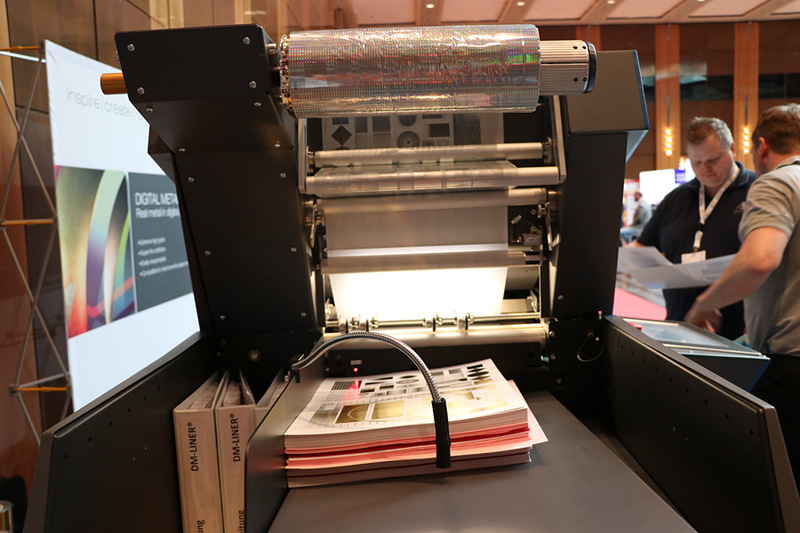 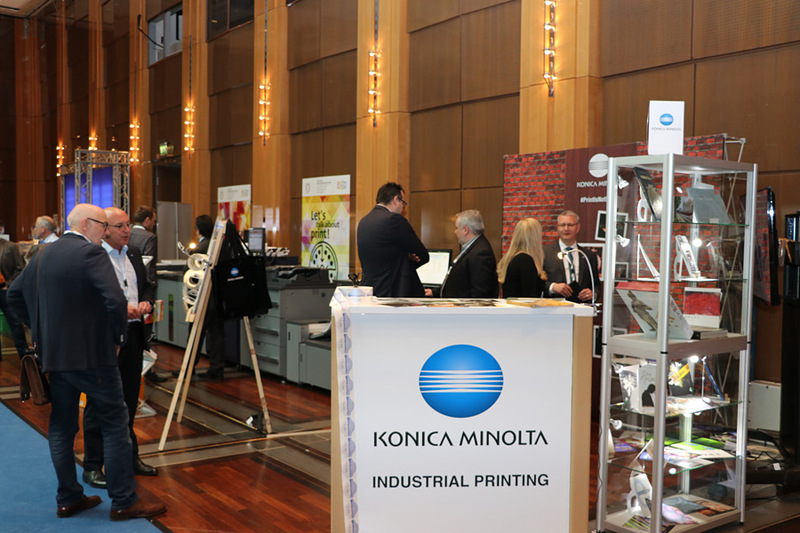 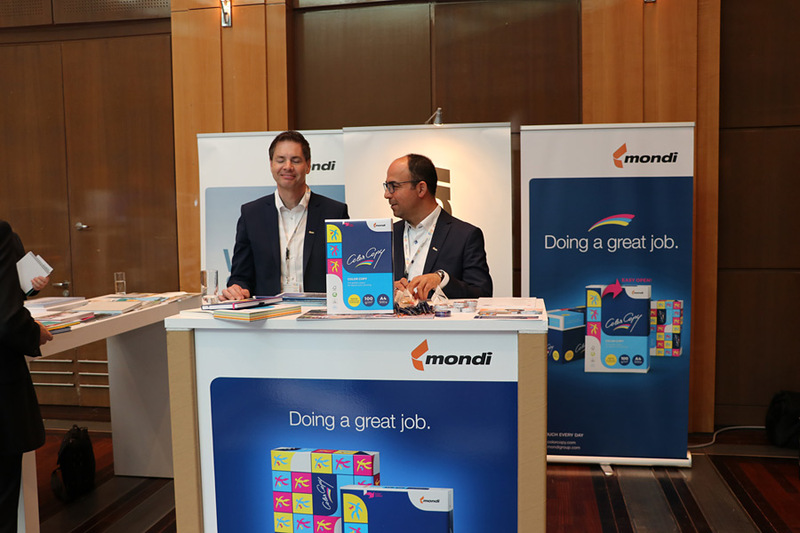 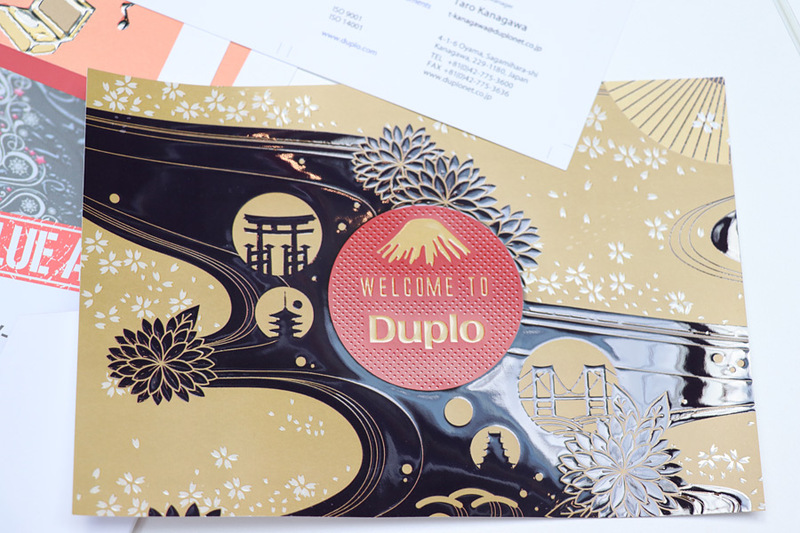 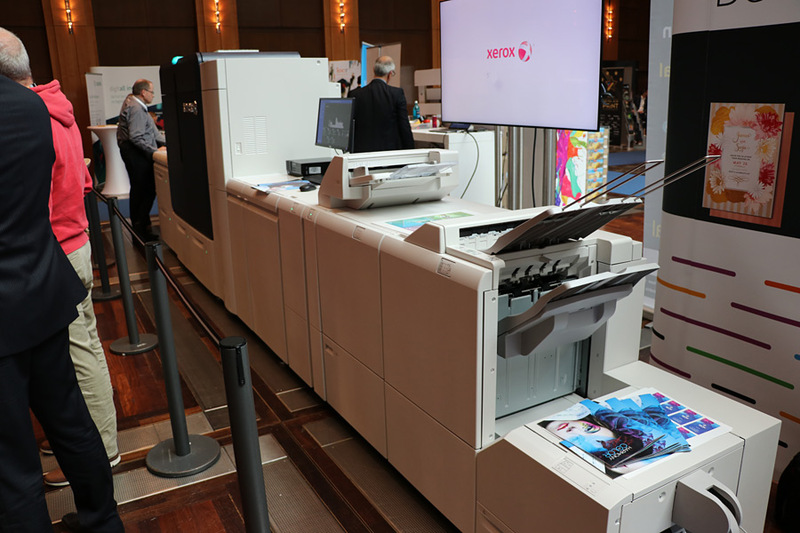 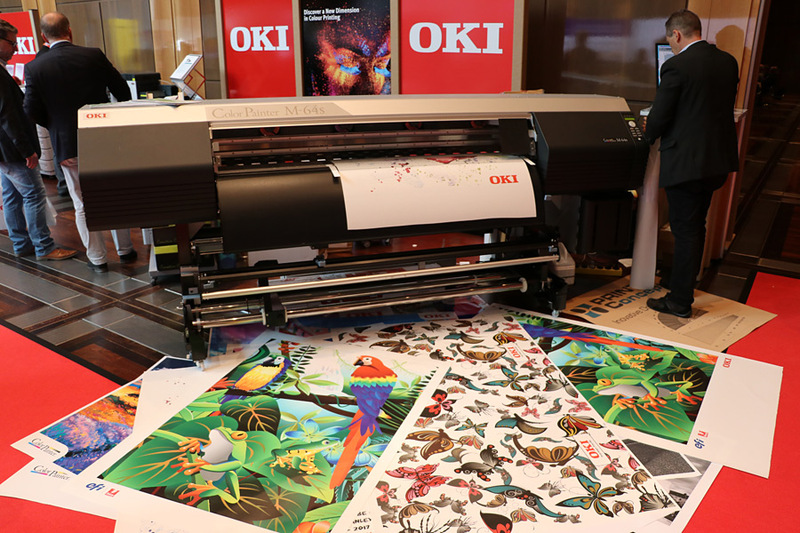 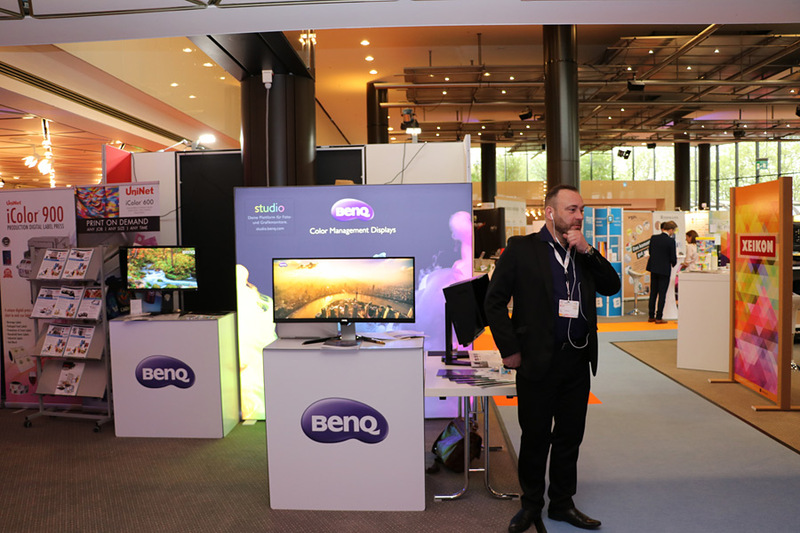 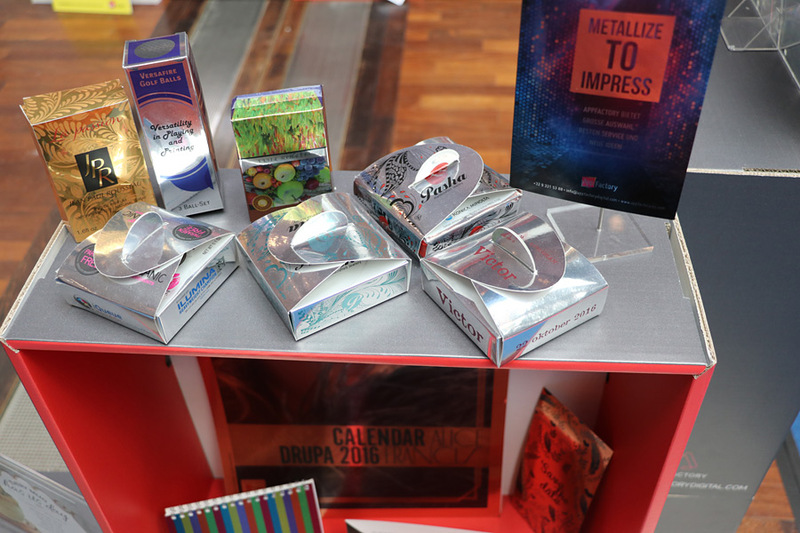 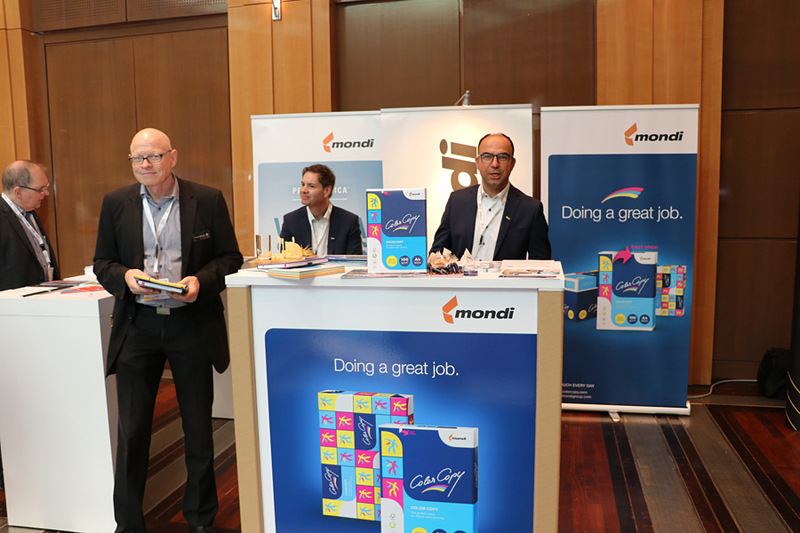 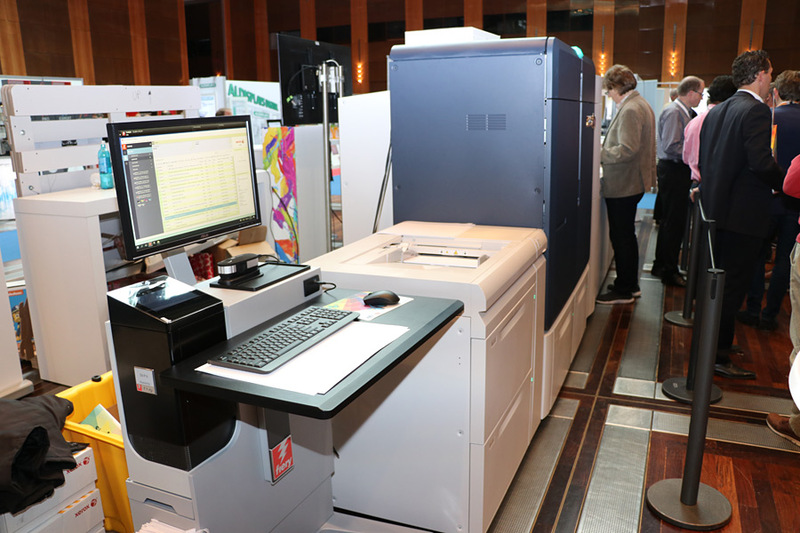 The Who is Who of the digital printing industry was represented with stands, including industry giants such as HP, Xerox, Konika Minolta, Canon, Kodak, Xeikon, FKS, KURZ, Papier Union, Mondi and many more. What is unique: The exhibitors not only showed their more than 1,000 trade visitors their latest technologies and solutions along the entire value chain, but also demonstrated together with industry partners how their range of products make exciting communication solutions and tangible products for corporate communications. 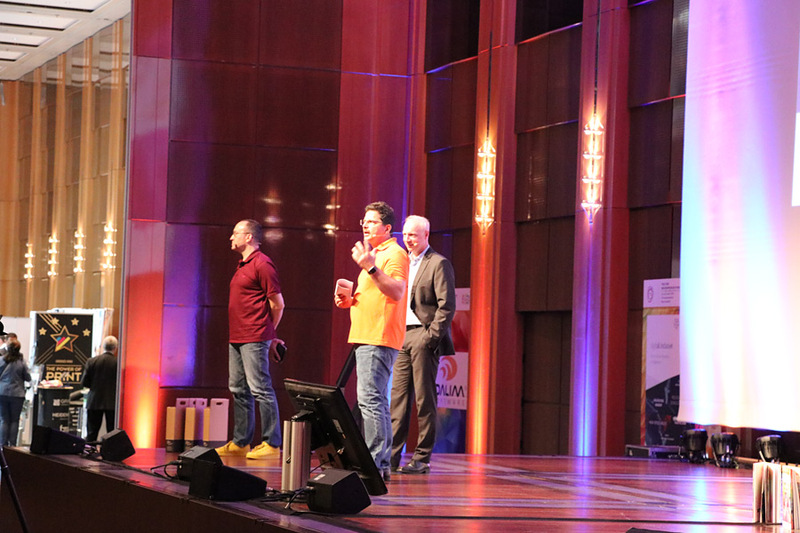 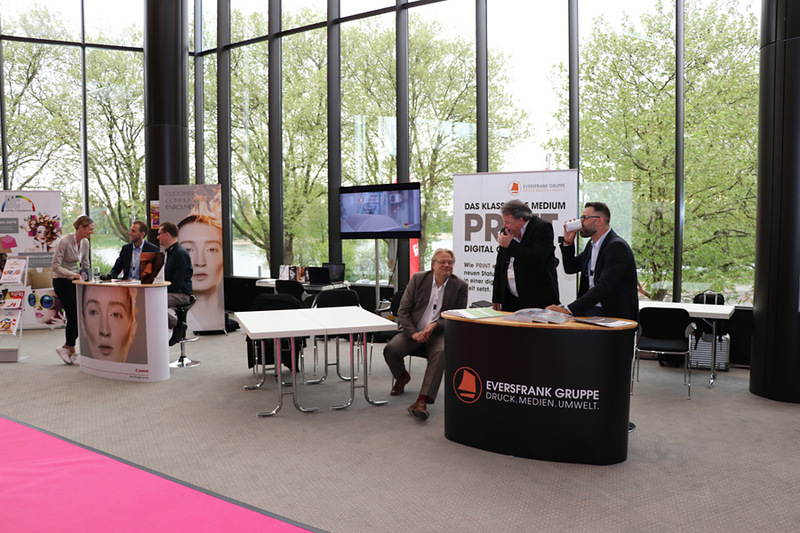 On day one there were workshops and on day two there was again a multifaceted lecture programme with industry insiders and visionaries such as Jochen Christiaens (Inkjet Consulting Christiaens), Bert F. Hölscher (Management Consultants GmbH), Andreas Große (3M) or Horst Huber (WERK II, priint Group). 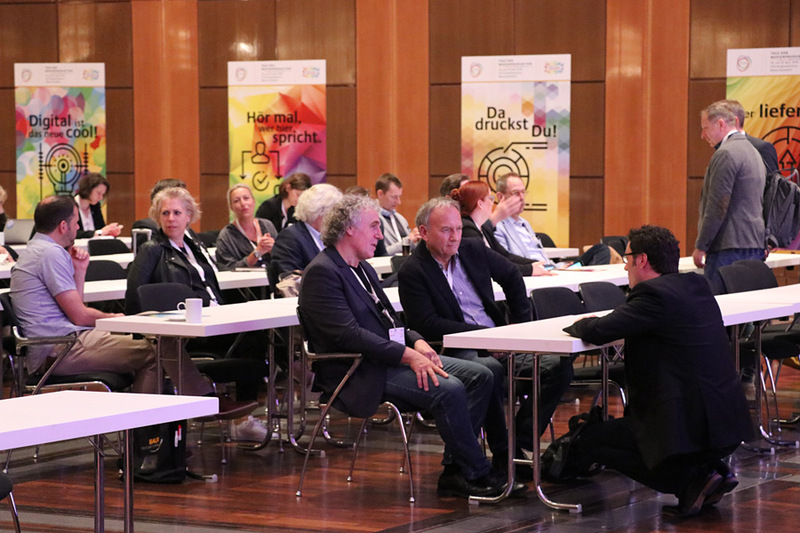 On the first day of the event, 28 full-time parallel workshop sessions offered visitors the opportunity to individually select the topics that had the greatest relevance to them. 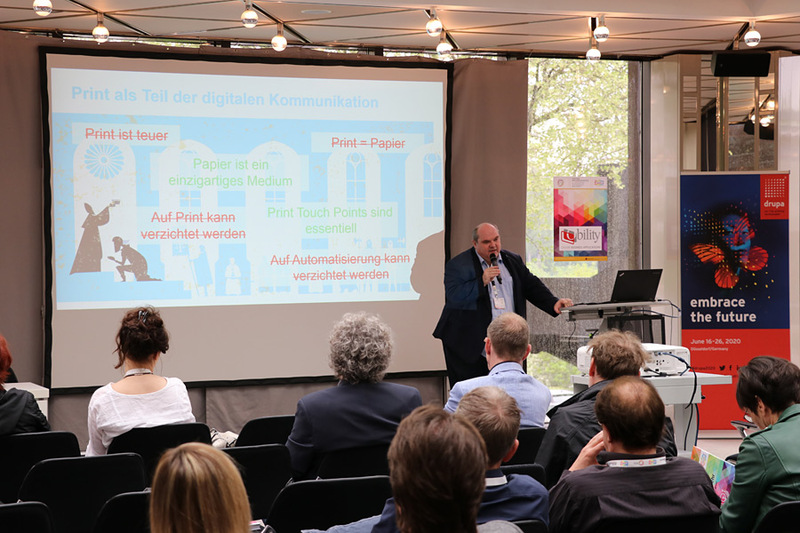 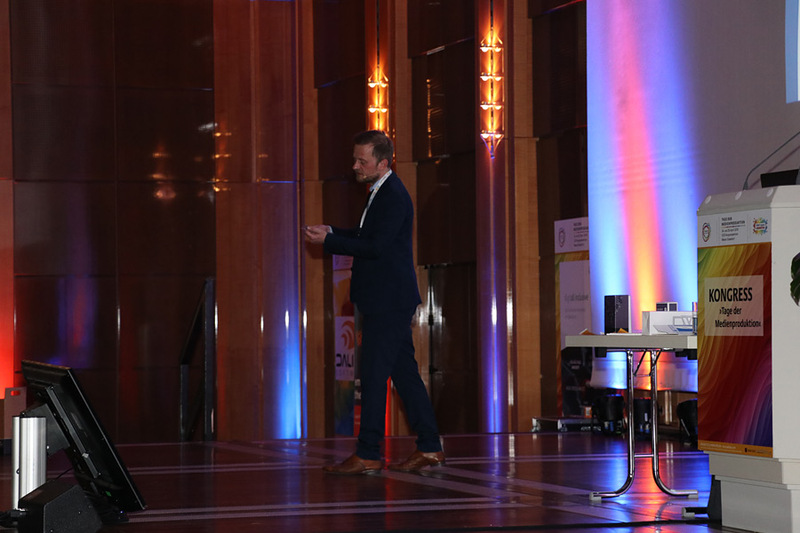 Thanks to the strict separation of the lecture slots into four different subject areas – from Marketing Automation to Value-Added Printing and from Dialogue Marketing to Technology and Know-How – the attendants were able to compile their programme according to their interests. 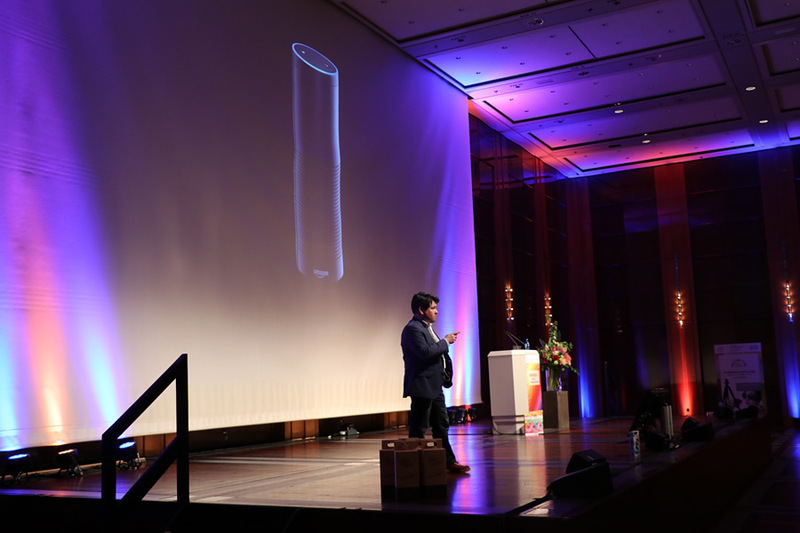 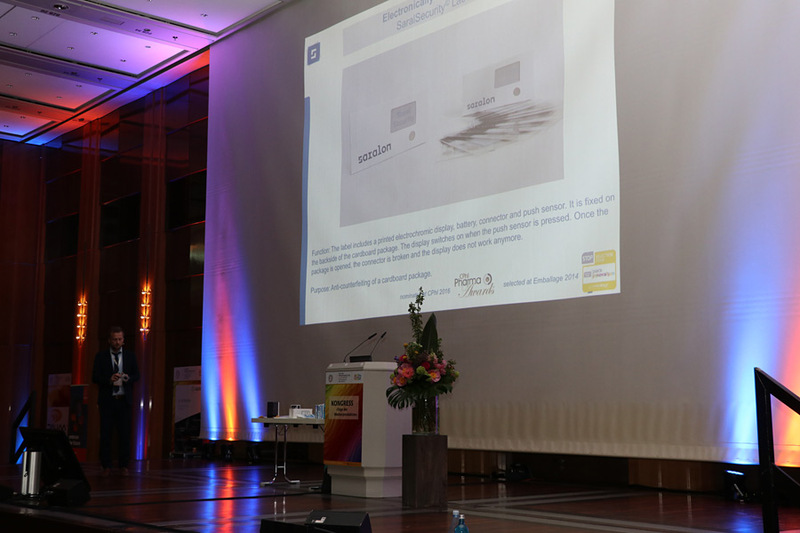 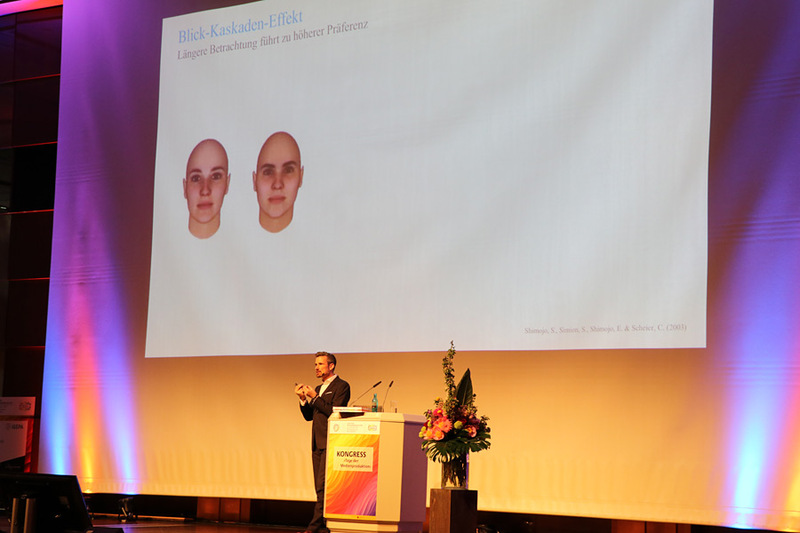 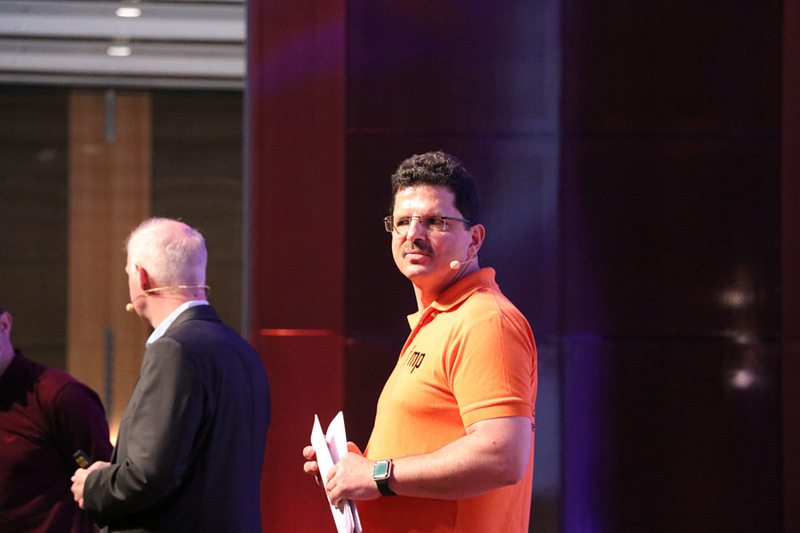 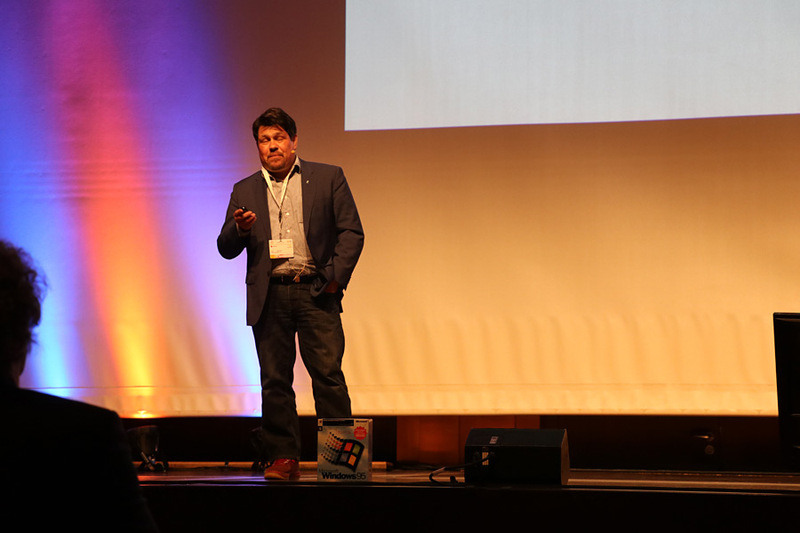 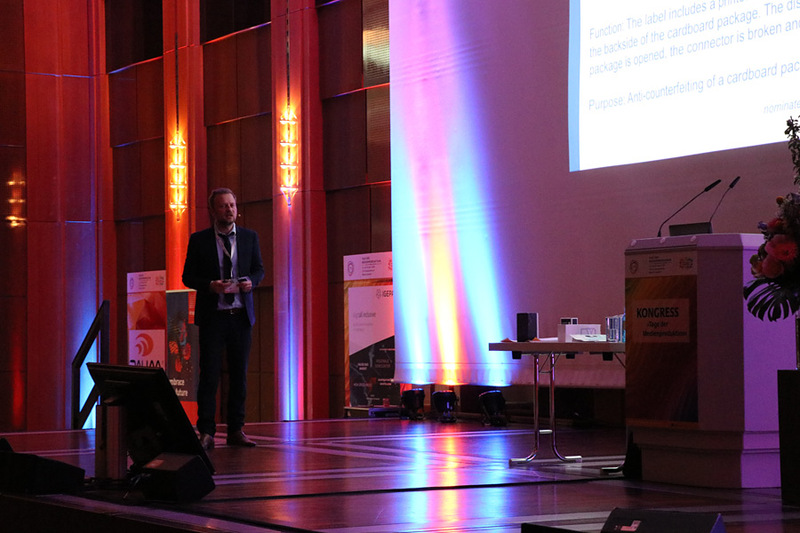 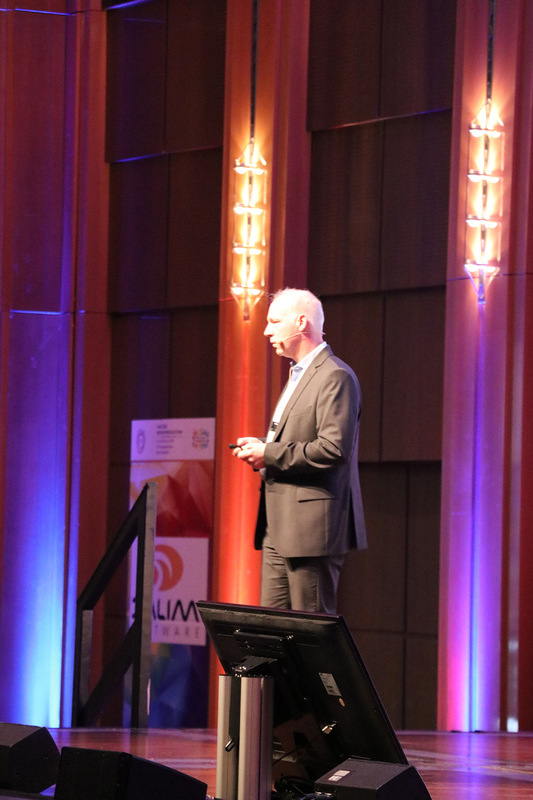 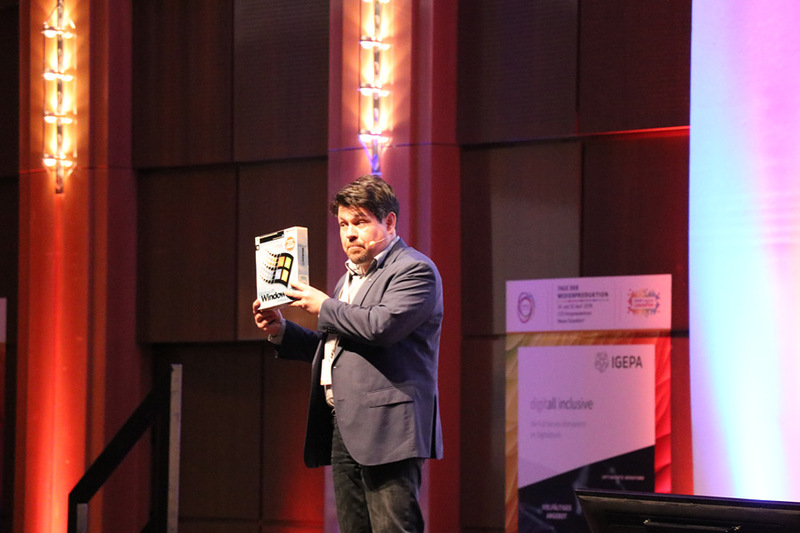 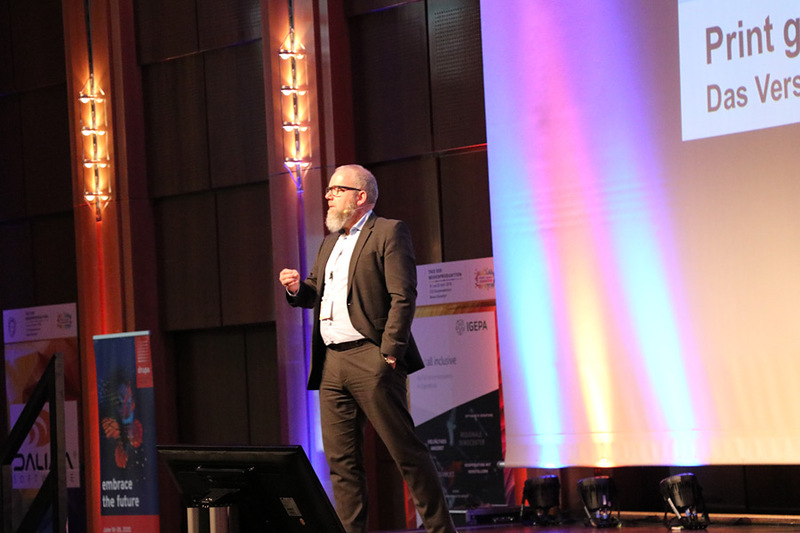 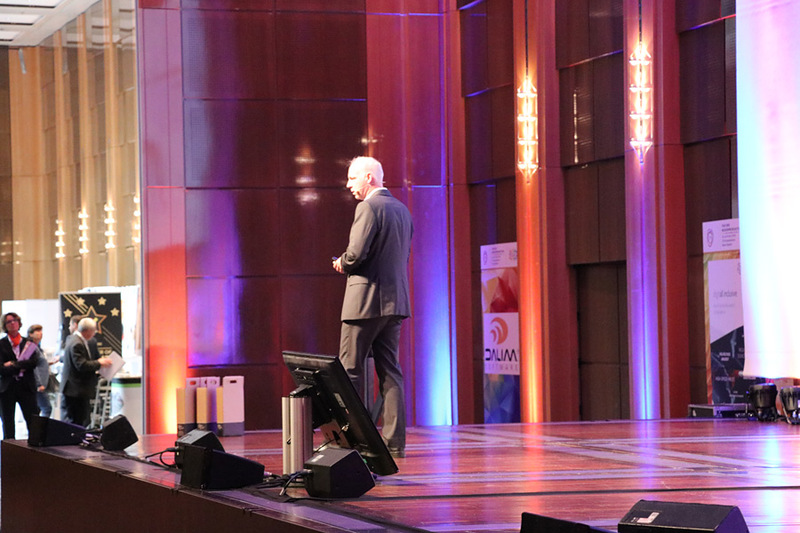 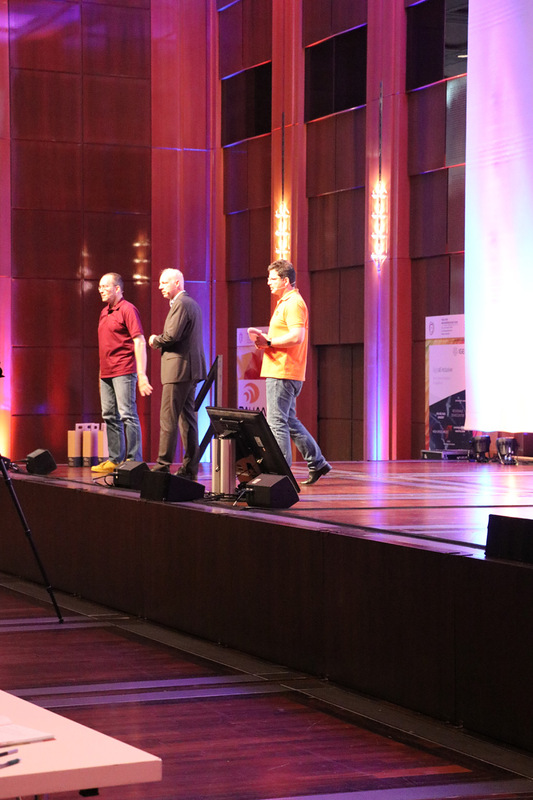 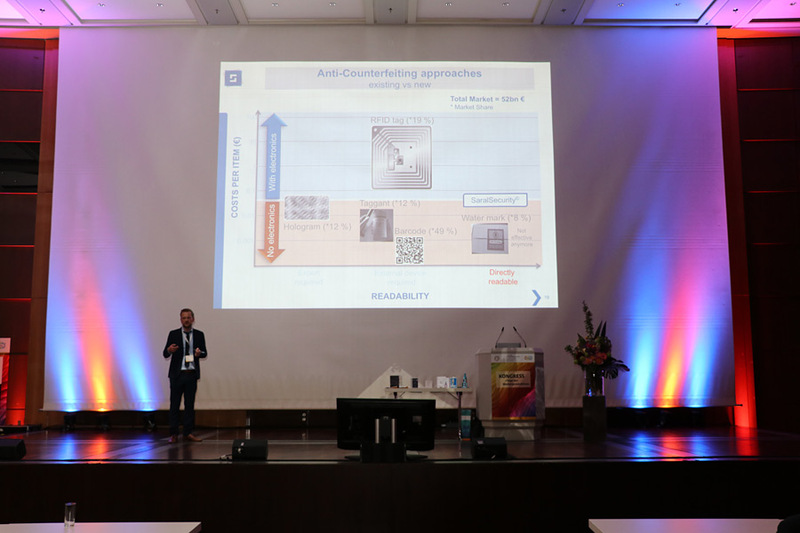 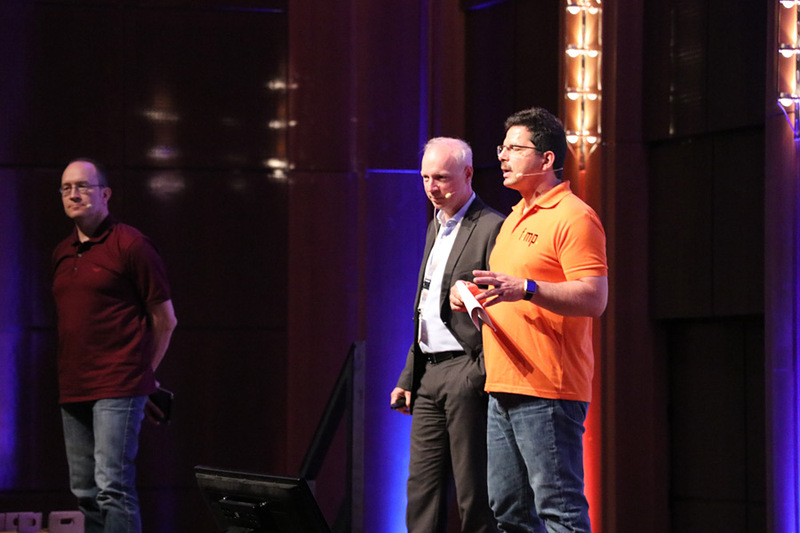 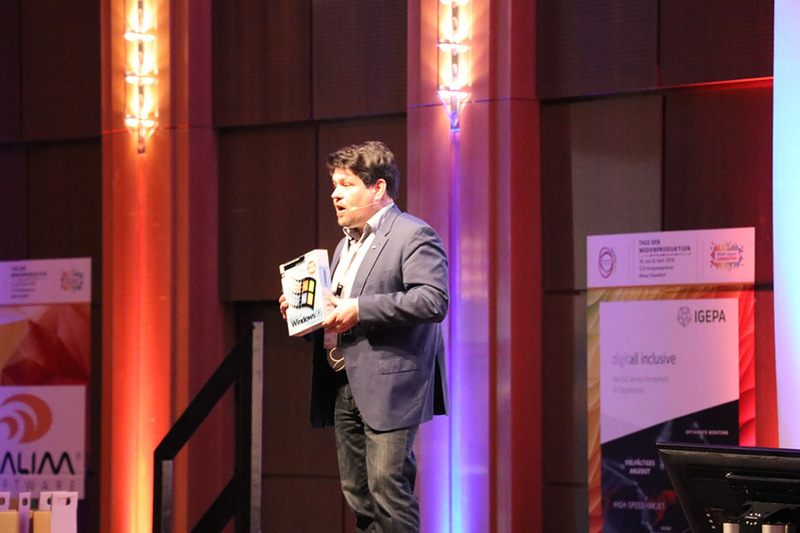 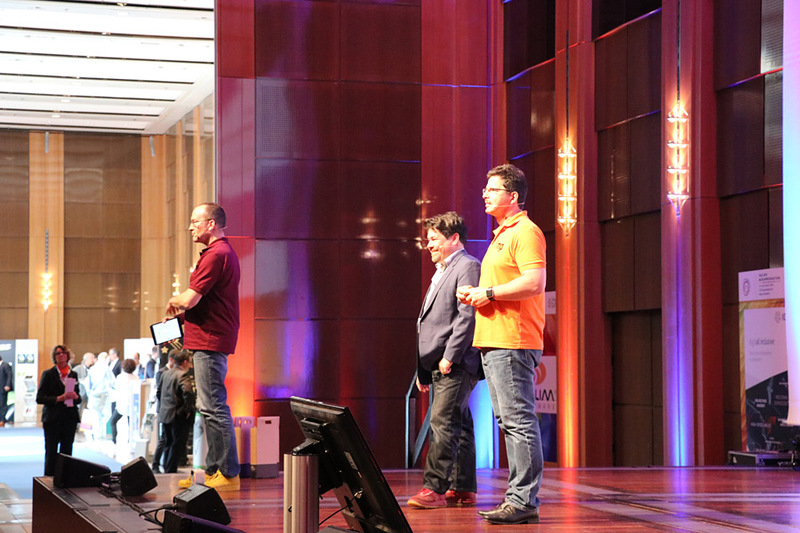 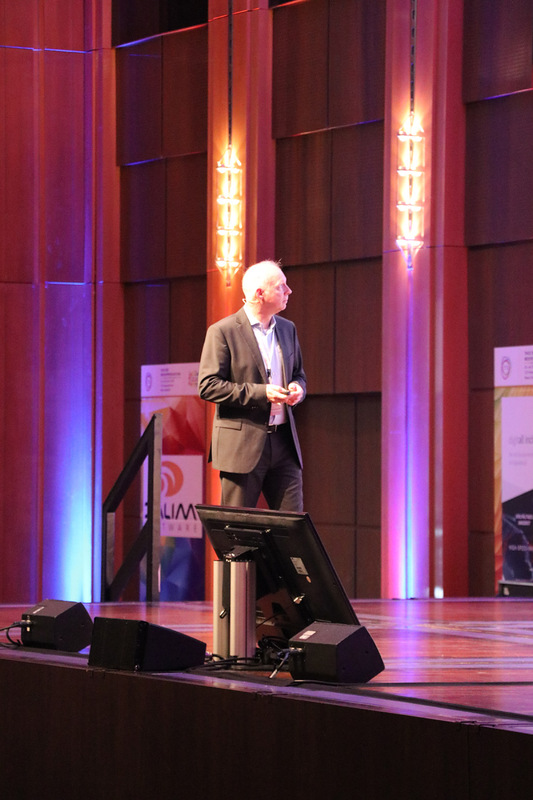 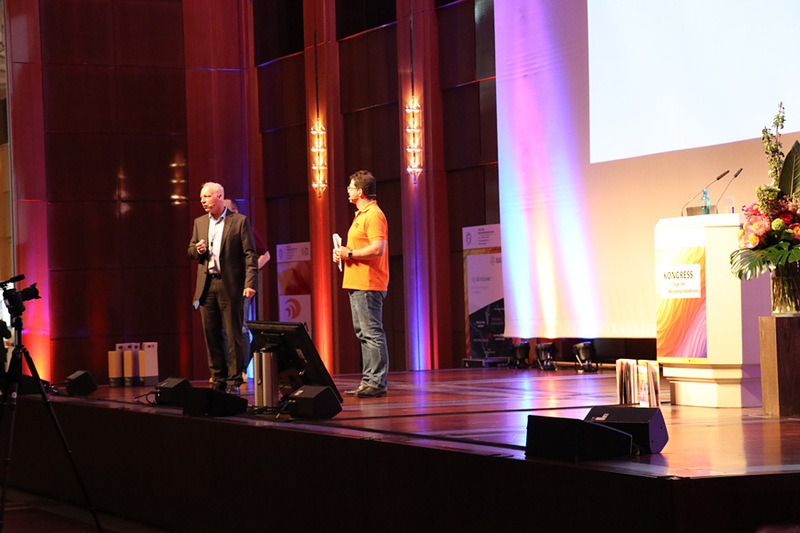 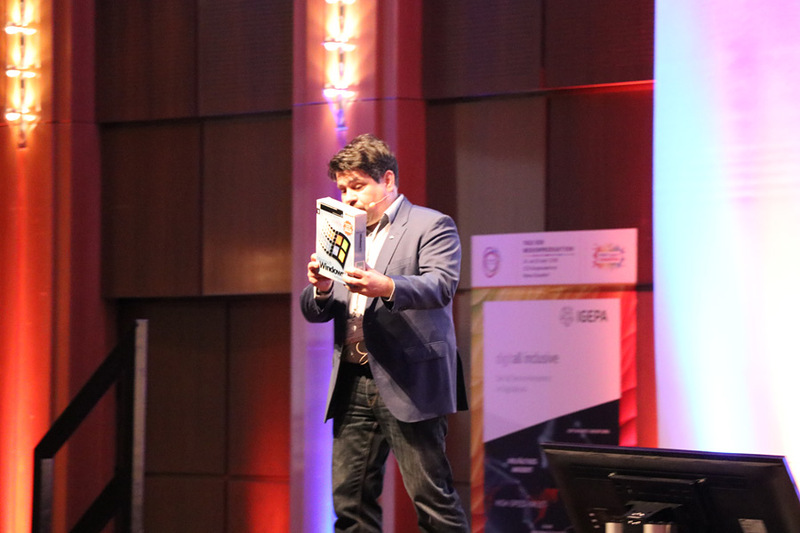 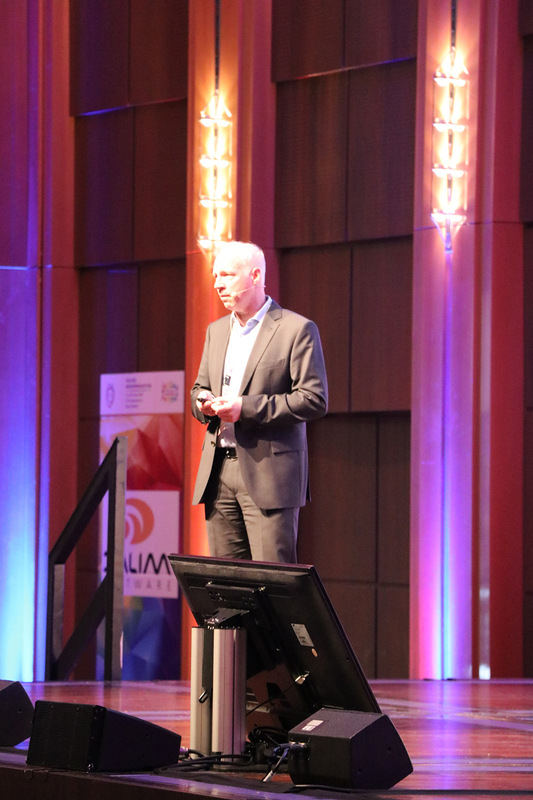 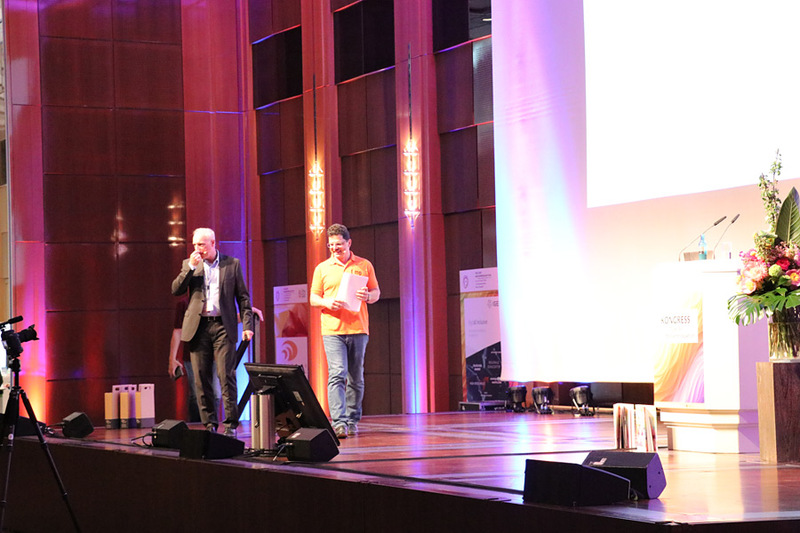 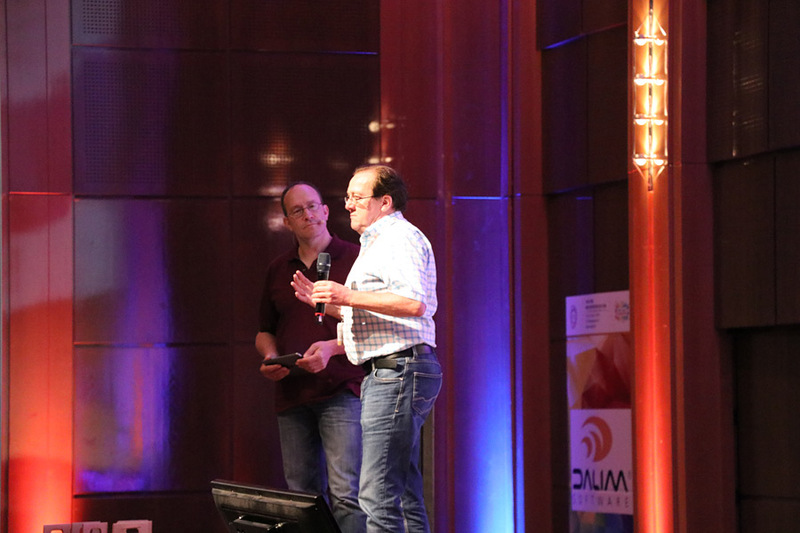 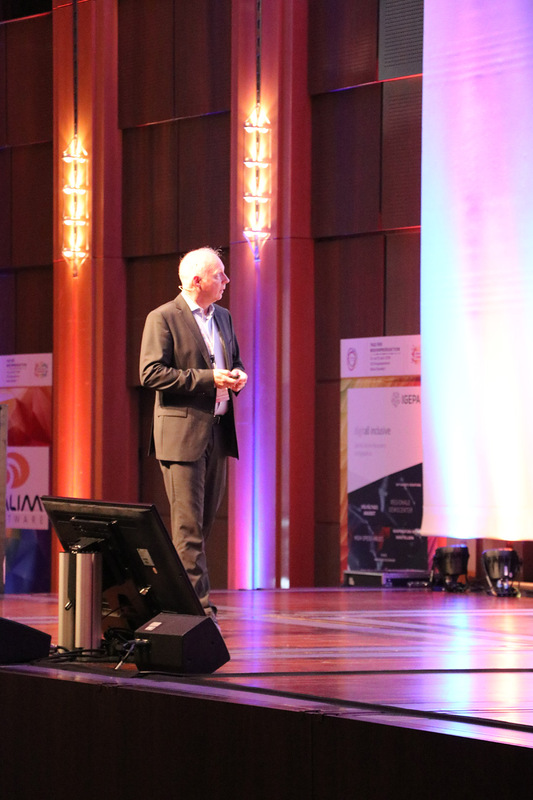 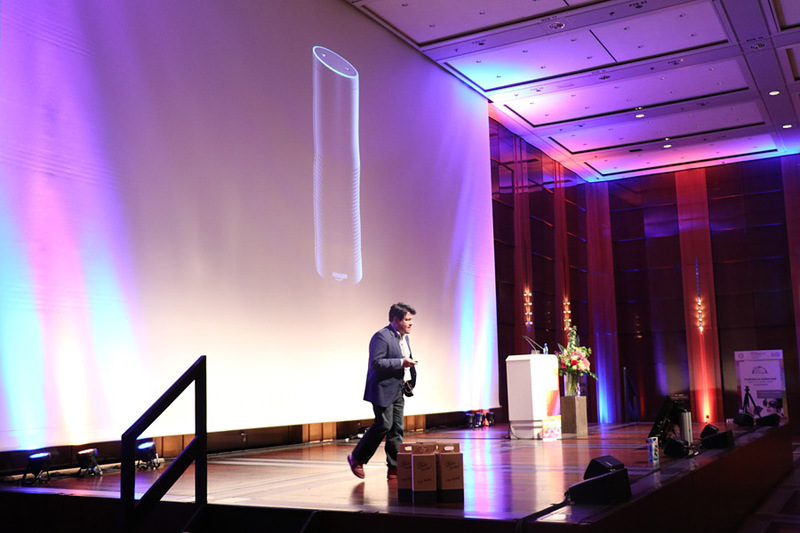 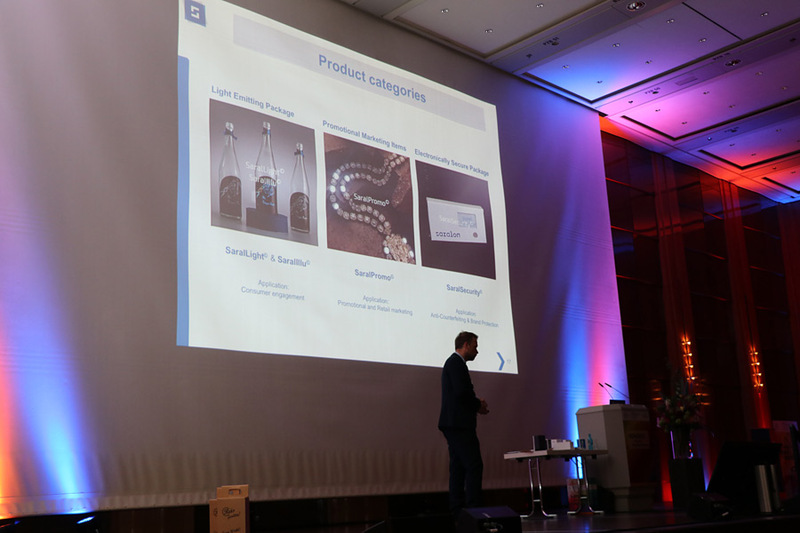 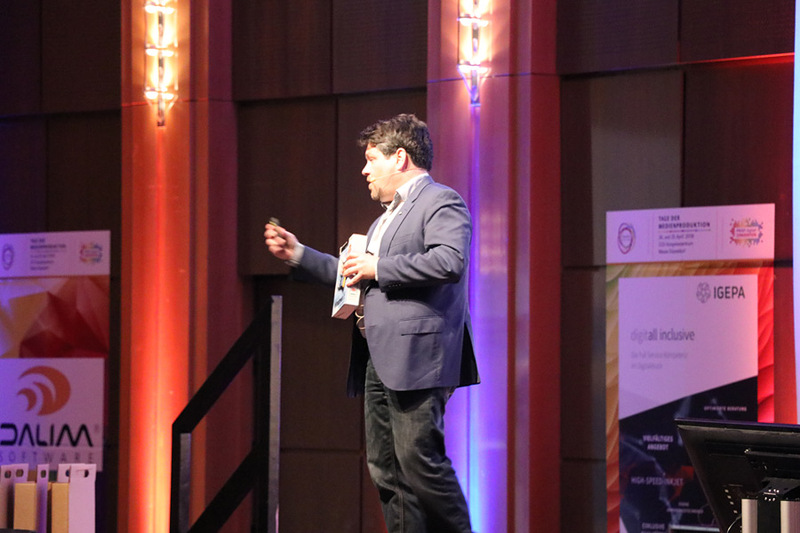 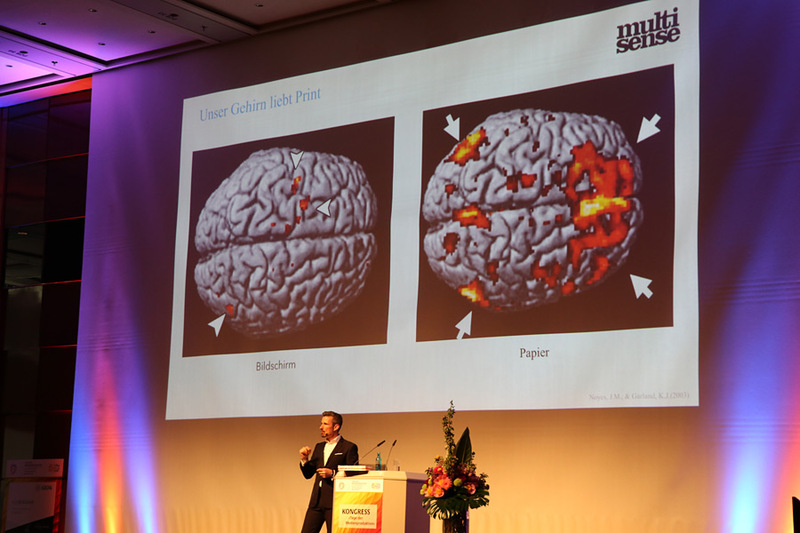 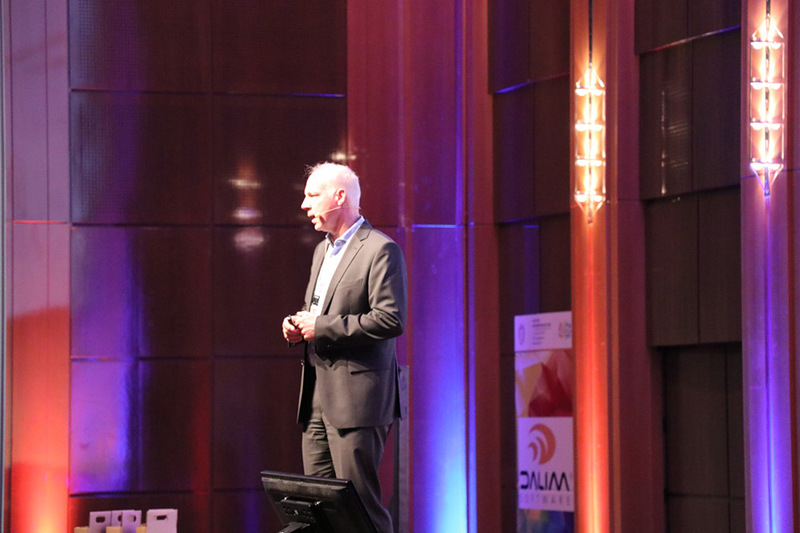 The second day featured seven conference lectures that shed light on promising technologies and developments. 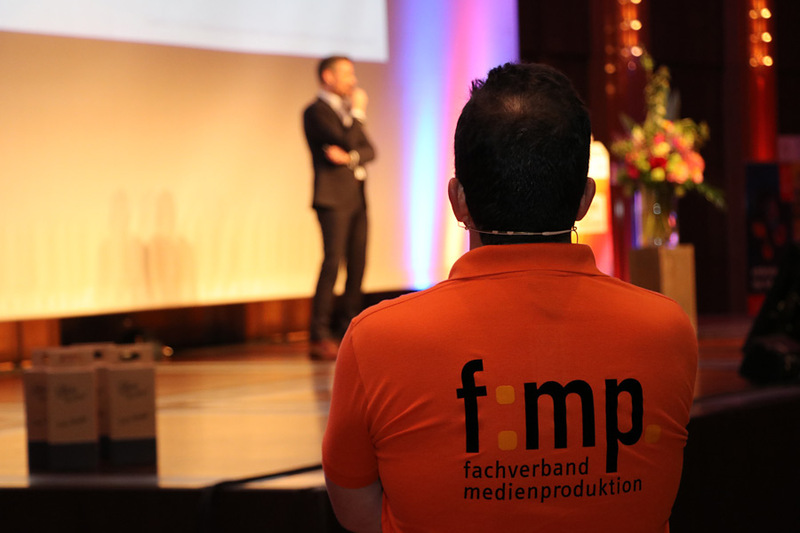 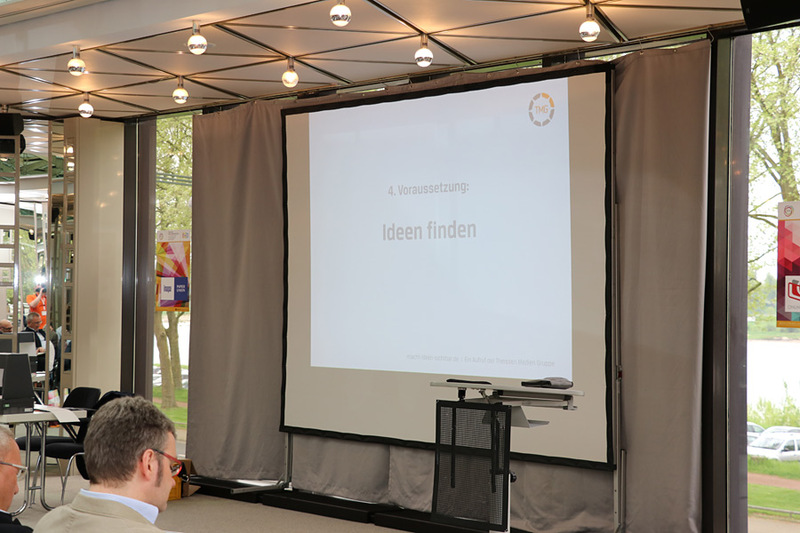 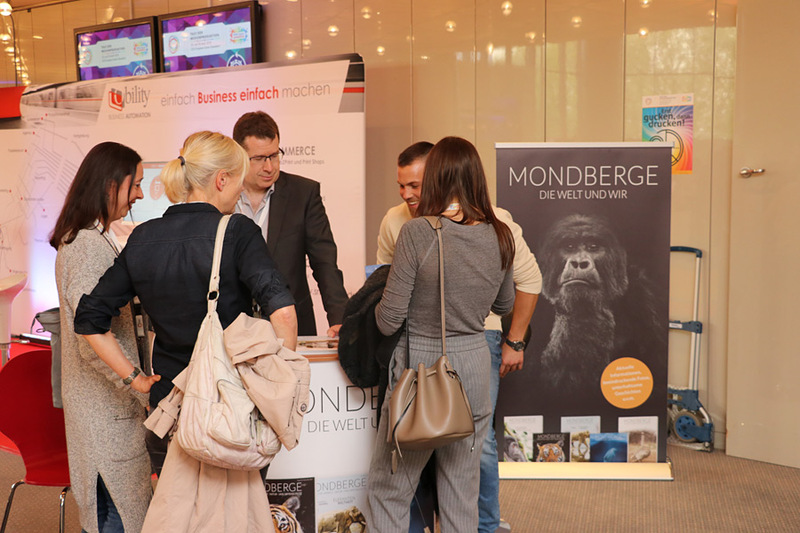 Based on the experiences and feedback of the previous event, the Fachverband Medienproduktion (f:mp.) 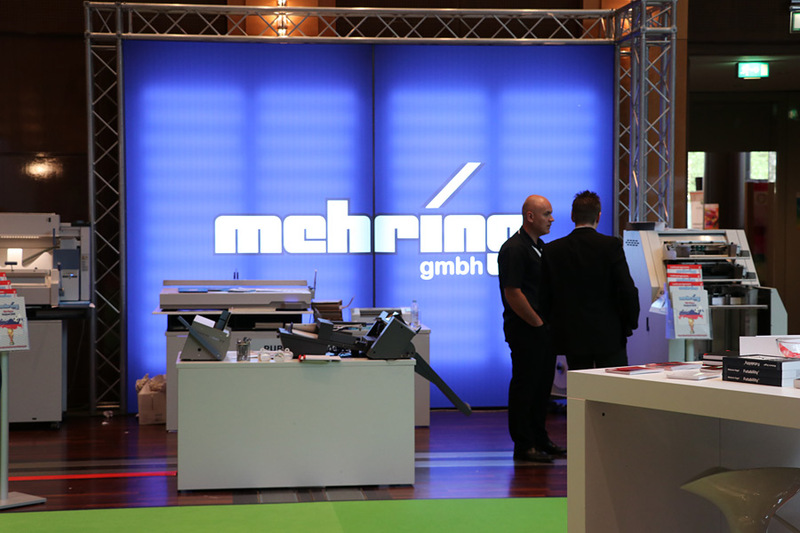 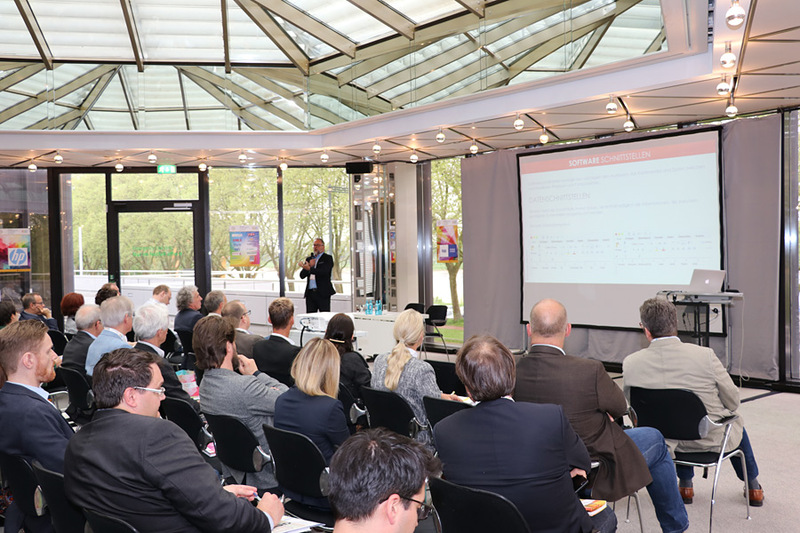 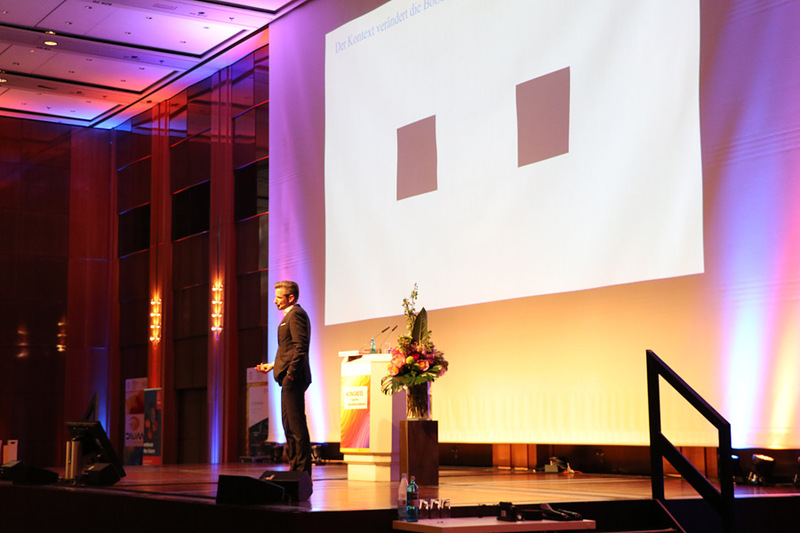 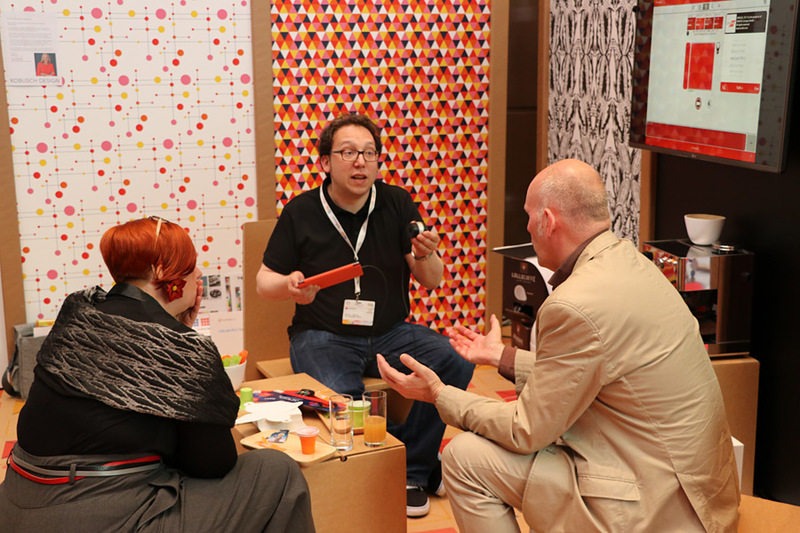 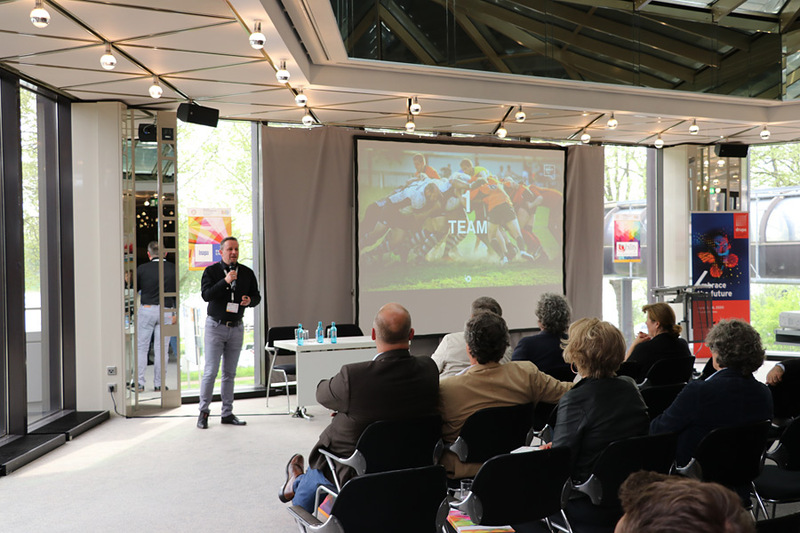 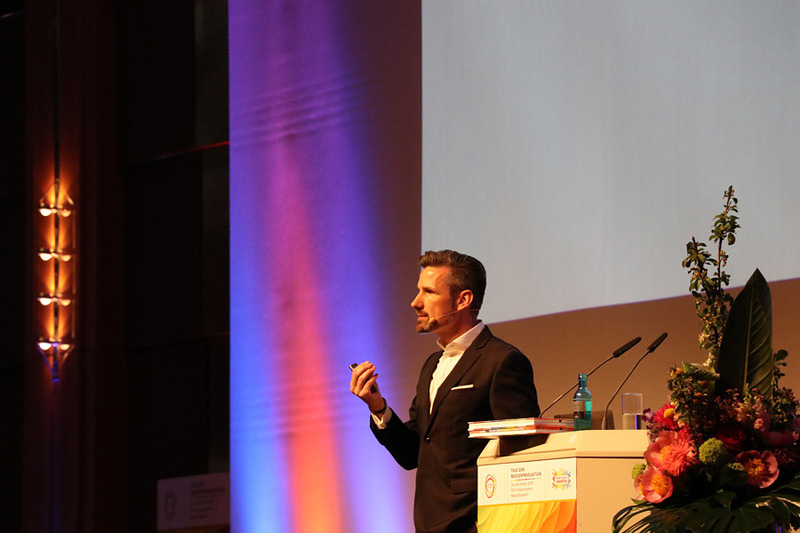 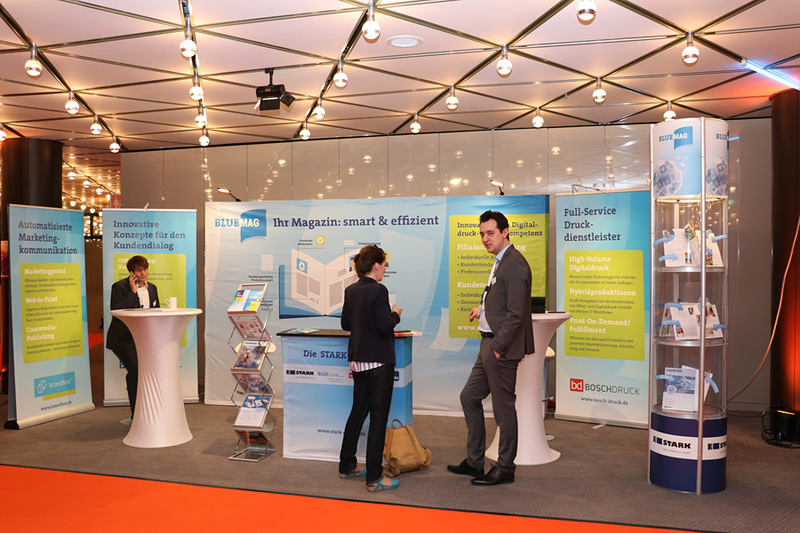 together with Messe Düsseldorf succeeded in refining and optimising the concept even further. 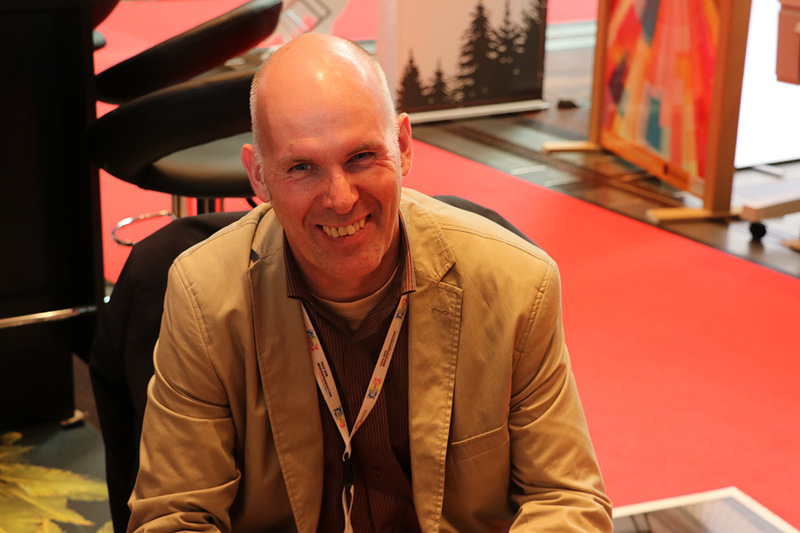 “The atmosphere was wonderful and there was something for visitors to see and discover everywhere. 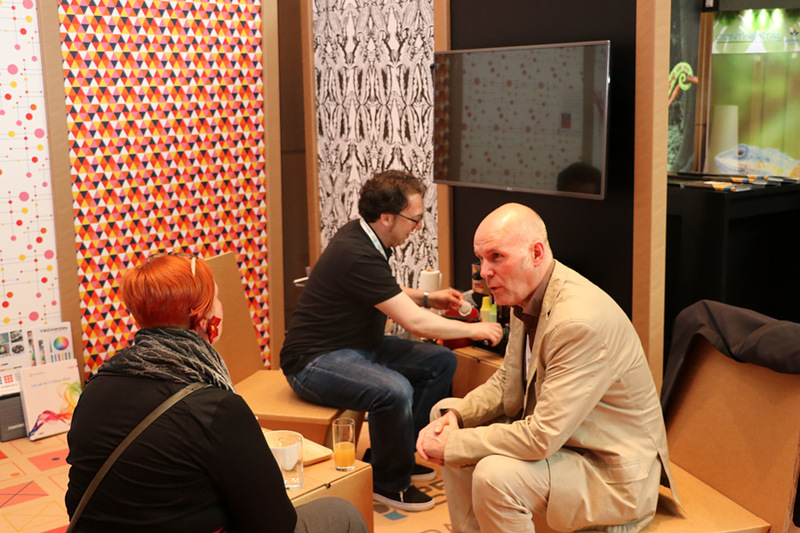 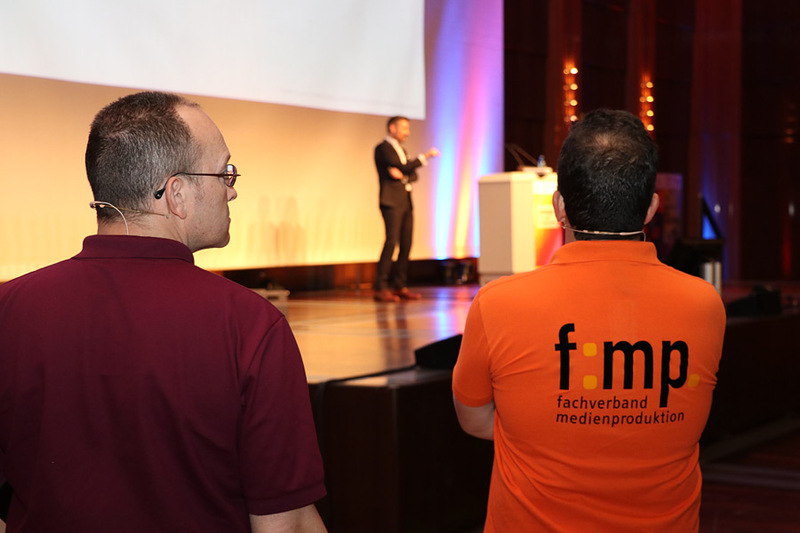 This year, the exhibition space was located centrally between the workshop rooms and the lectures were clocked in such a way that there was always enough time to take a look at something and get advice," Dieter Beller, CEO of f:mp., sums up the many discussions he had during the days of media production. 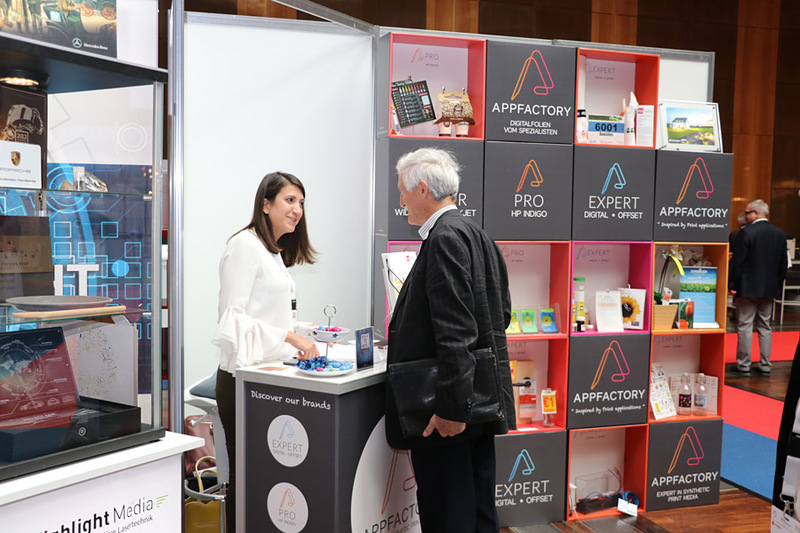 To his delight, the feedback on the event was overwhelmingly positive – from the visitors as well as from the exhibitors. 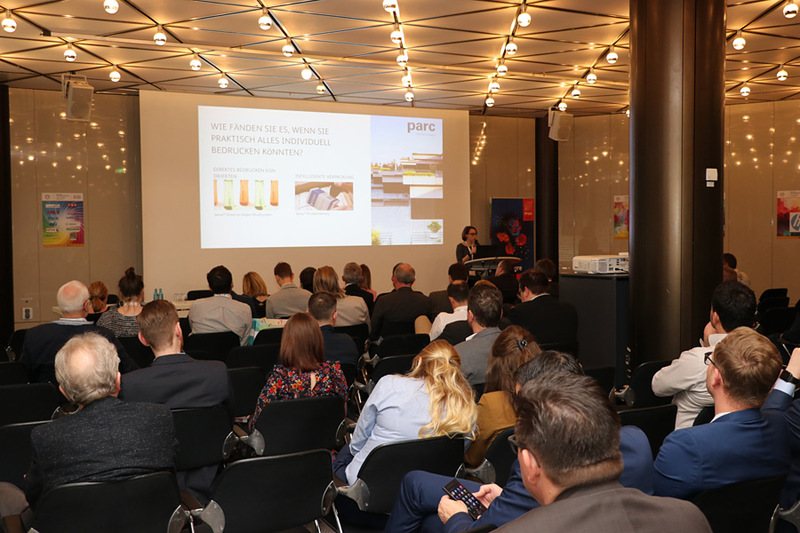 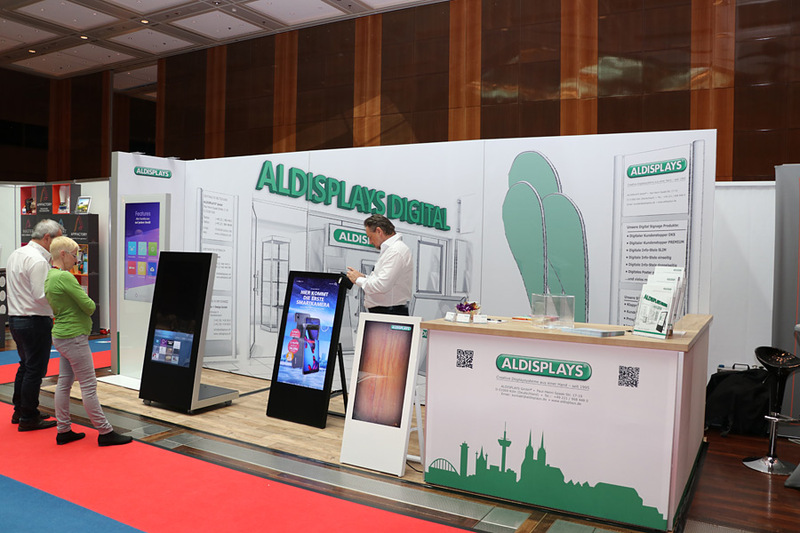 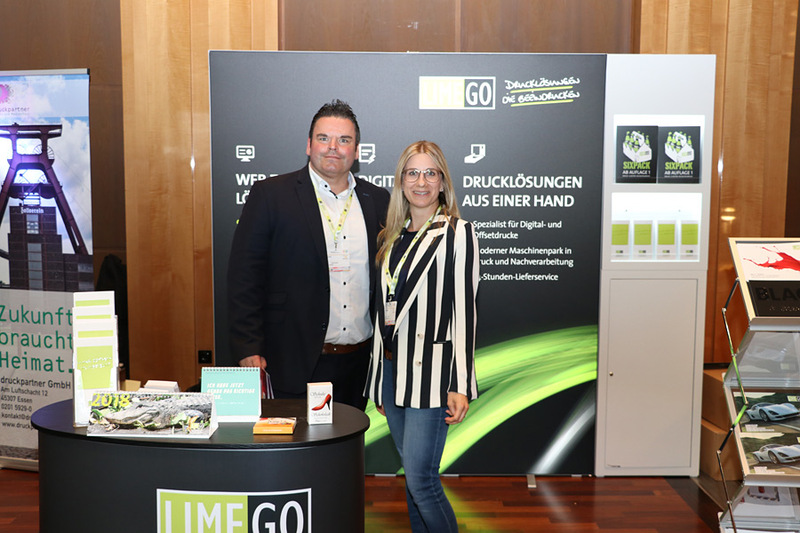 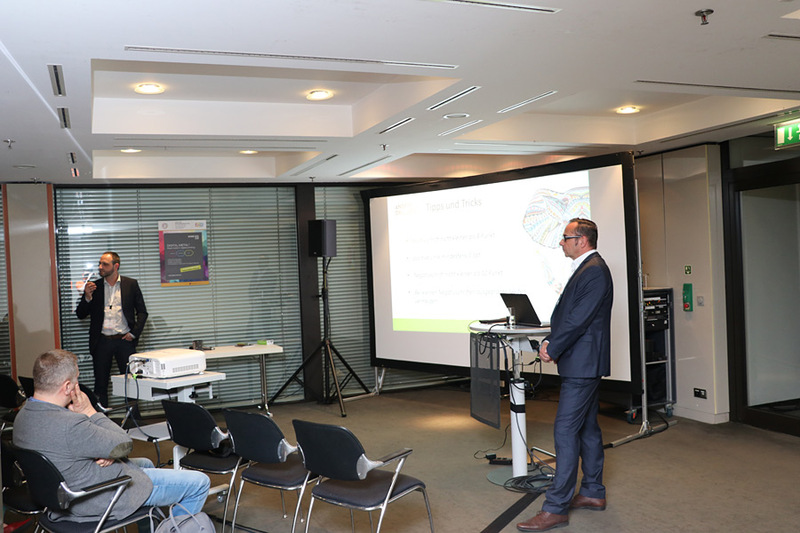 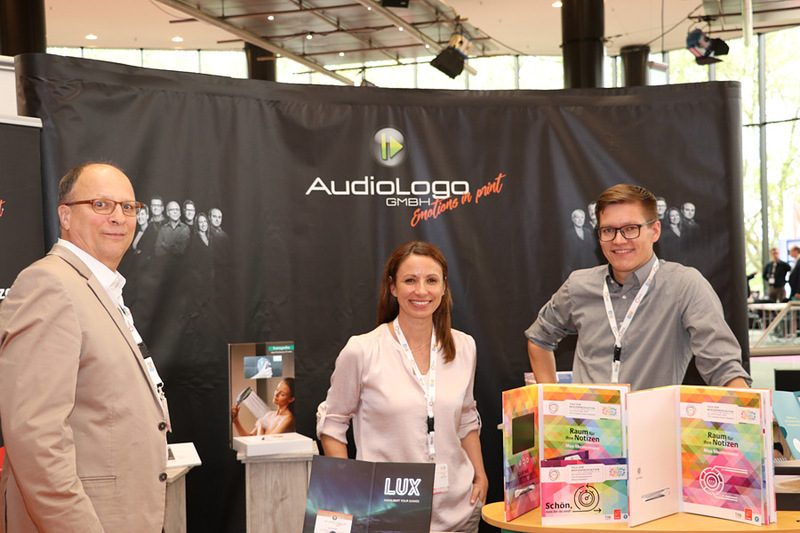 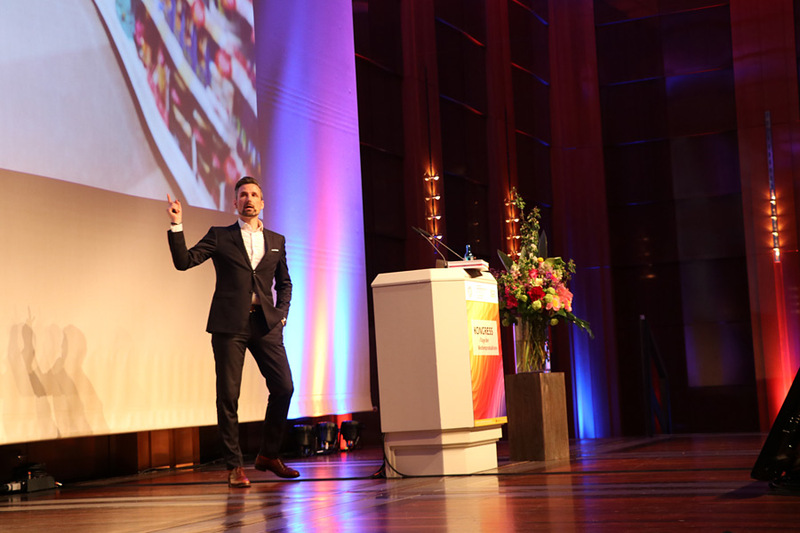 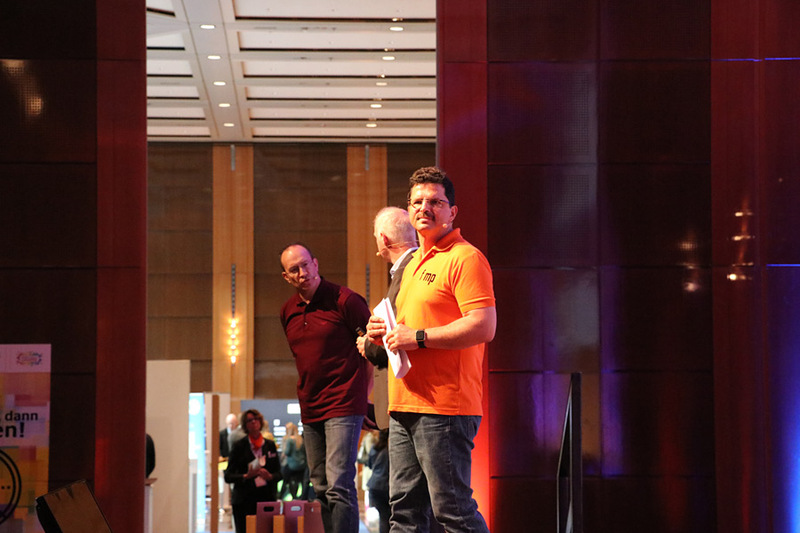 "With this event, we wanted to put quality above quantity, and I believe we succeeded in doing so again this time together with Messe Düsseldorf". 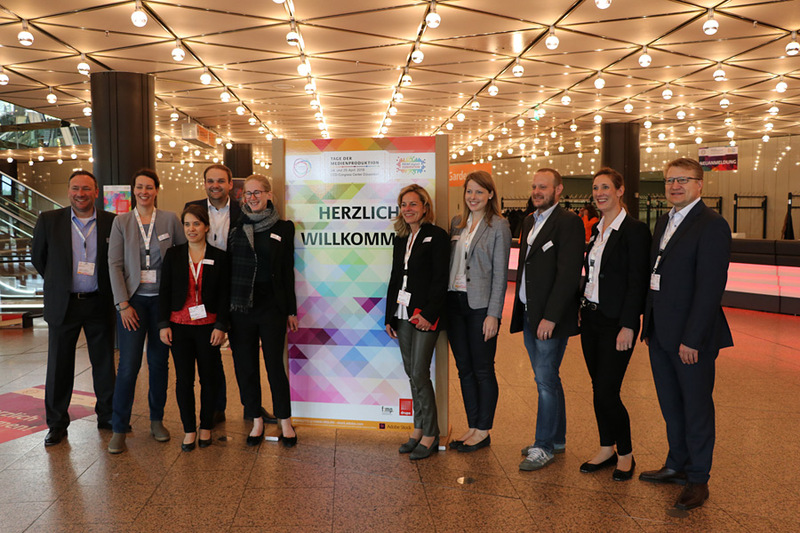 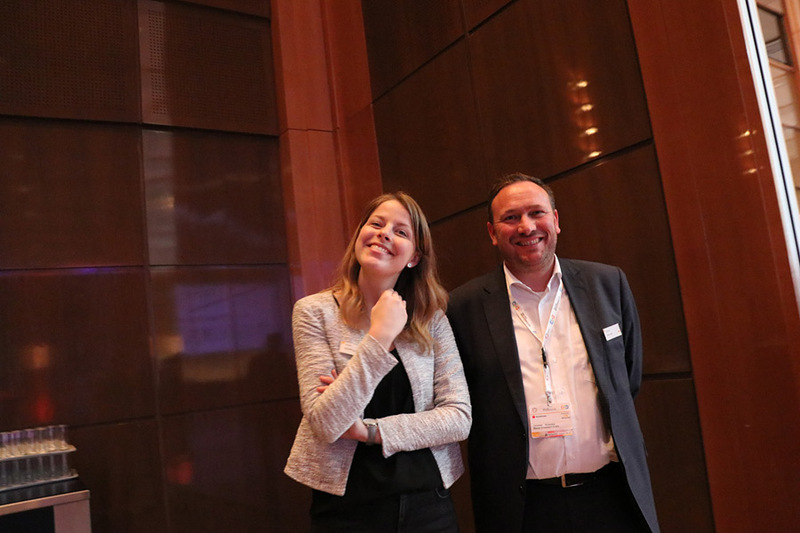 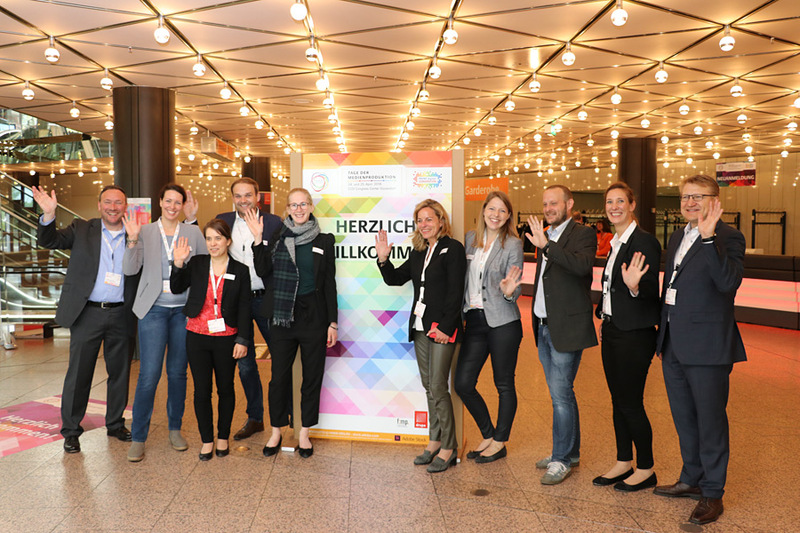 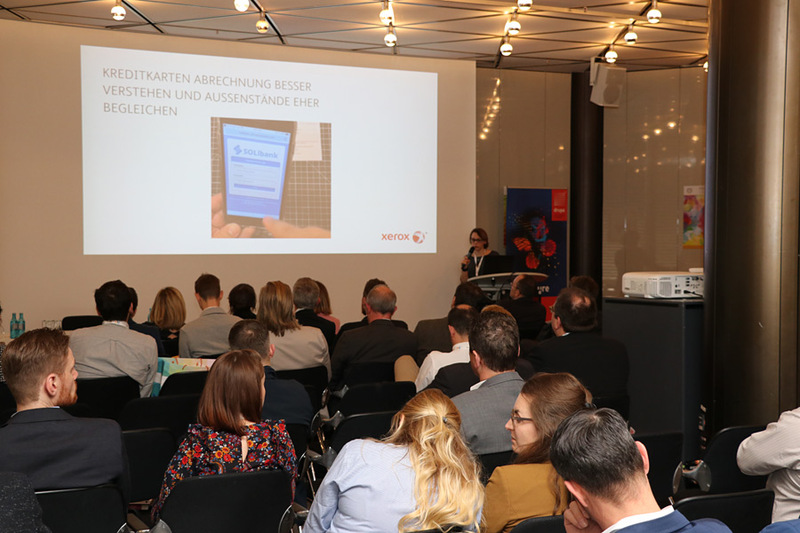 Sabine Geldermann, Director of drupa Messe Düsseldorf, is also thrilled with the success of the event: "Together with the f:mp., we are proud to set clear signals for the market and strong impulses for the industry in the DACH region. 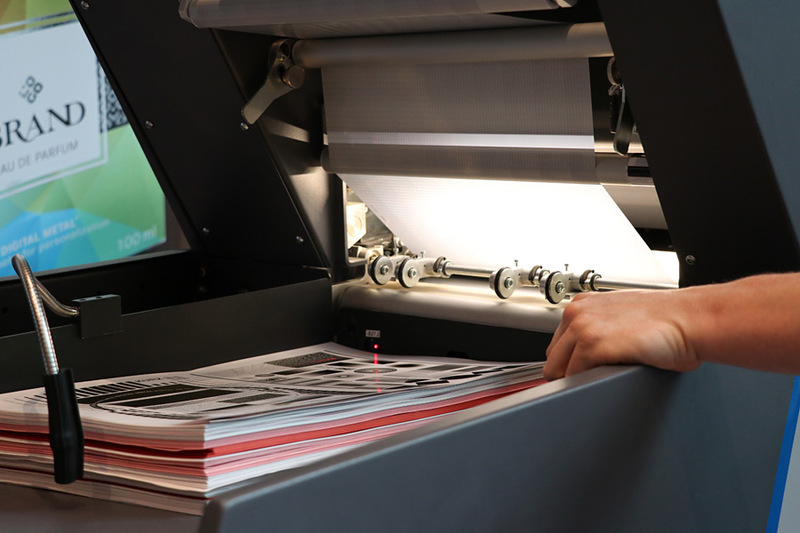 It is remarkable how positively the Days of Media Production and PRINT Digital! 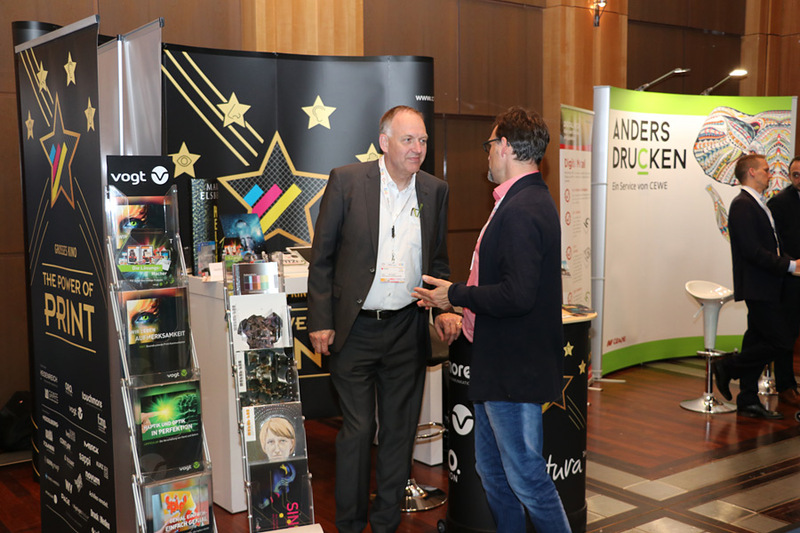 CONVENTION with its market-driven approach has been received by the industry. 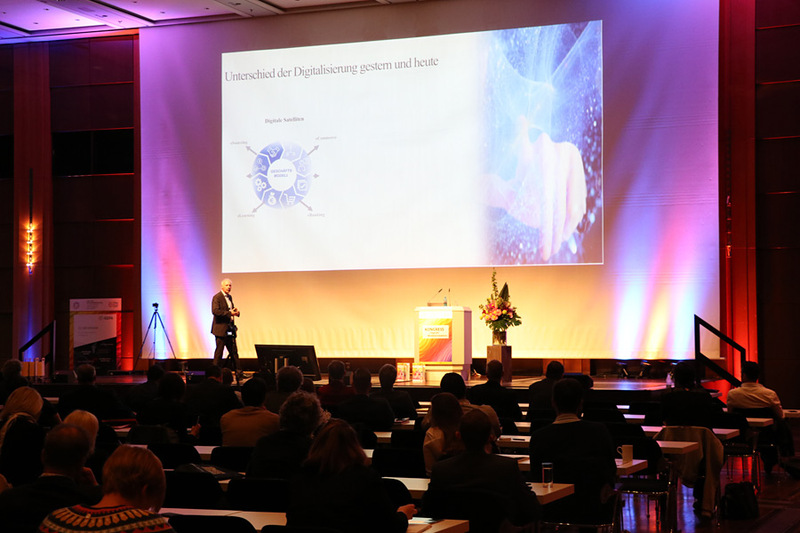 The digital transformation and its immediate impact on processes and related opportunities for future business models were hotly debated. 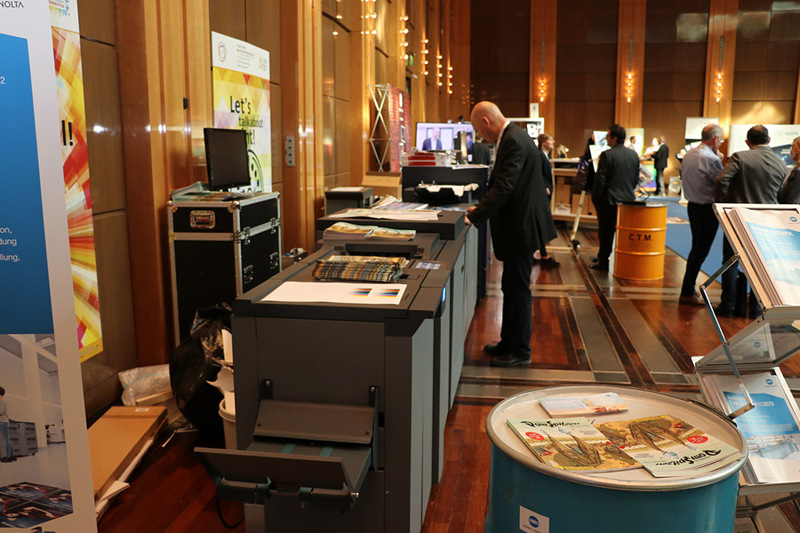 "The third PRINT digital! 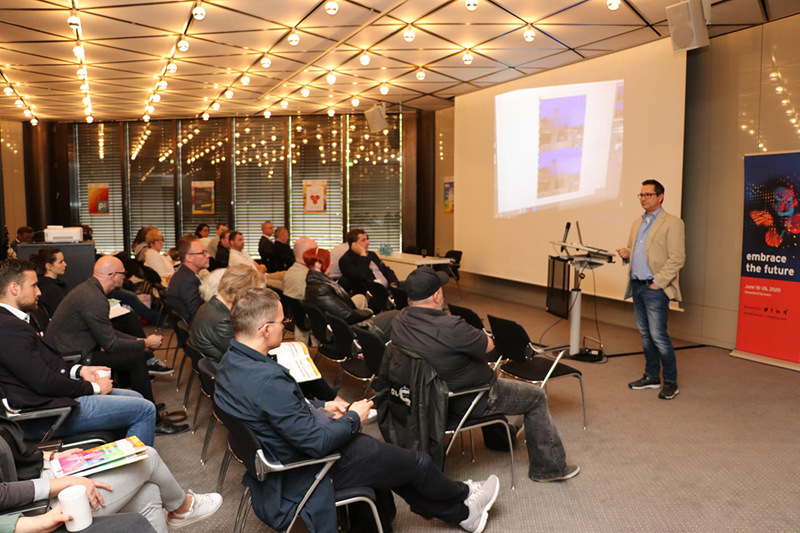 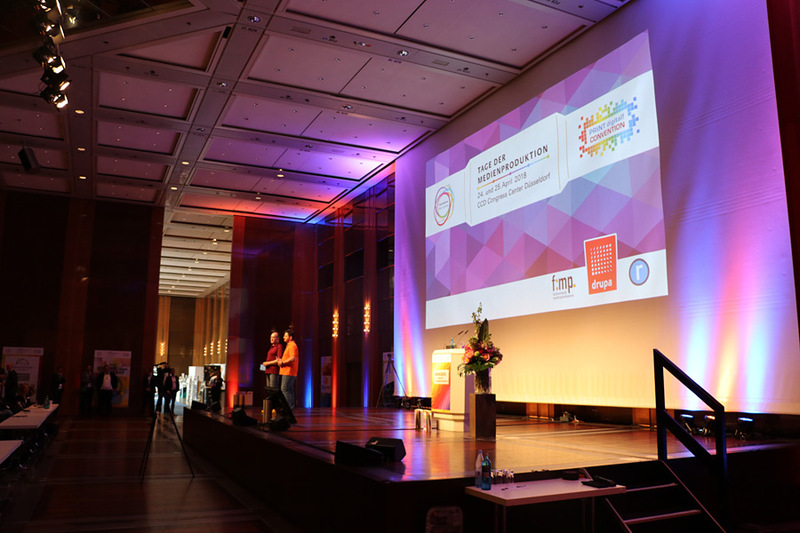 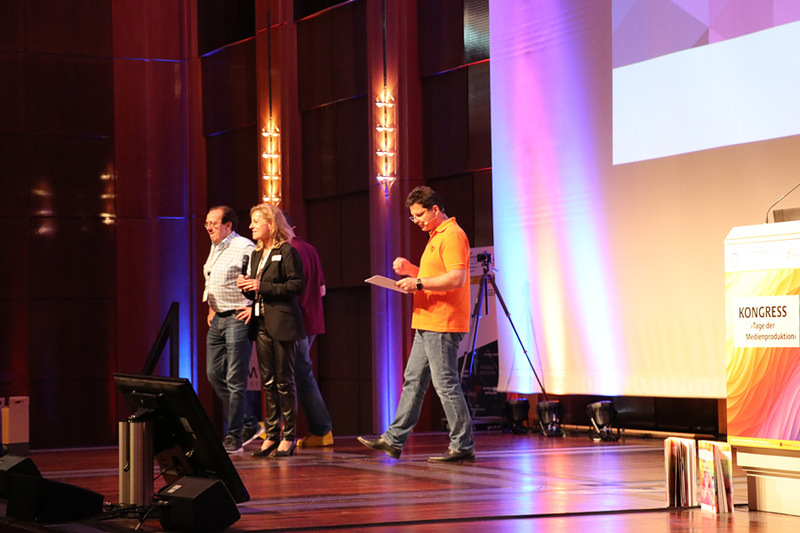 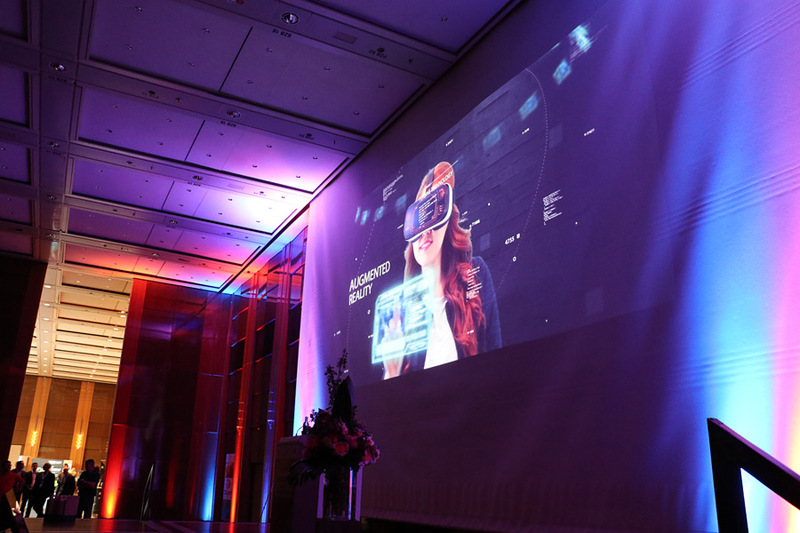 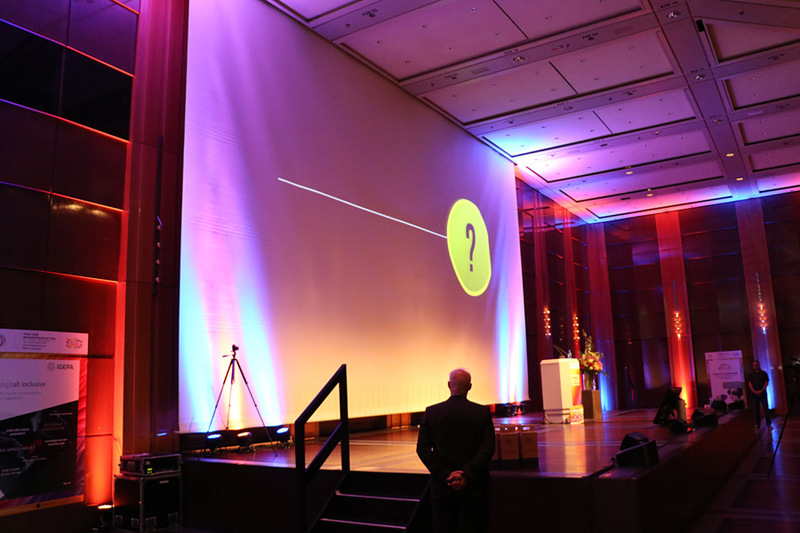 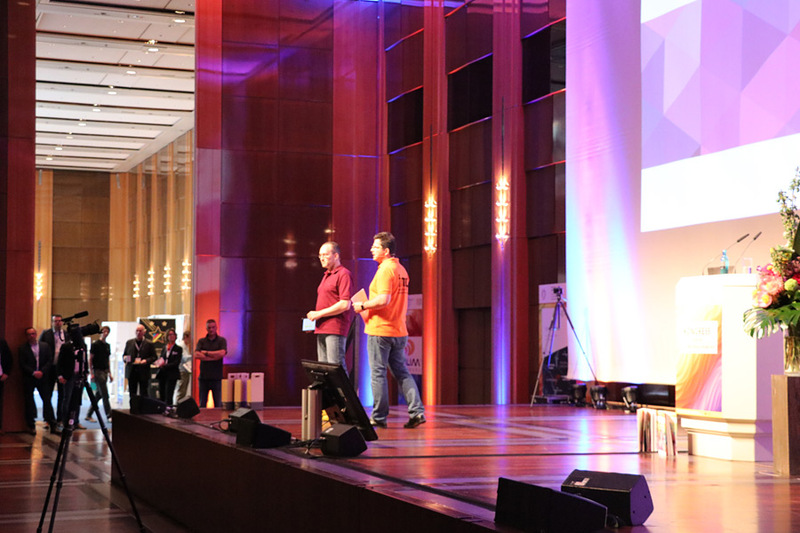 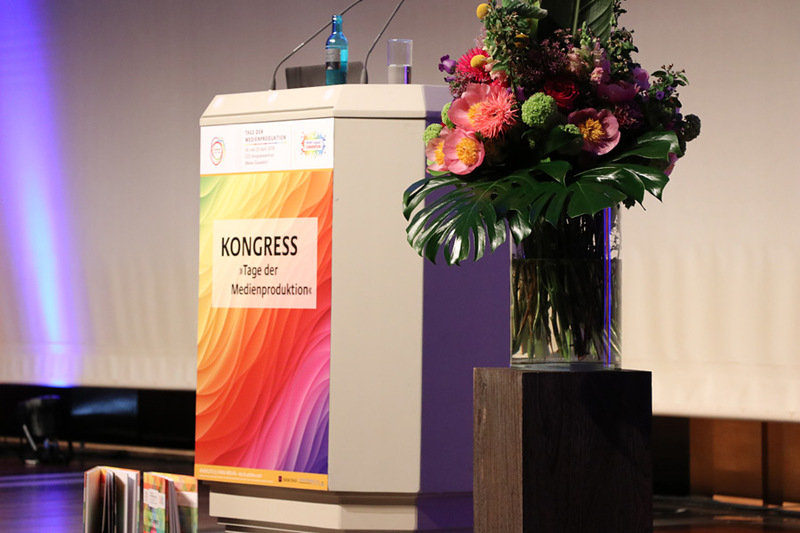 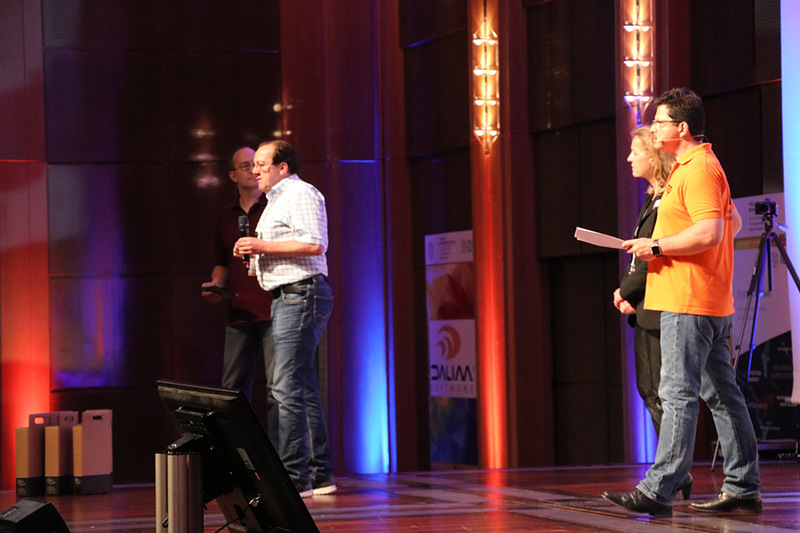 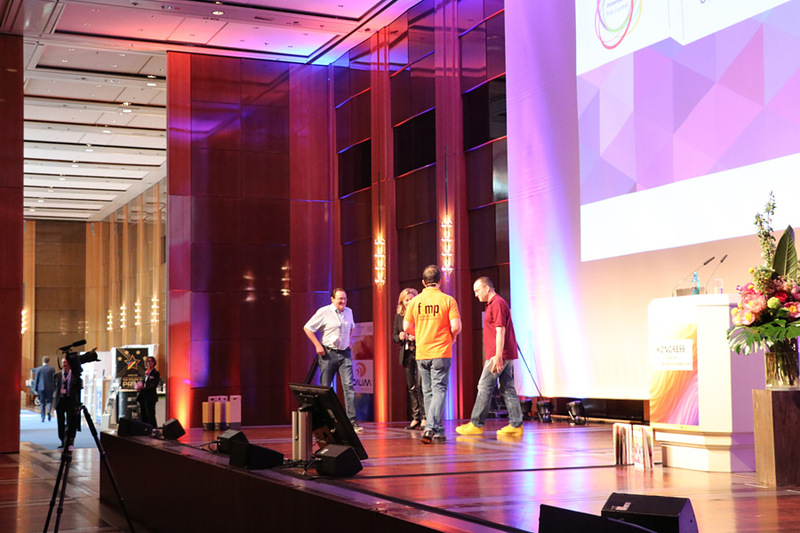 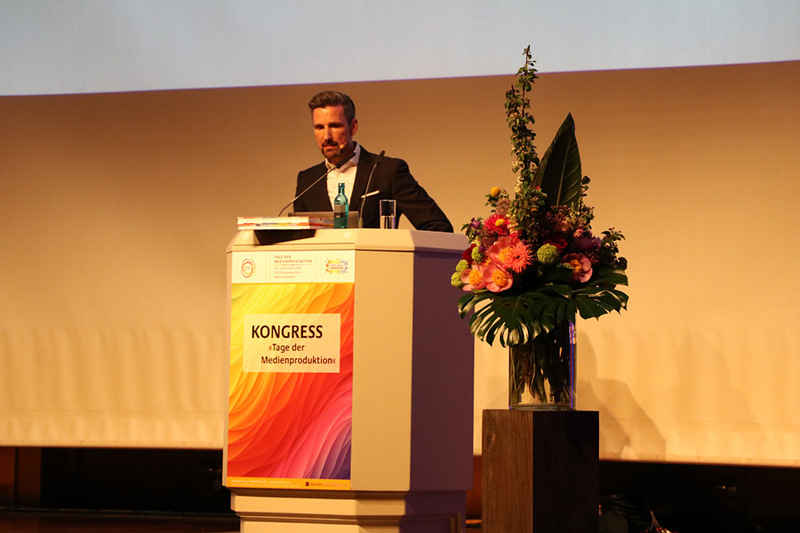 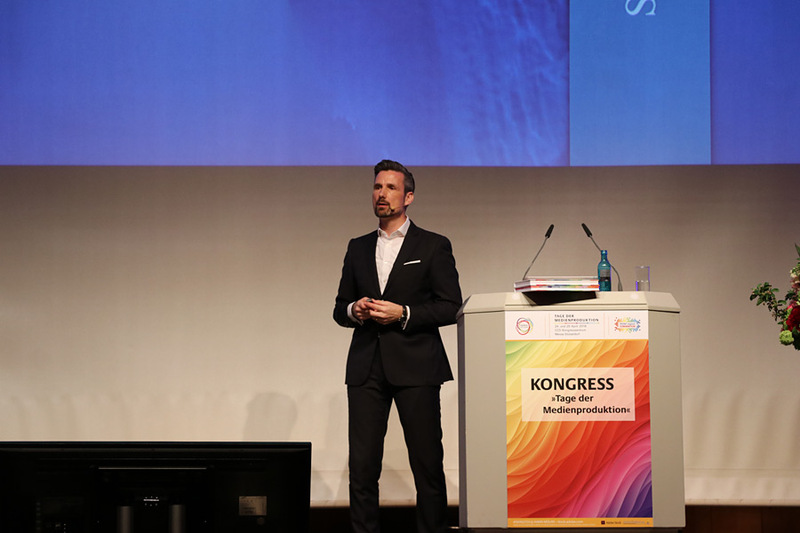 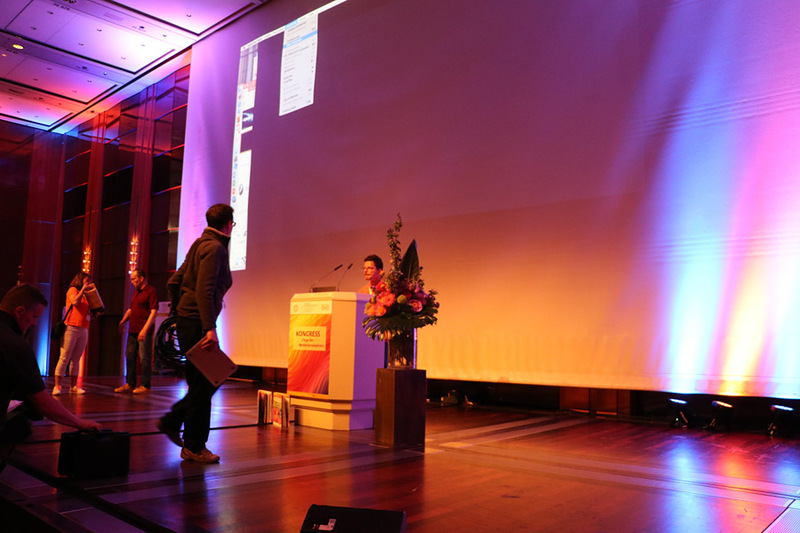 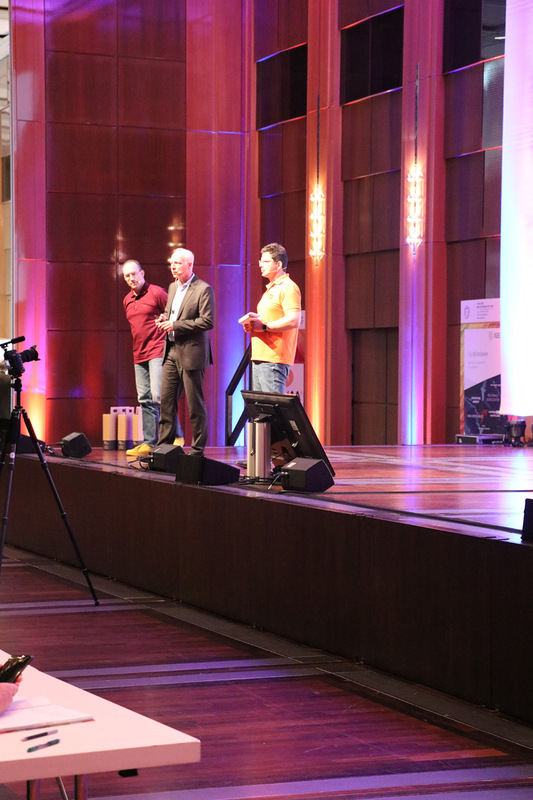 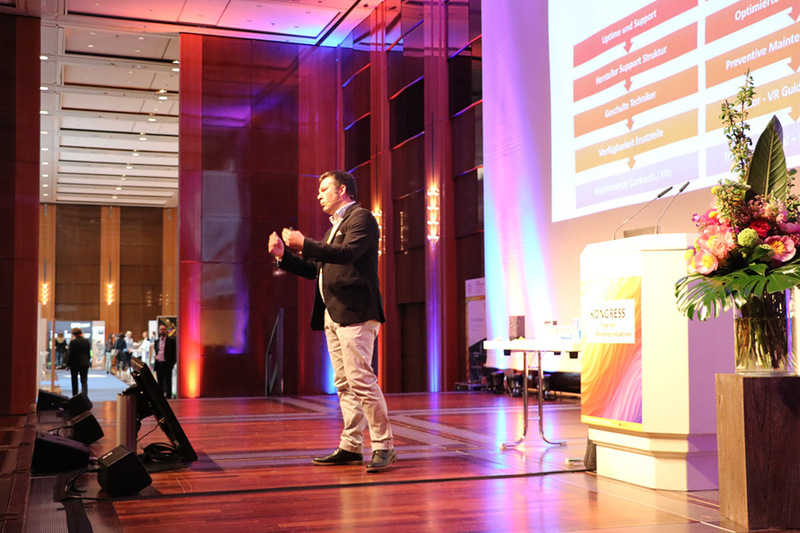 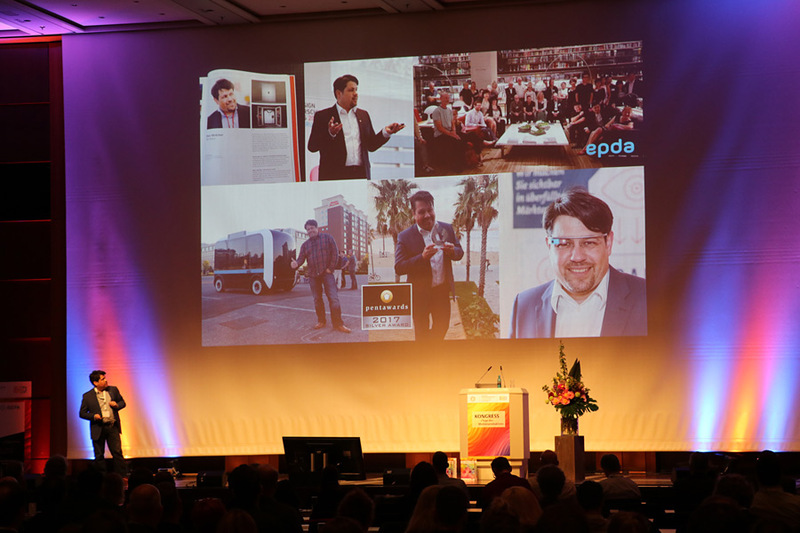 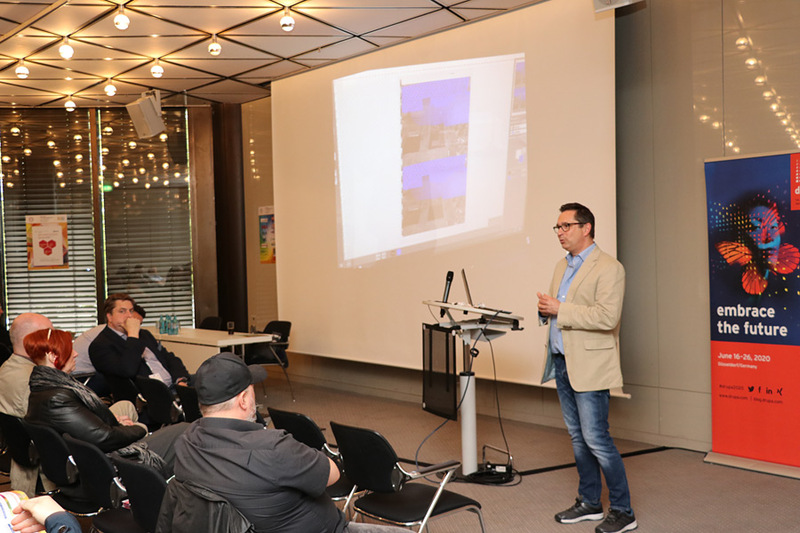 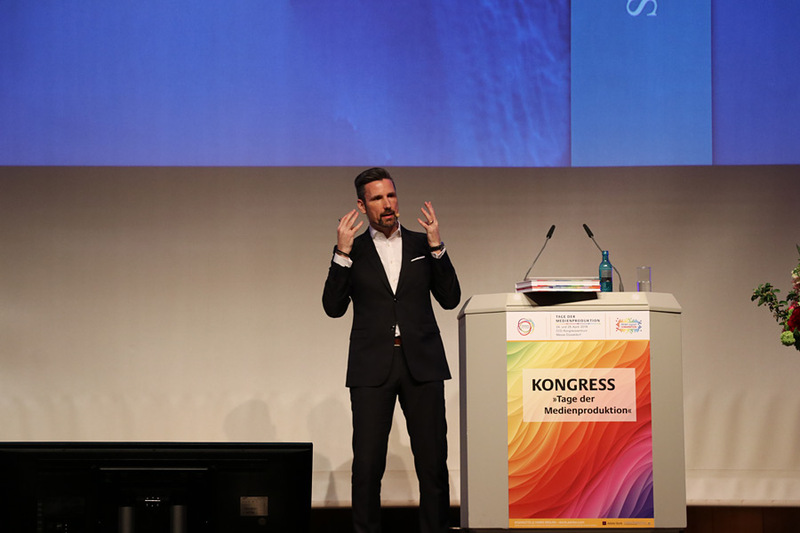 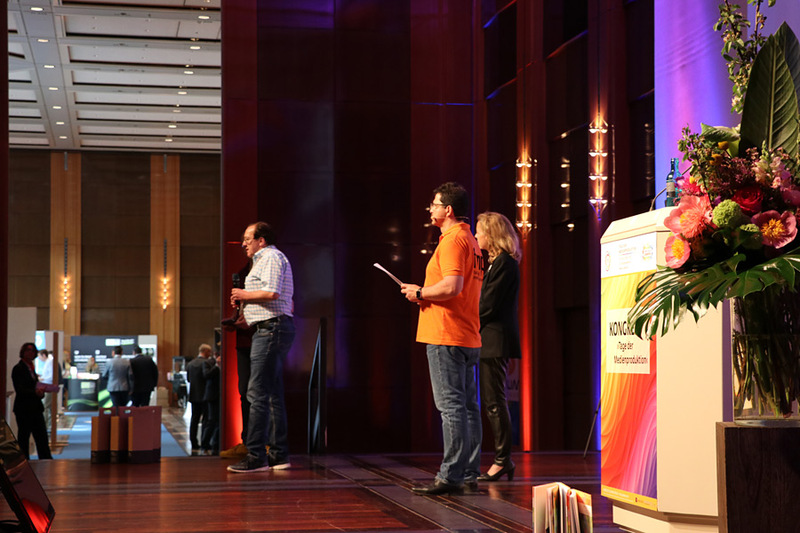 CONVENTION will take place in spring 2019 as part of the Days of Media Production in the city hall of the CCD Congress Centre Düsseldorf Süd. 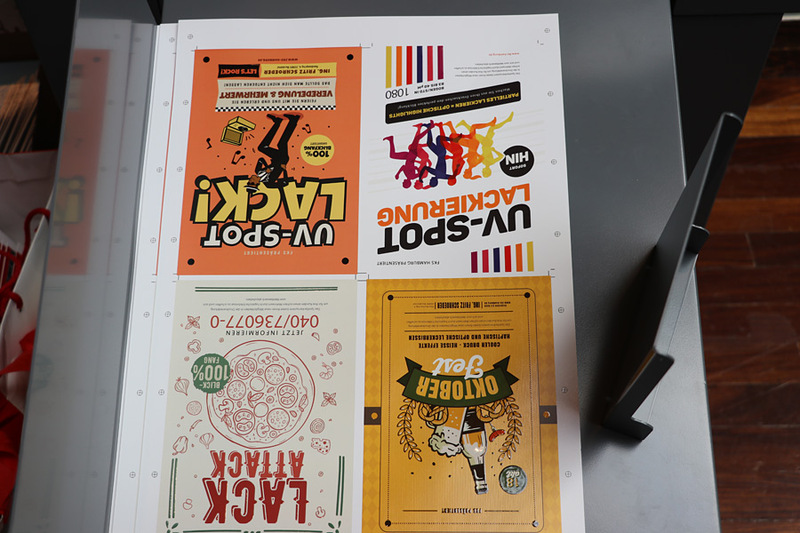 Print has recaptured its place in the communication mix. 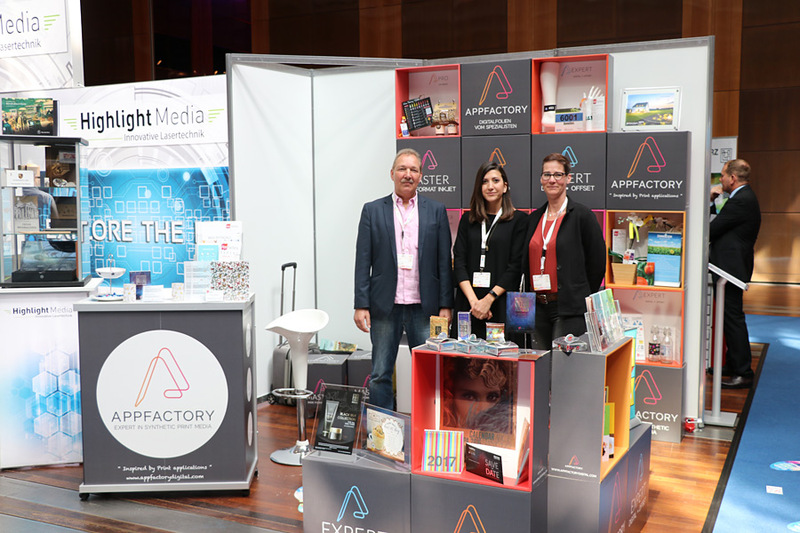 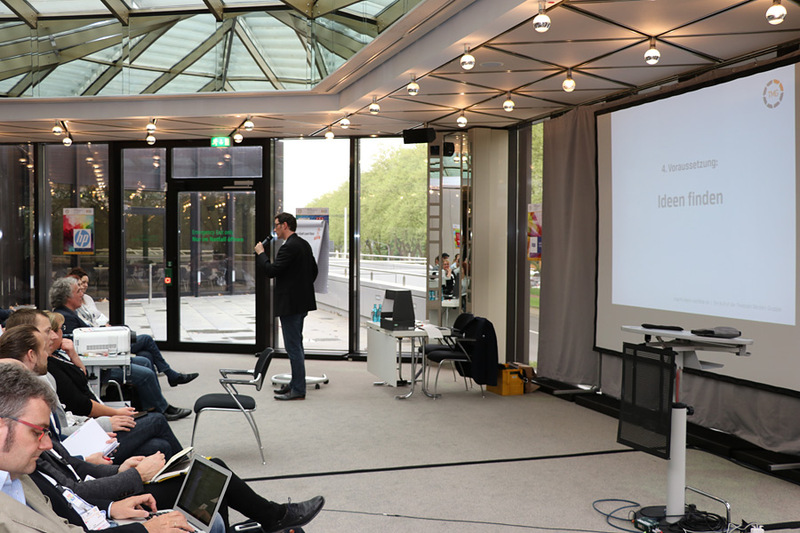 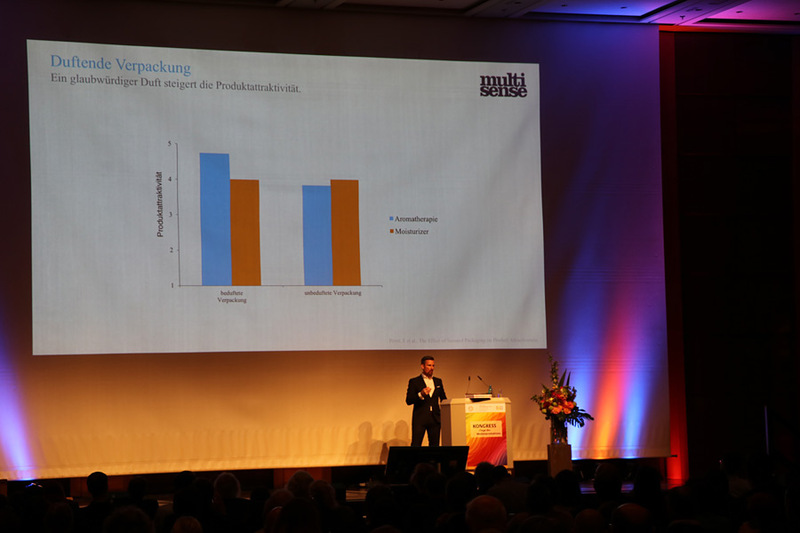 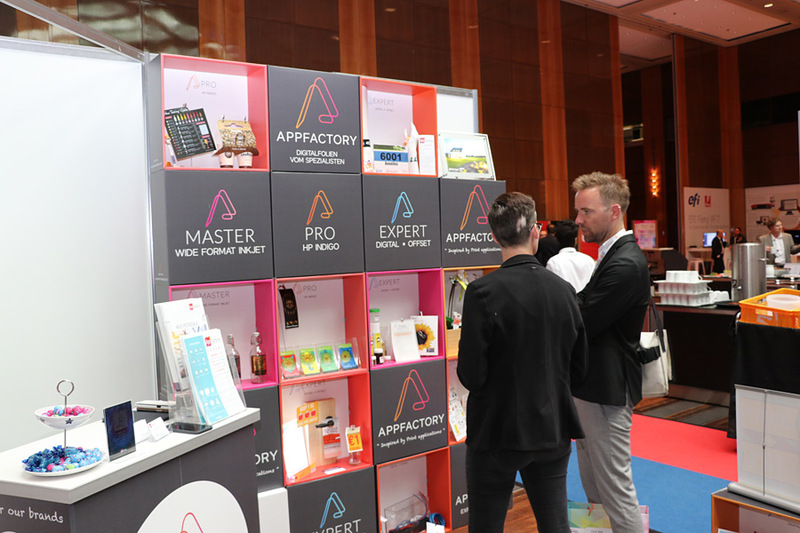 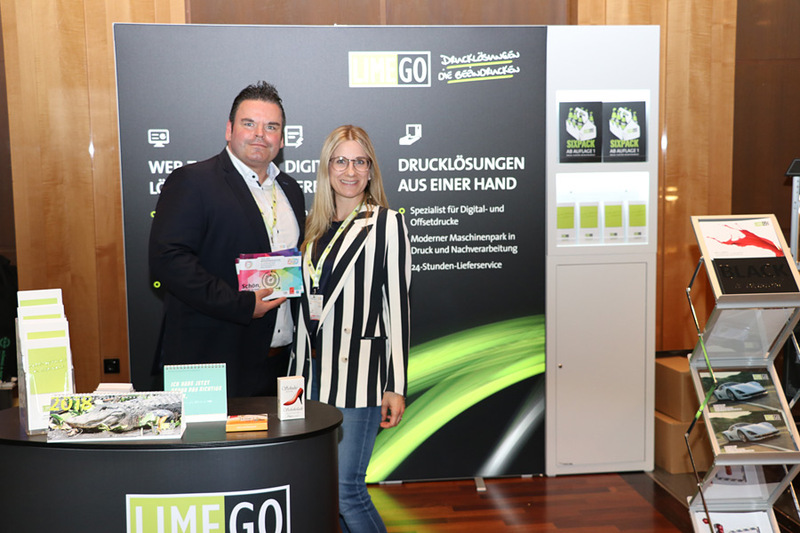 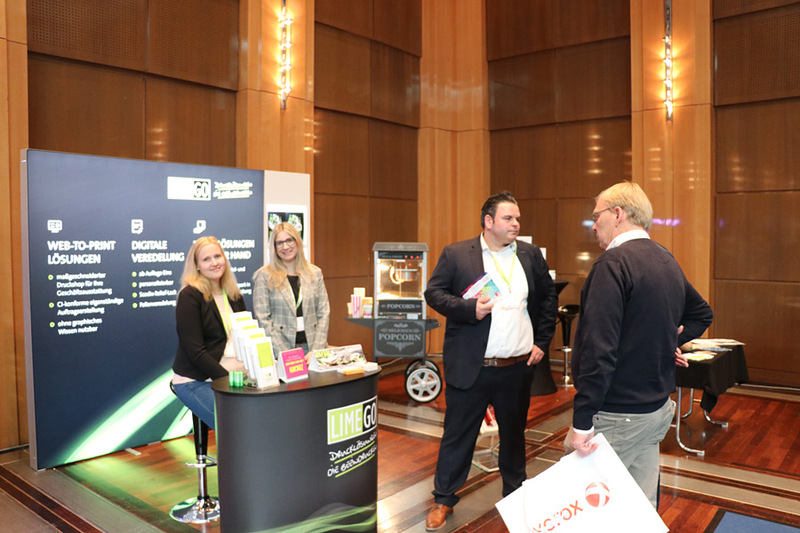 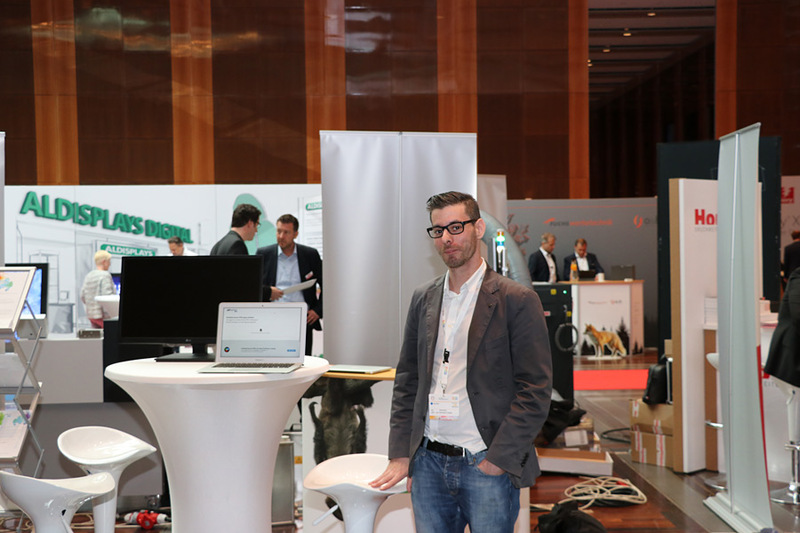 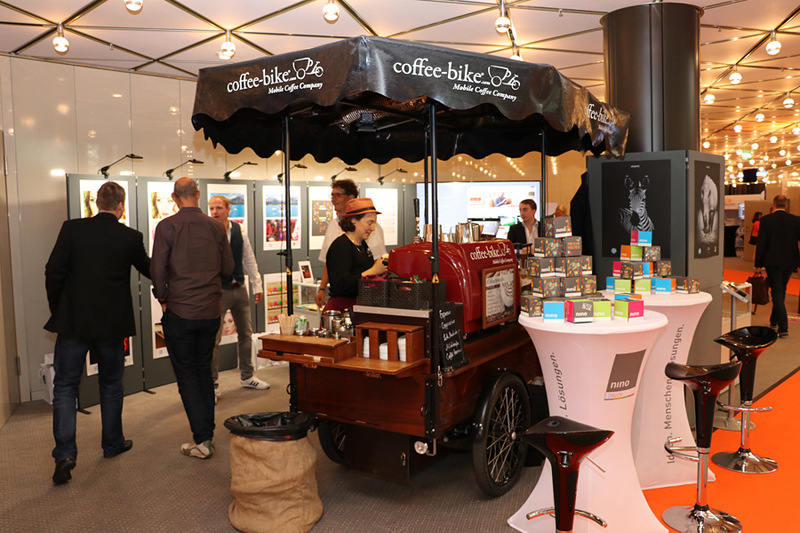 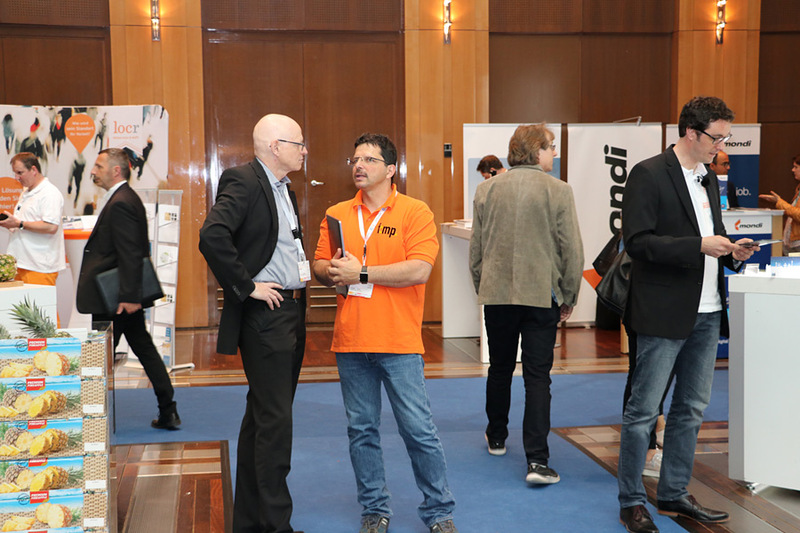 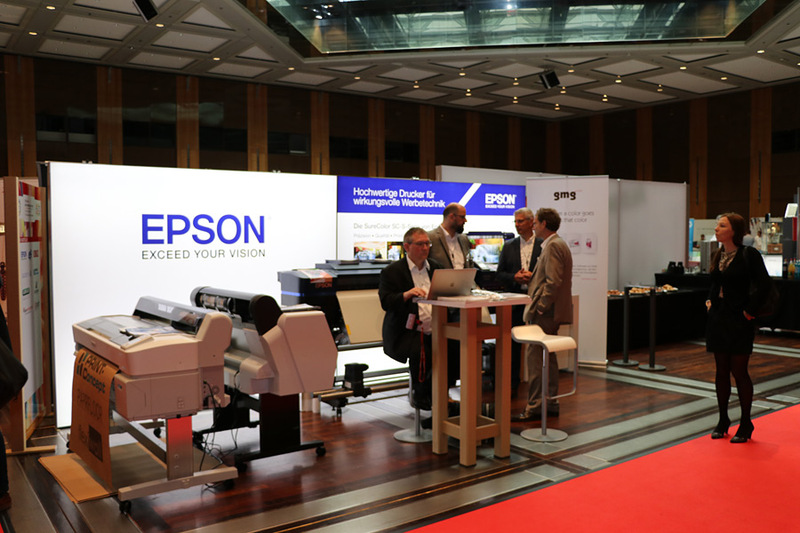 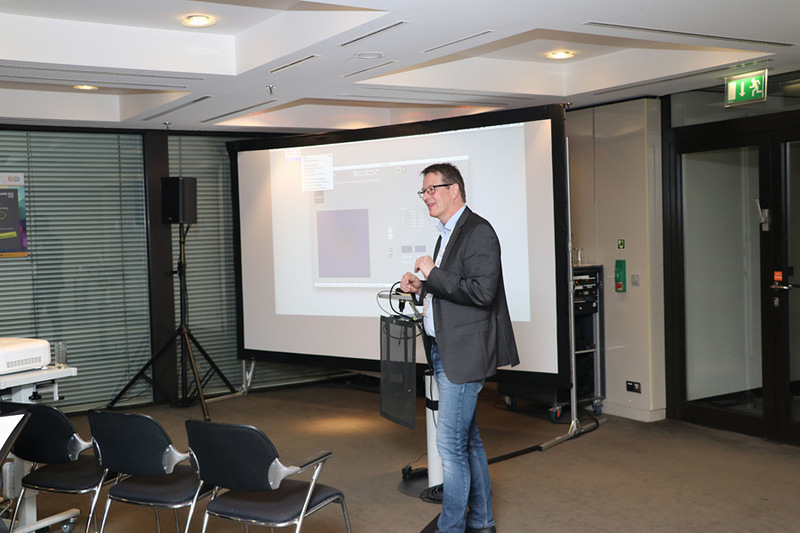 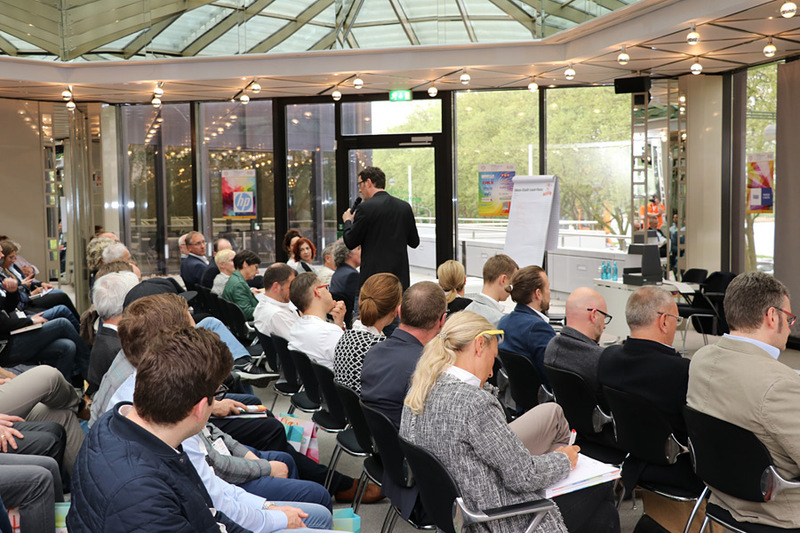 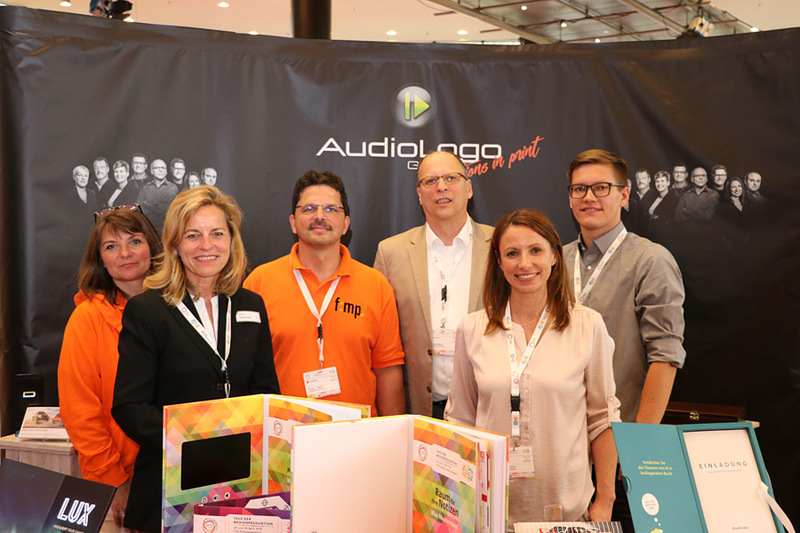 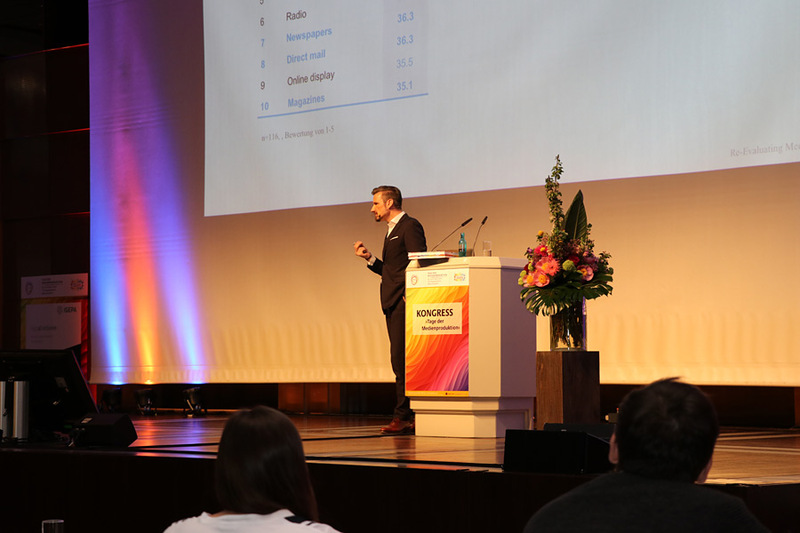 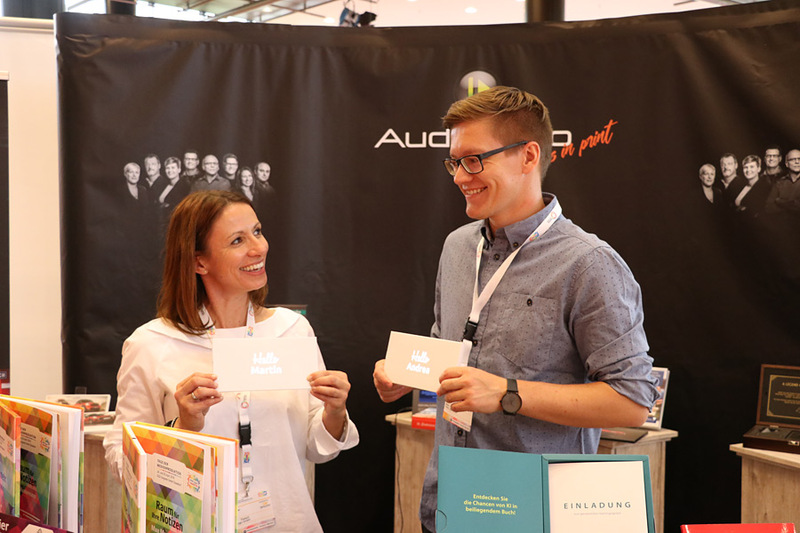 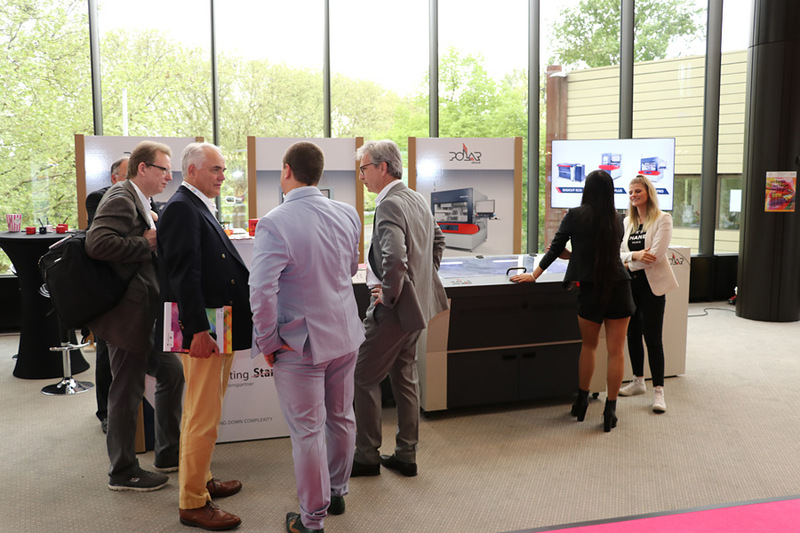 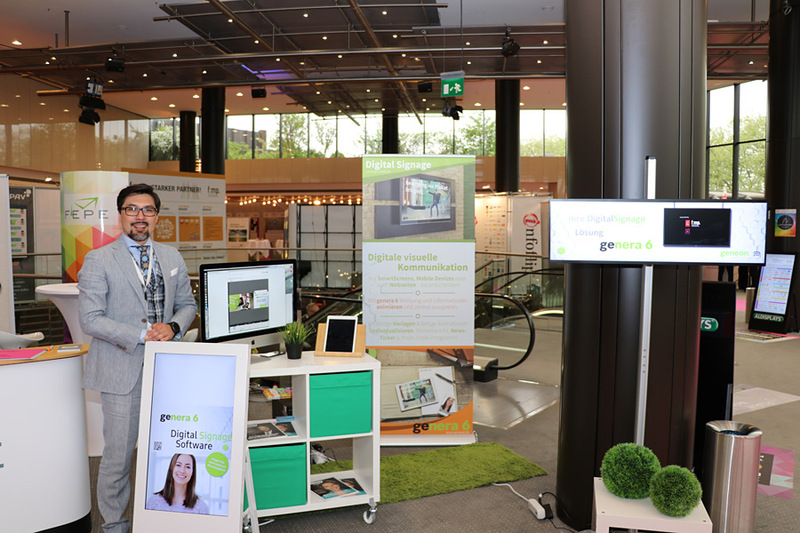 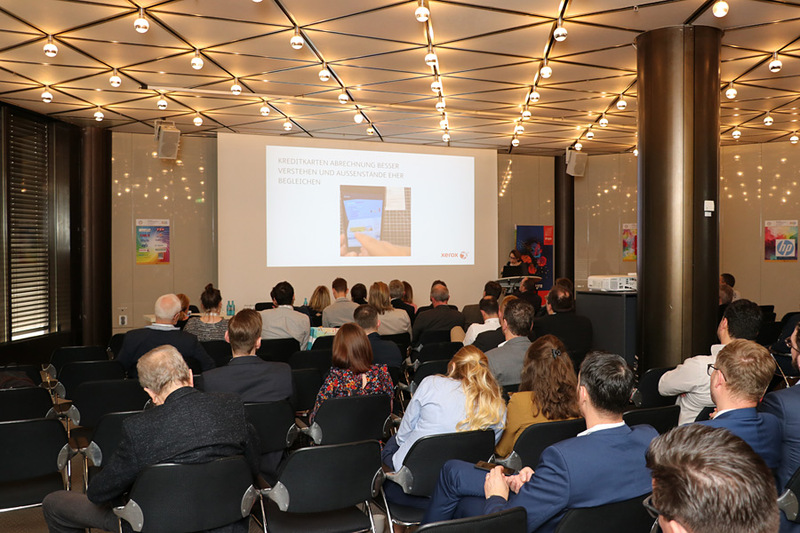 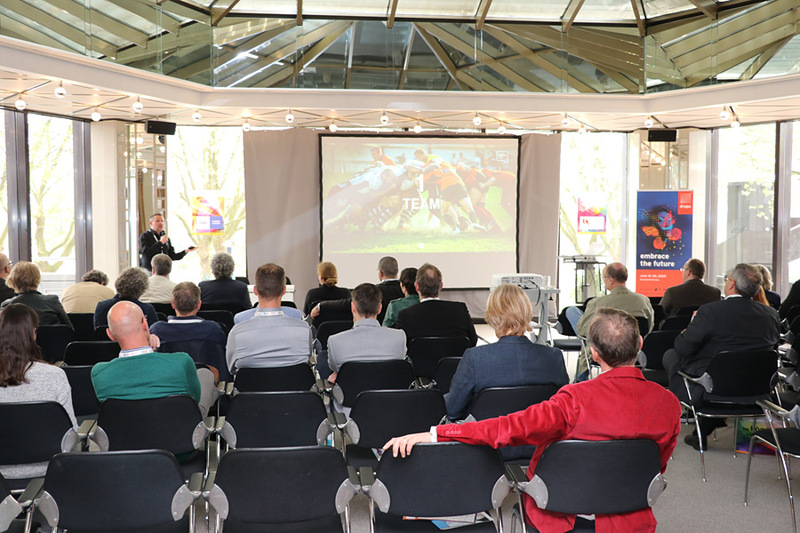 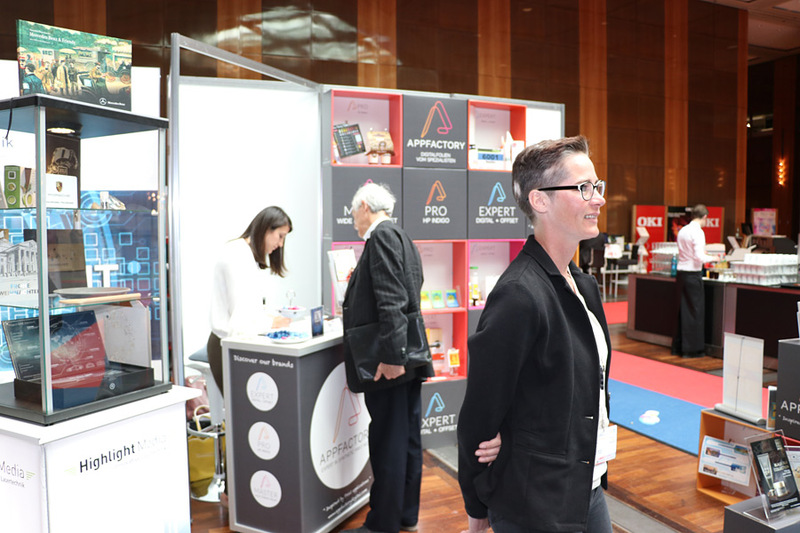 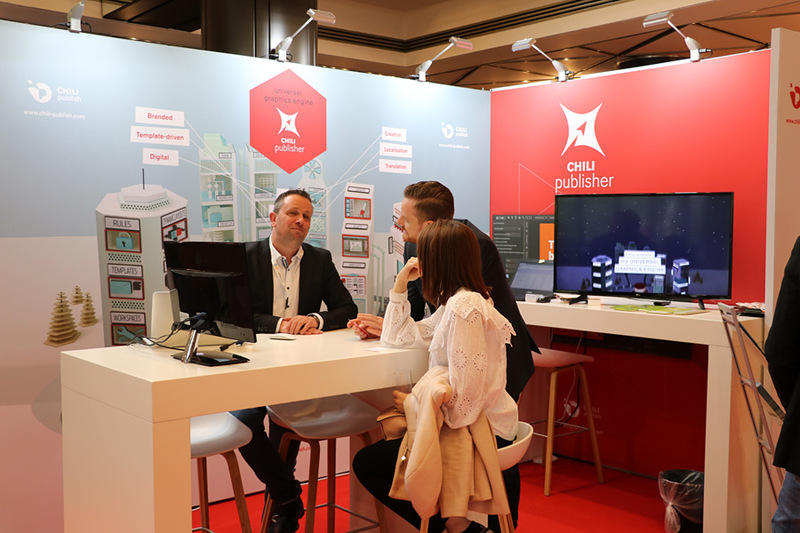 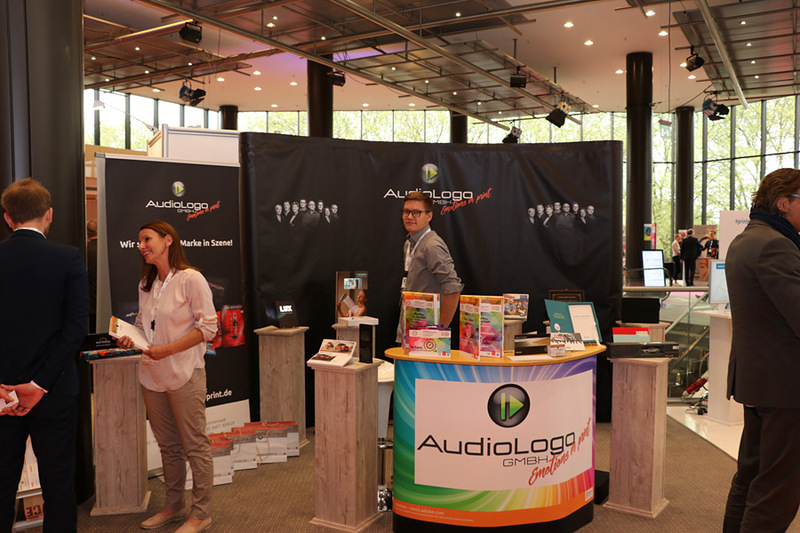 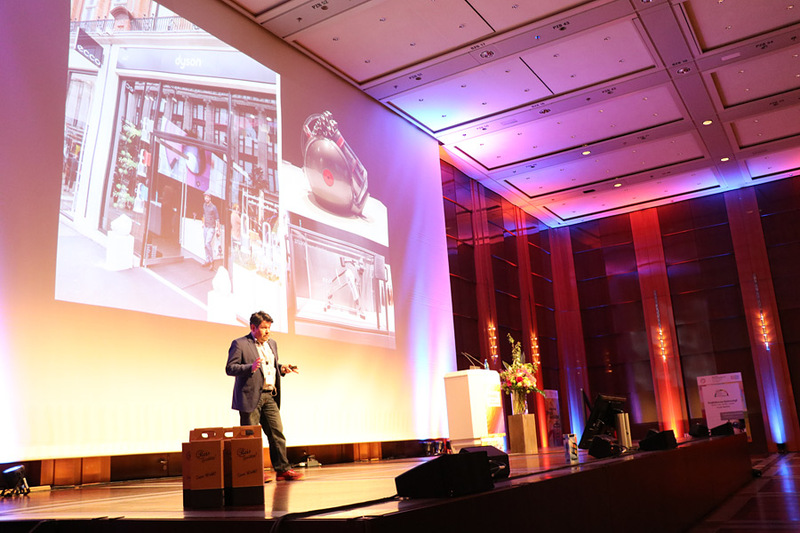 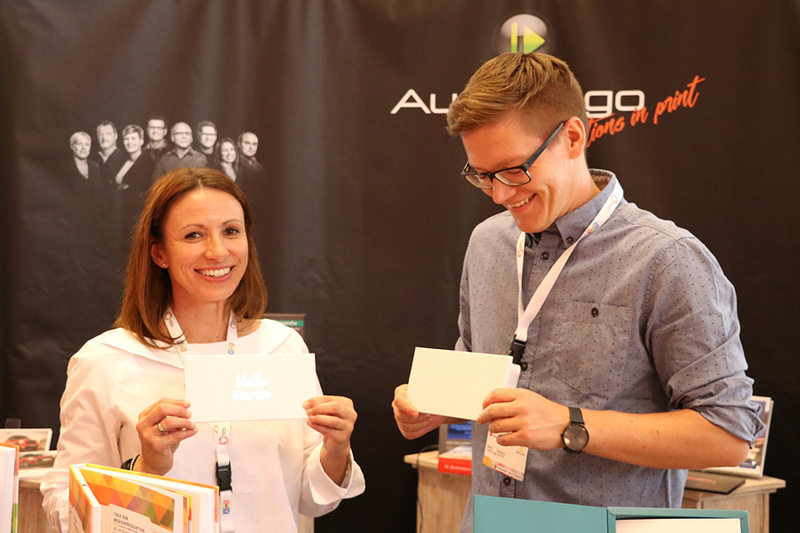 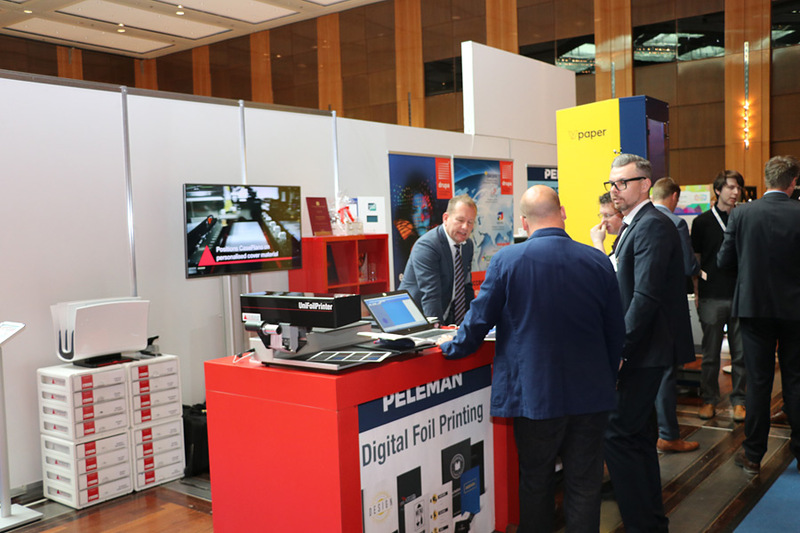 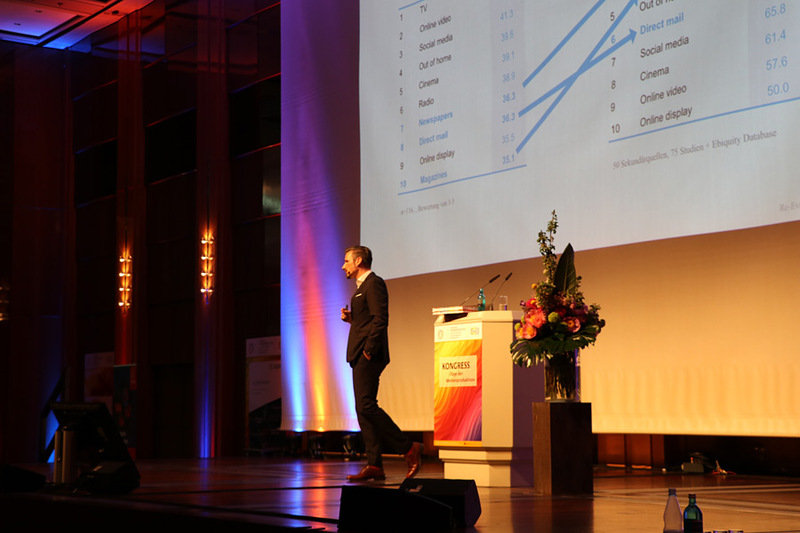 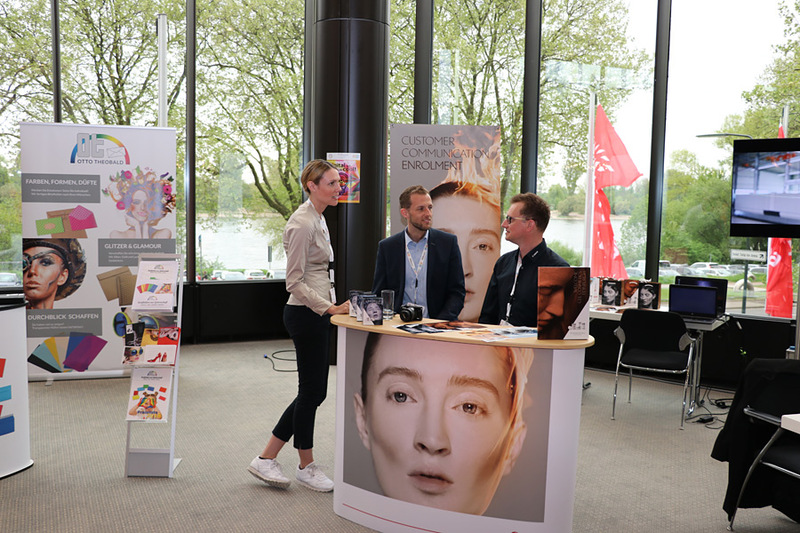 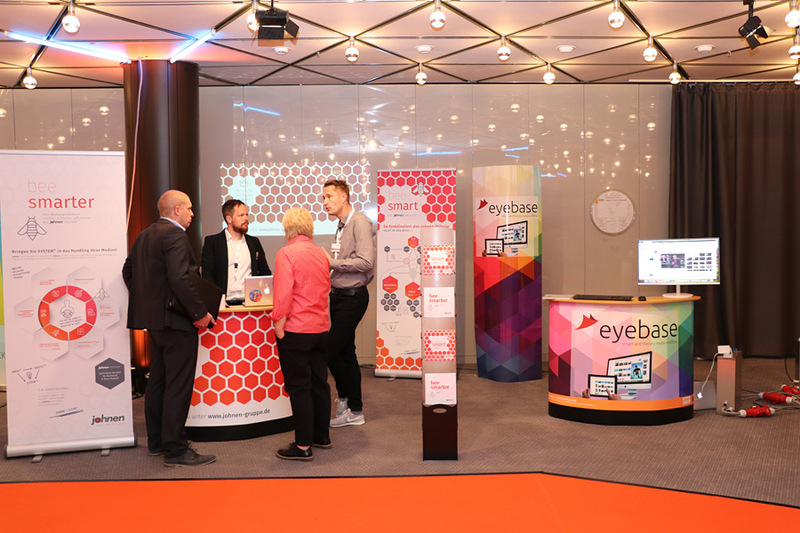 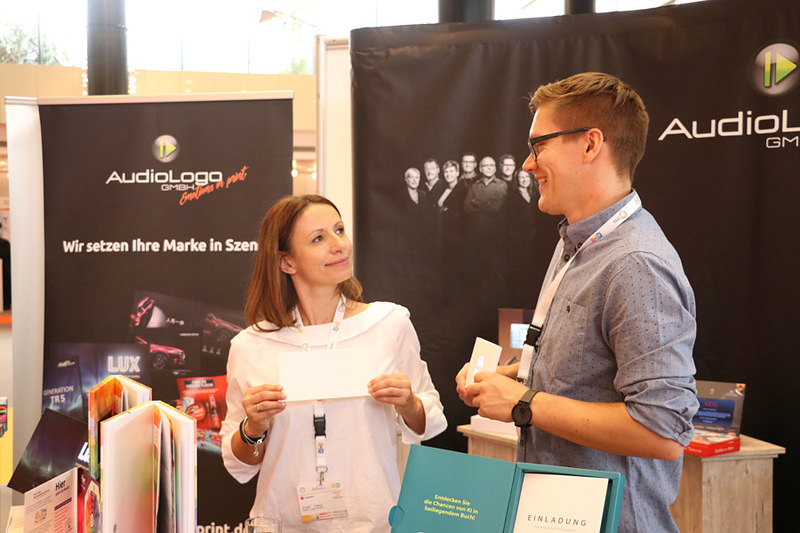 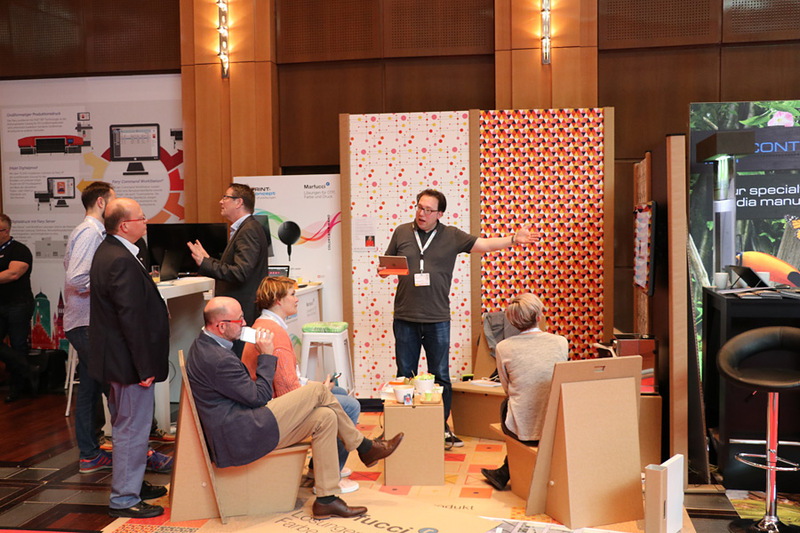 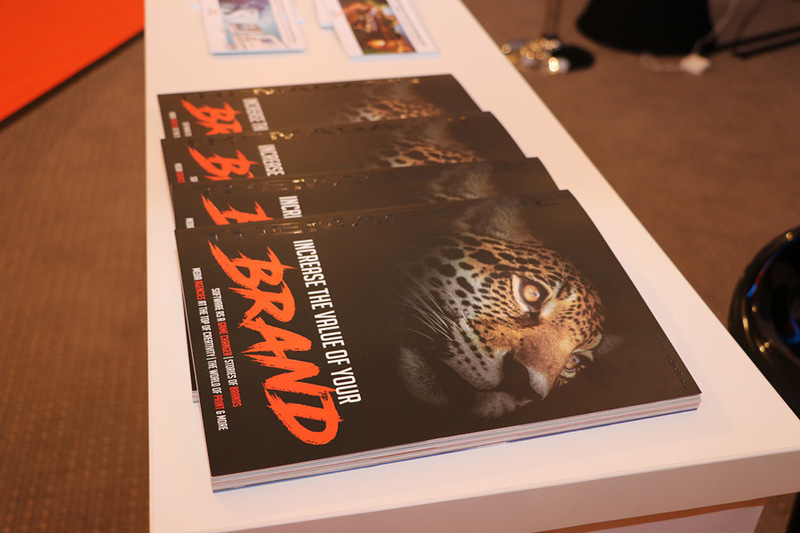 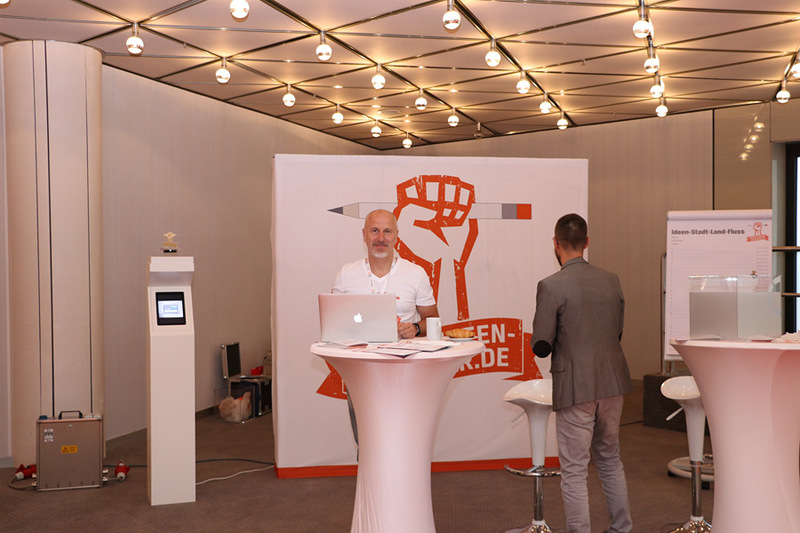 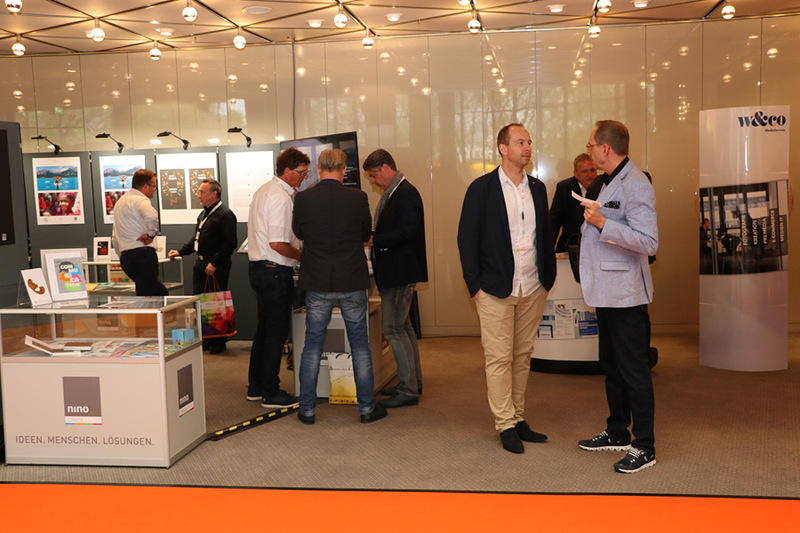 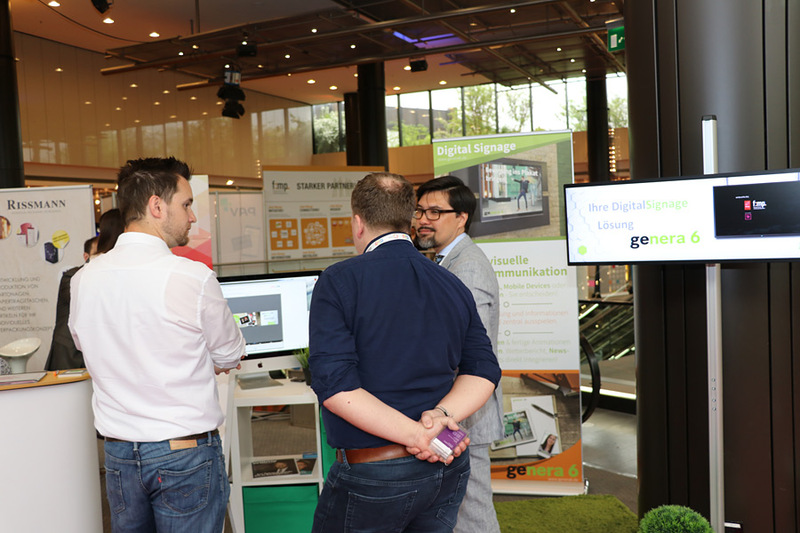 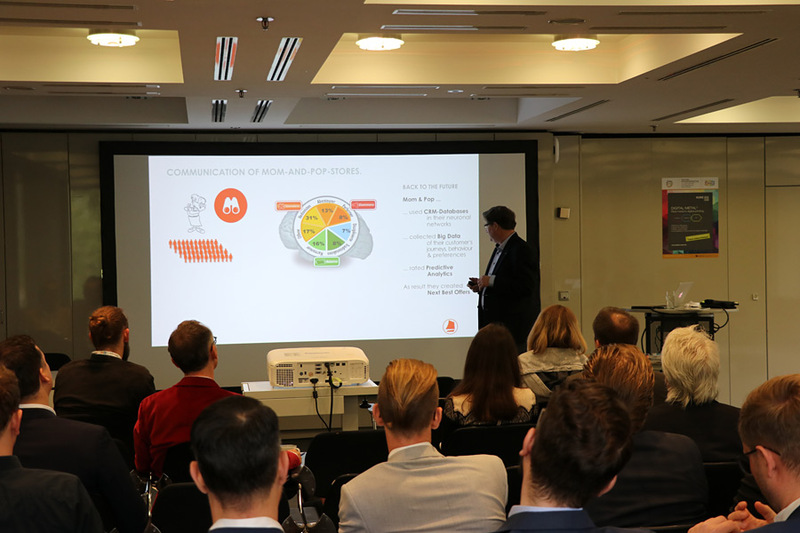 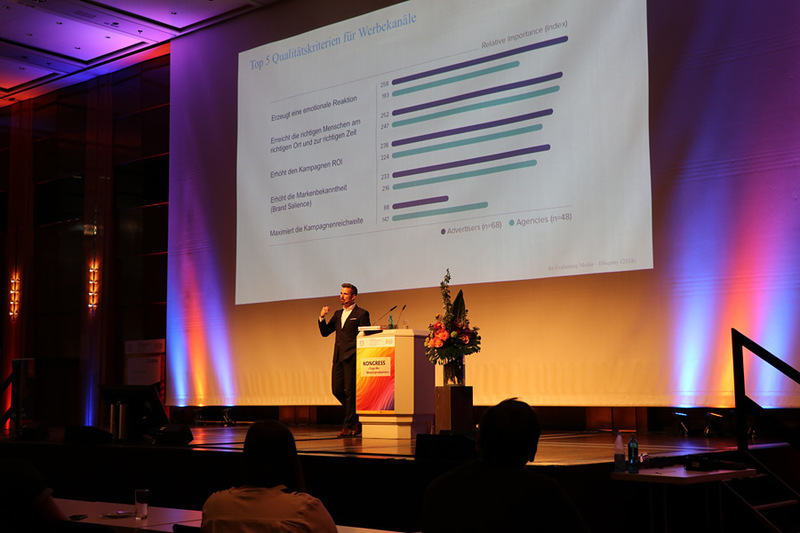 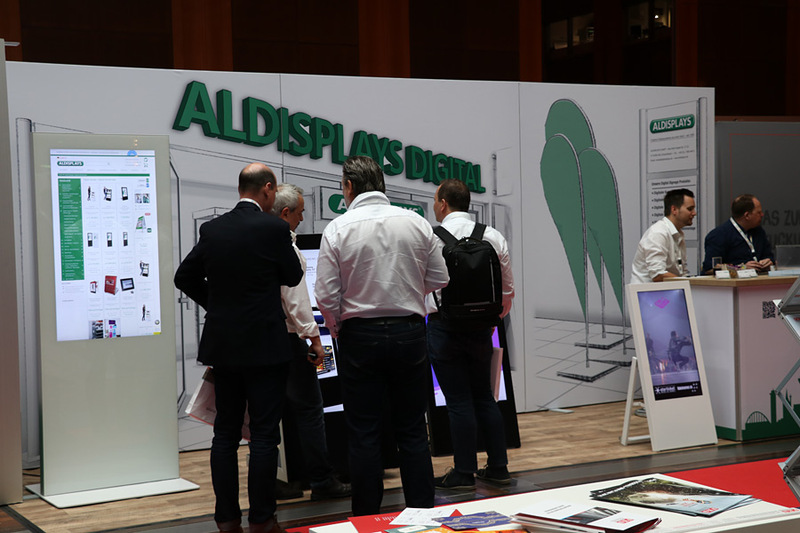 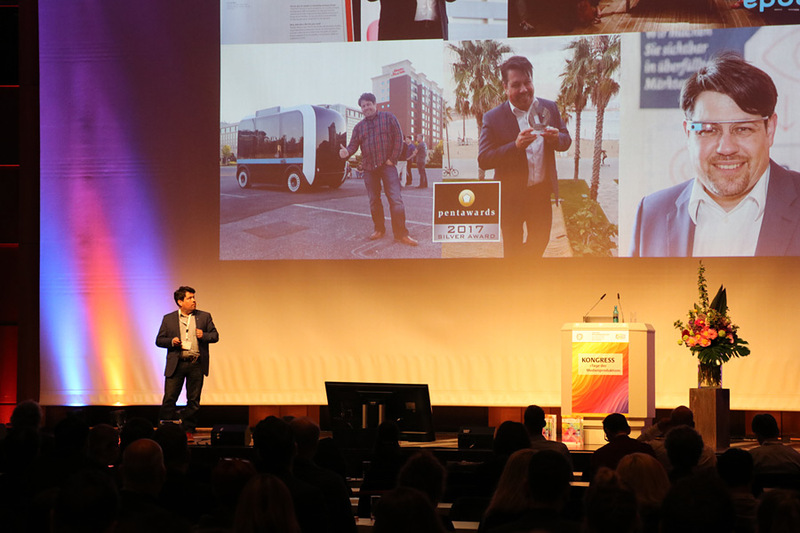 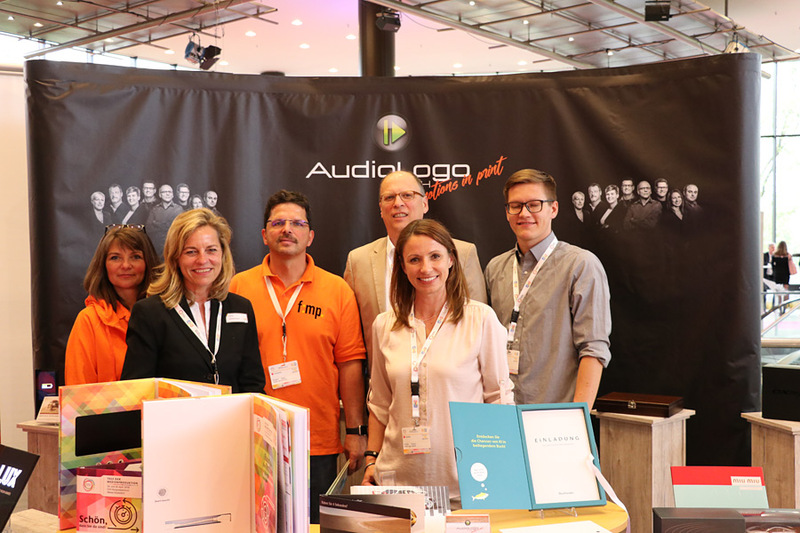 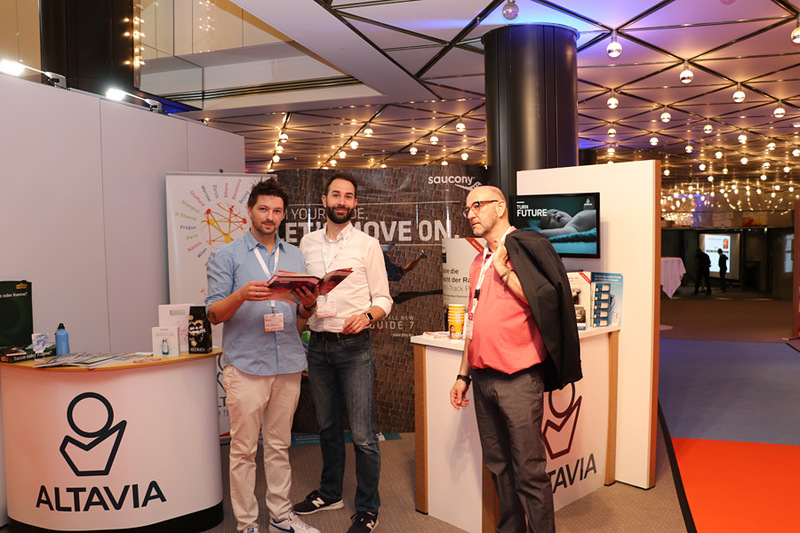 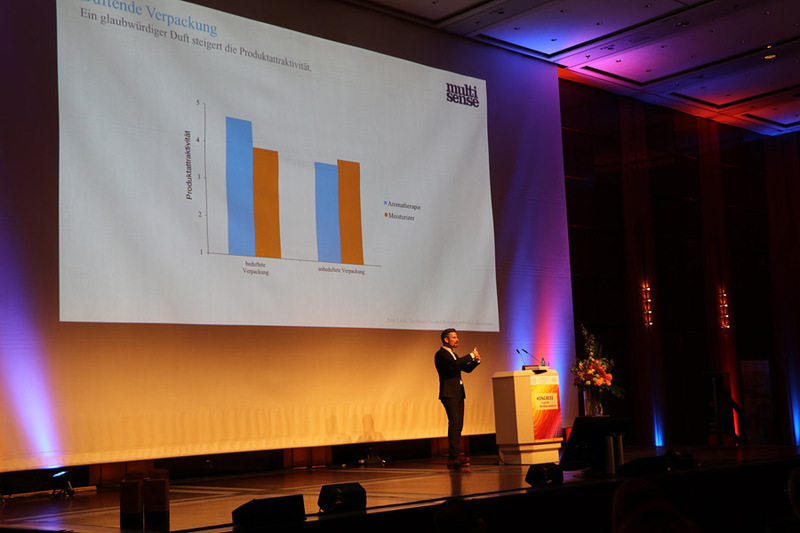 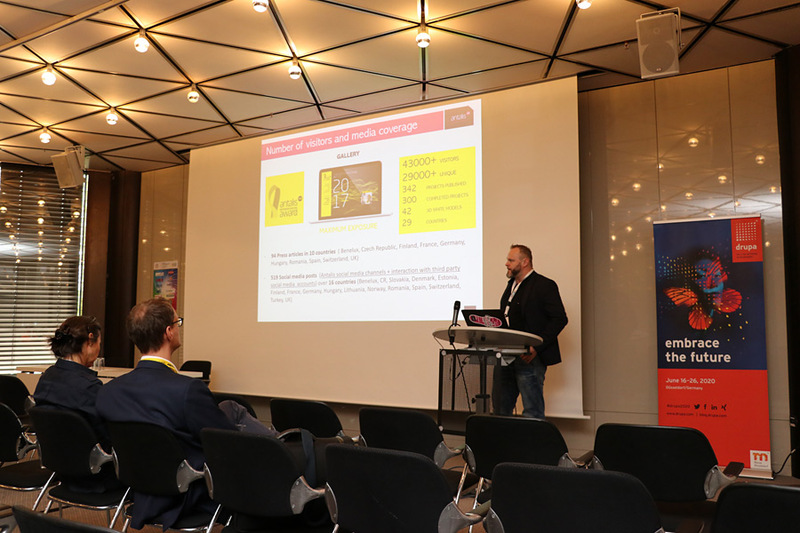 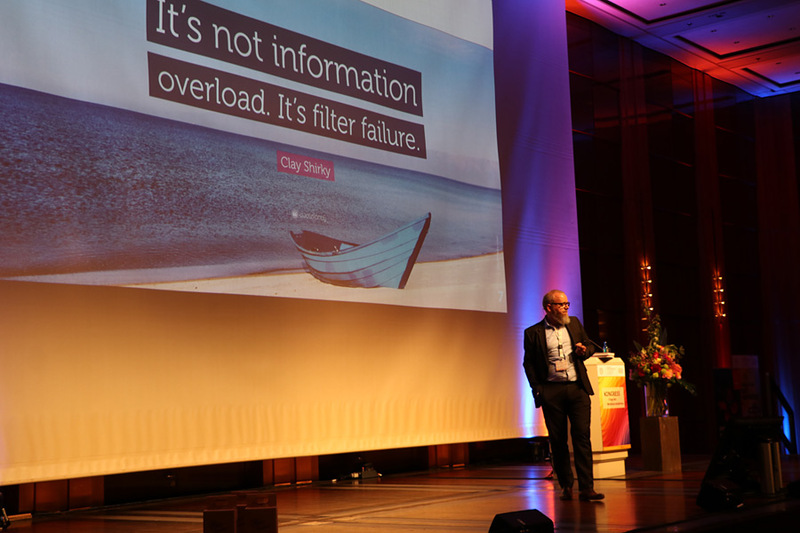 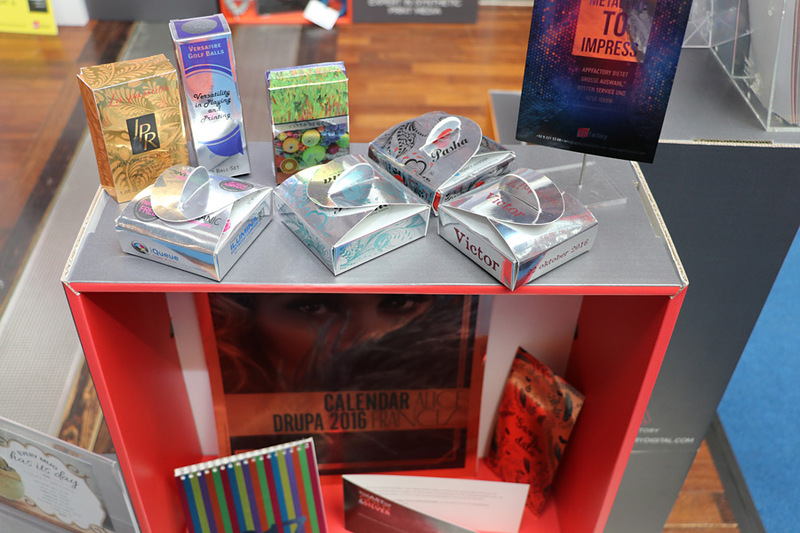 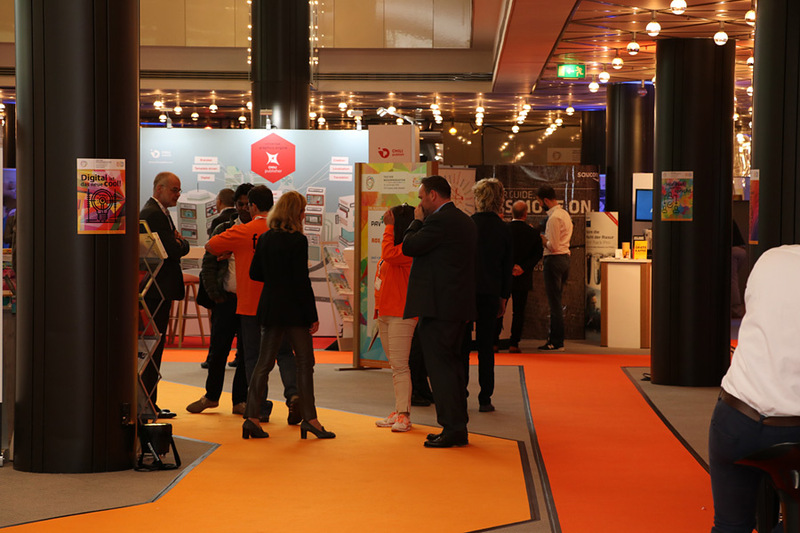 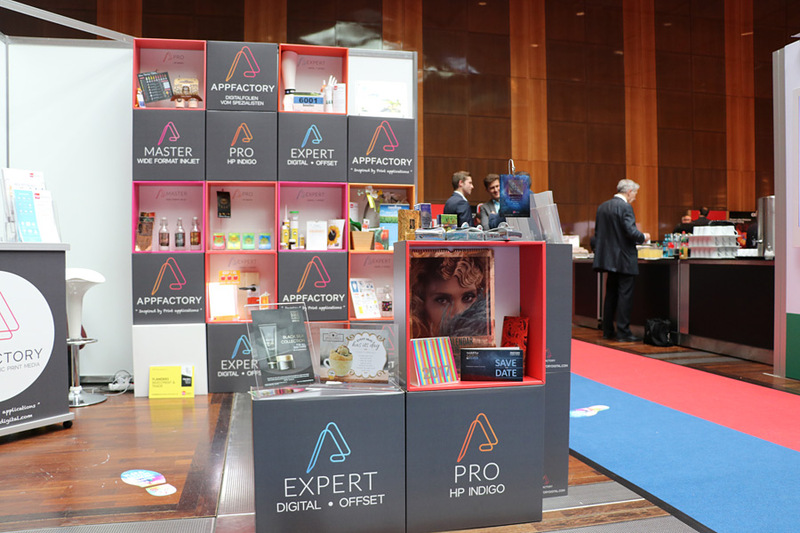 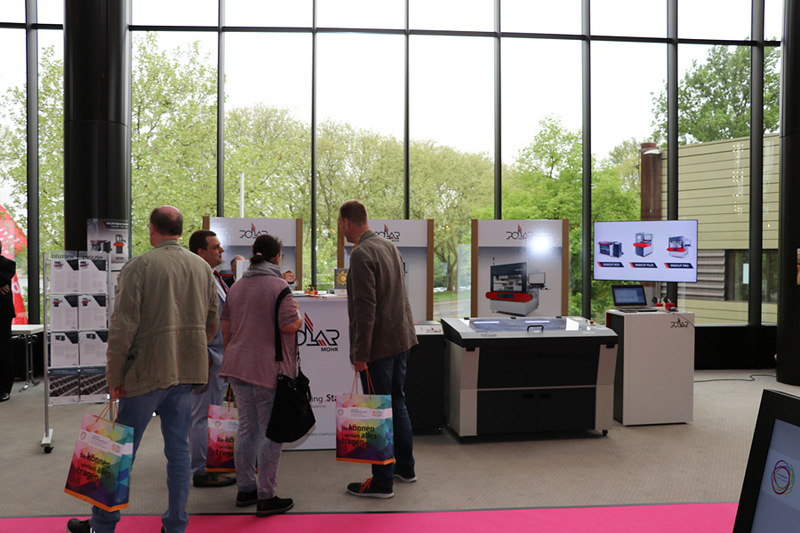 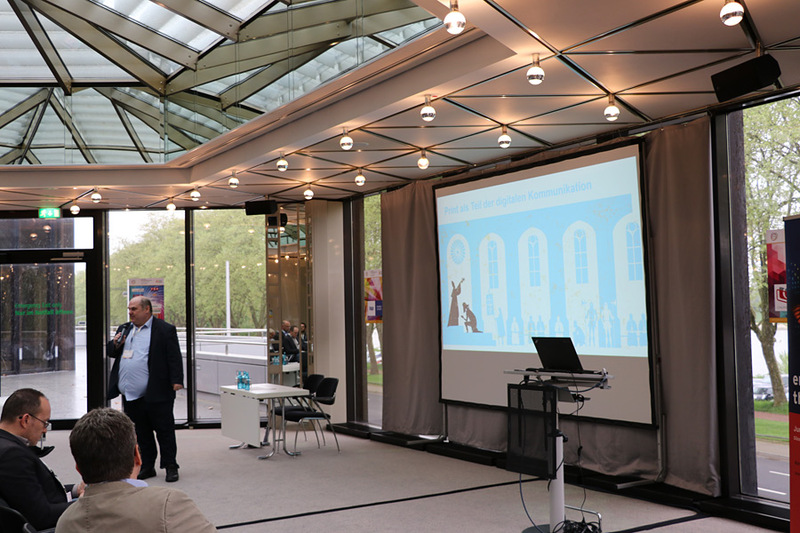 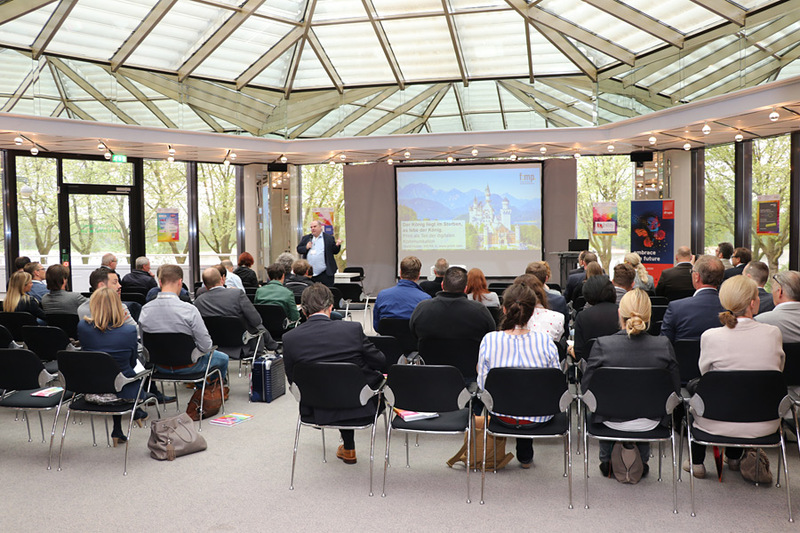 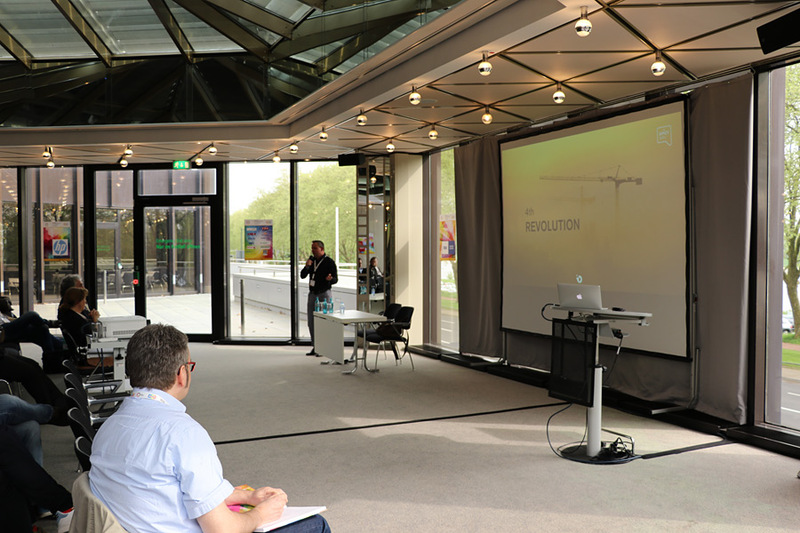 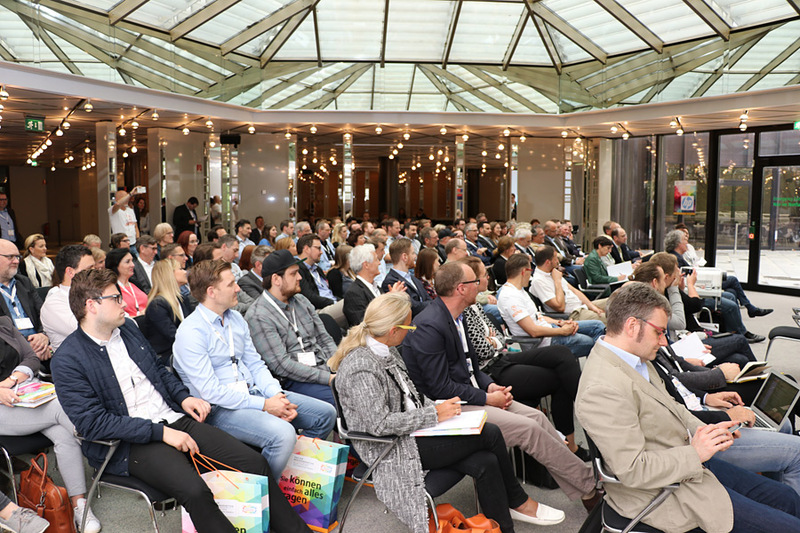 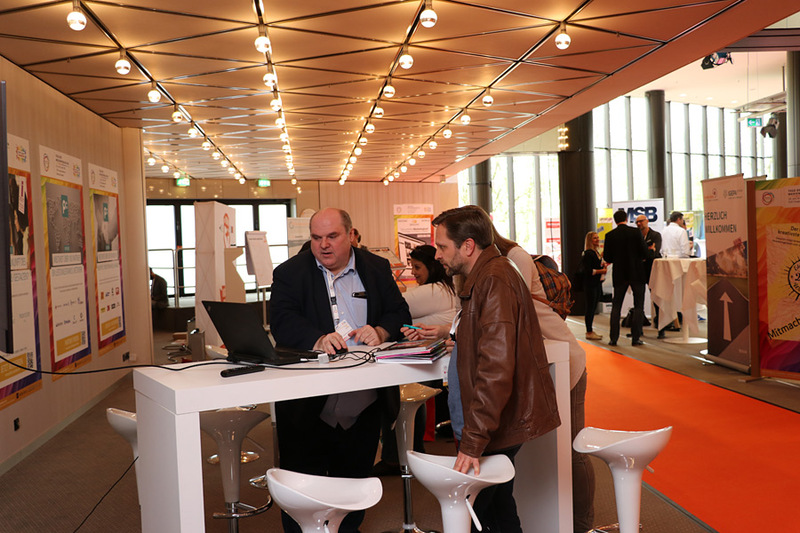 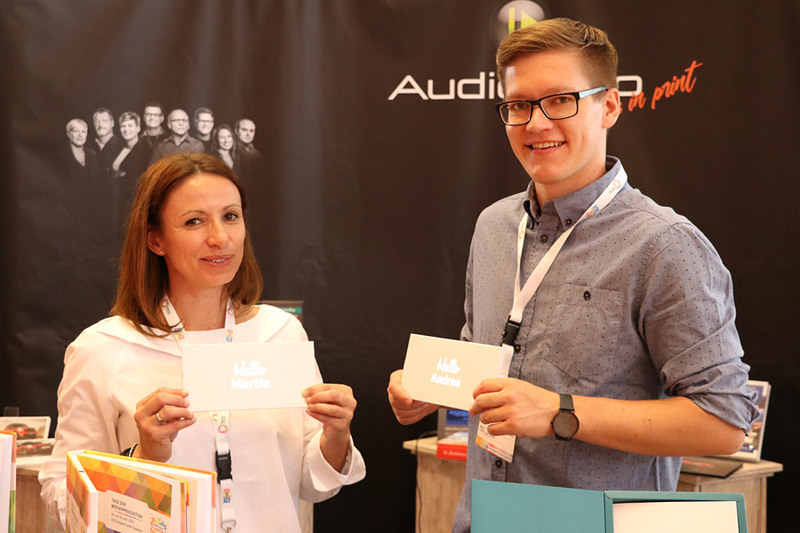 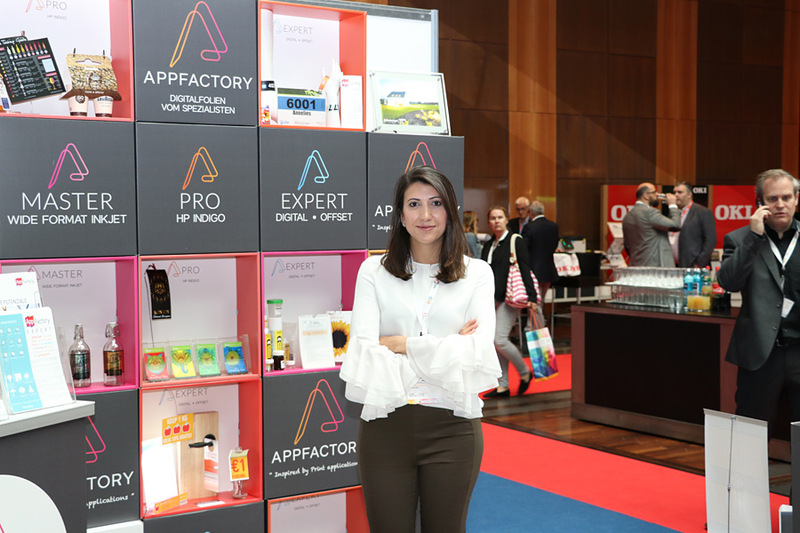 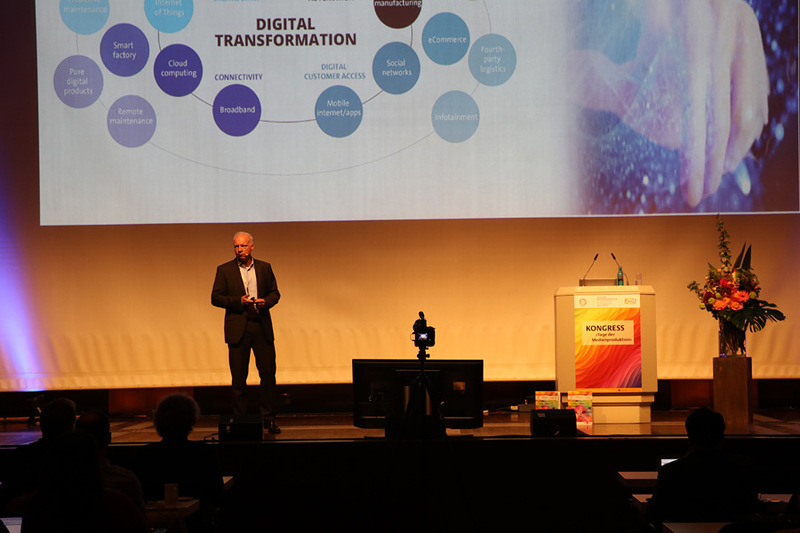 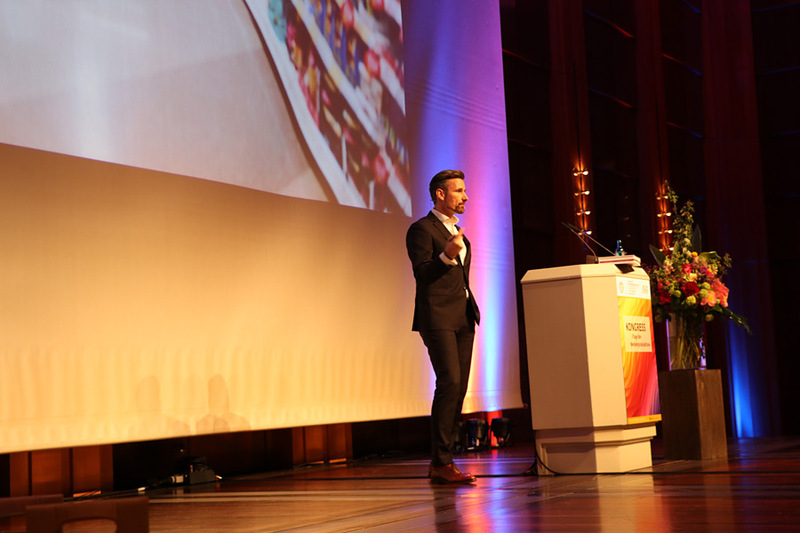 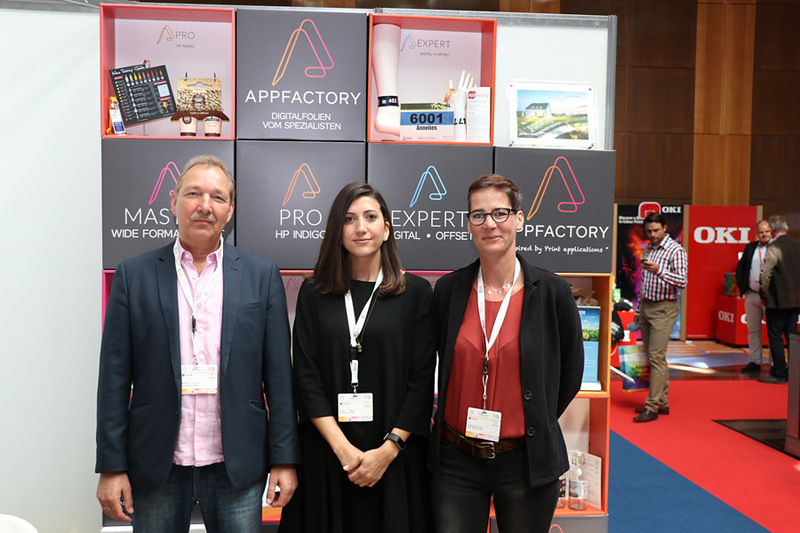 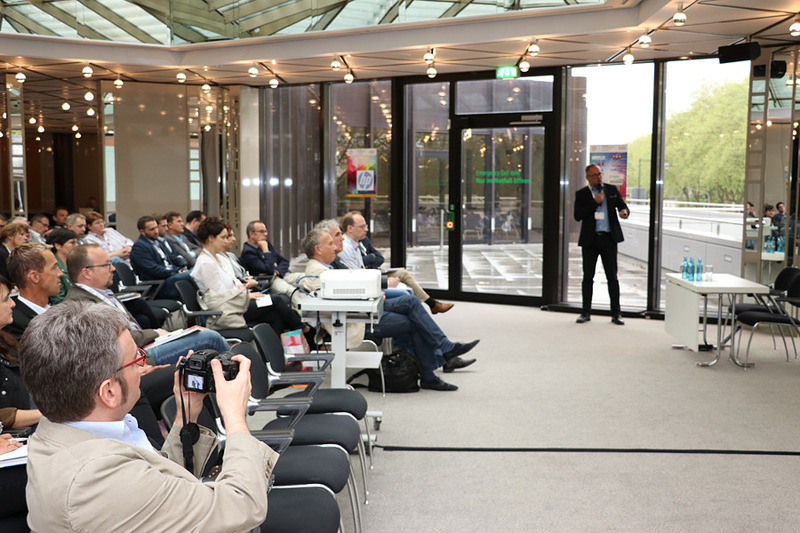 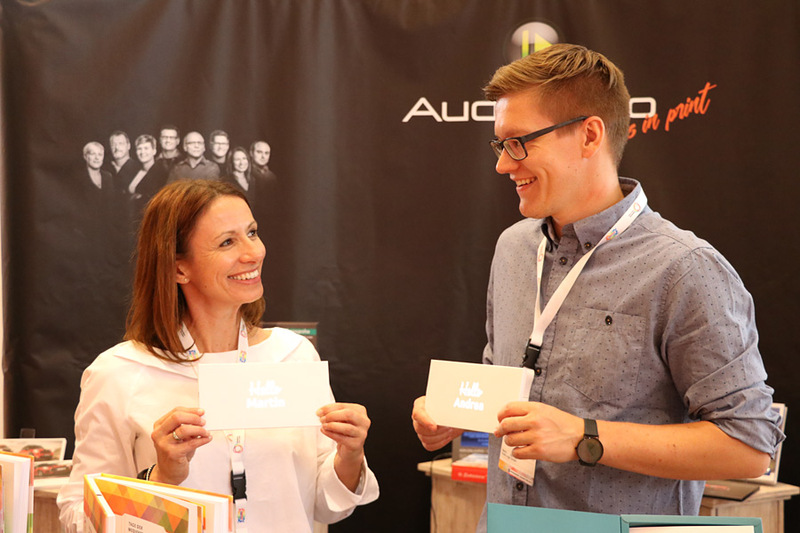 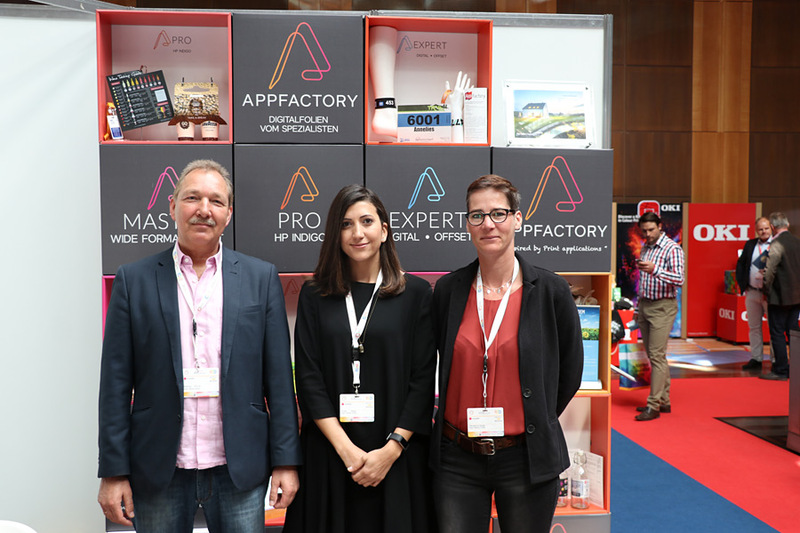 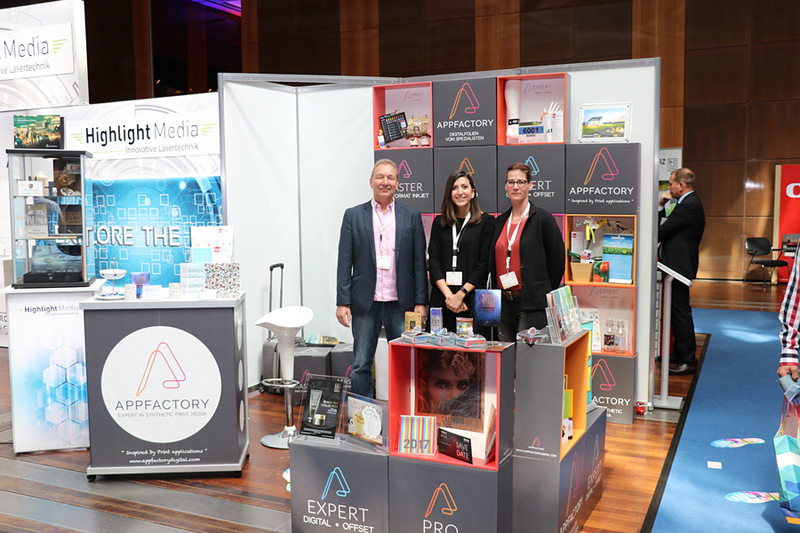 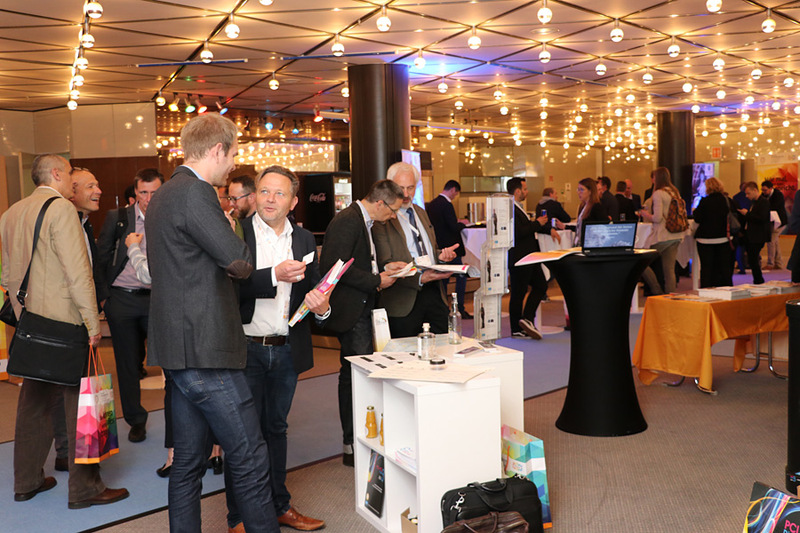 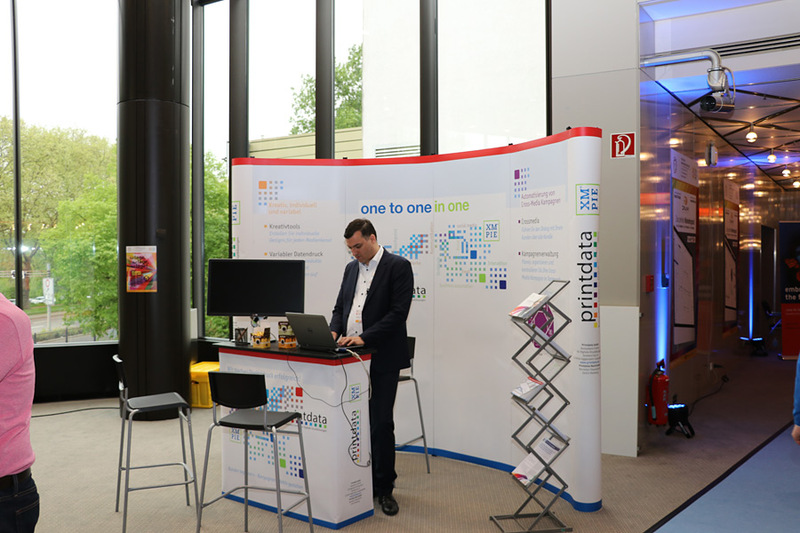 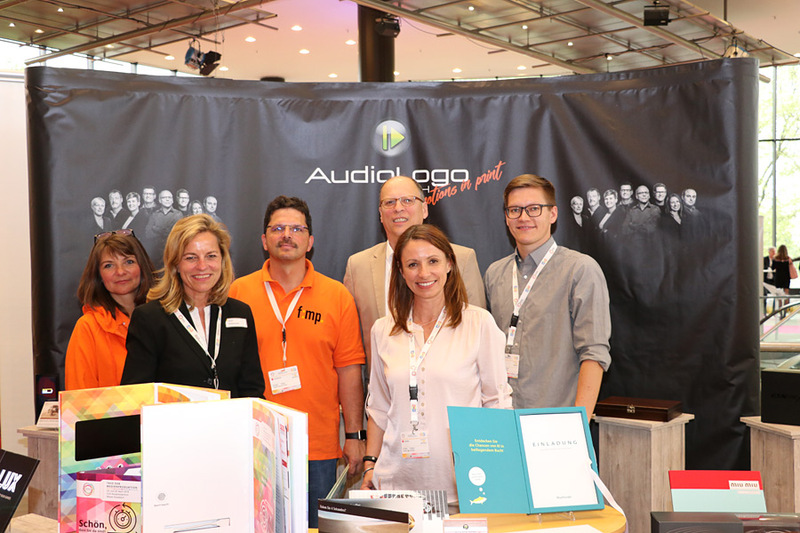 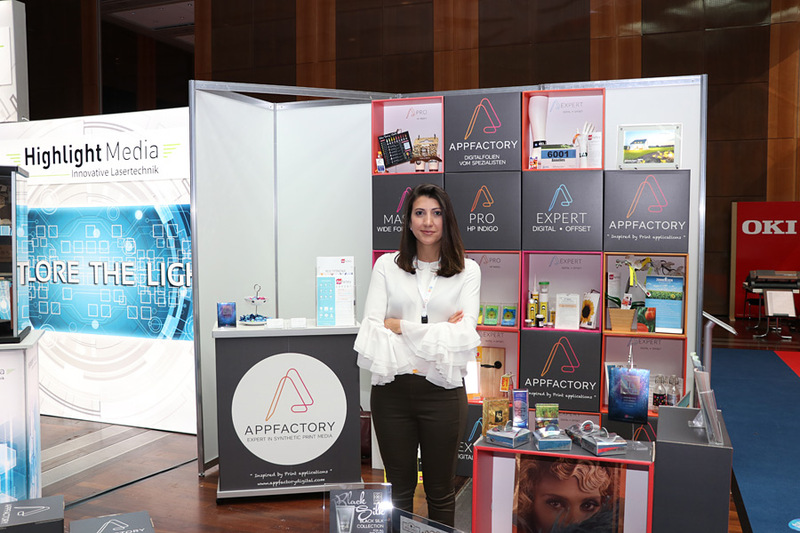 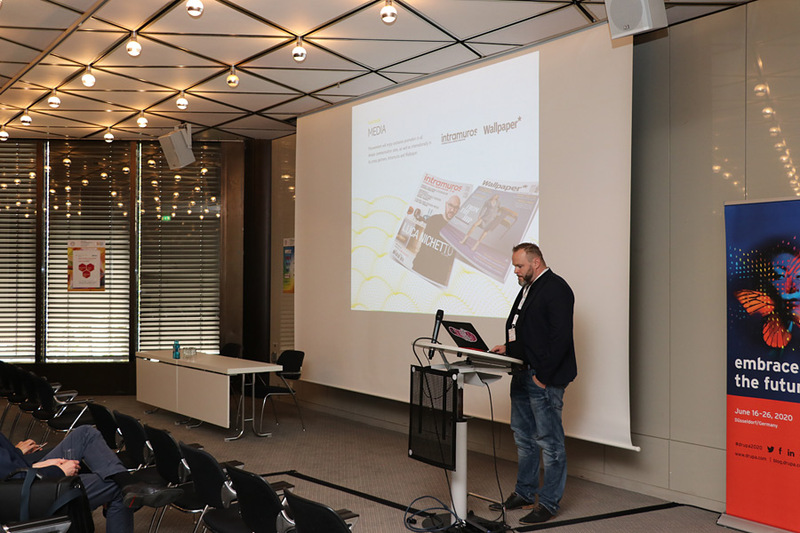 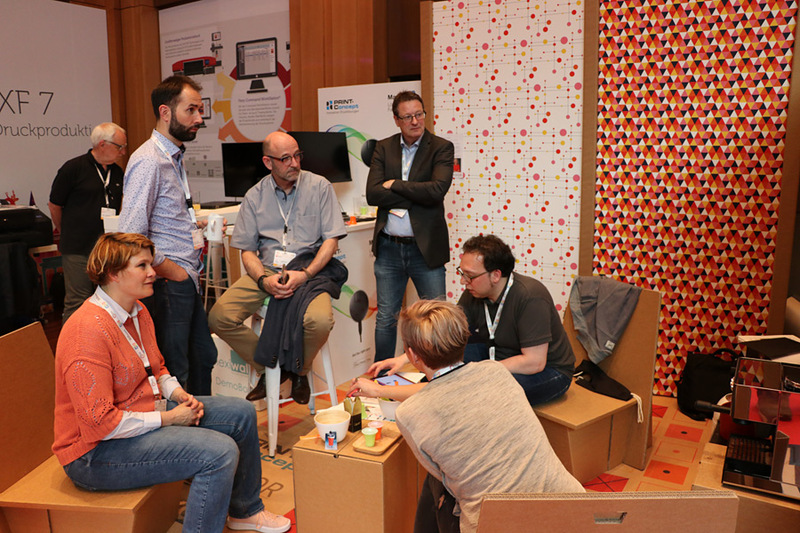 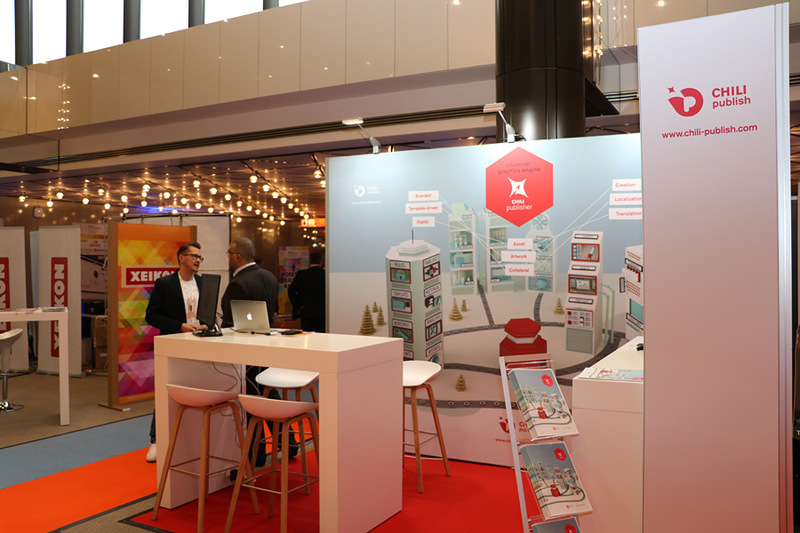 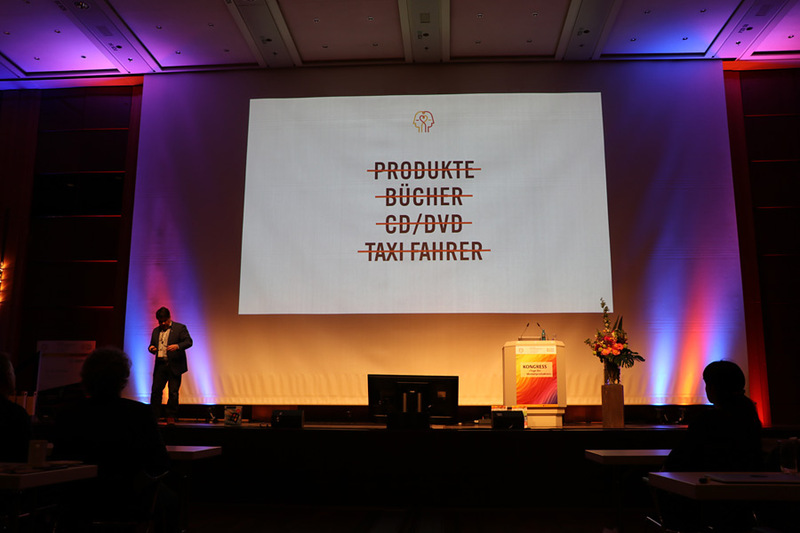 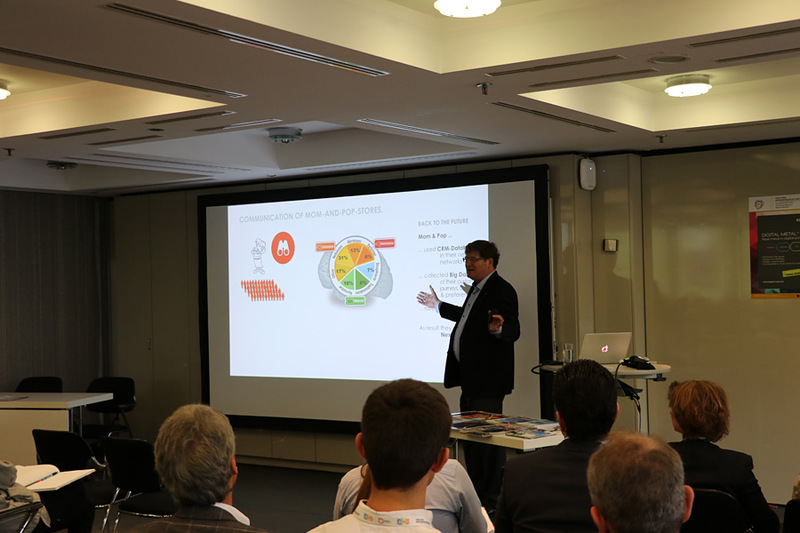 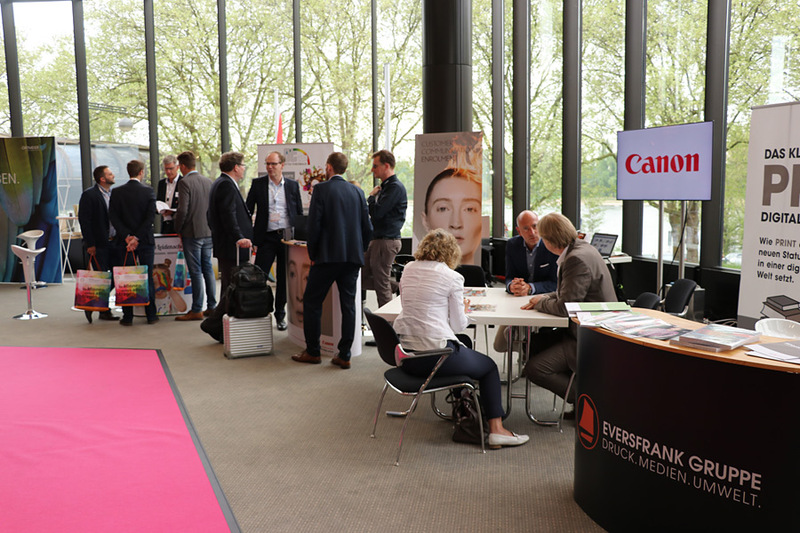 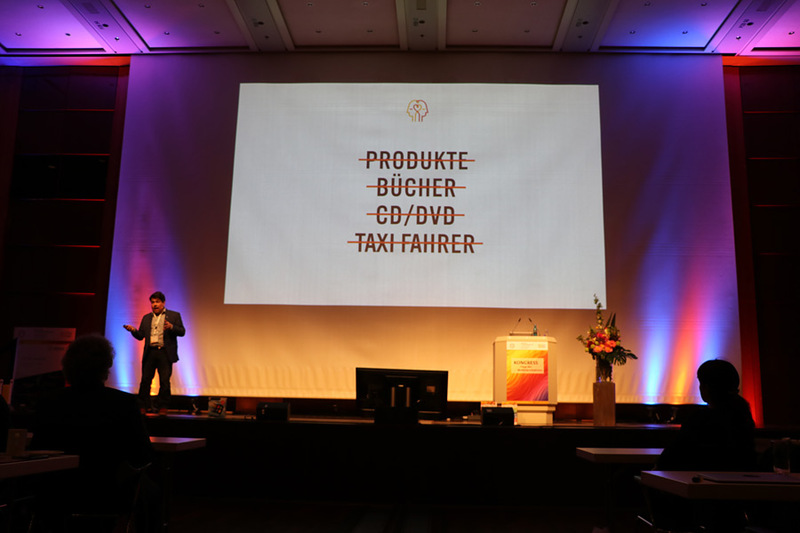 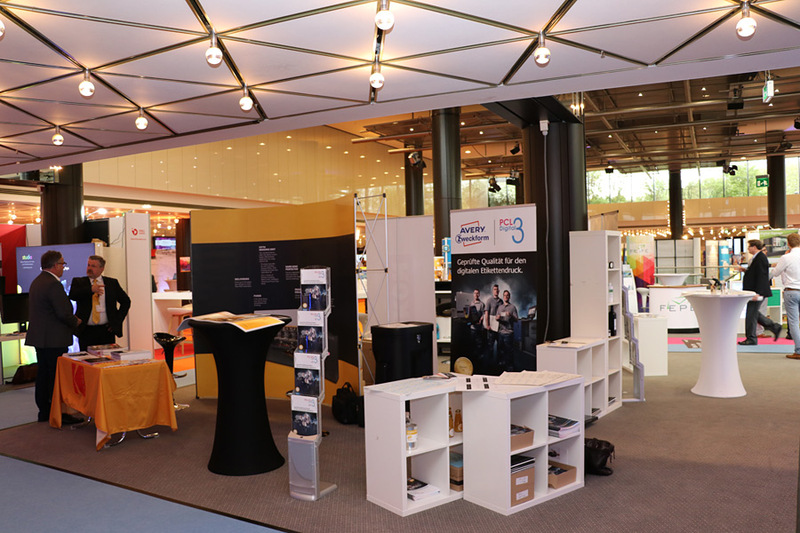 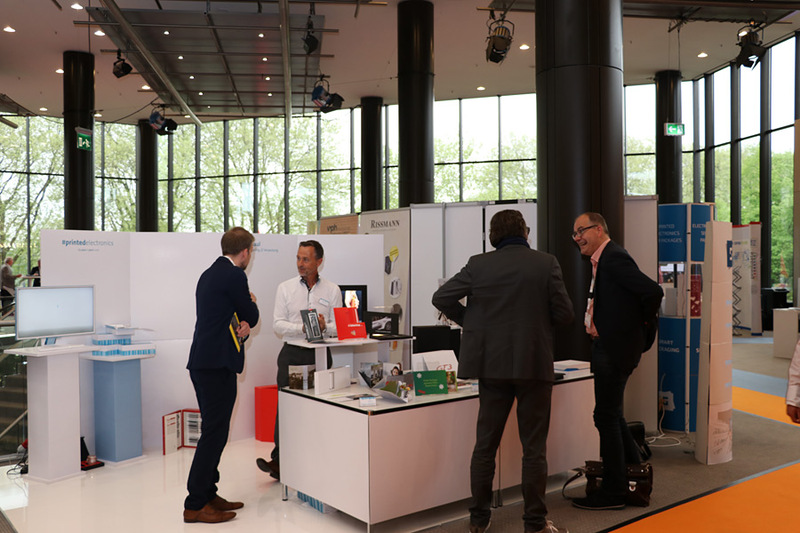 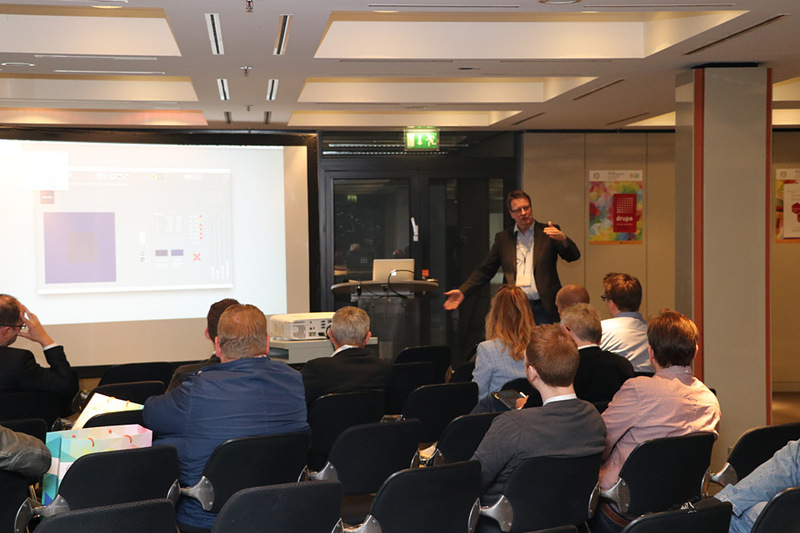 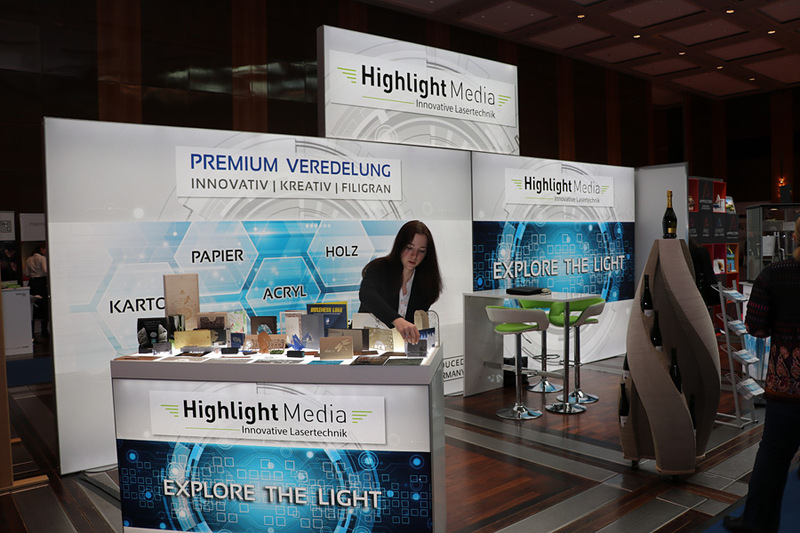 The increased number of visitors to the second edition of the "Days of Media Production" made it all the more evident that a new era of printing in omnichannel communication is dawning. 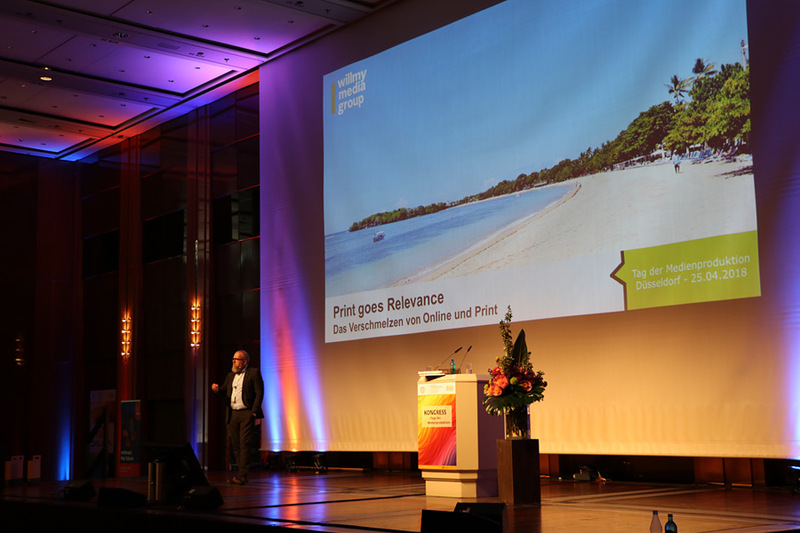 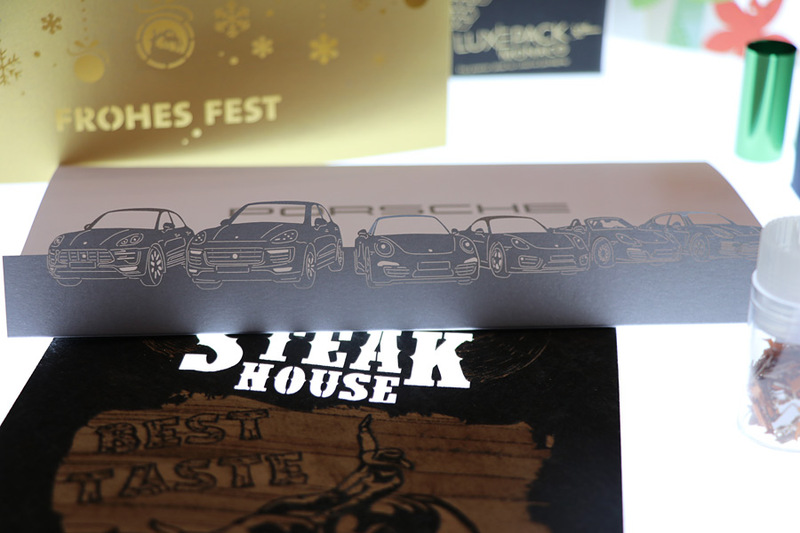 Digital printing enables long-term profitability for short-run production in print-focused business models. 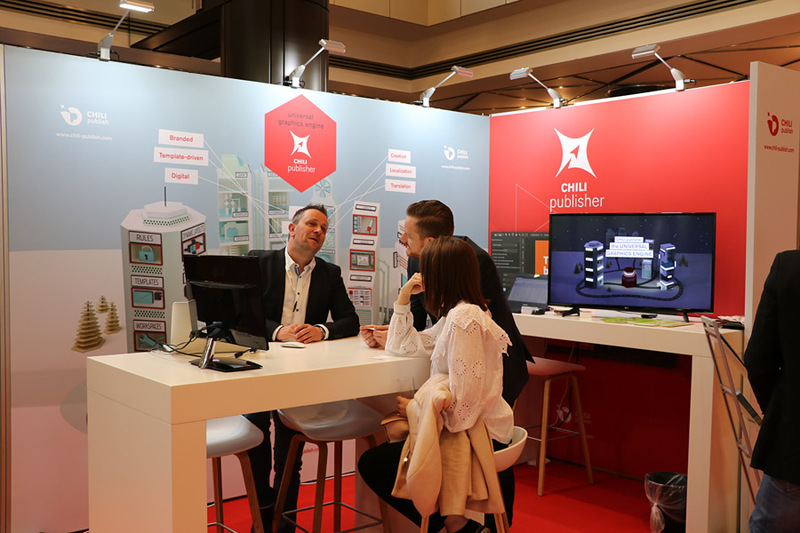 CHILI Publisher, the Universal Graphics Engine, enables the omnichannel production of communications-enabled graphical assets across multiple markets. 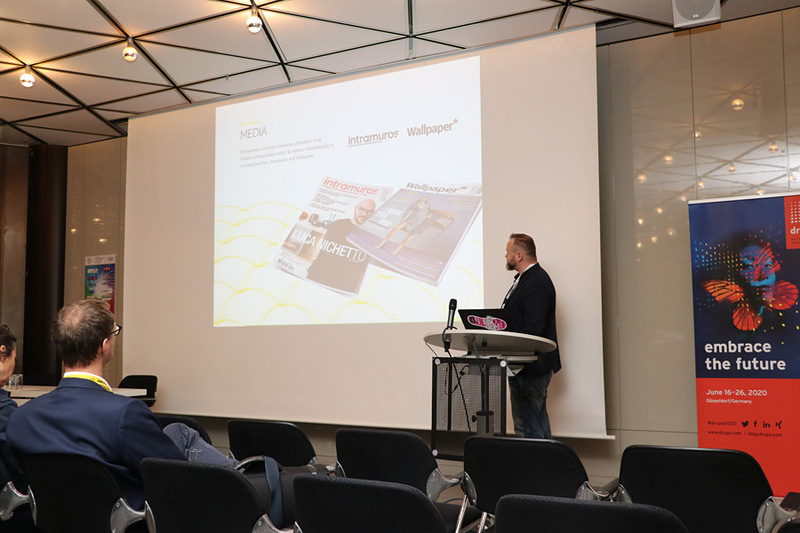 Our lecture and participation in the Days of Media Production brought us in touch with the right people to make sure that we can push harder and faster. 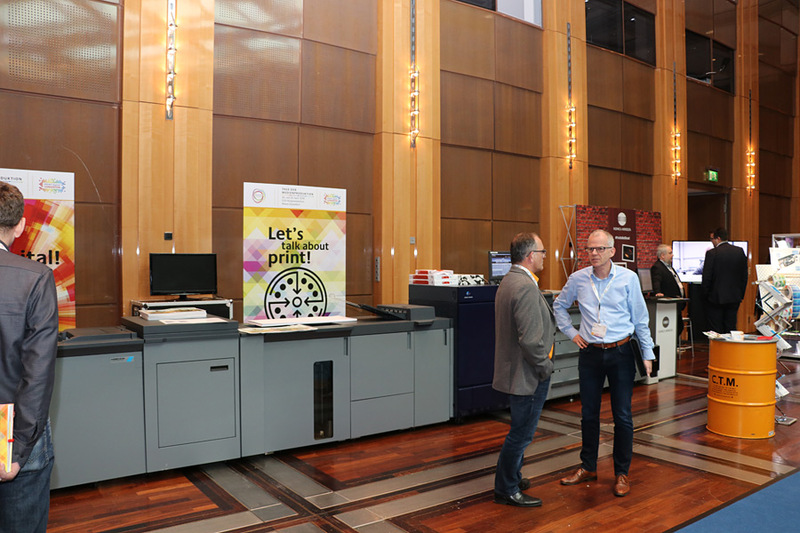 We consider this a "must-event" for people involved in digital printing. 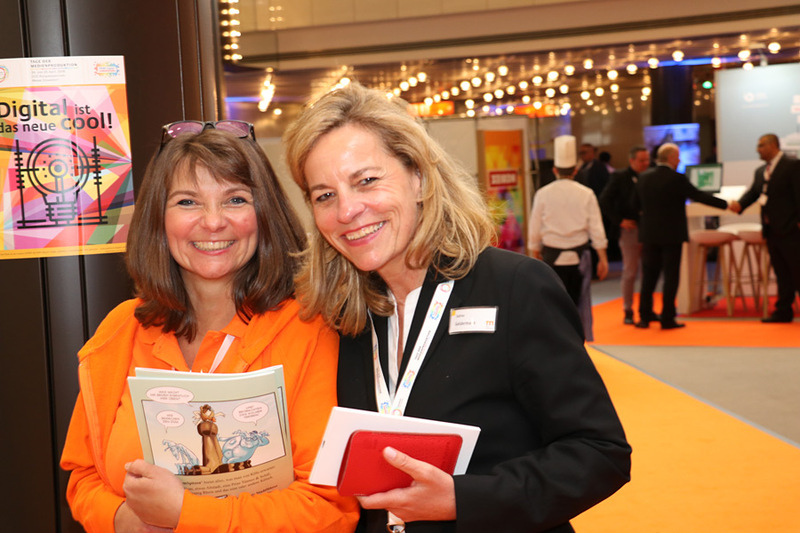 Thank you and best regards from Belgium! 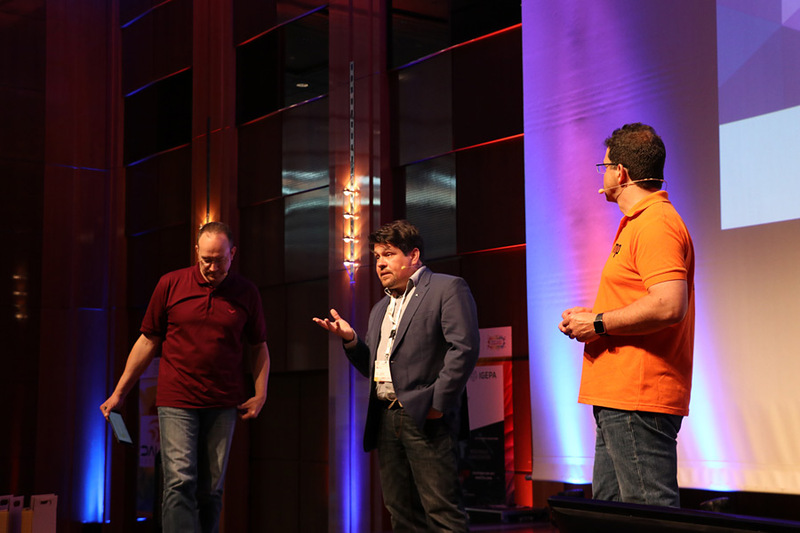 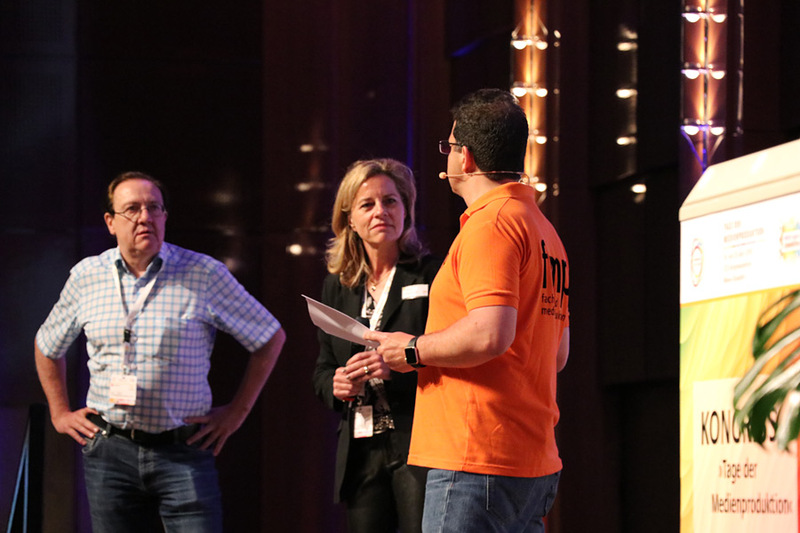 We would like to thank the event trio for two great days. 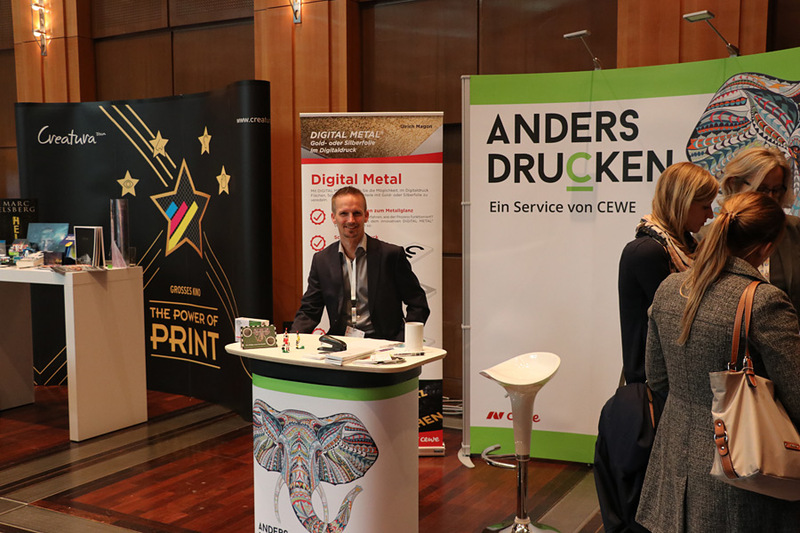 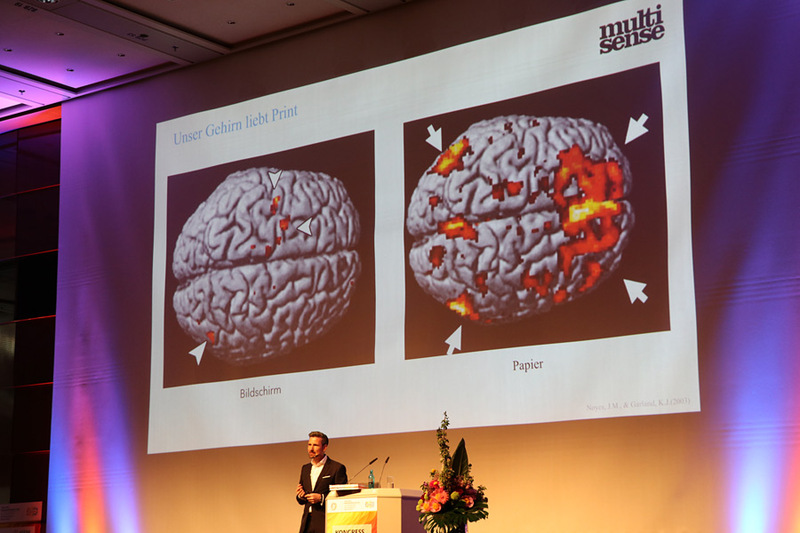 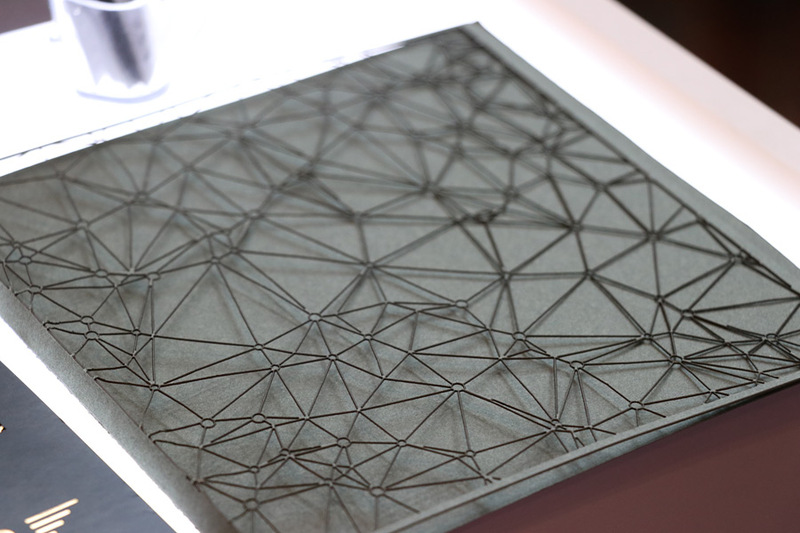 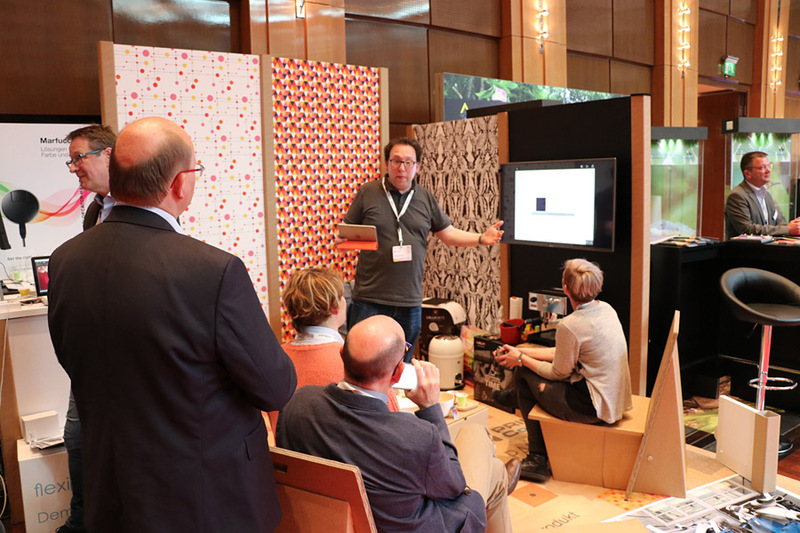 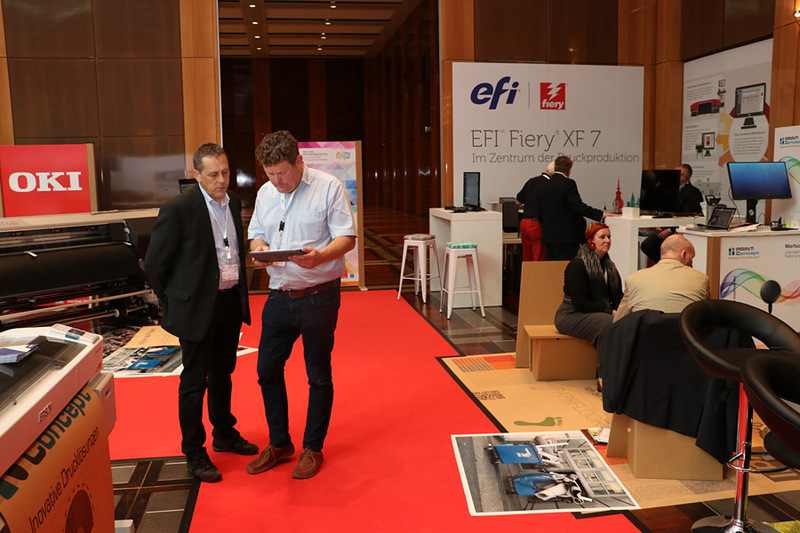 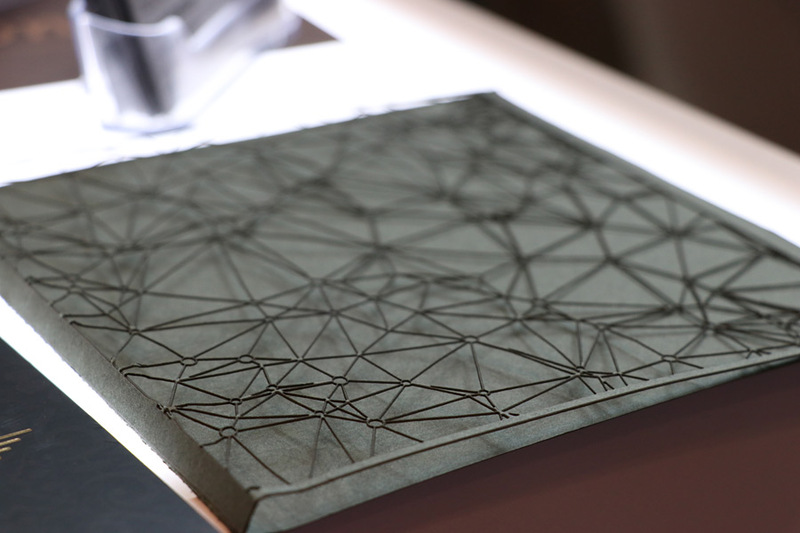 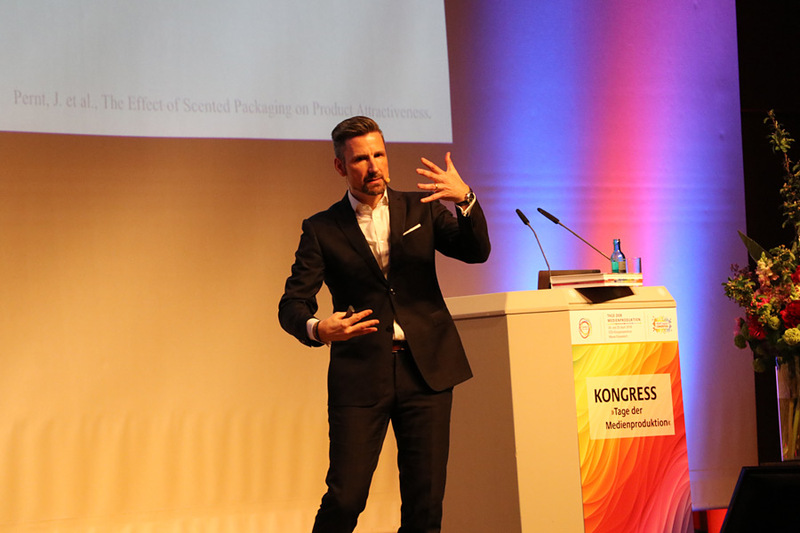 The excellent combination of knowledge transfer during the workshops and the congress, as well as practical experiences in the exhibition, makes all facets of digital printing and its possibilities tangible. 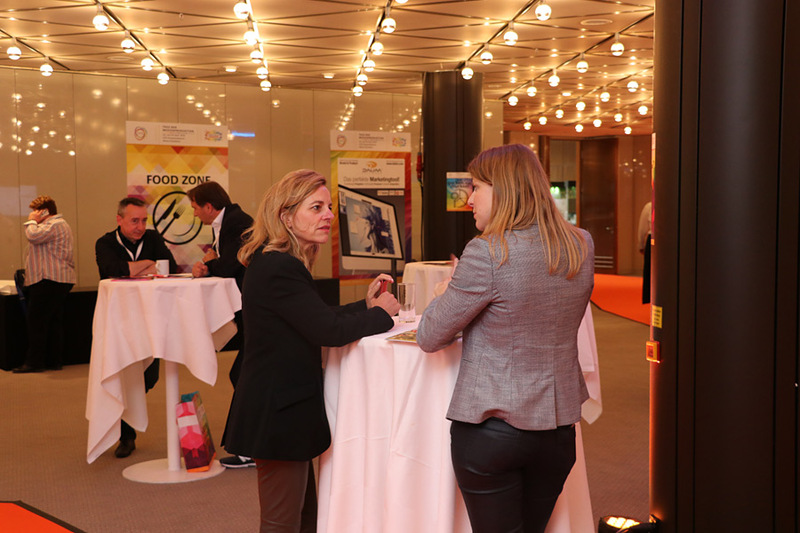 The versatility of the contributions and exhibitors enables a great networking platform and gives room for the development of new ideas. 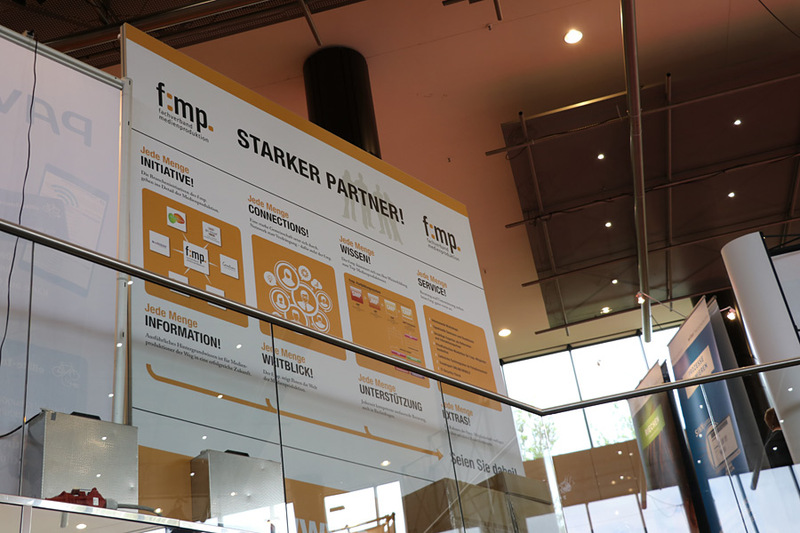 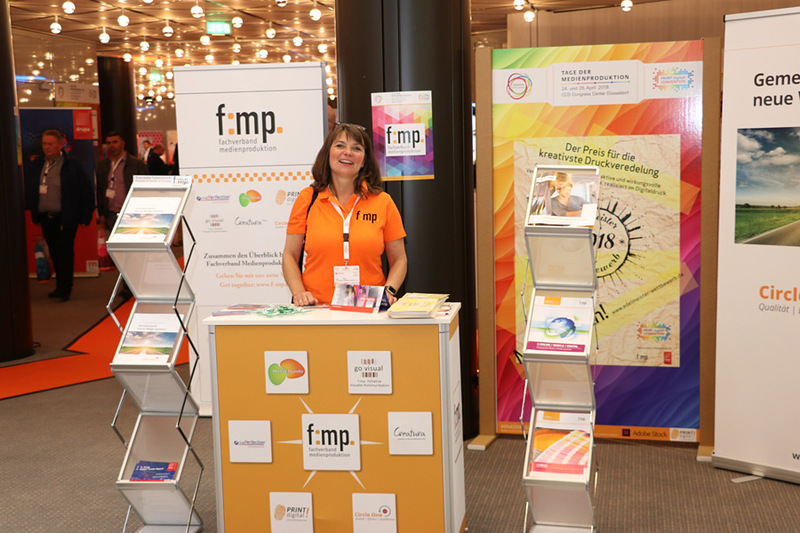 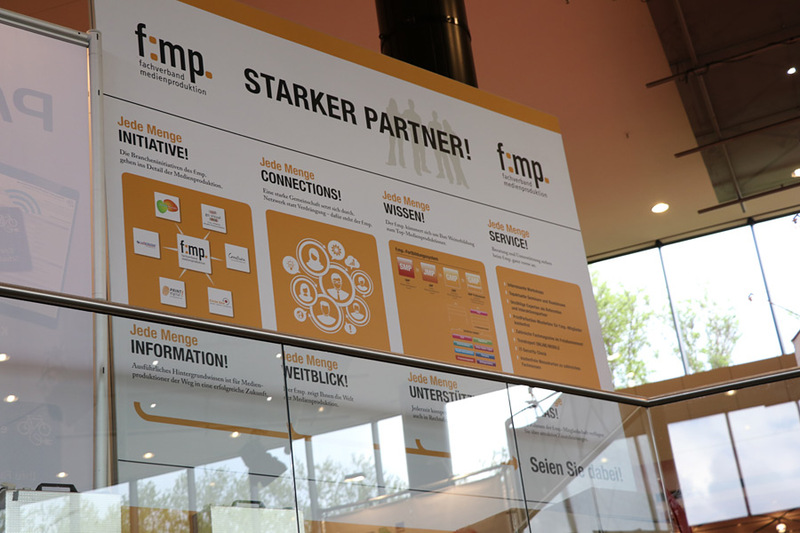 We will also happy to be back in 2019.
f:mp mastered the combination of trade fair and conference with the event Days of Media Production. 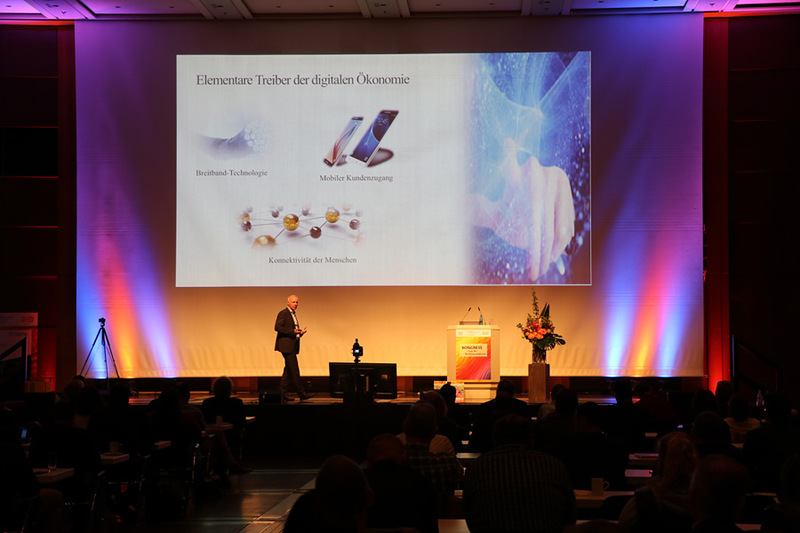 The event bridges the gap between technology and practical processes. 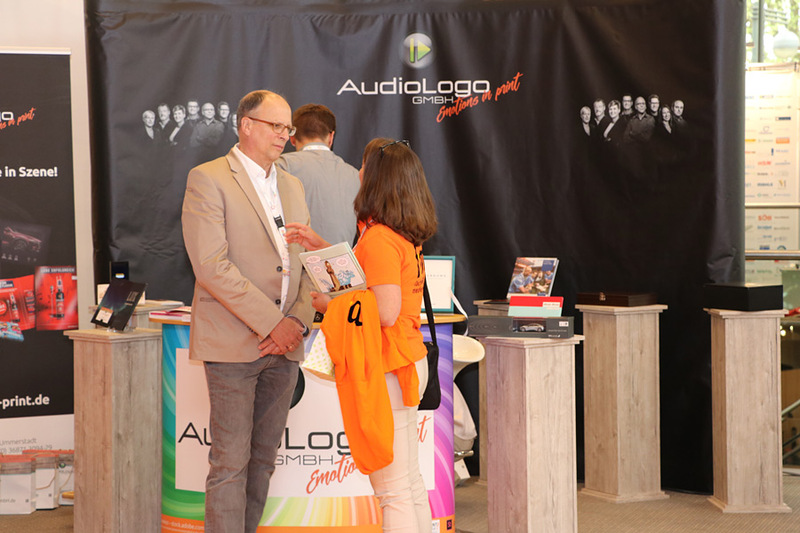 High-quality lectures and the opportunity to make the right contacts make this event very attractive for locr as an exhibitor. 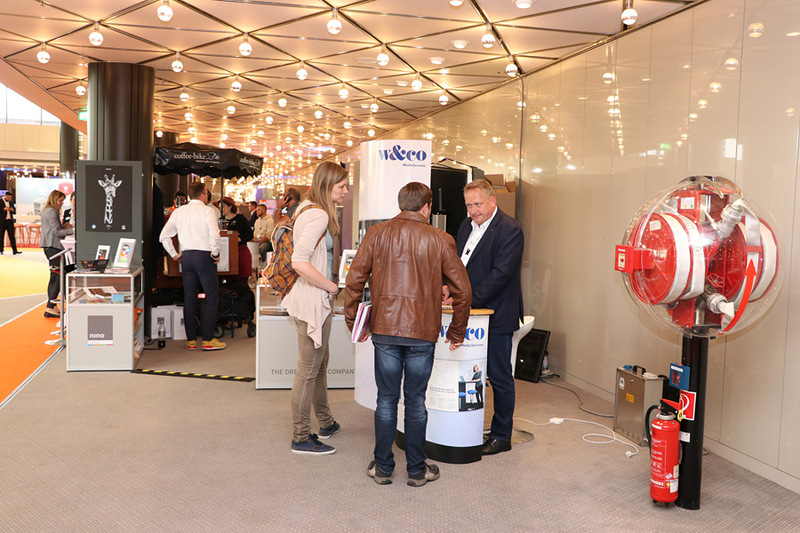 We are also very pleased about the positive development this year with an increased number of participants and exhibitors. 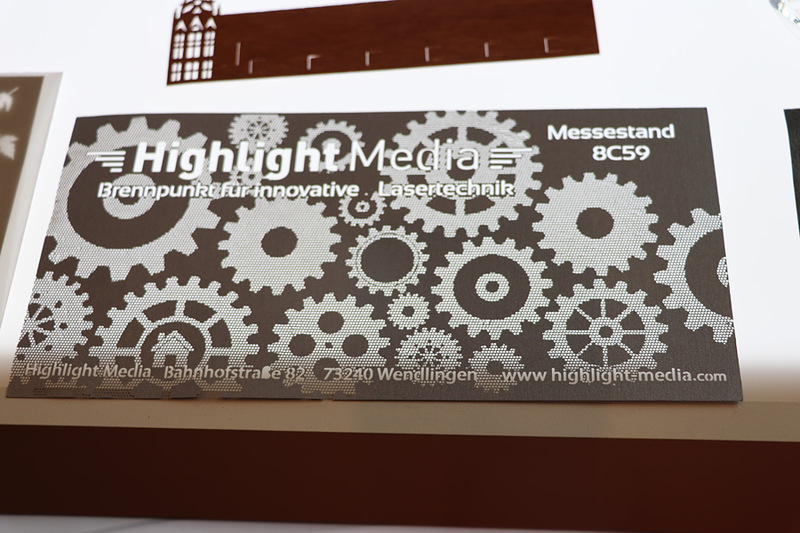 After the abolition of the Co-Reach, we see the Days of Media Production as the most important event for us in Germany. 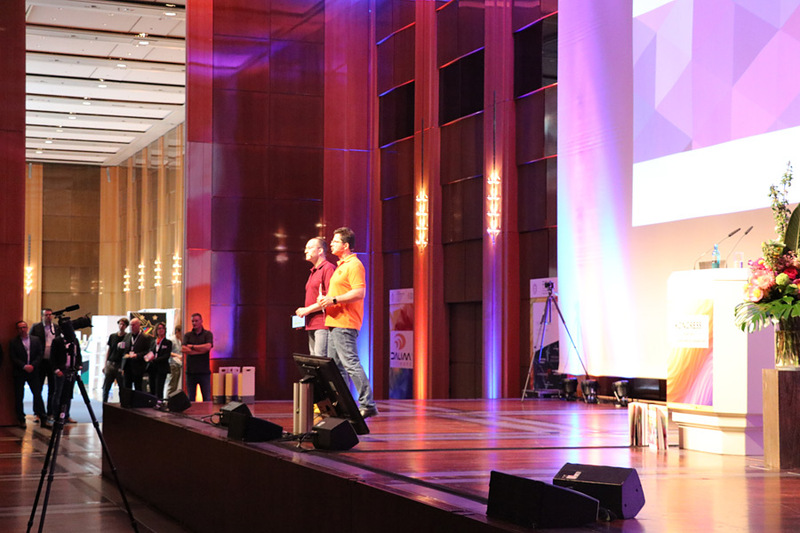 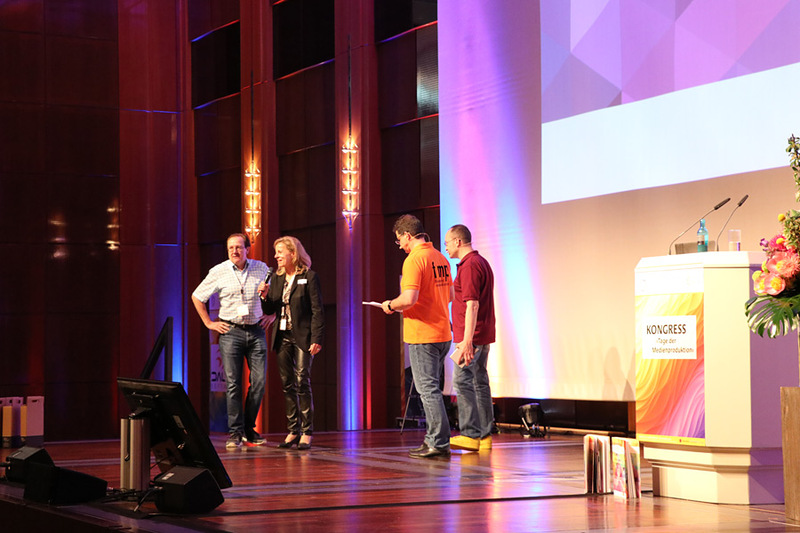 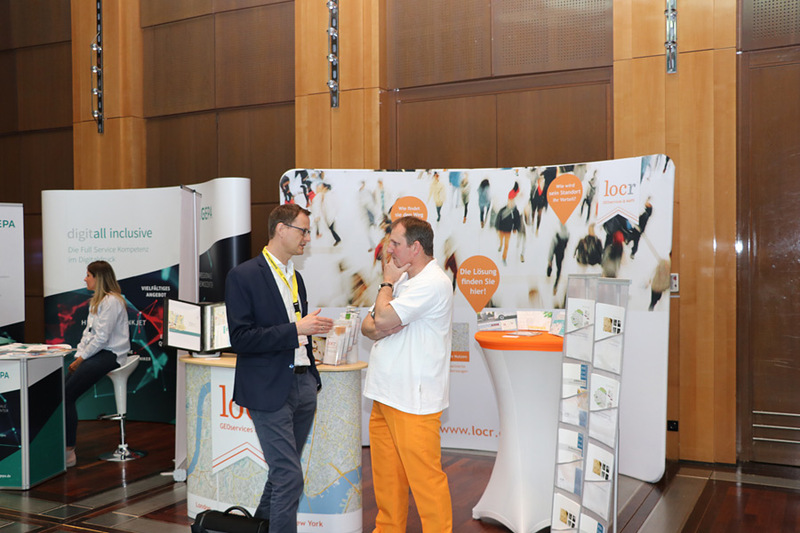 The locr team is looking forward to being there again next year! 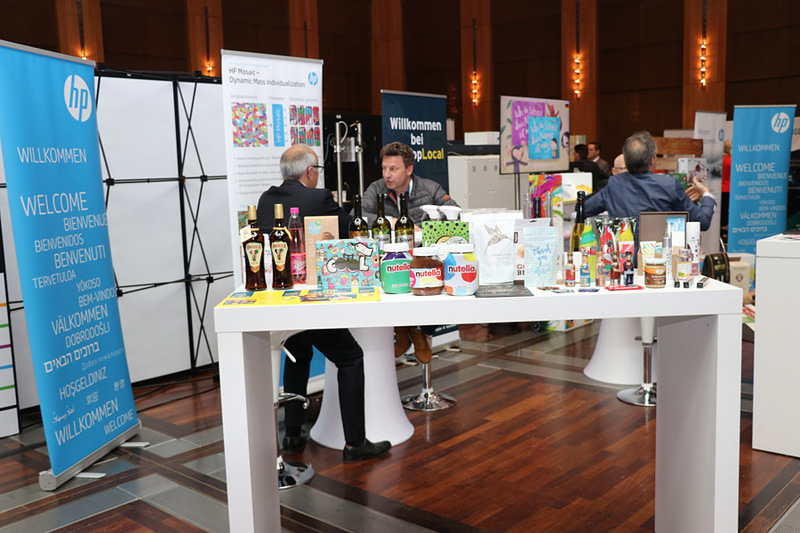 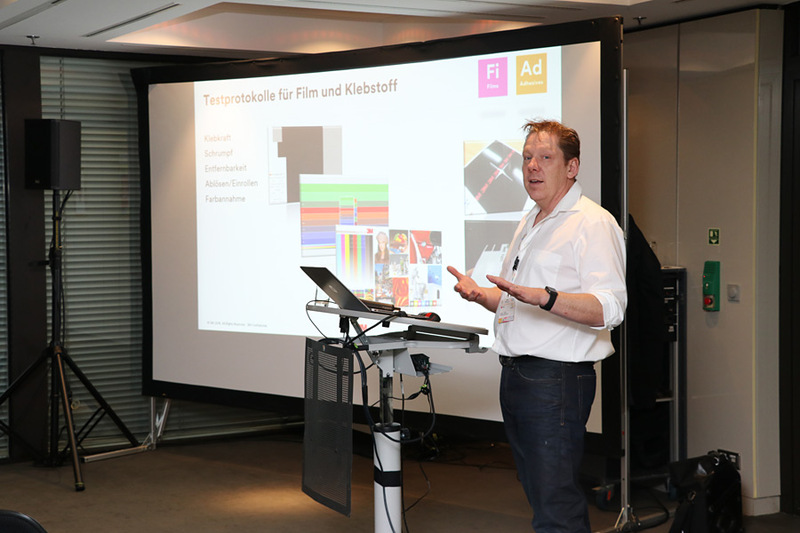 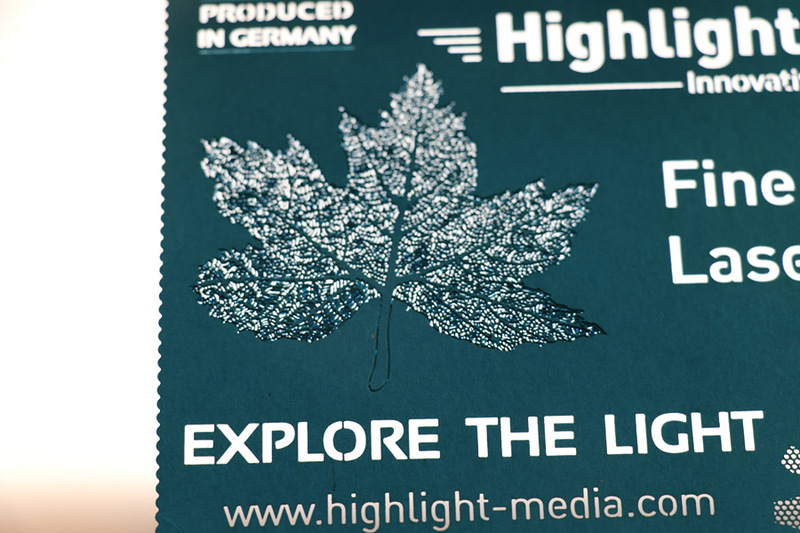 The "Days of Media Production" offer everything needed to further expand digital printing in the most diverse market segments. 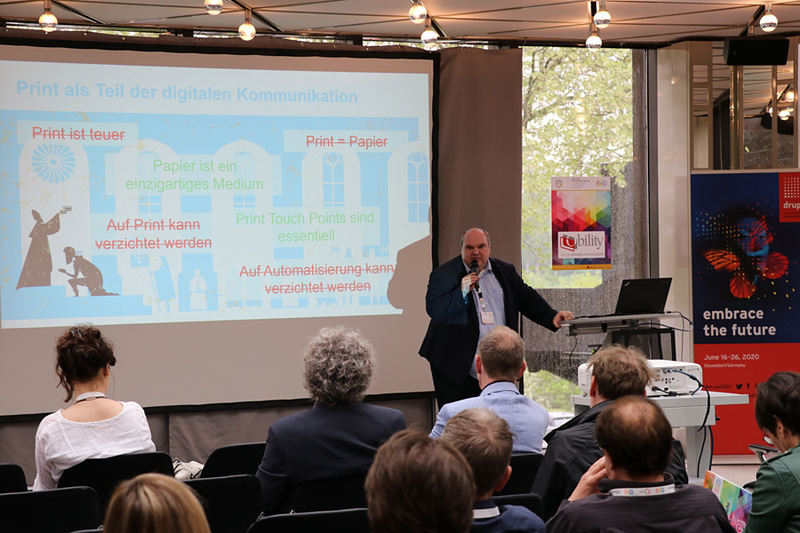 The exchange between media producer, machine manufacturer, processor, paper mill and wholesale is crucial to develop new business models and implement them successfully for all involved. 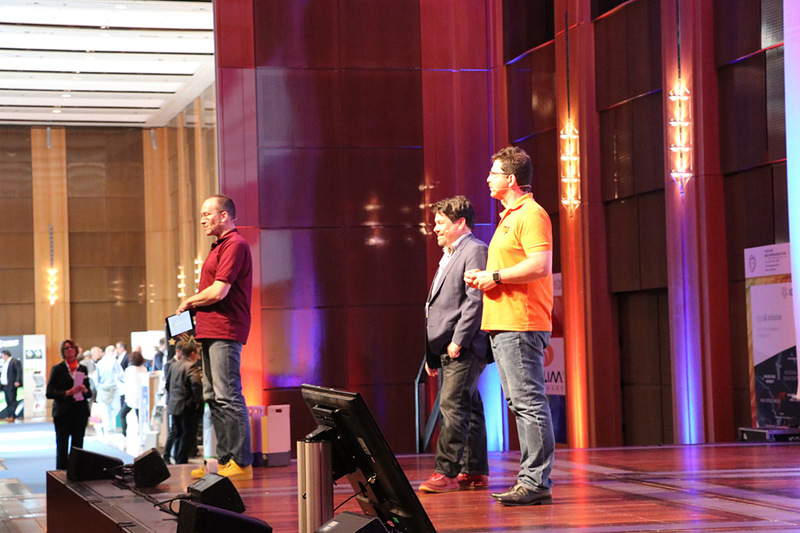 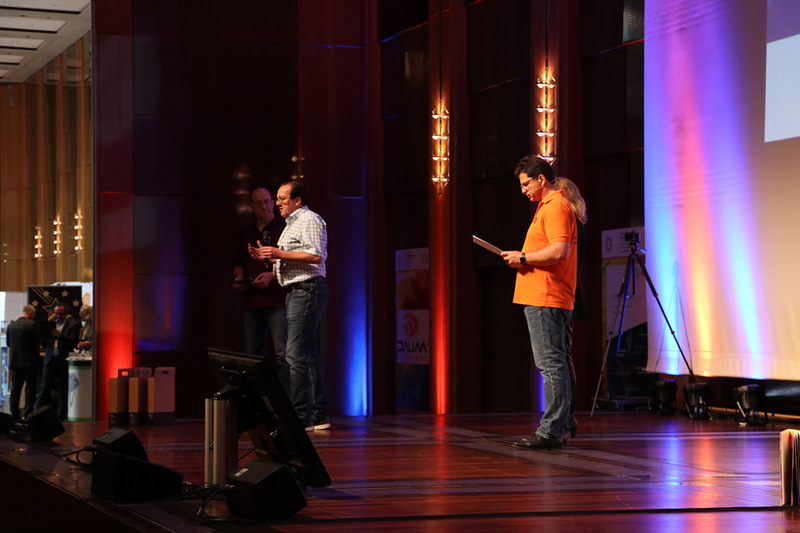 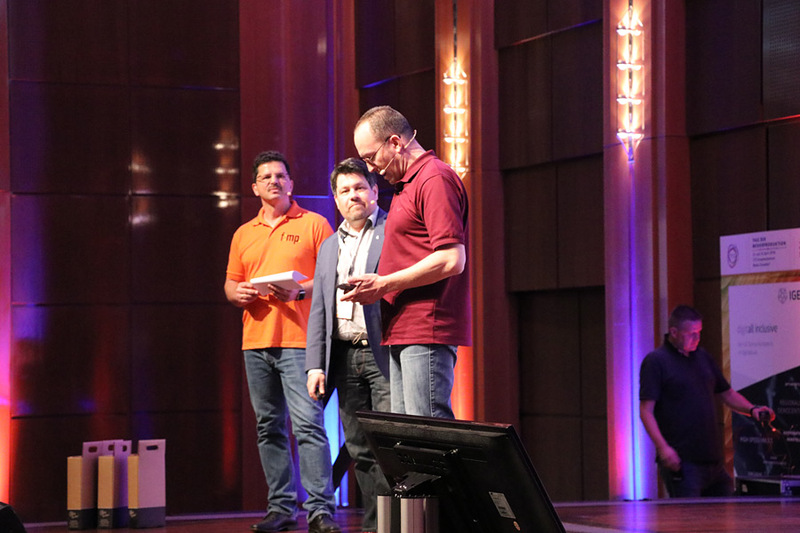 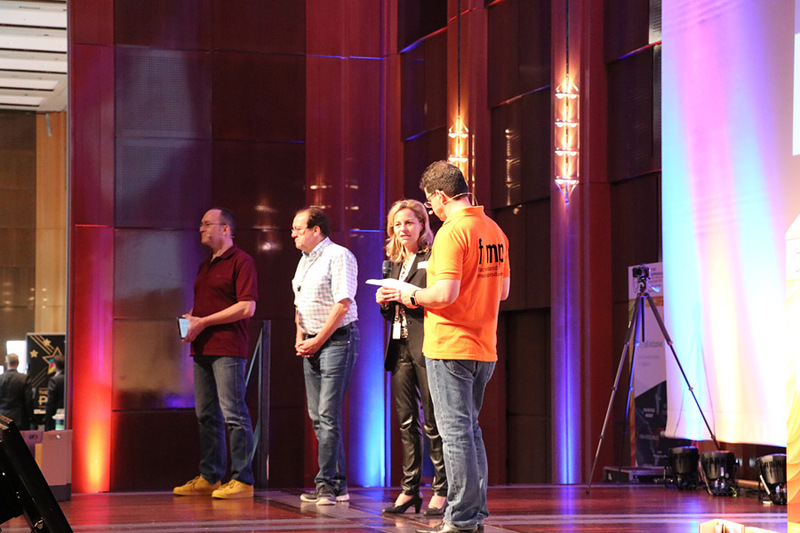 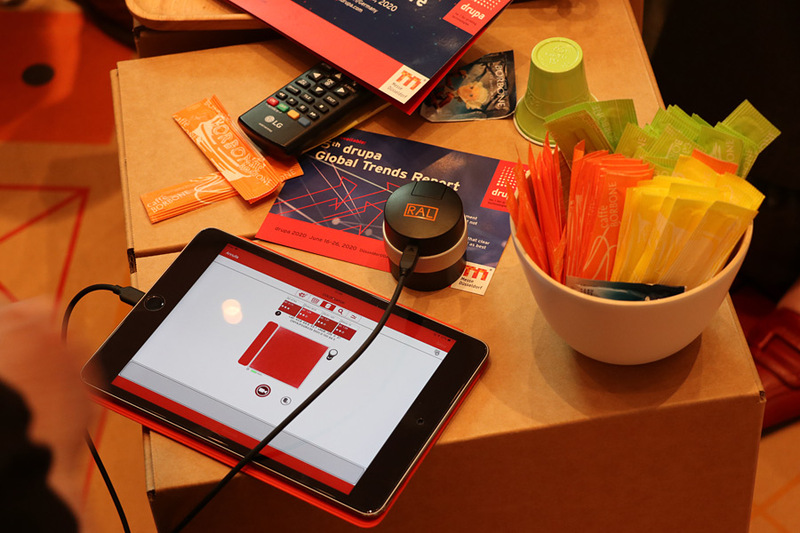 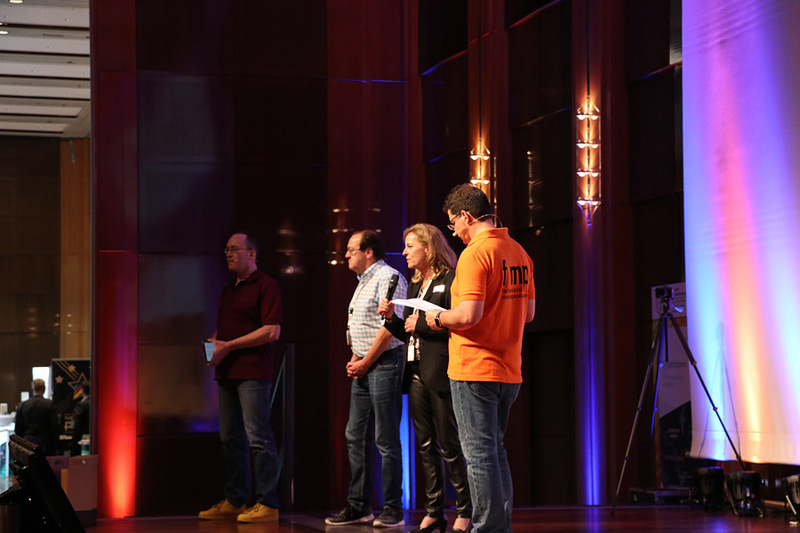 The mix of the event is a perfect information and communication platform! 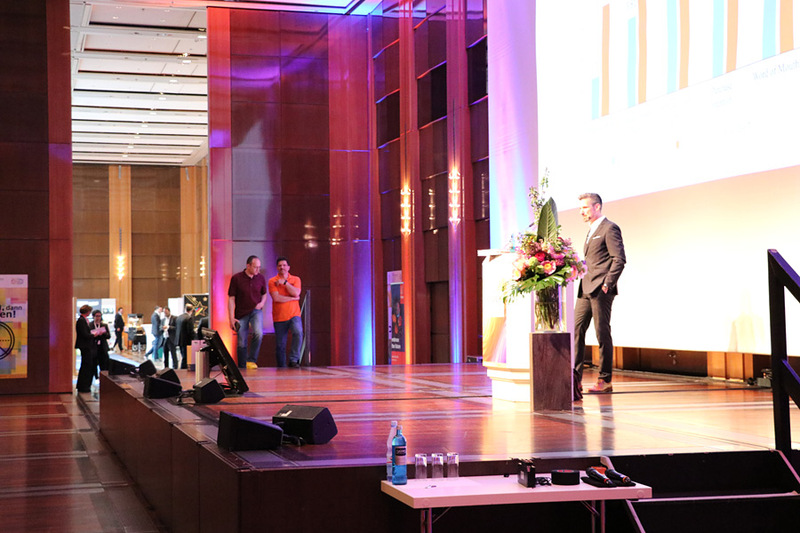 “What you set up in Düsseldorf is a fantastic achievement. 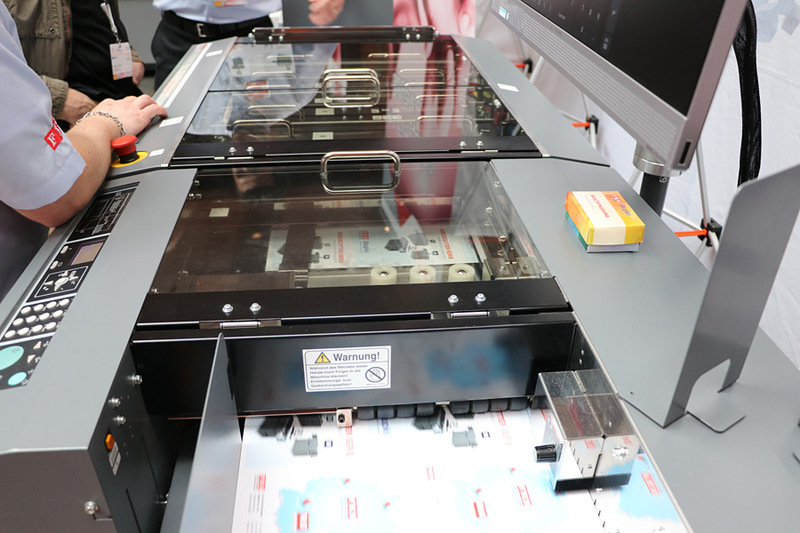 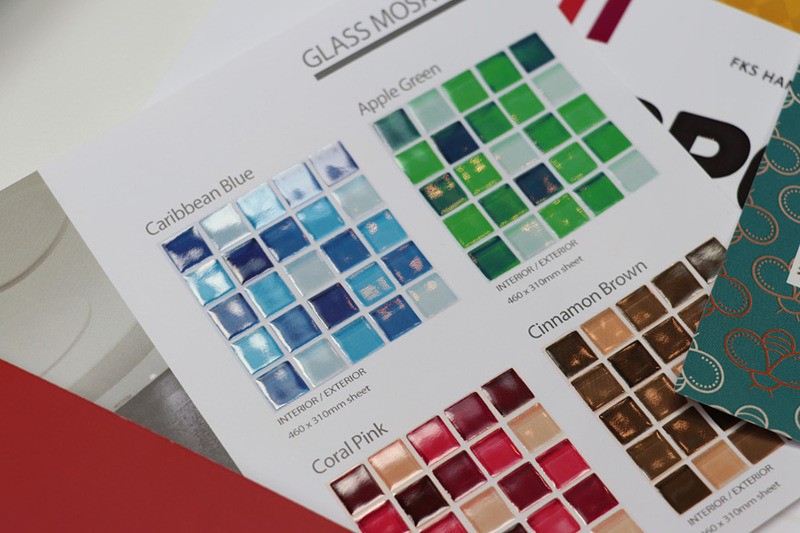 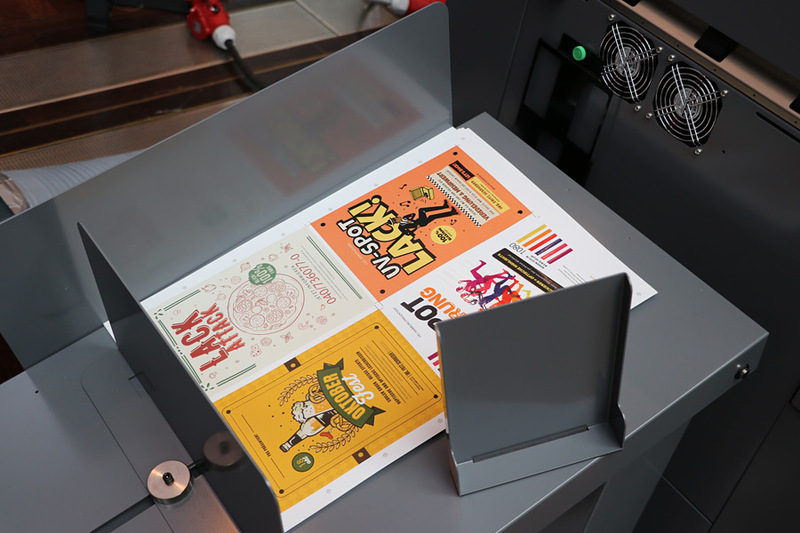 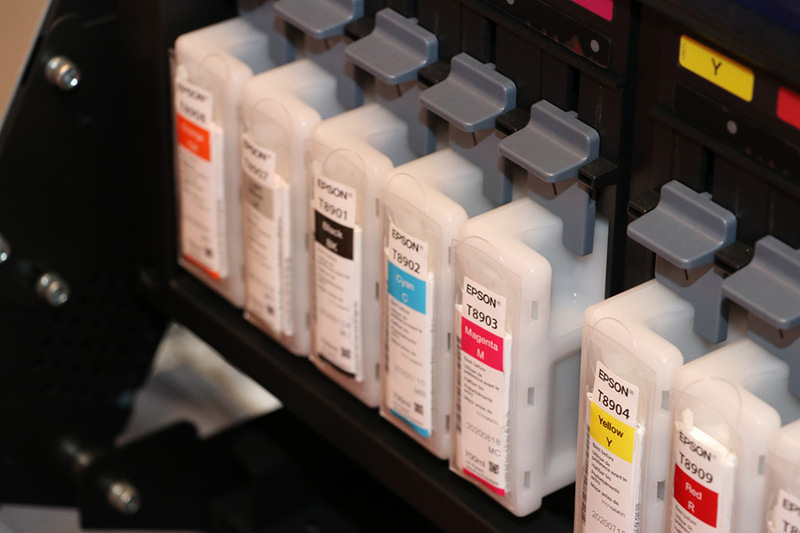 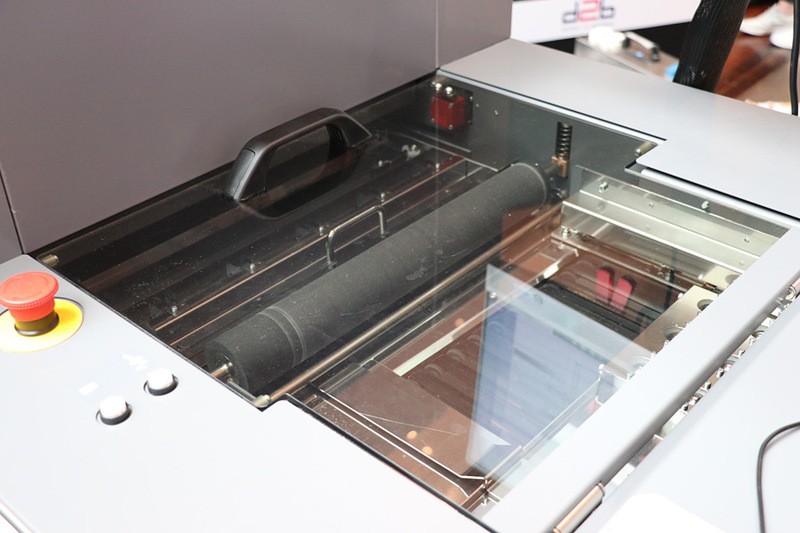 As a specialist dealer for graphic products and solutions, we have been offering our customers consumables, printers for proofing and production, the appropriate RIP connection, training and installation service for years. 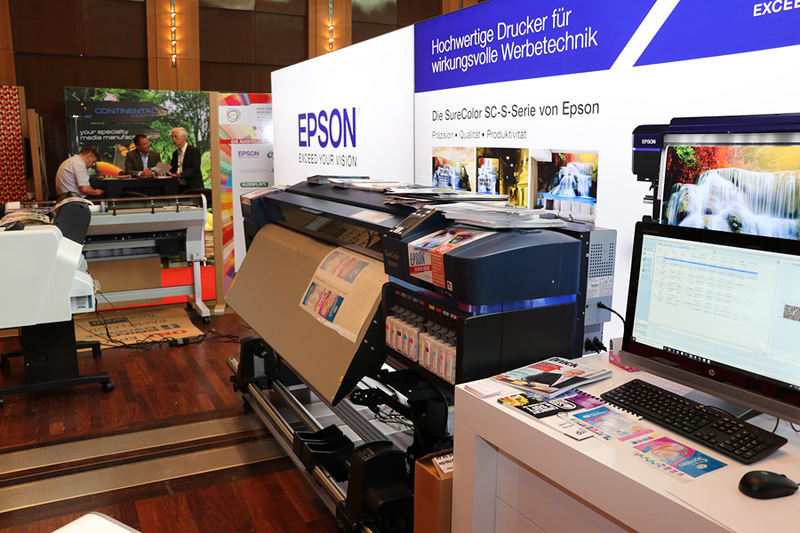 Printers know us as a partner for measuring and control technology and have been using us as a service partner for years. 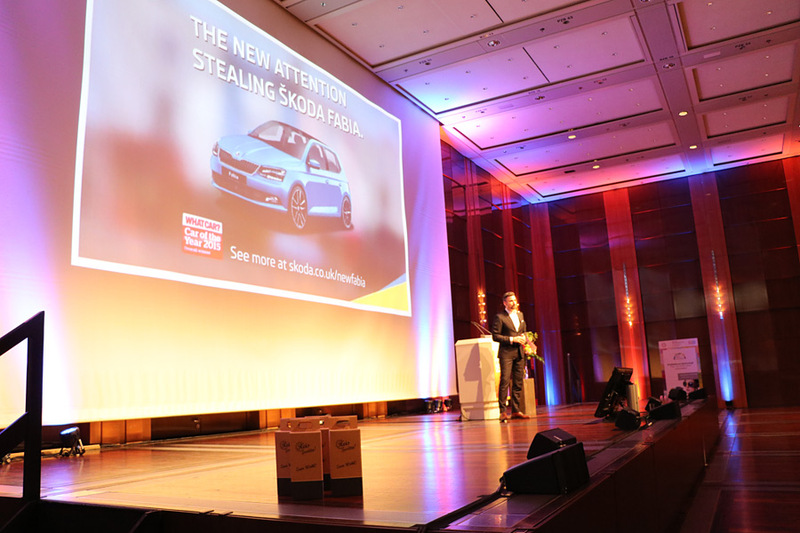 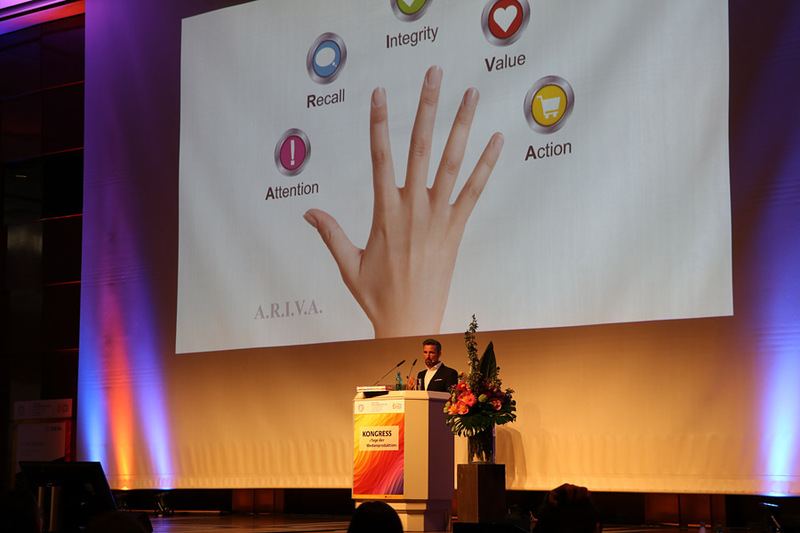 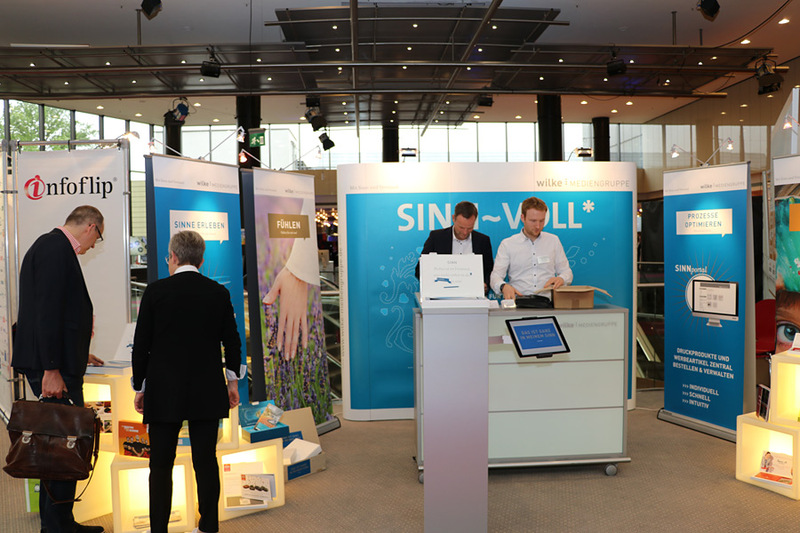 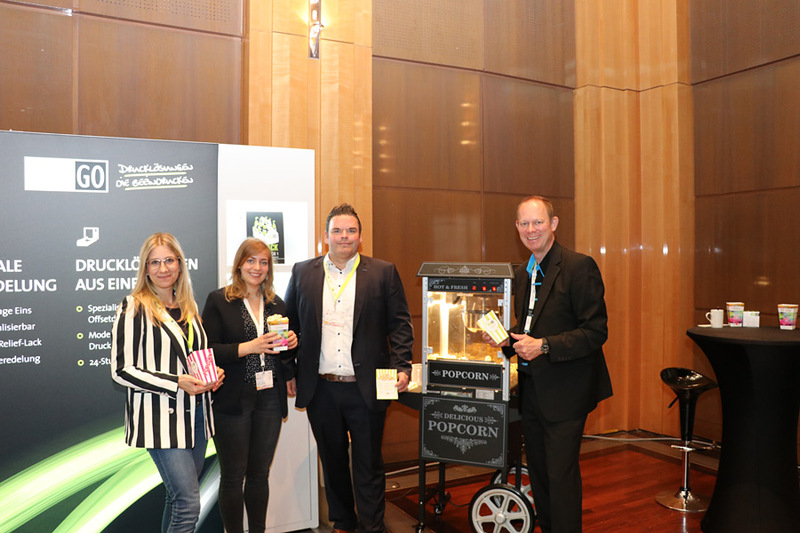 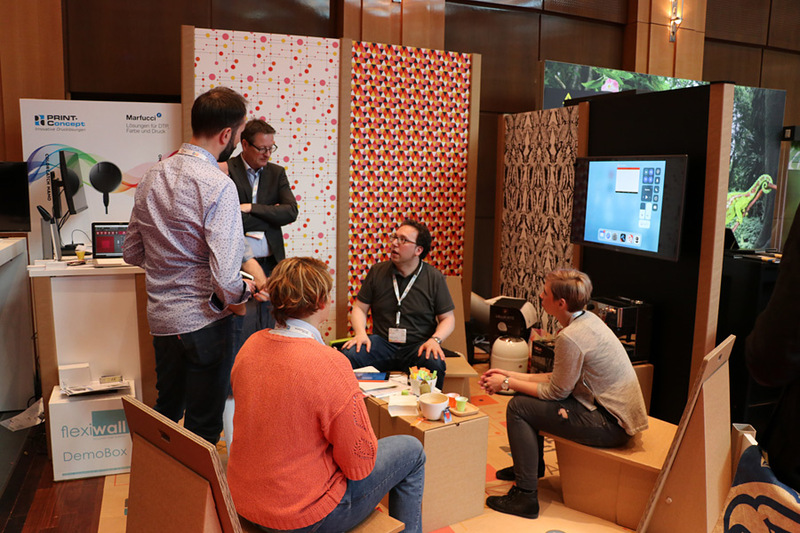 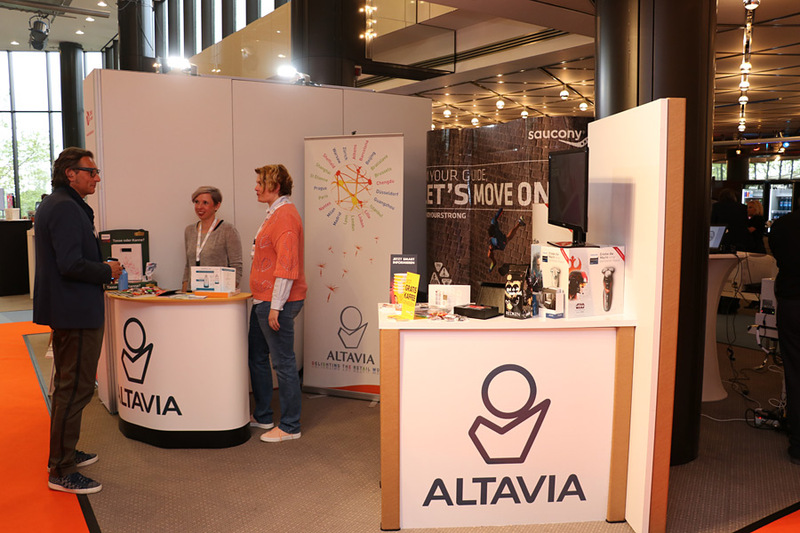 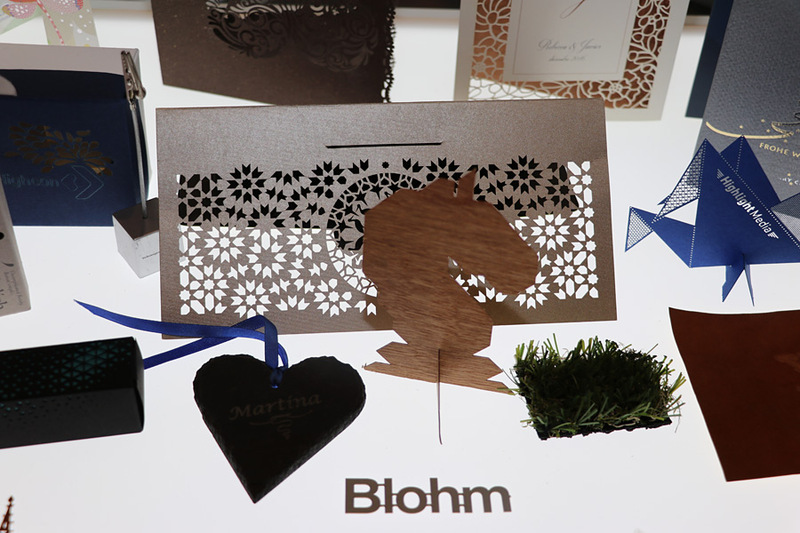 At the event in Dusseldorf, we presented our new, sustainable products. 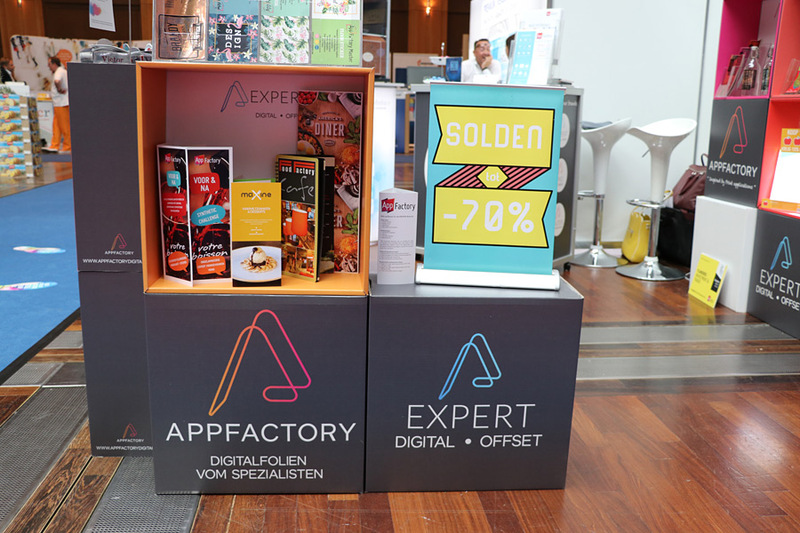 Flexiwall, partition walls for office and exhibition construction made of 100% cardboard http://print-c.de/druckloesungen/flexiwall/ and our latest presentation http://print-c.de/paprfloor Corrugated cardboard measuring floor. 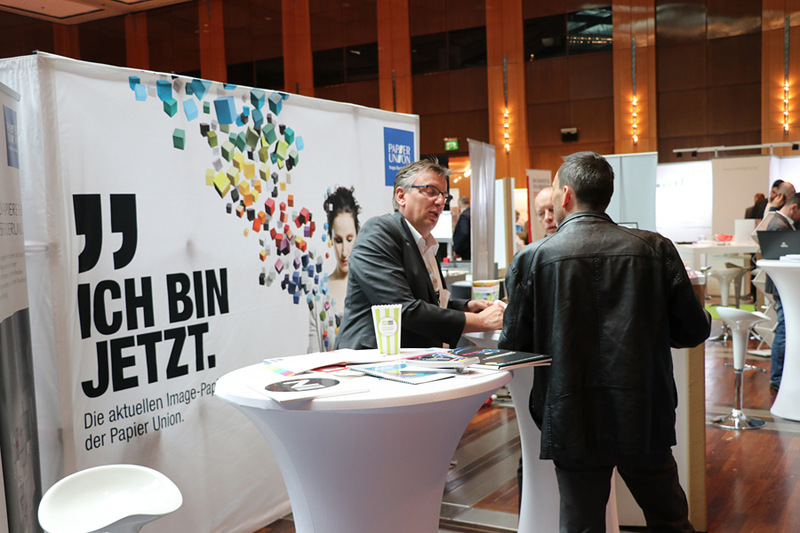 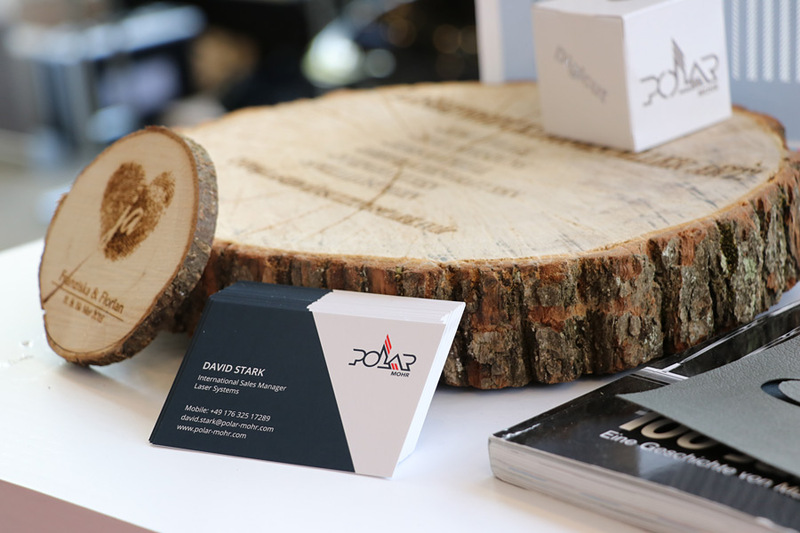 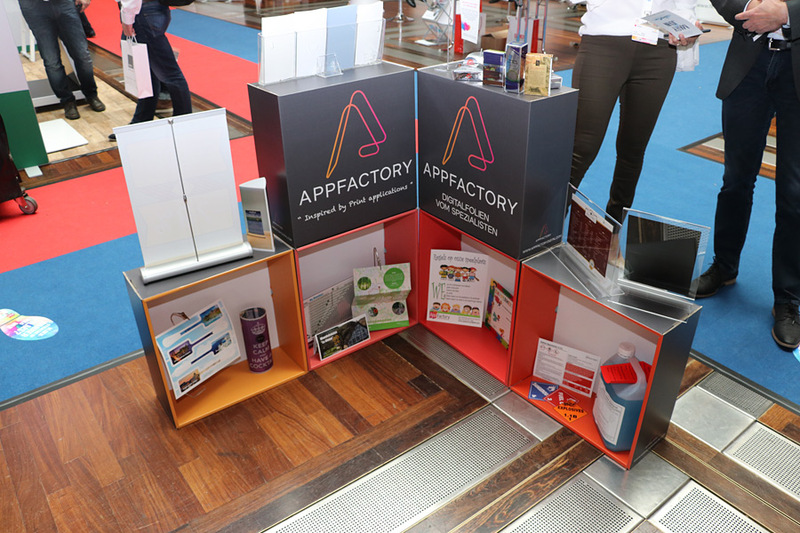 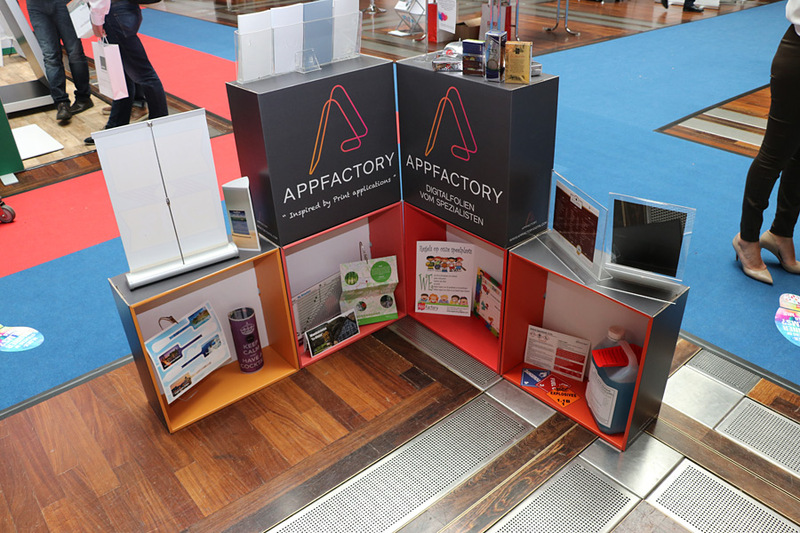 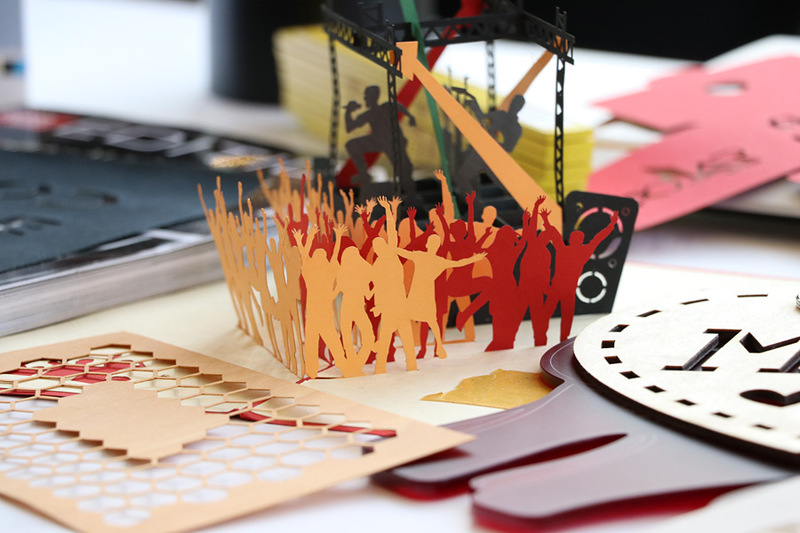 With our solutions, we reduce the huge amounts of waste at trade fairs and offer an interesting new and innovative solution for trade fair builders, interior designers and graphic designers. 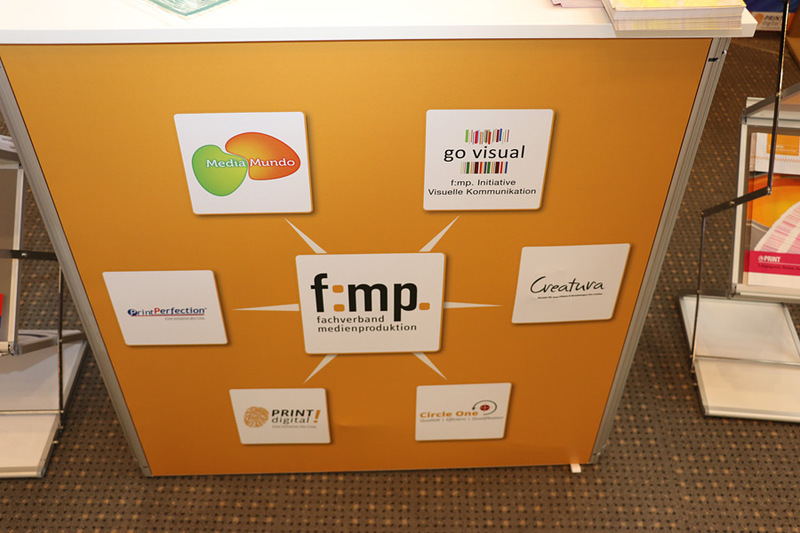 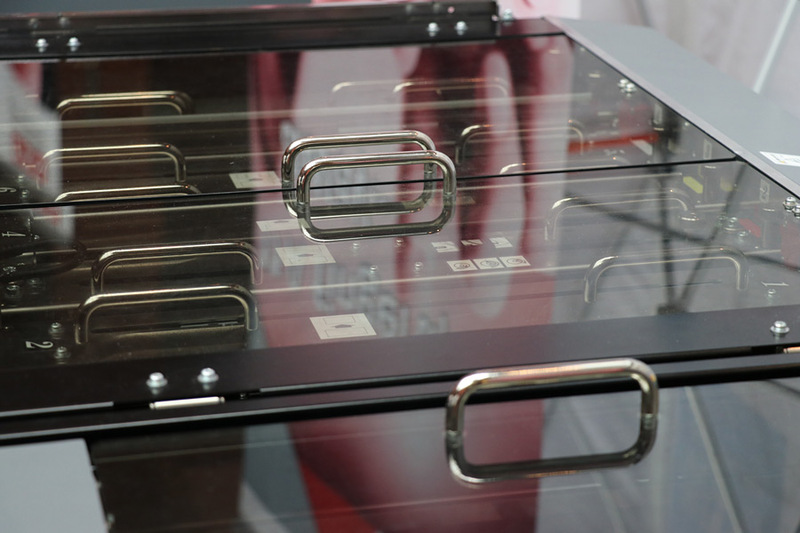 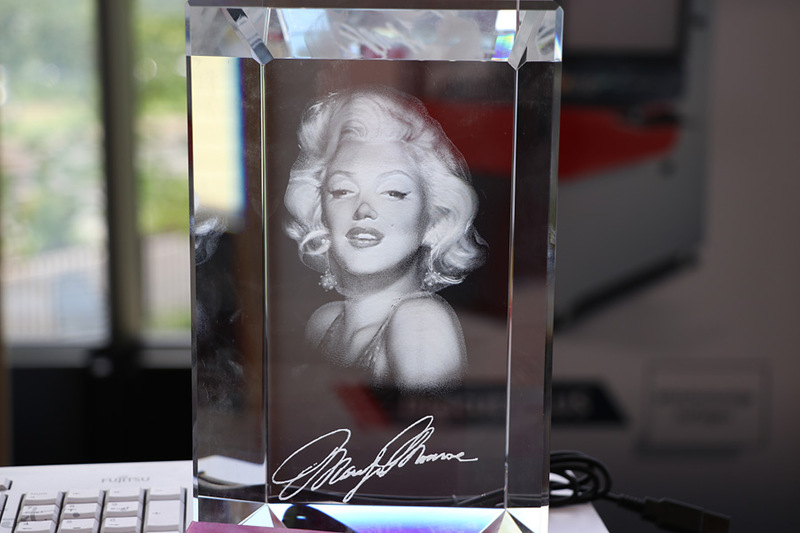 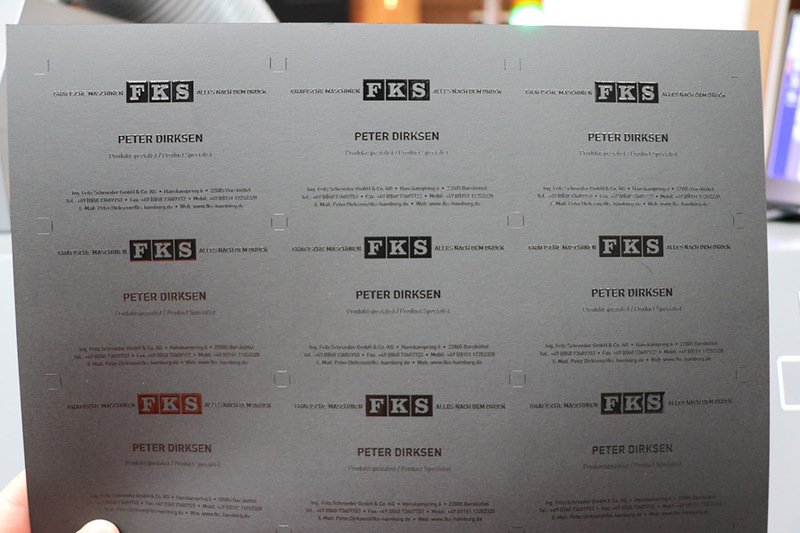 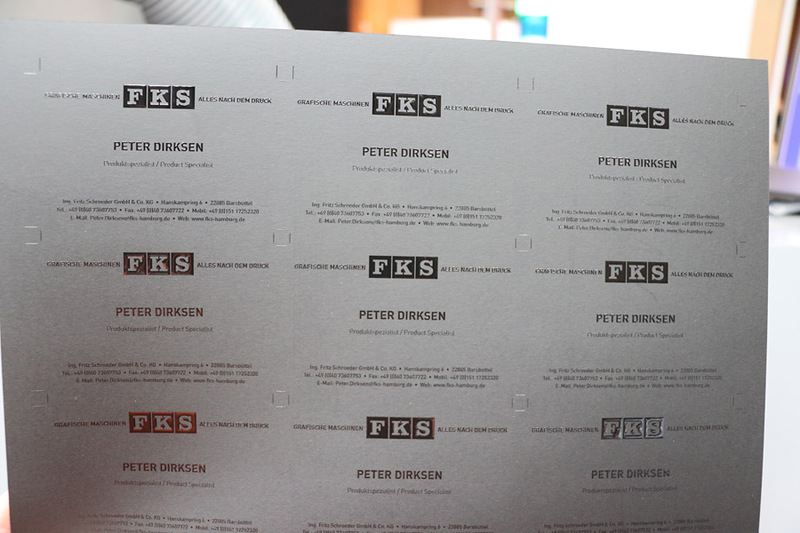 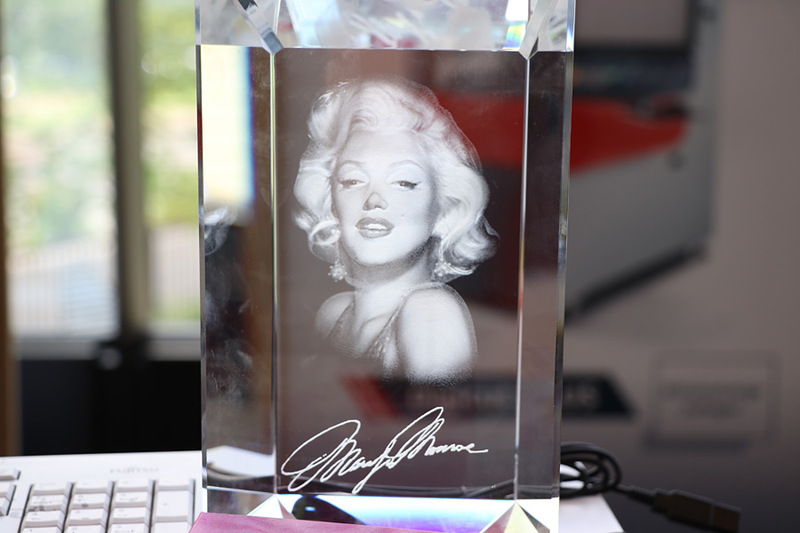 Interestingly, designers, photographers and printers are increasingly attracted to our products. 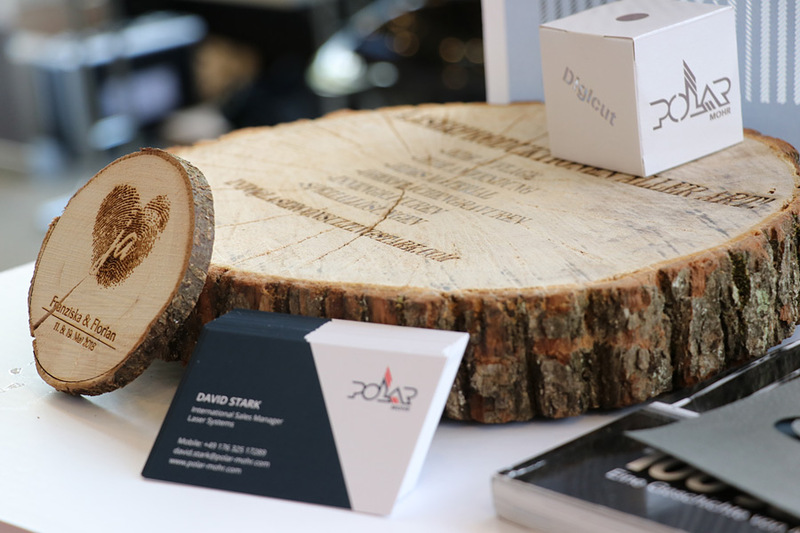 We believe: the topic of sustainability has arrived in the industry. 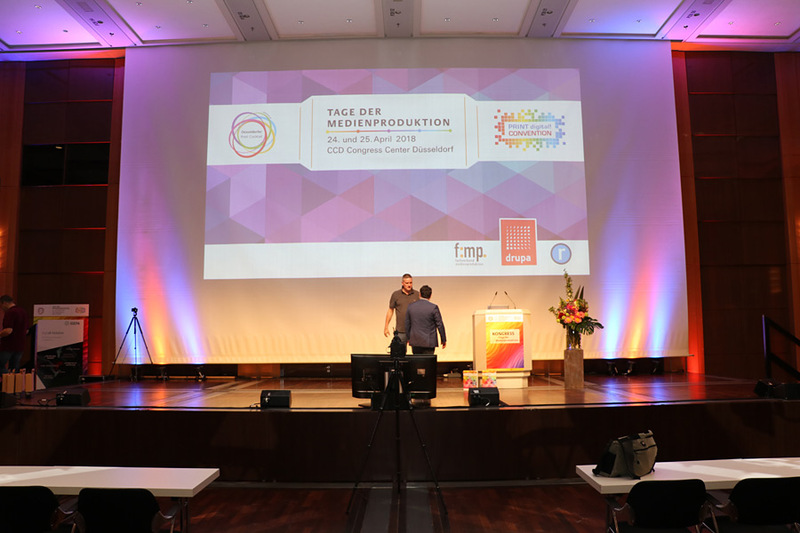 Thanks for the platform “Days of Media Production”. 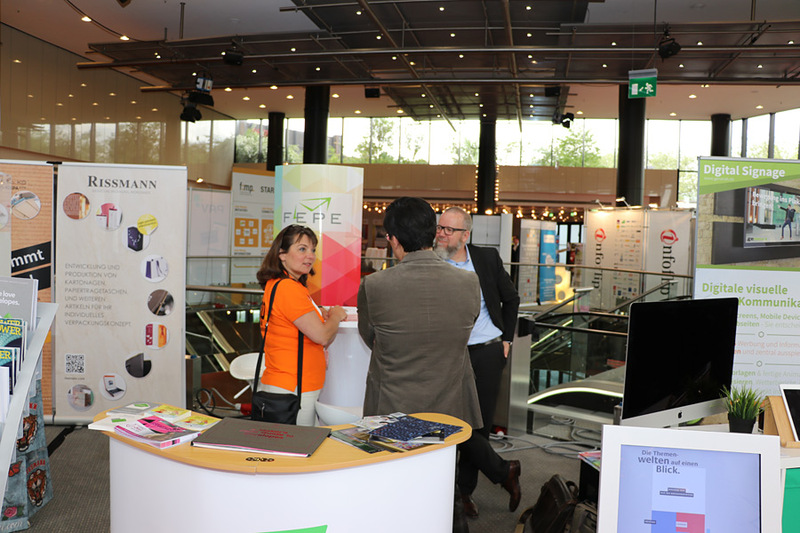 good morning you both, ... what remains is a lot of satisfied partners and enthusiastic visitors. 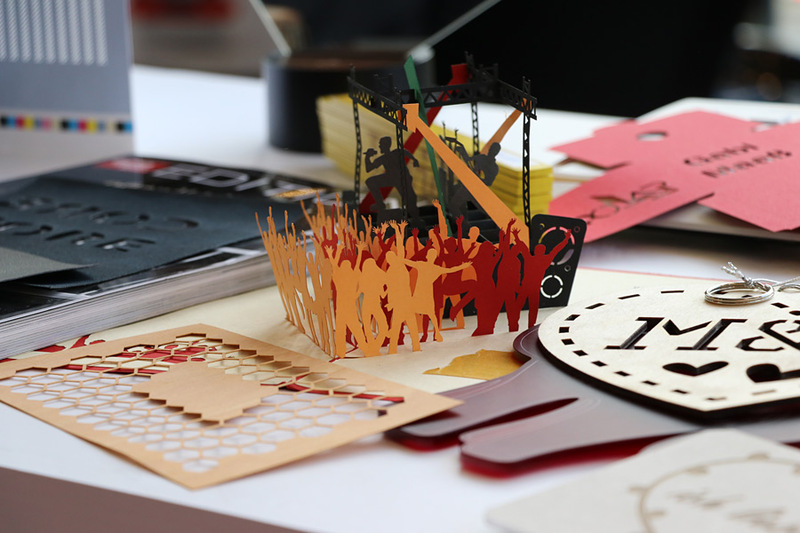 What you did was something really big and perfectly organized. 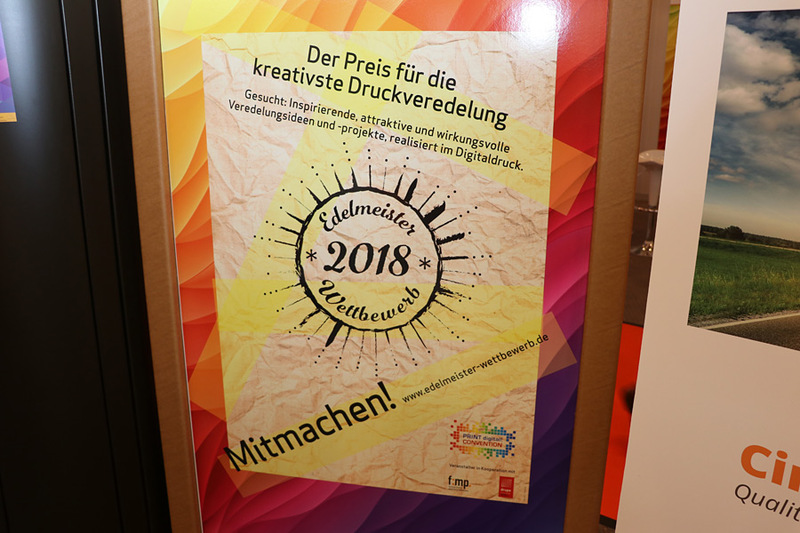 You should really be proud of that. 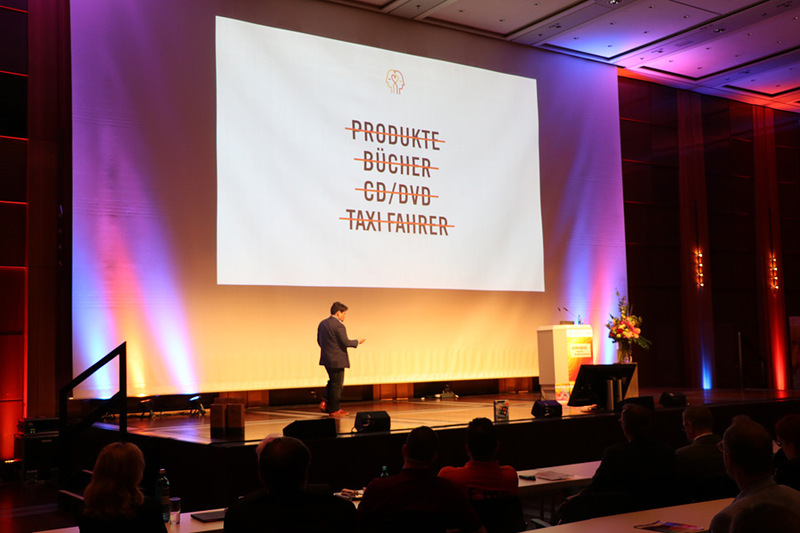 Afterwards you always find a thousand arguments why a new concept will work, but first of all it takes the courage of an individual and a vision to initiate something like this. 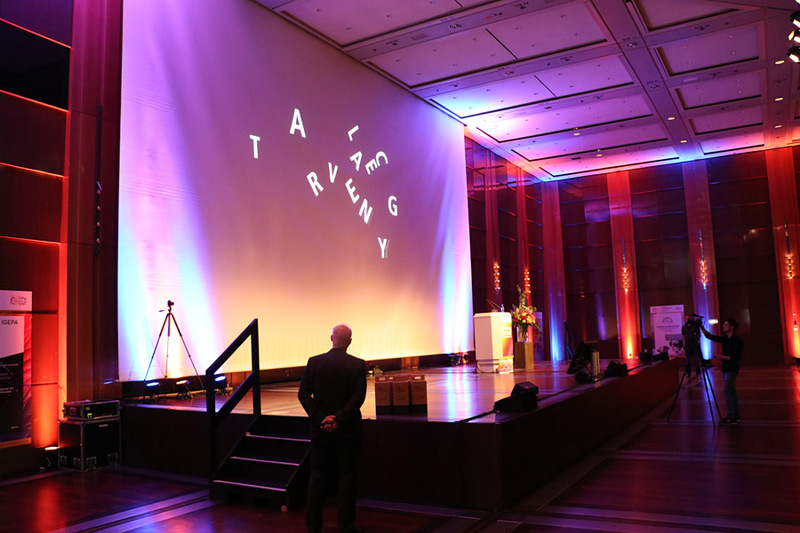 You had that last year and courageously you have expanded and continued your concept. 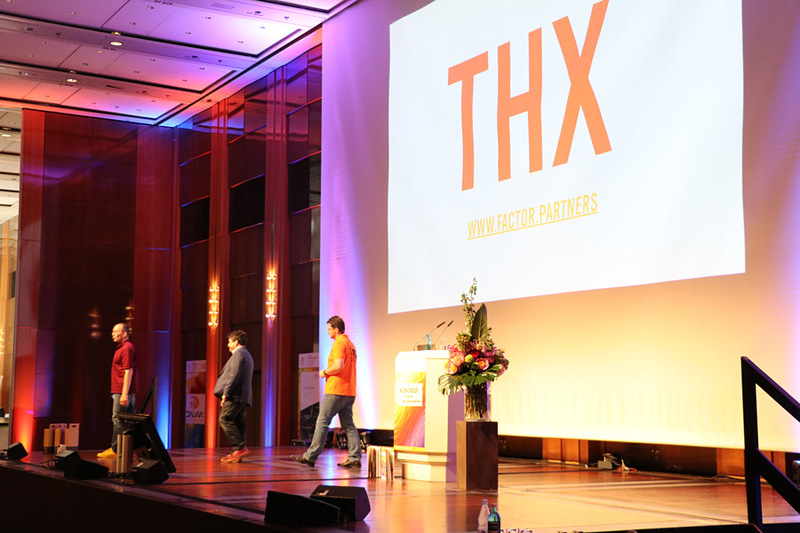 Thanks, it was really great! 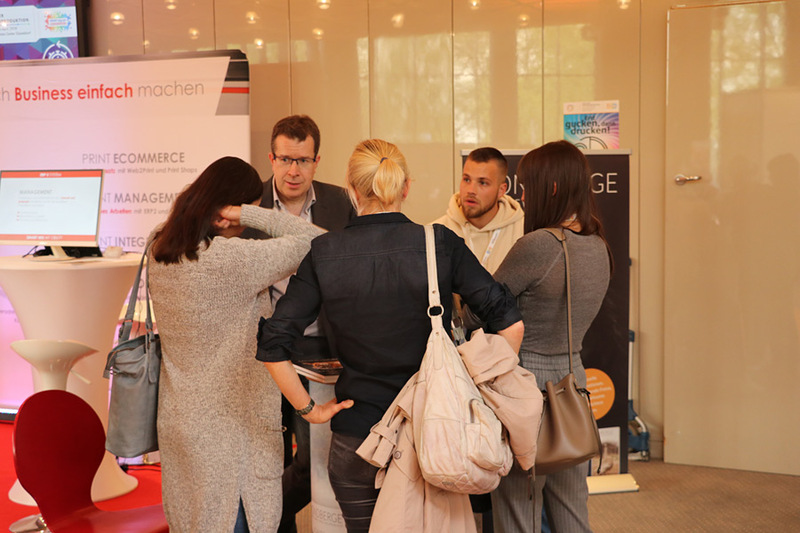 Moin Rüdiger, here's my feedback on a really successful event. 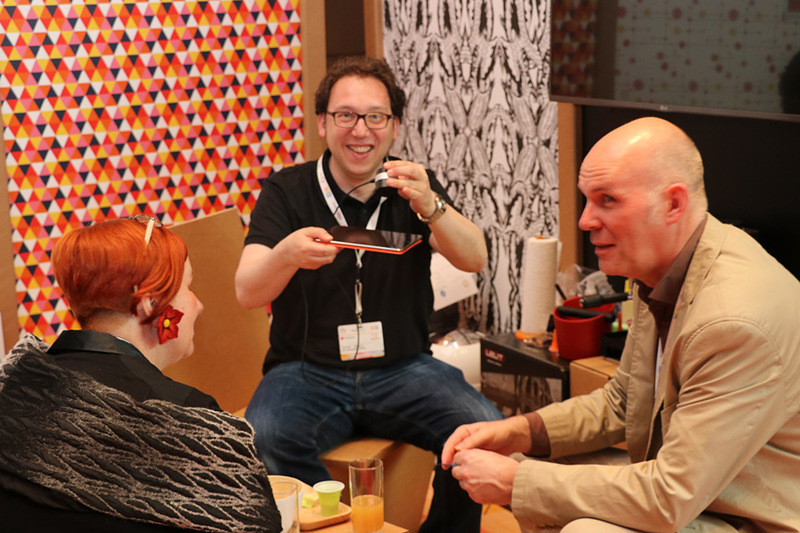 You have really done a great job, it could hardly be better.